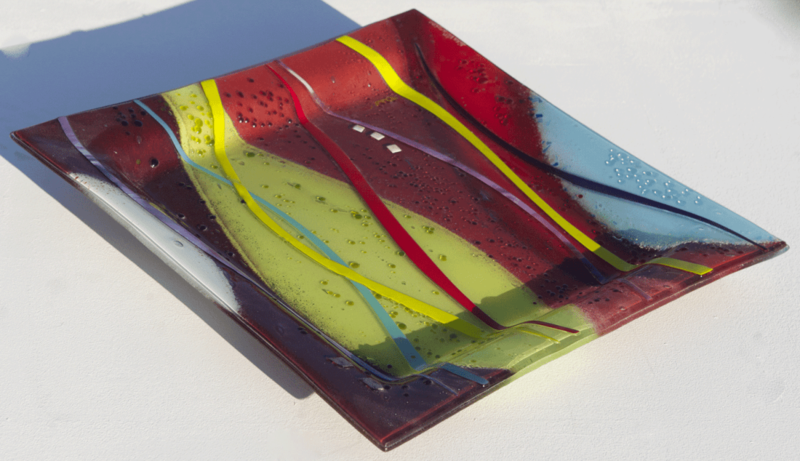 Fused glass is pretty beautiful, and we think we can all agree on that. 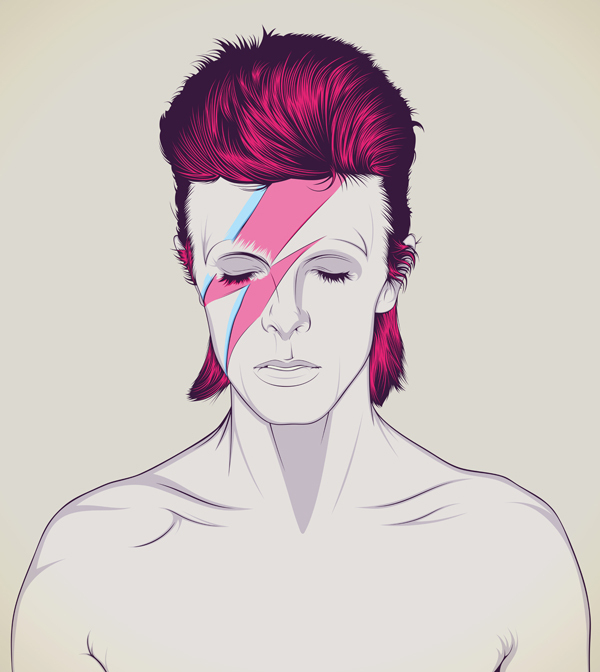 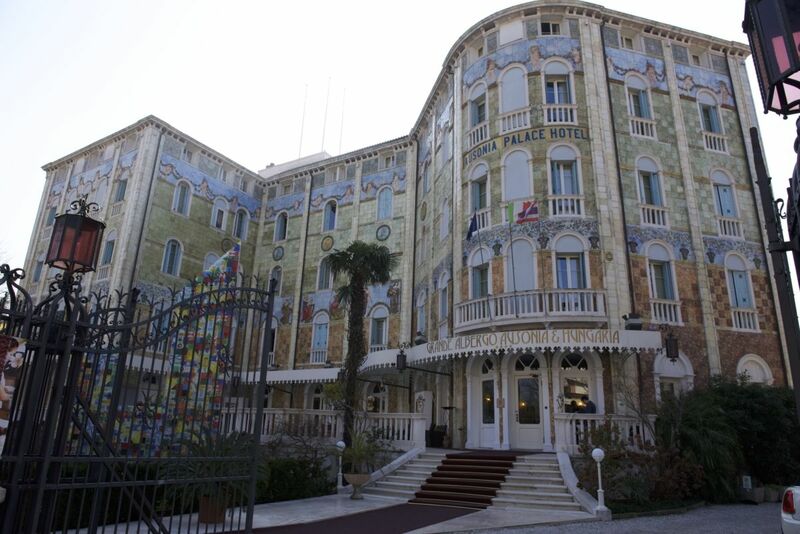 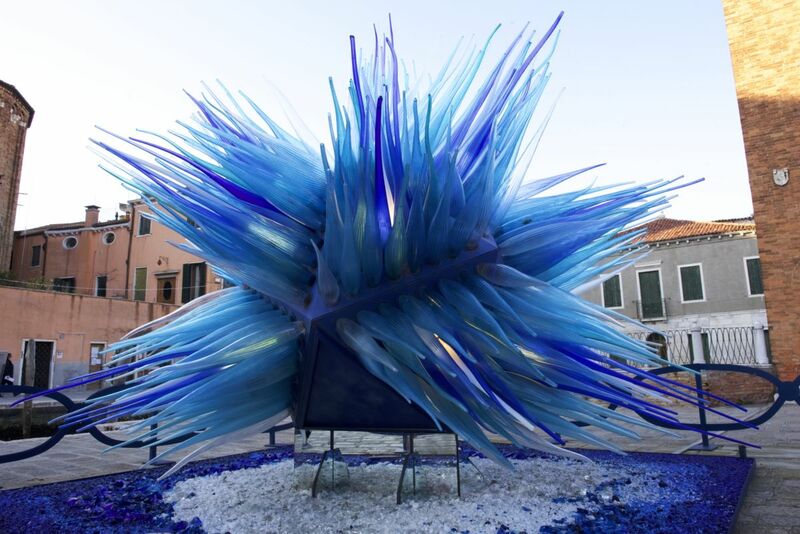 That beauty, however, doesn’t quite reach its full potential until it’s paired up with something. 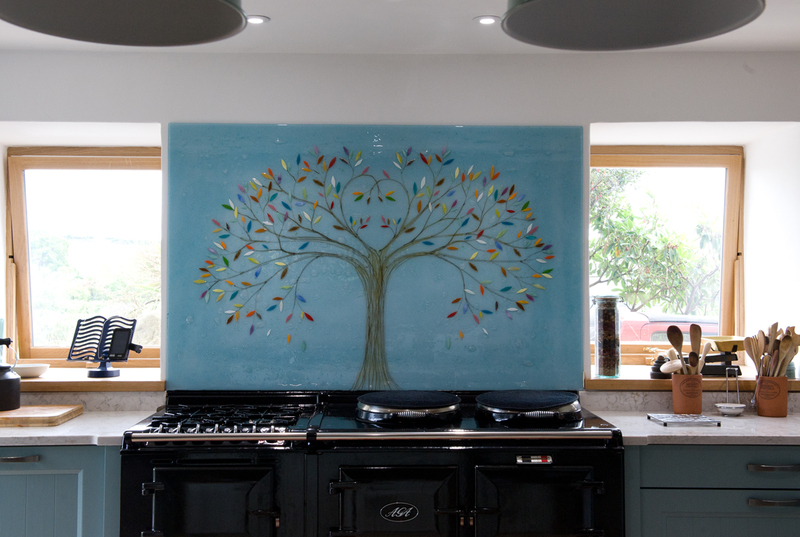 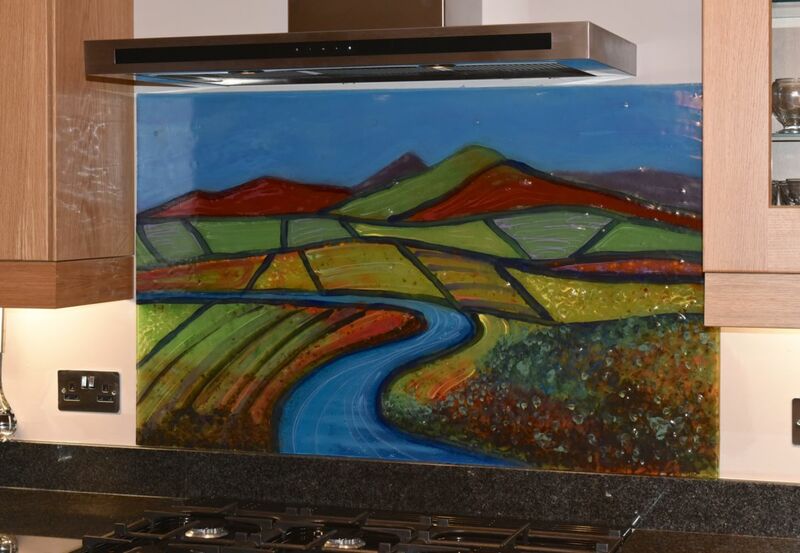 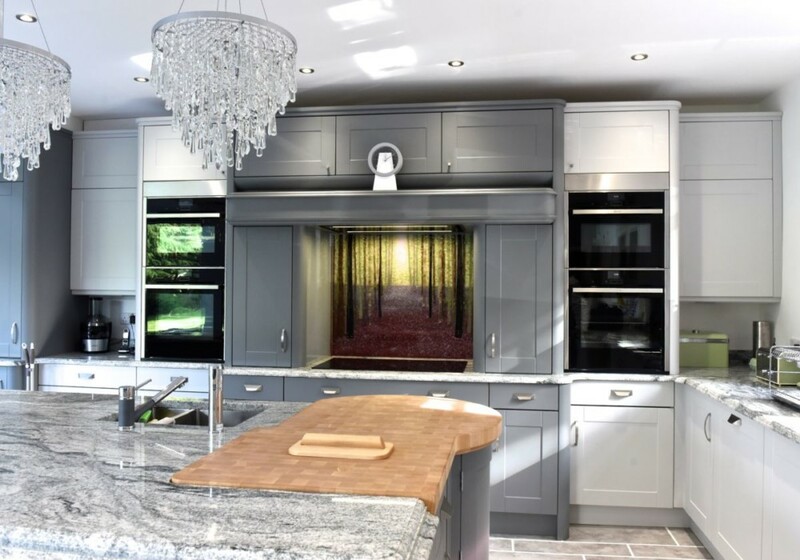 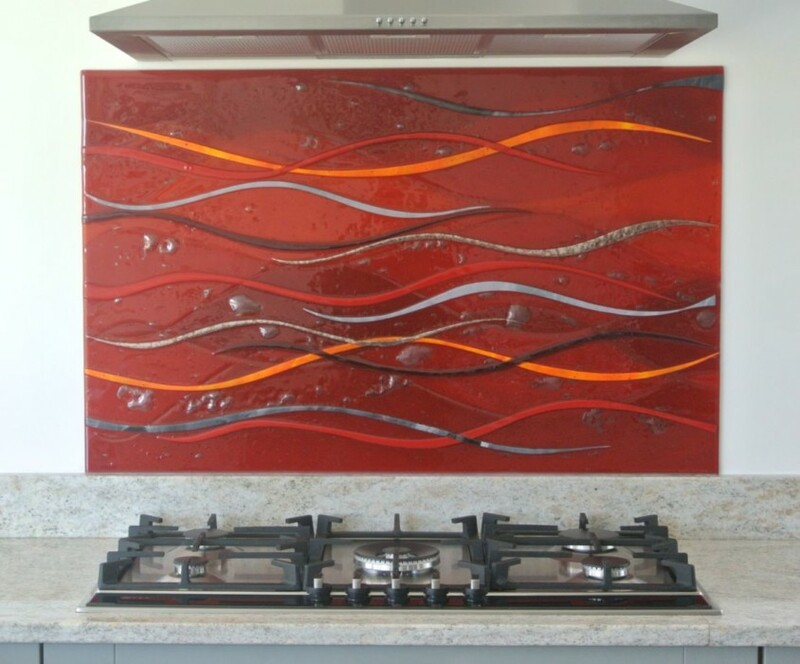 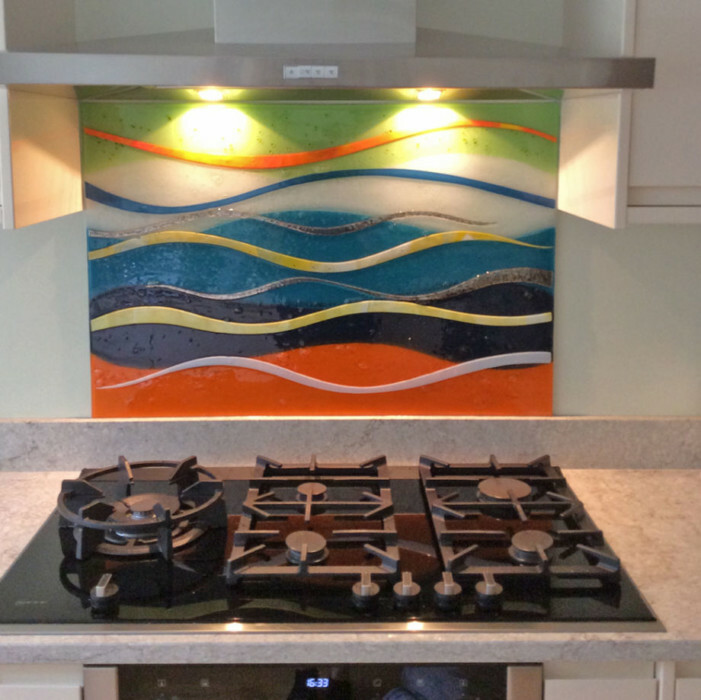 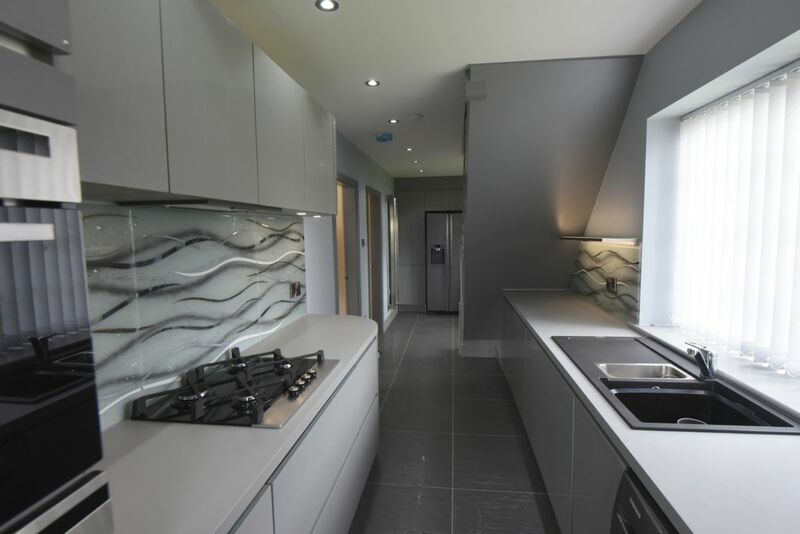 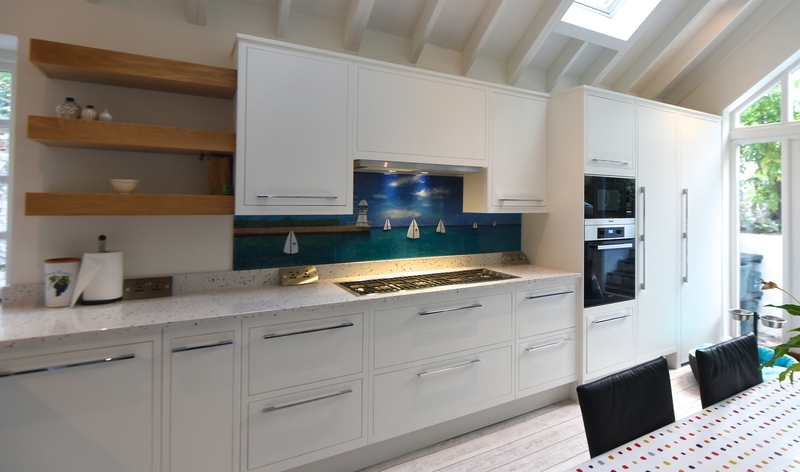 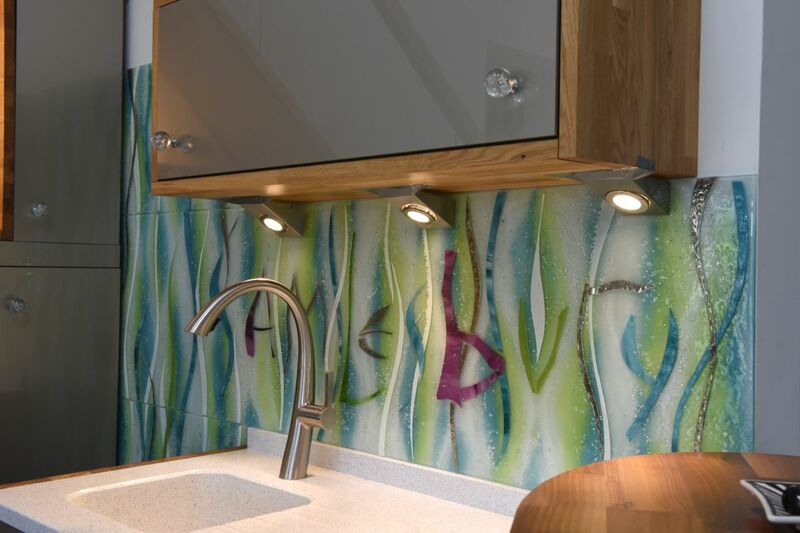 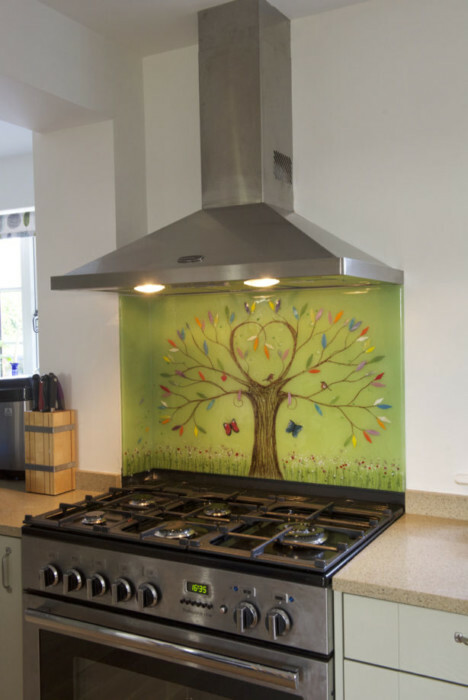 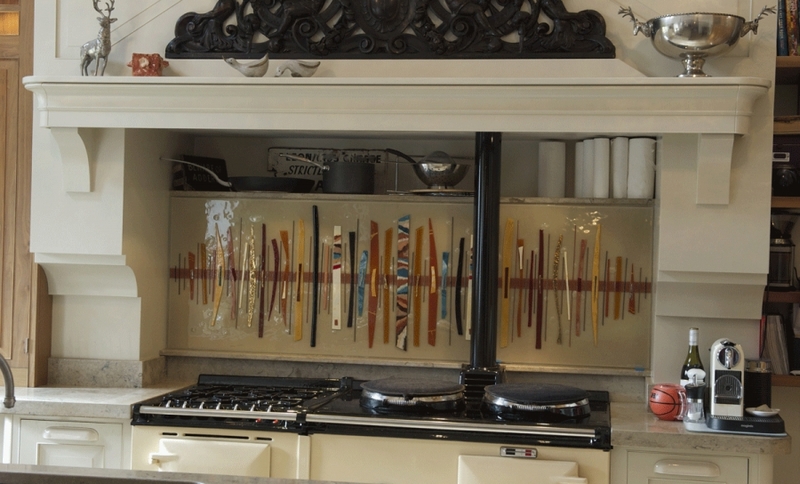 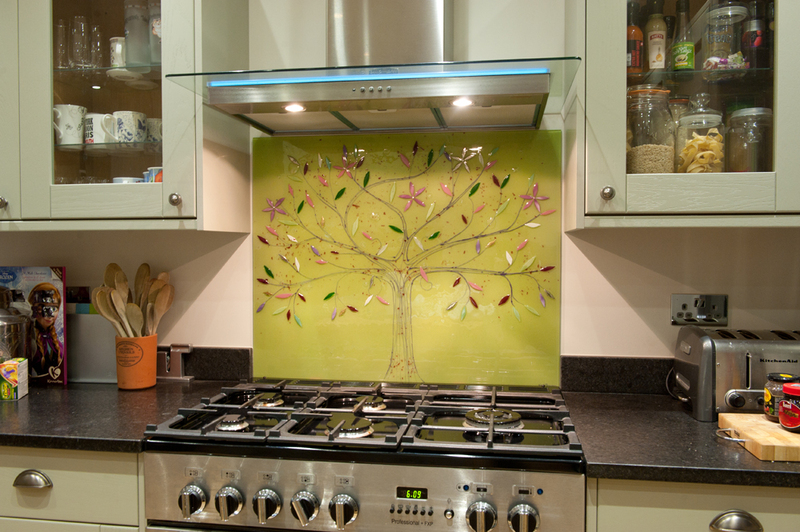 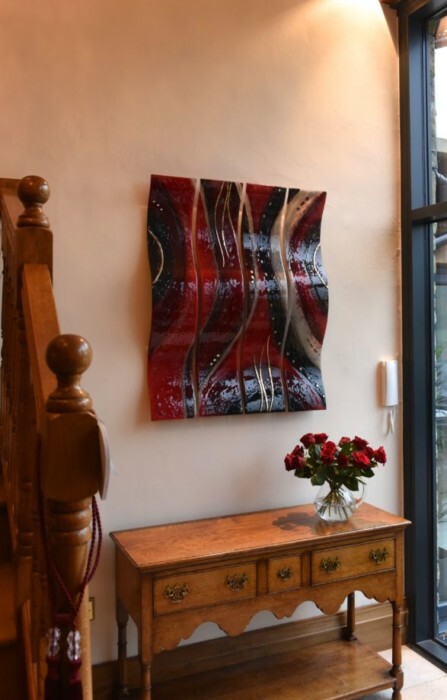 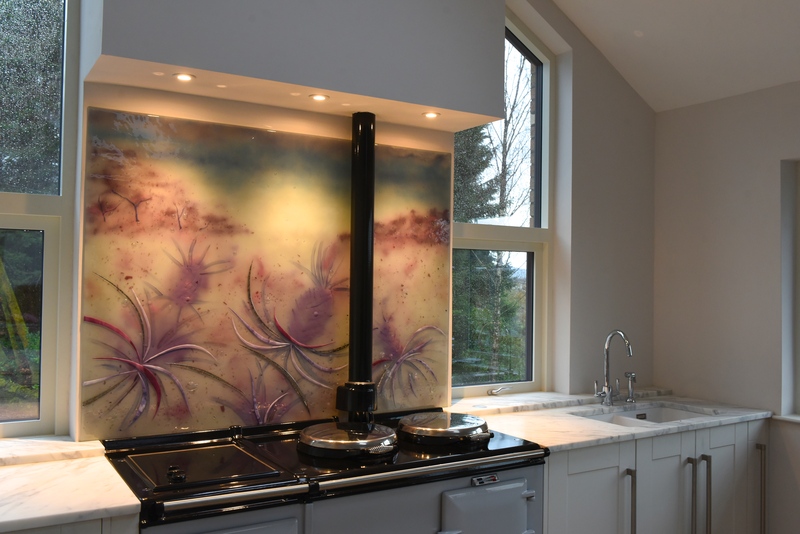 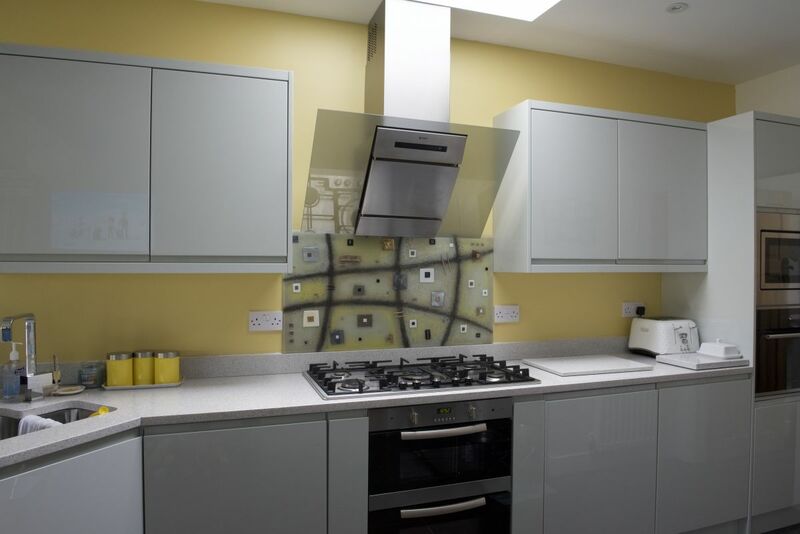 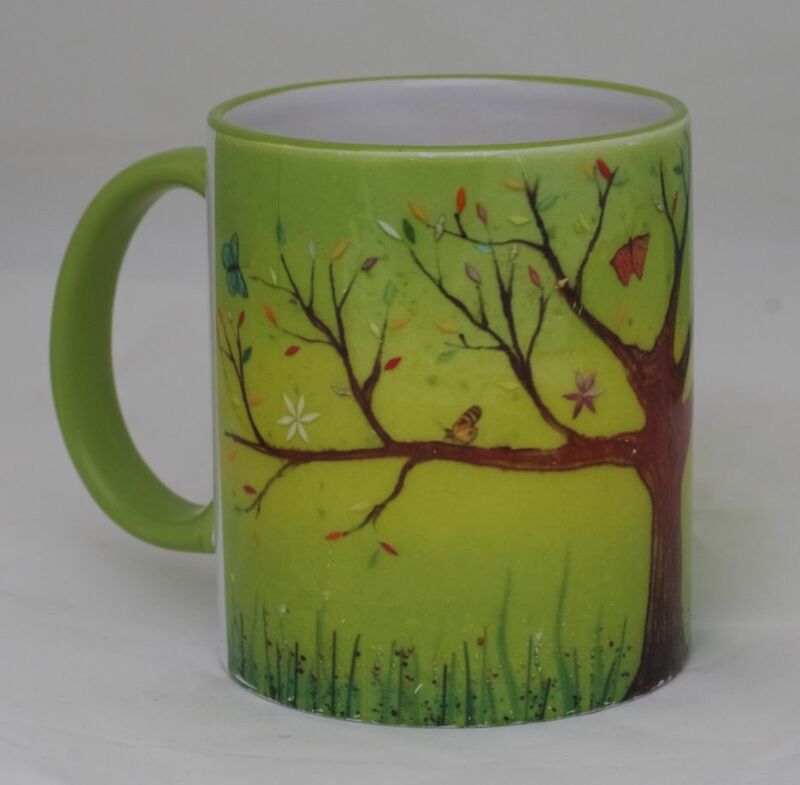 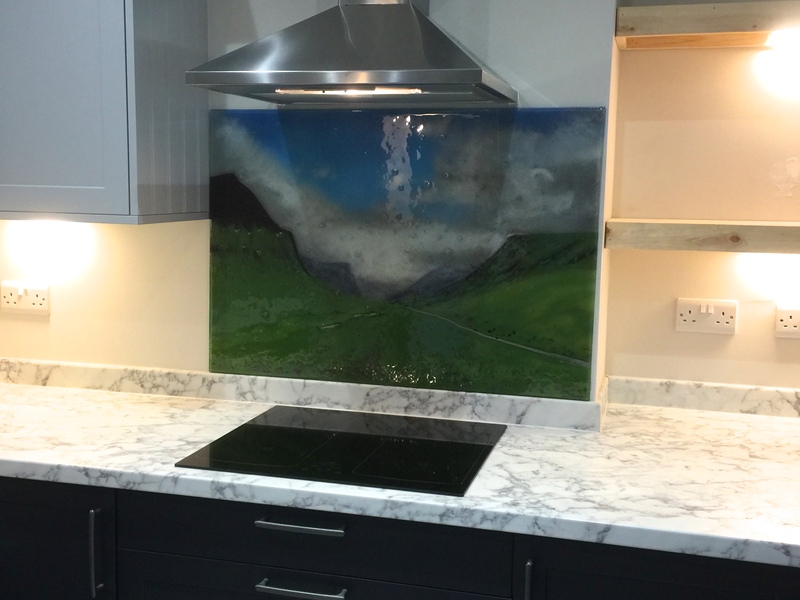 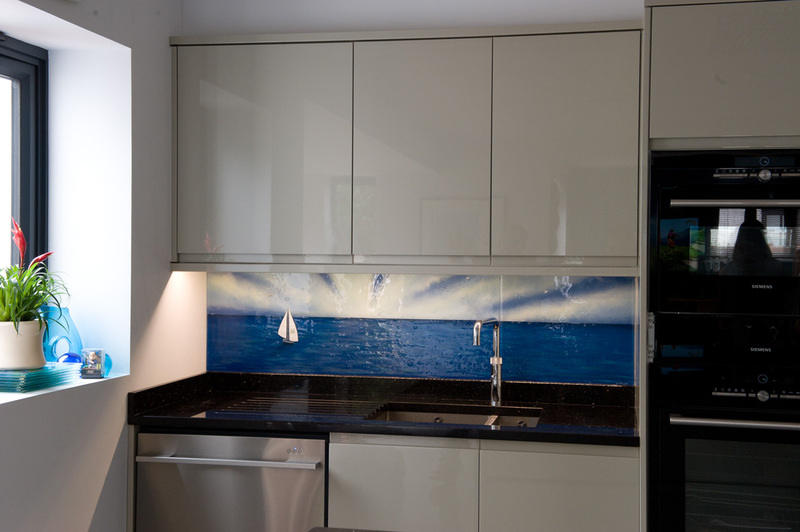 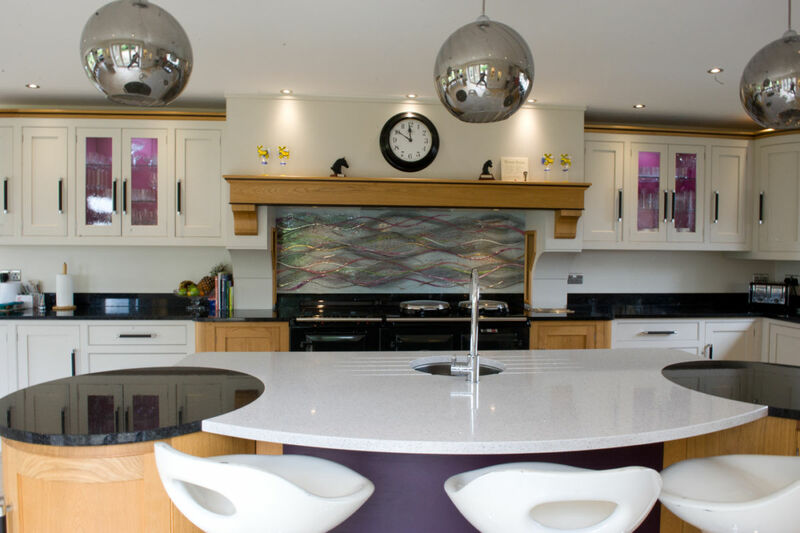 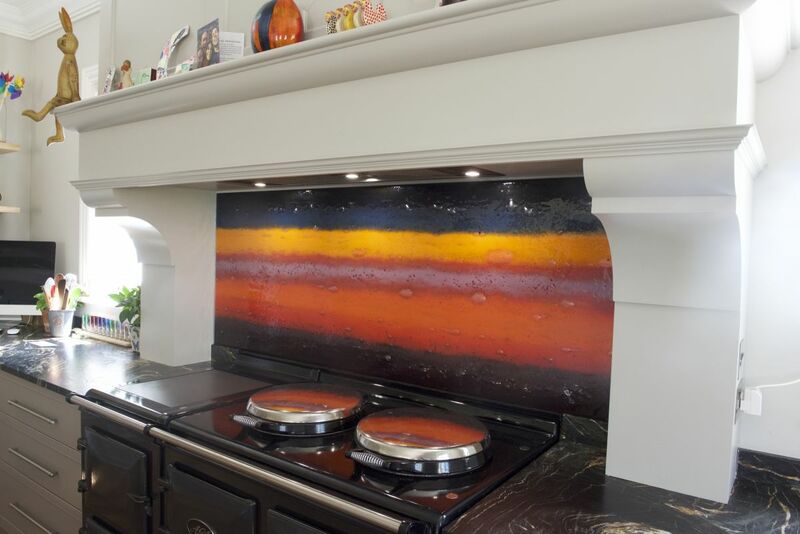 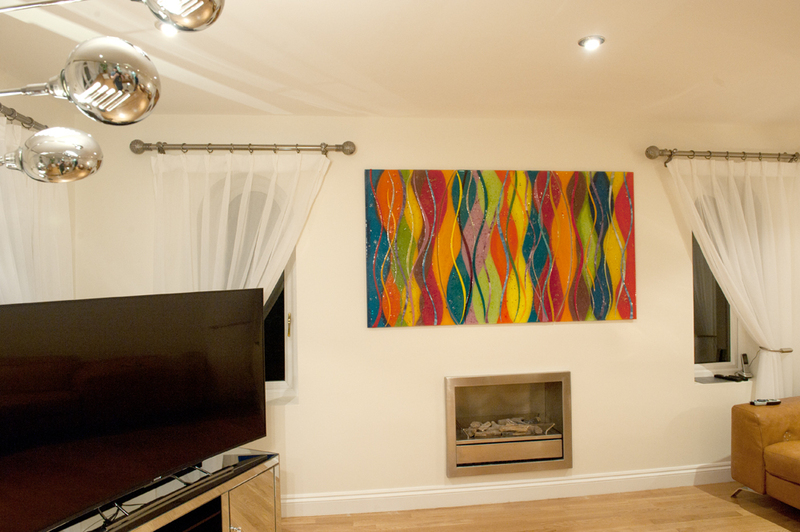 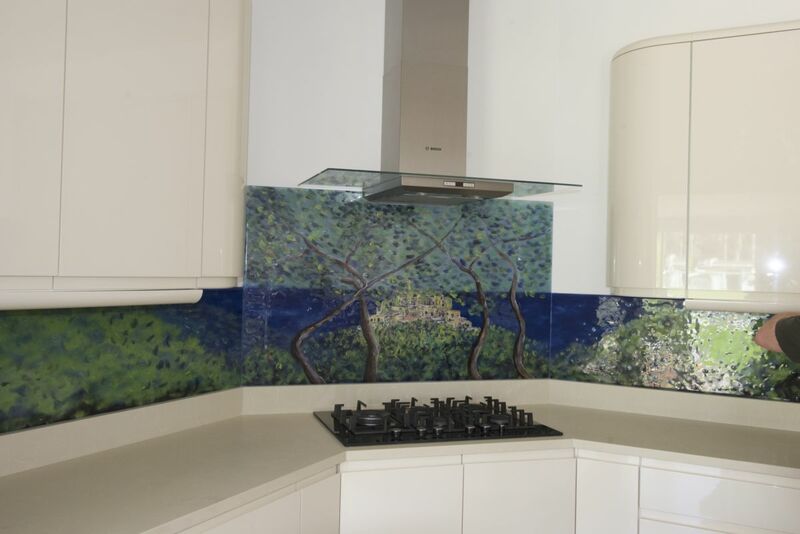 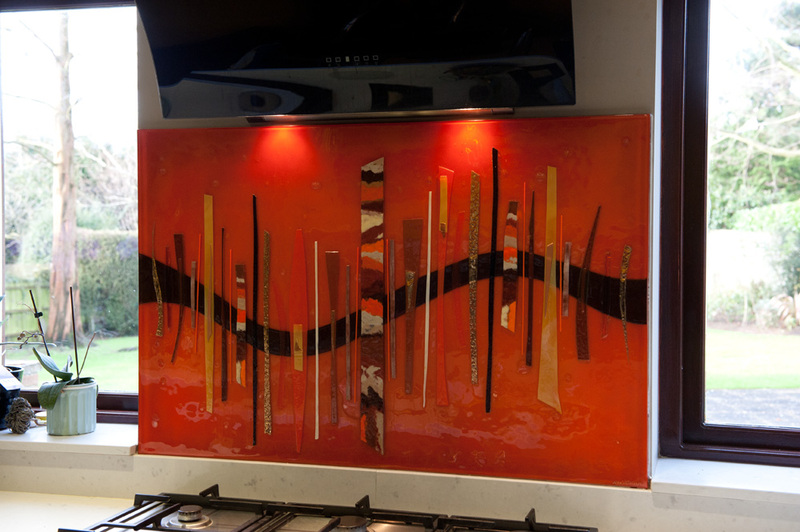 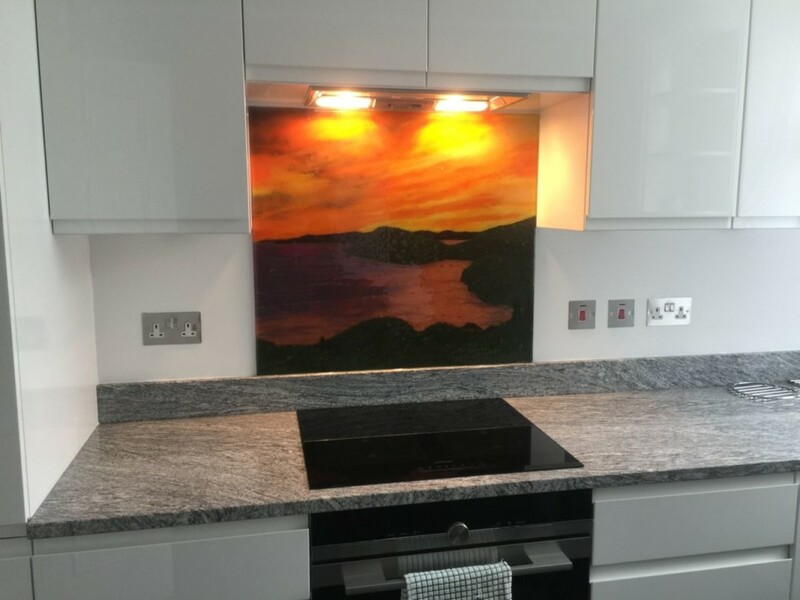 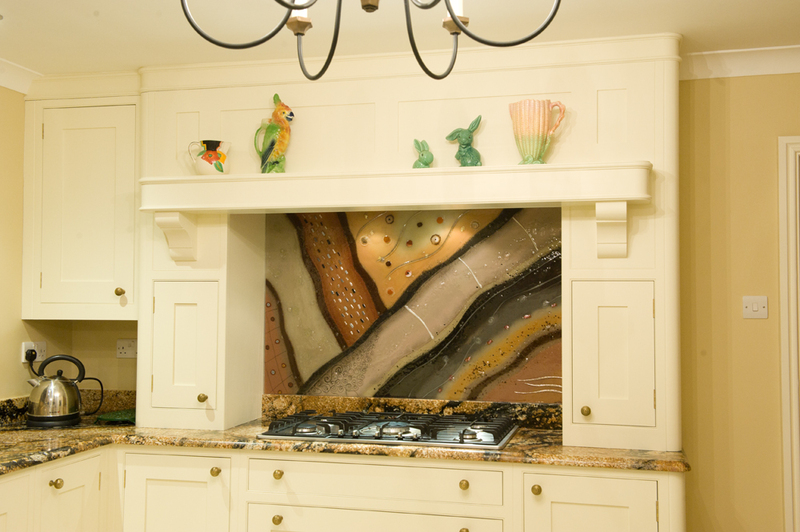 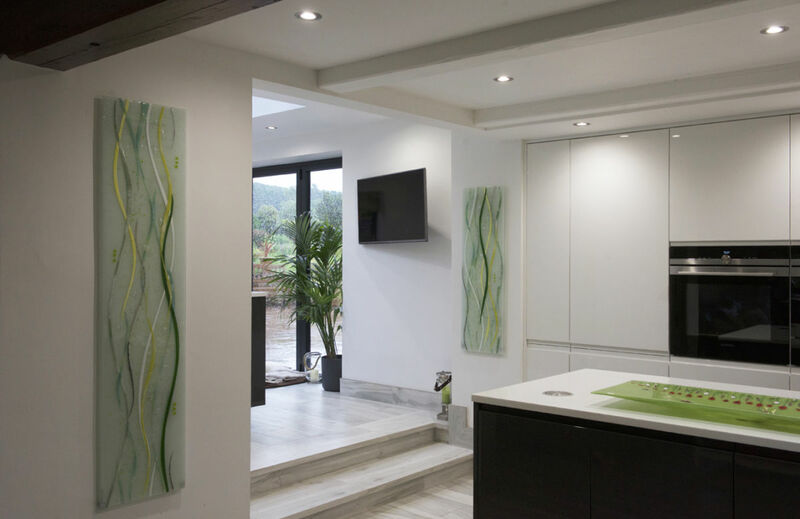 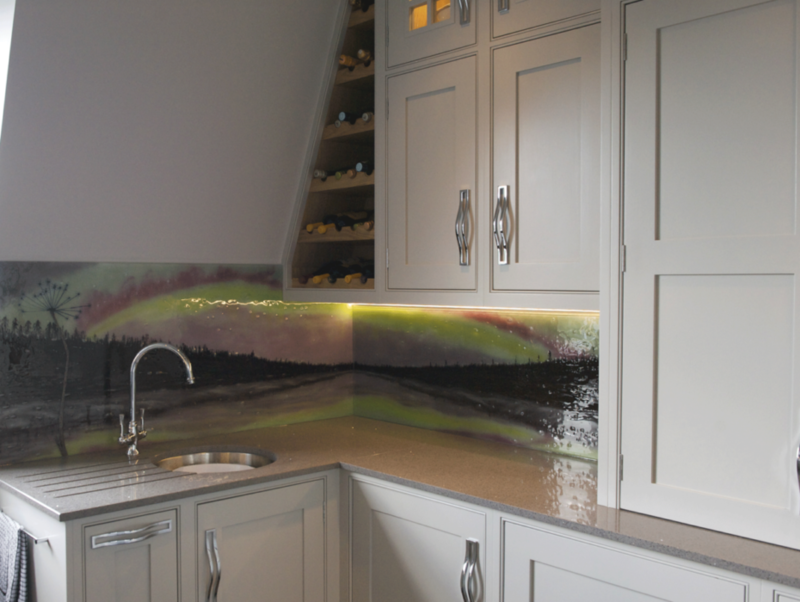 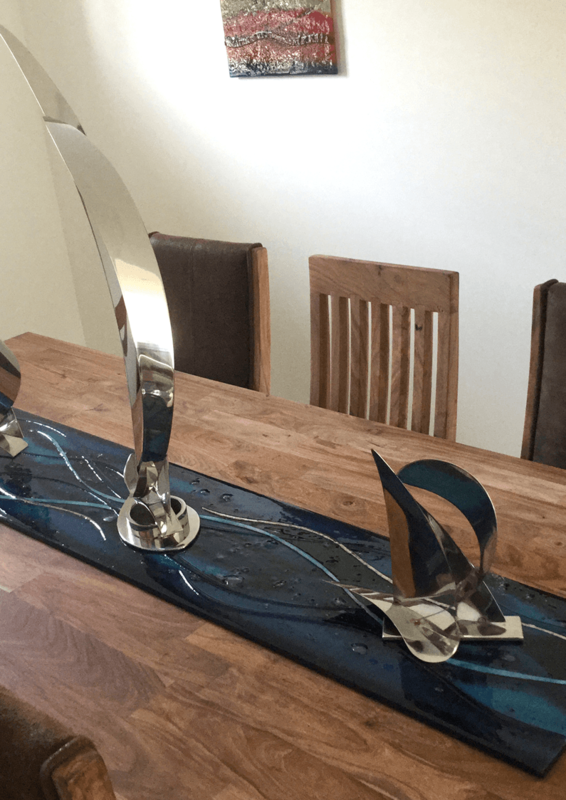 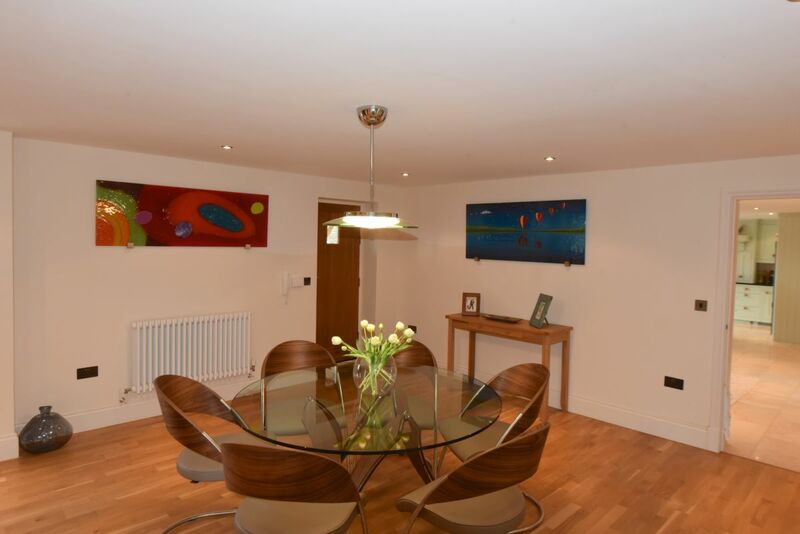 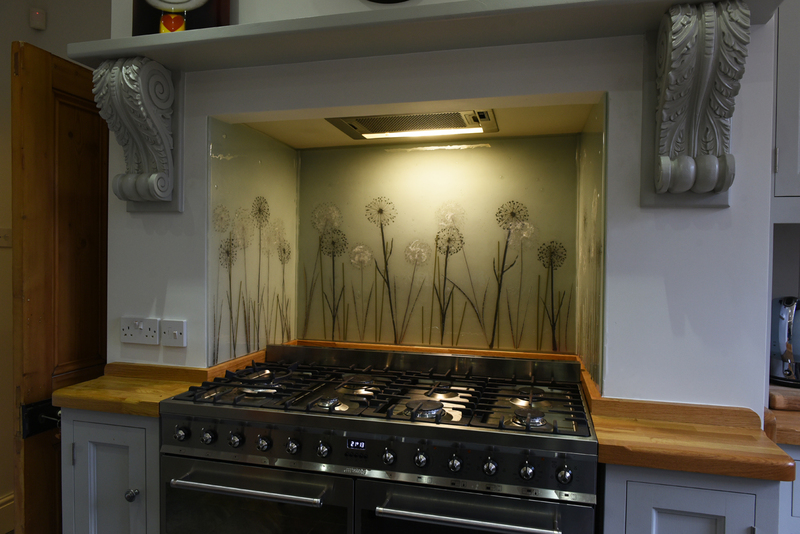 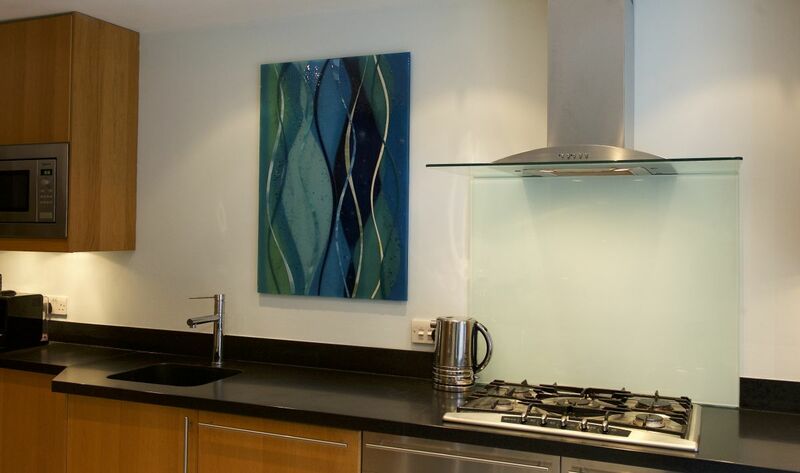 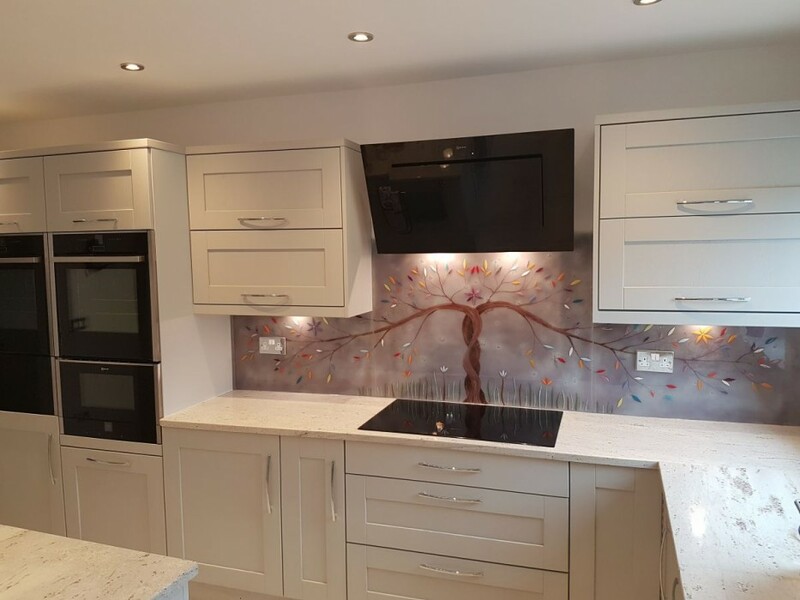 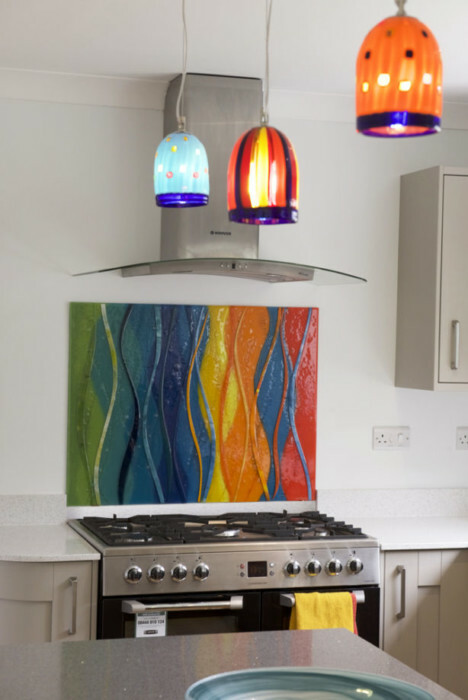 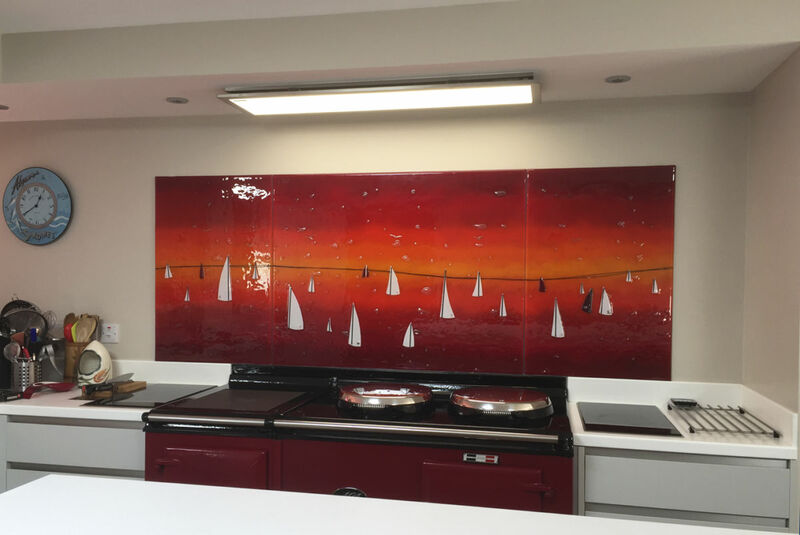 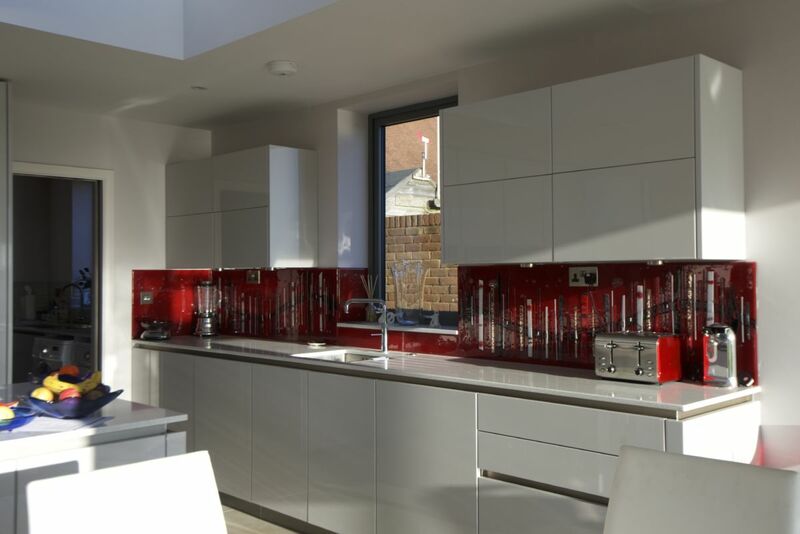 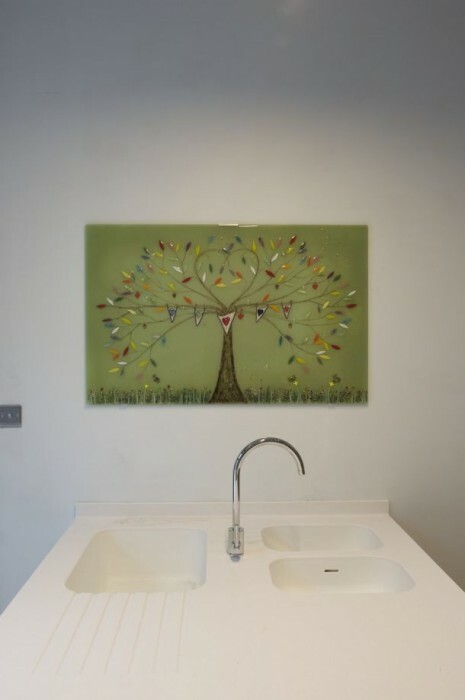 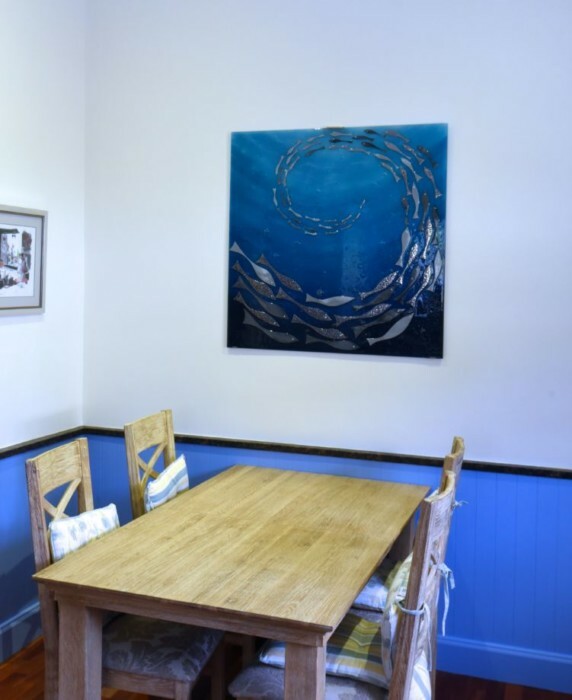 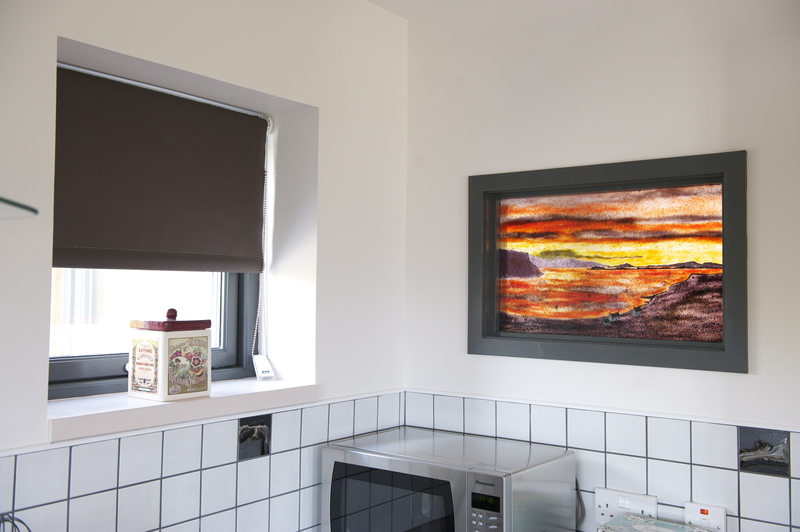 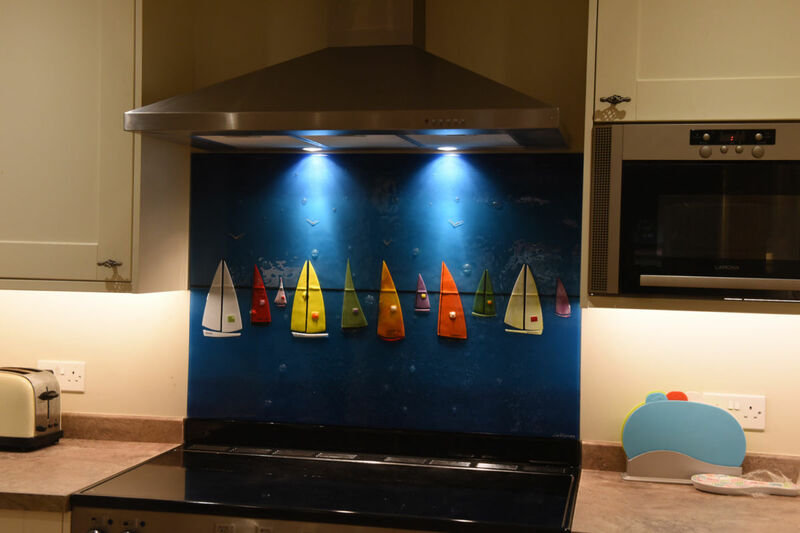 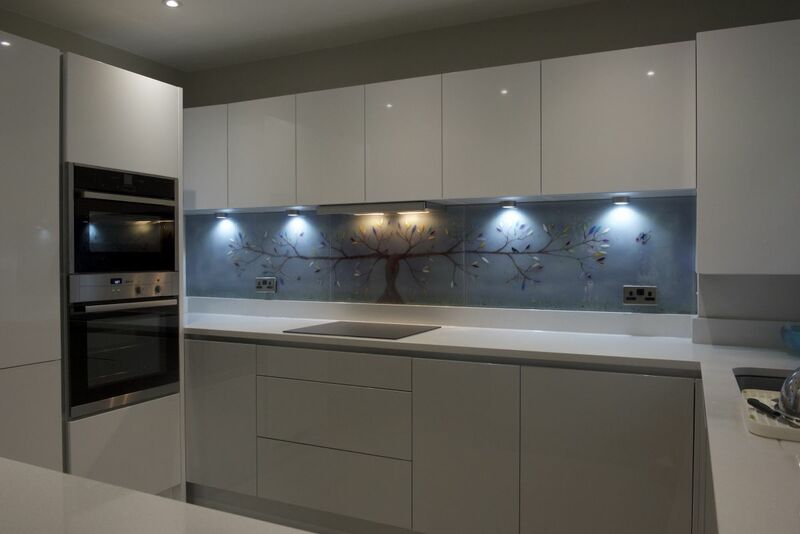 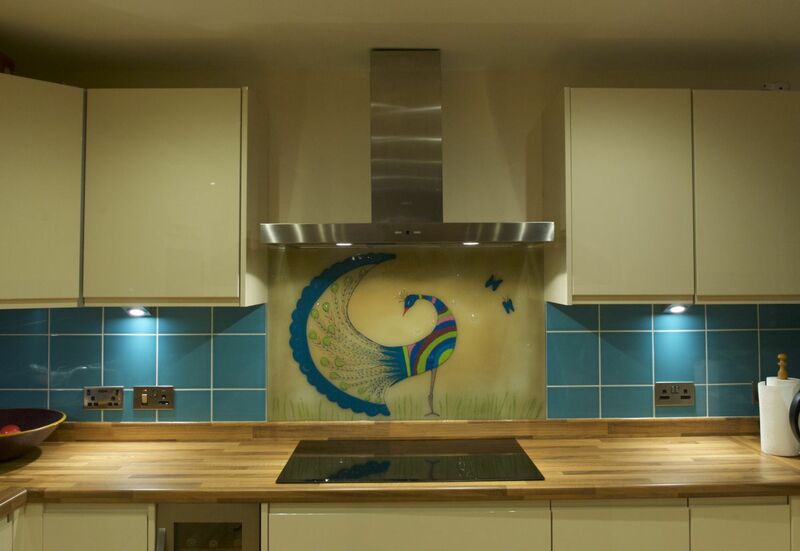 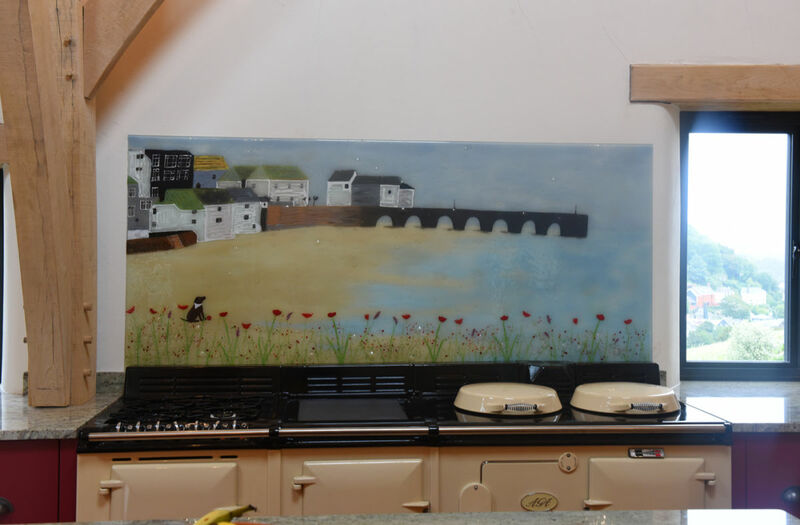 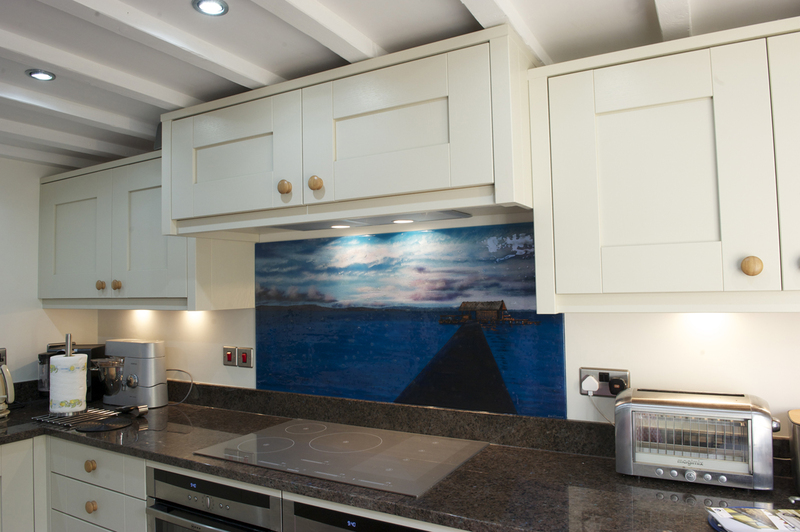 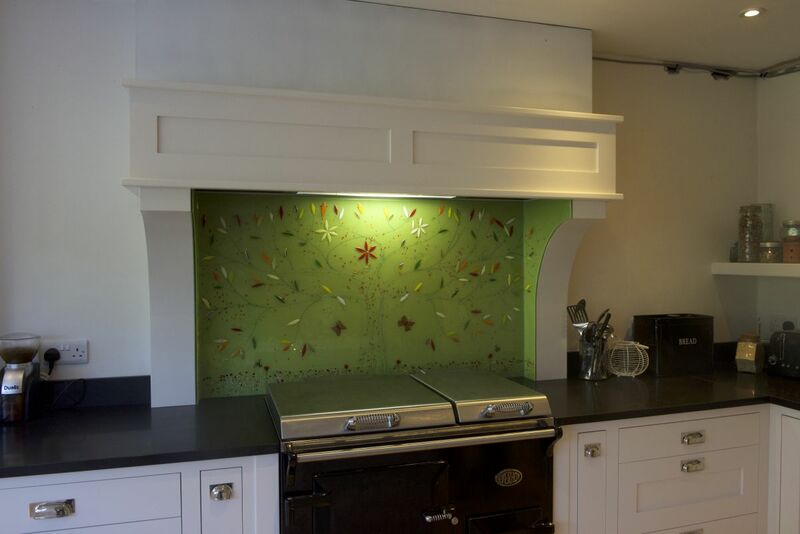 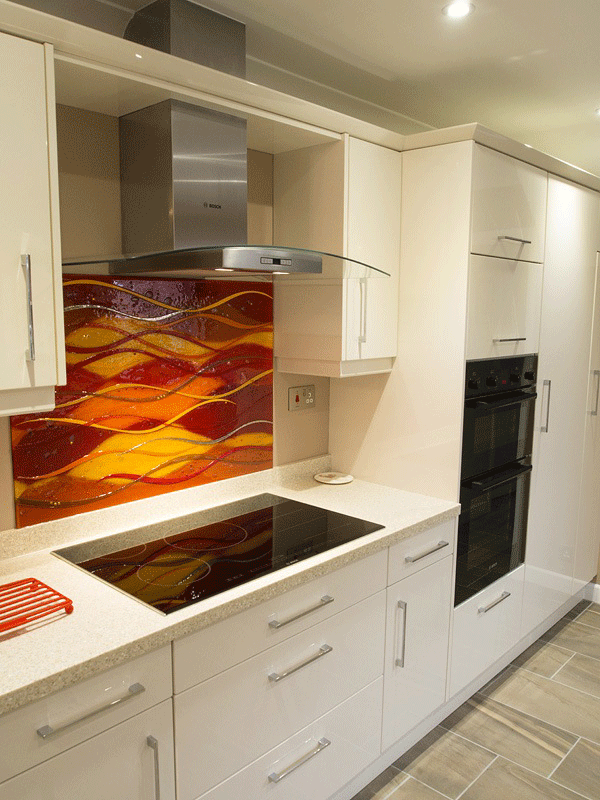 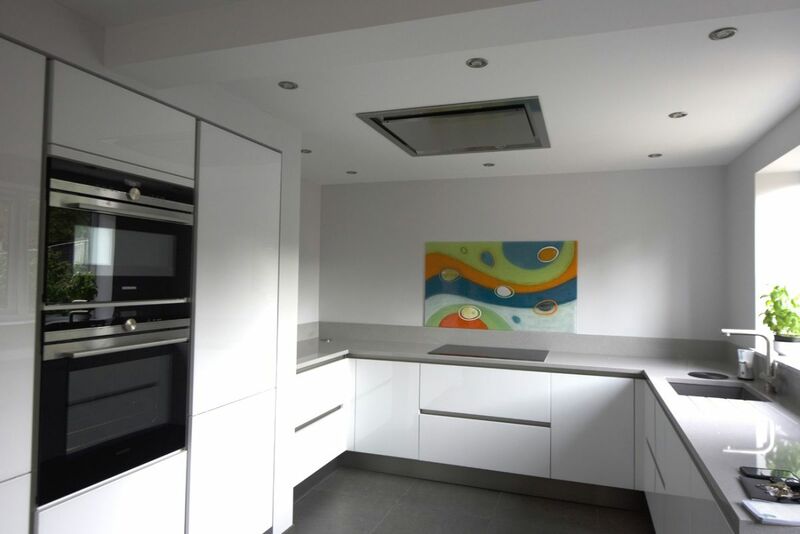 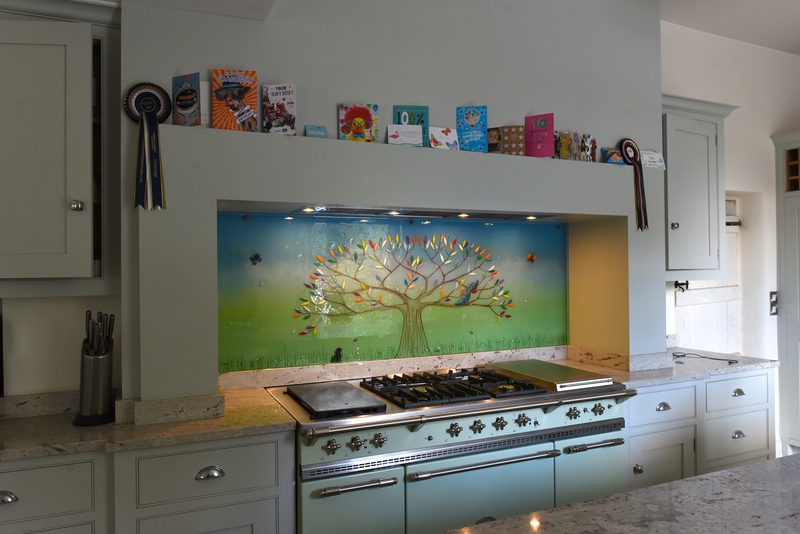 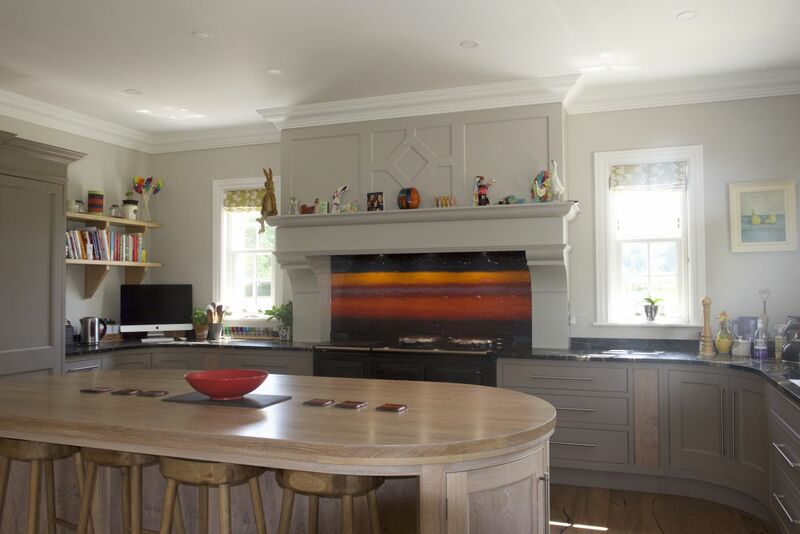 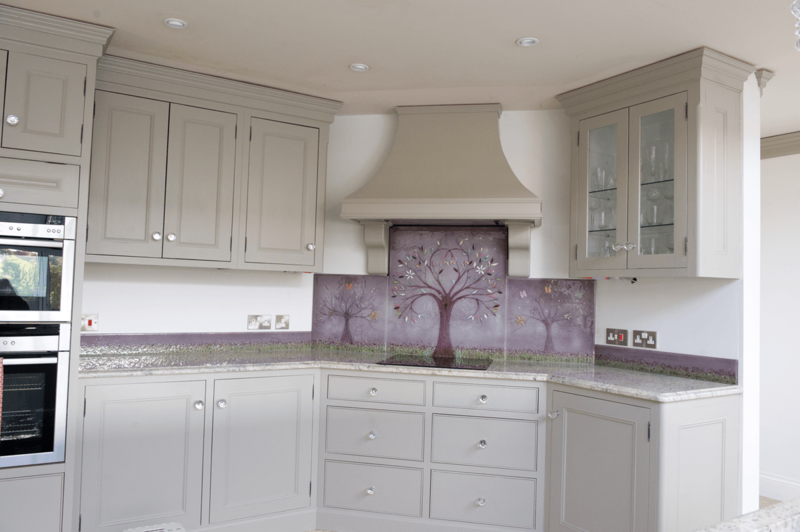 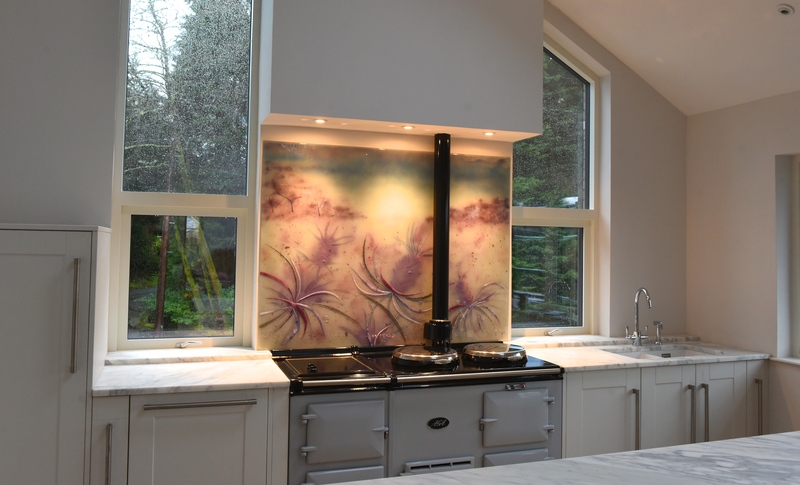 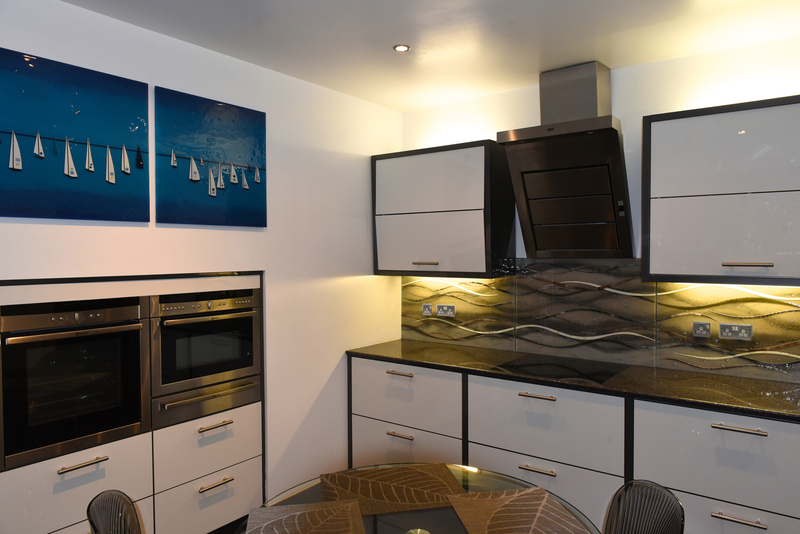 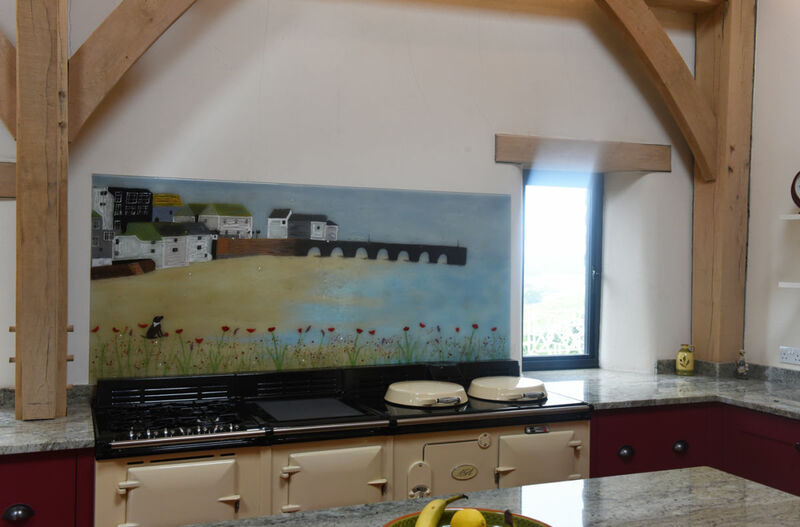 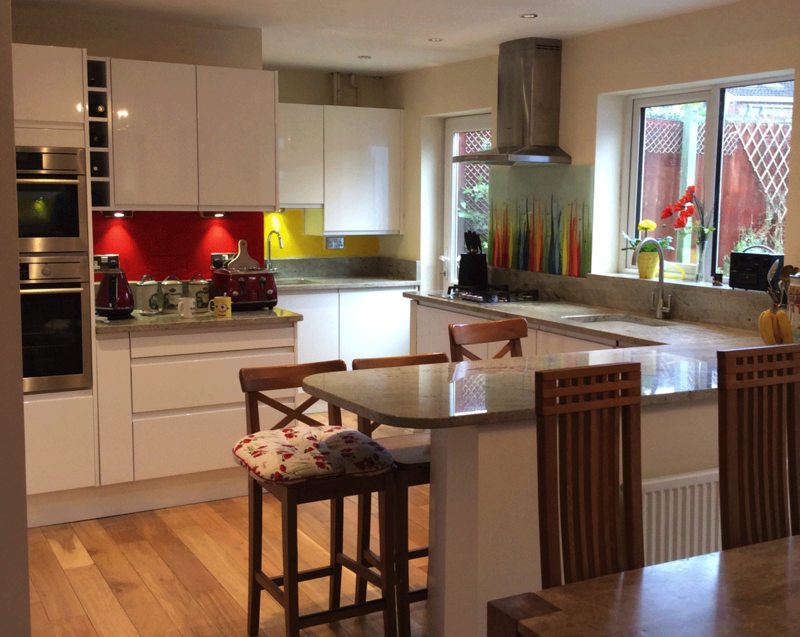 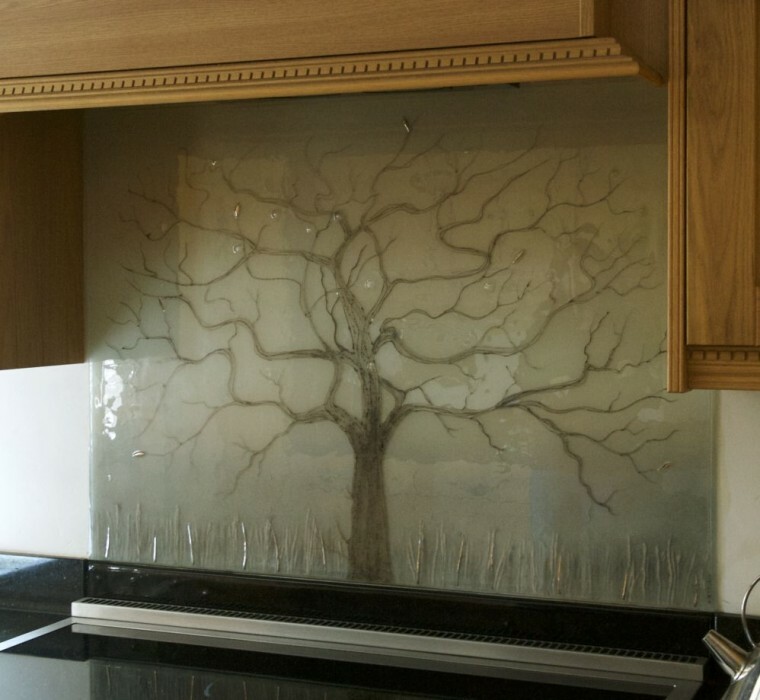 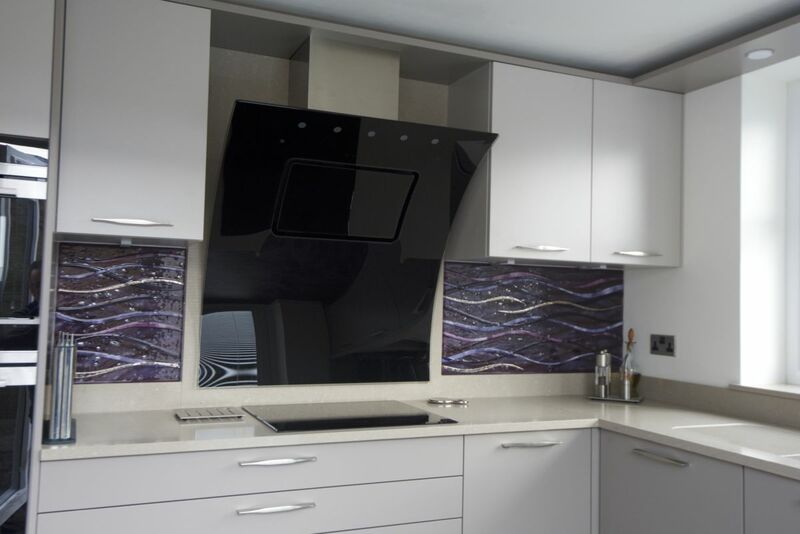 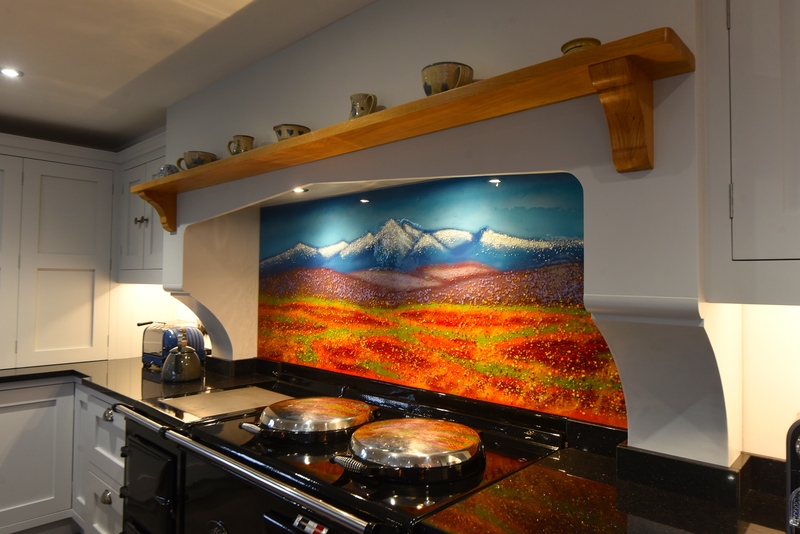 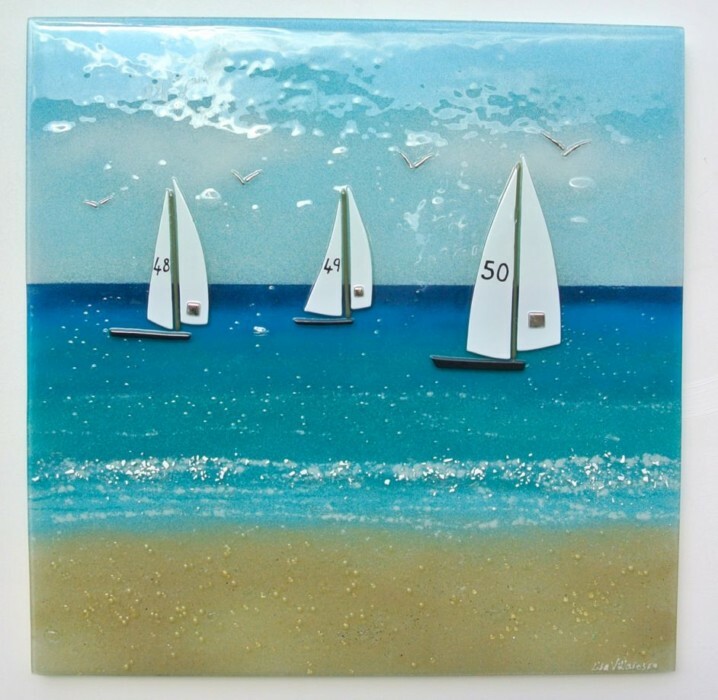 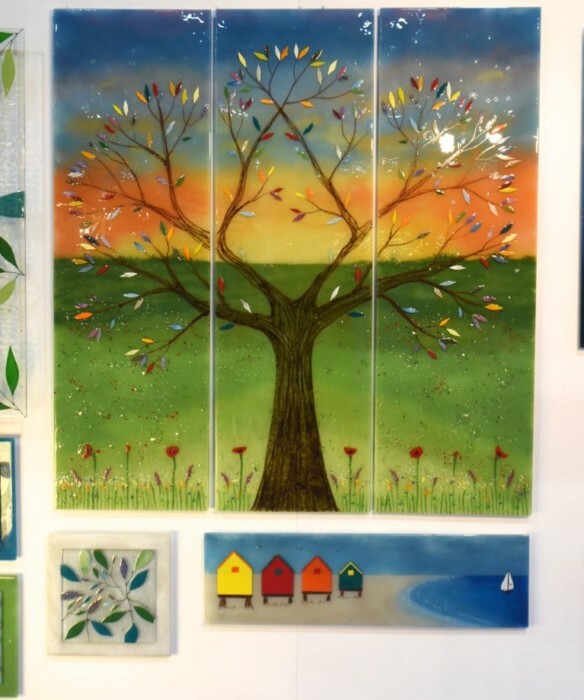 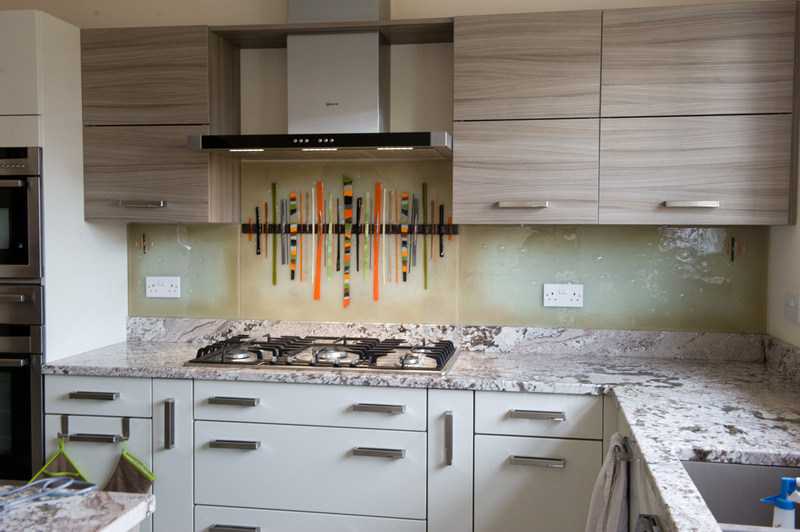 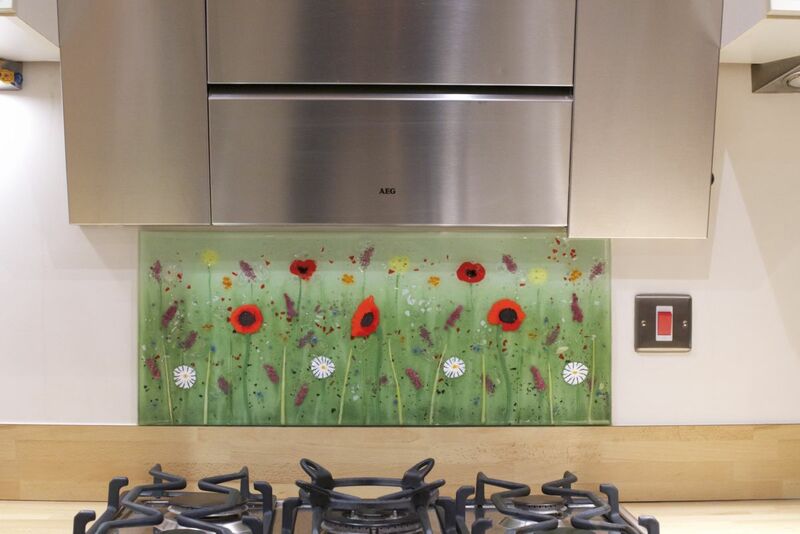 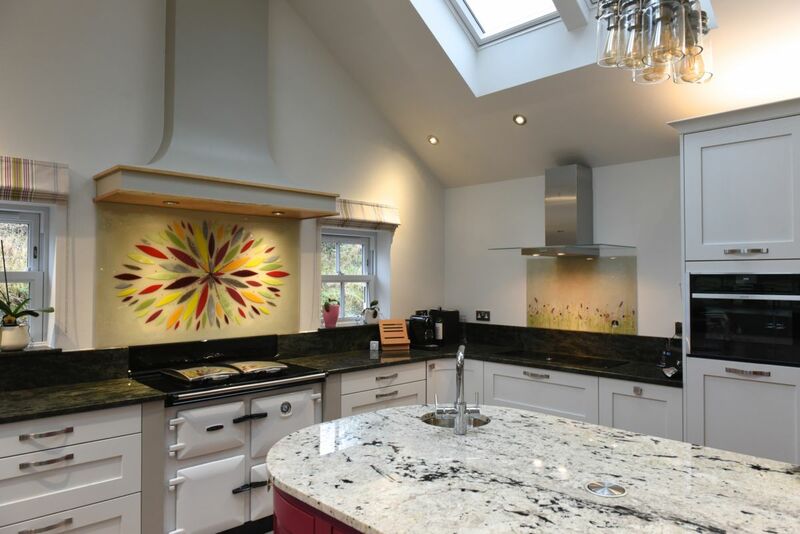 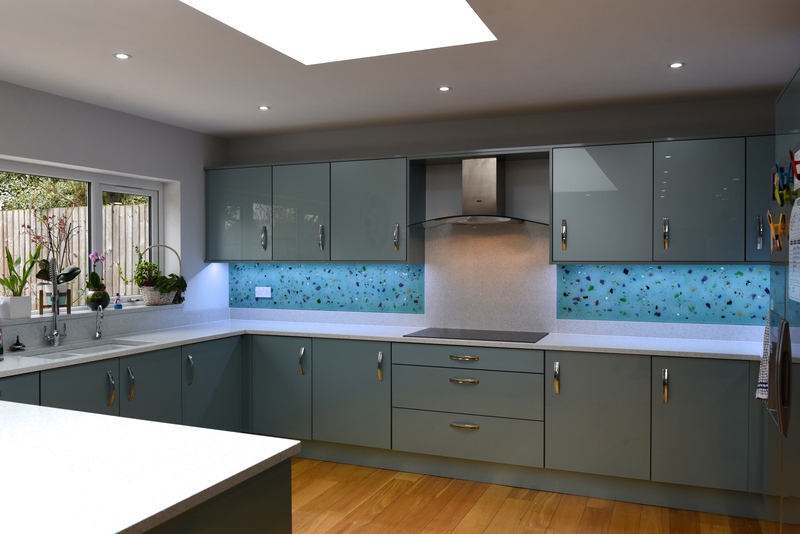 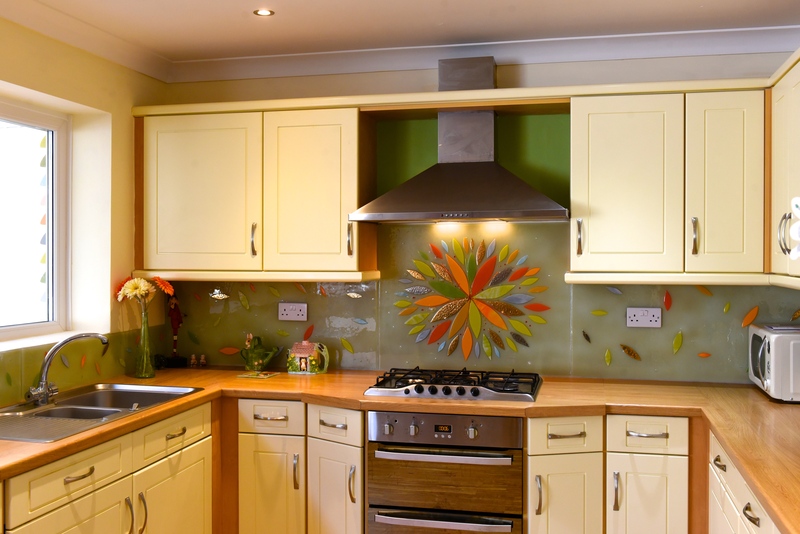 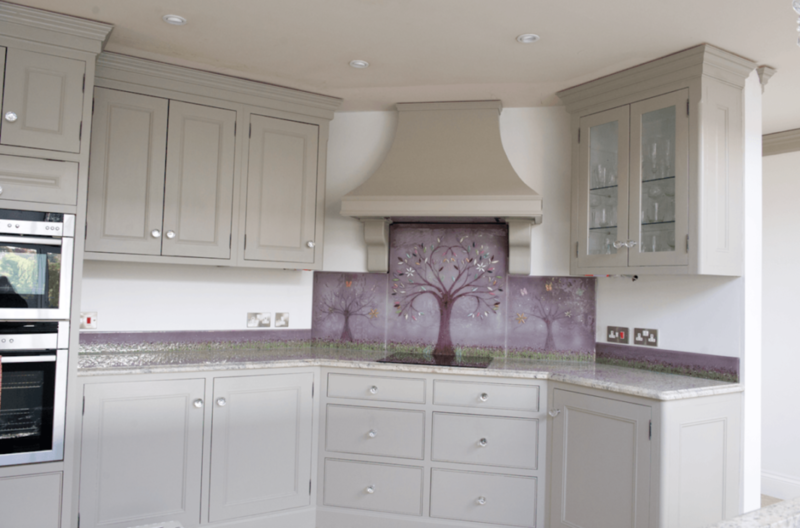 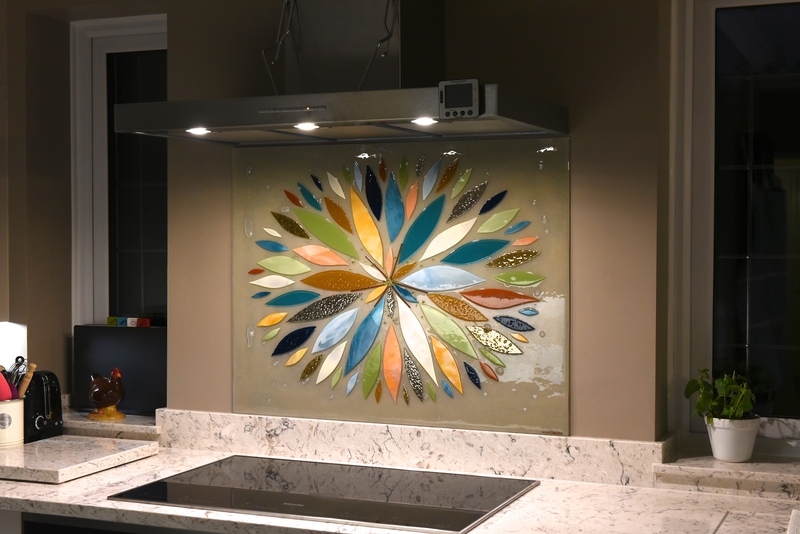 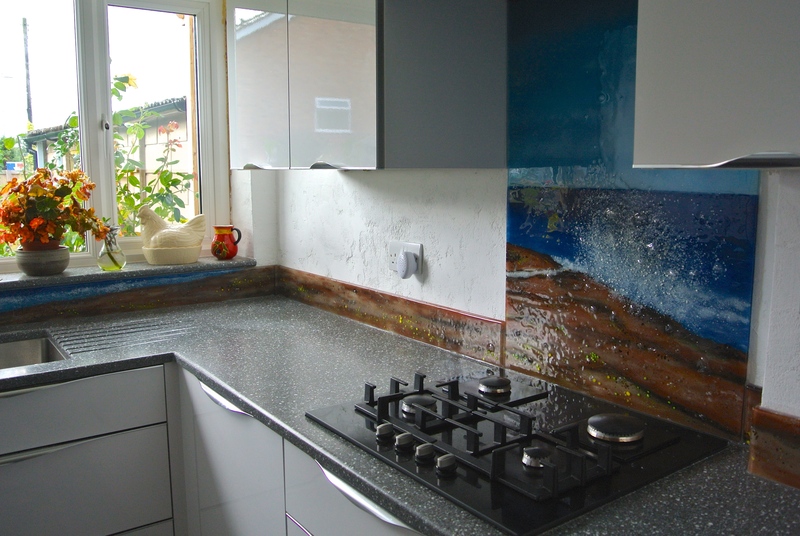 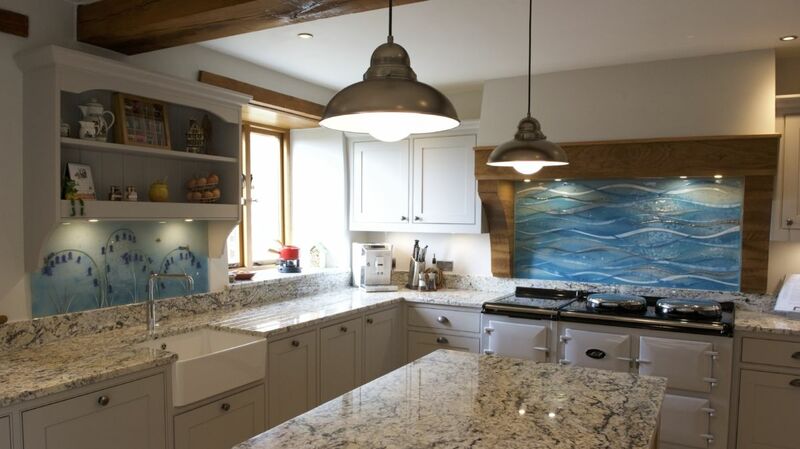 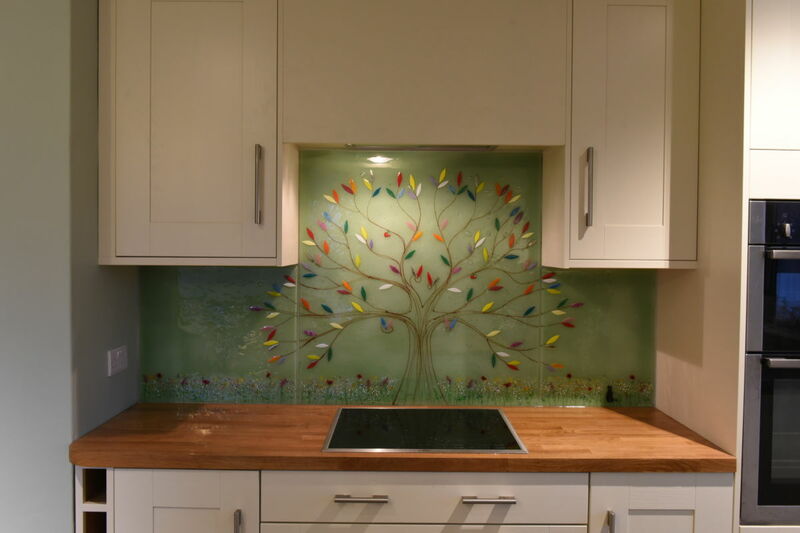 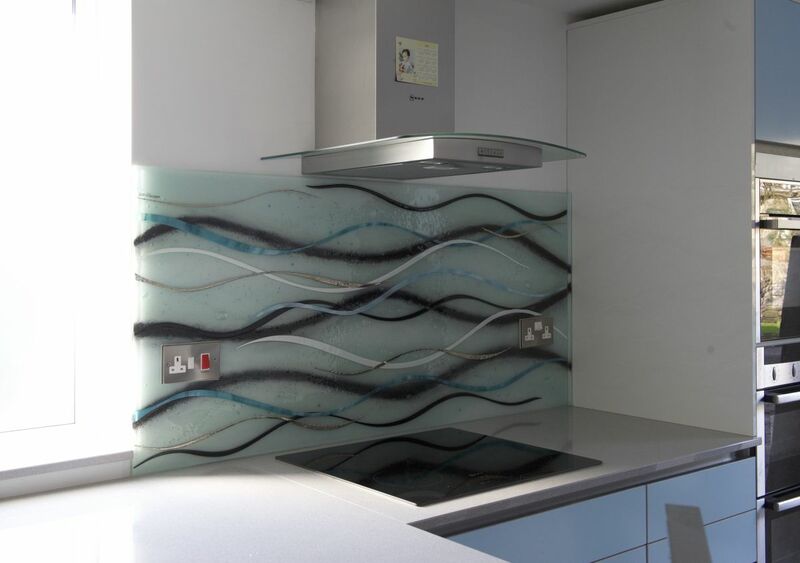 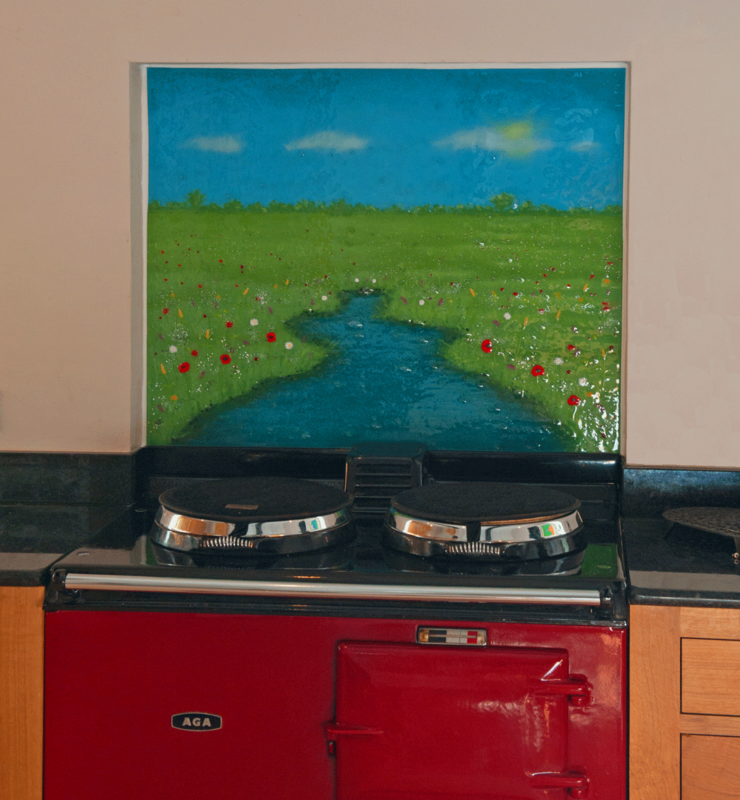 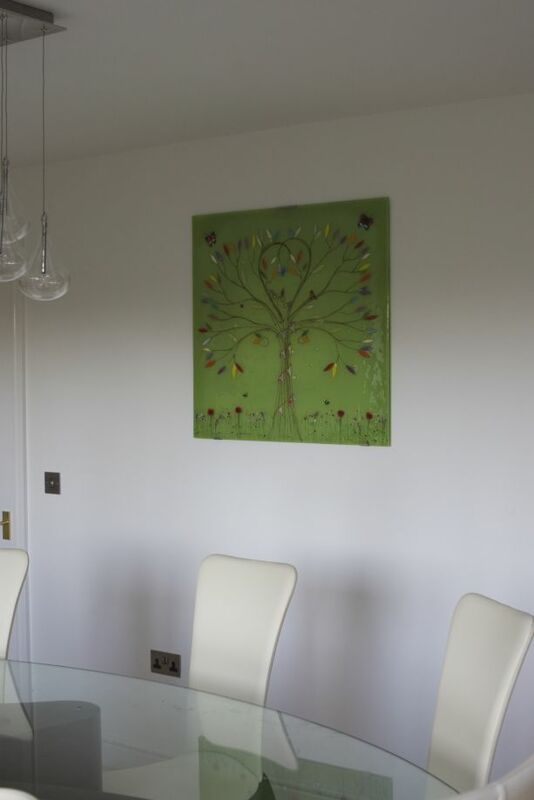 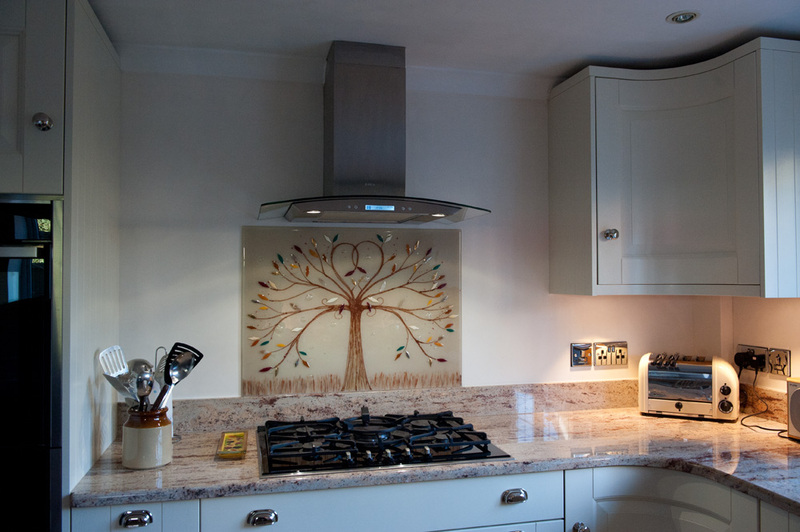 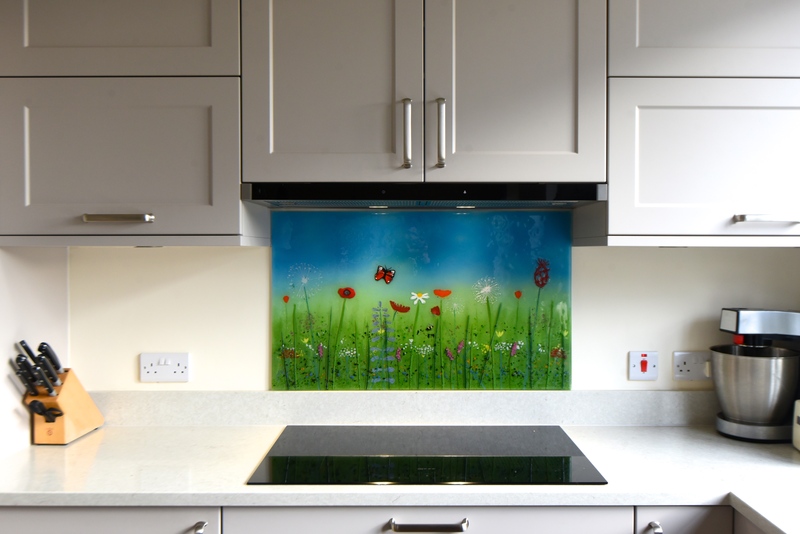 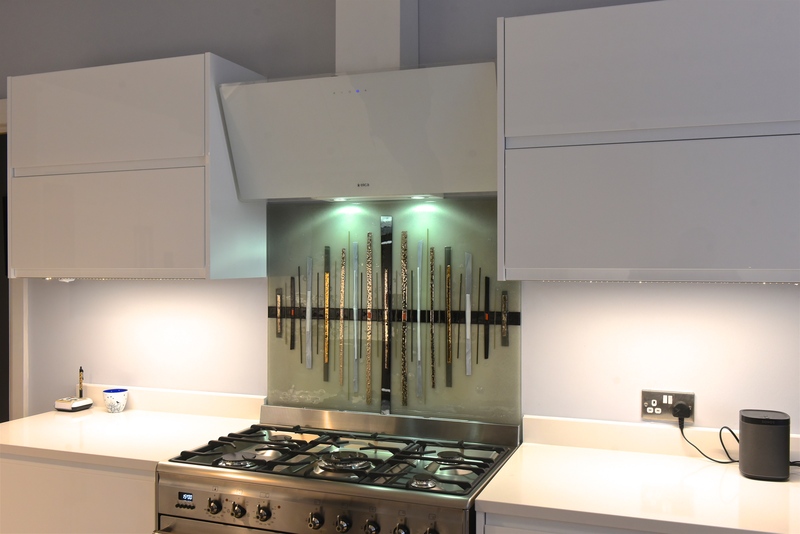 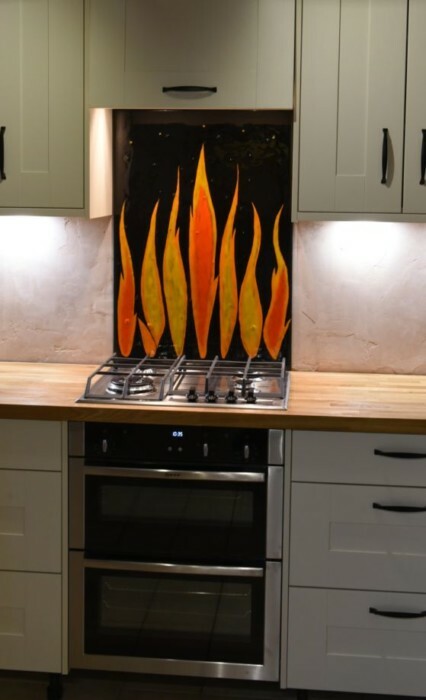 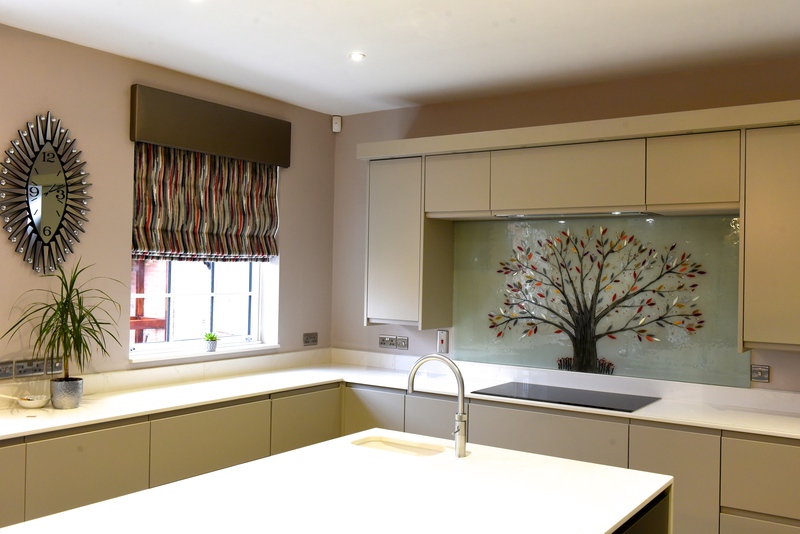 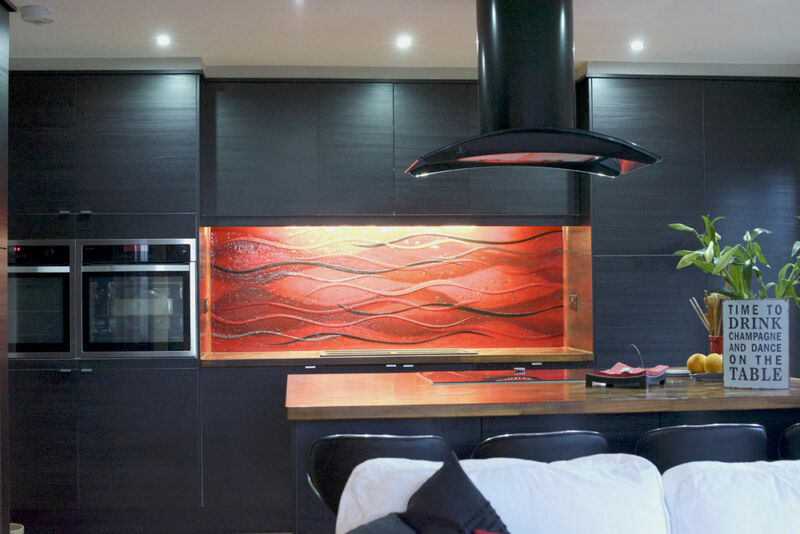 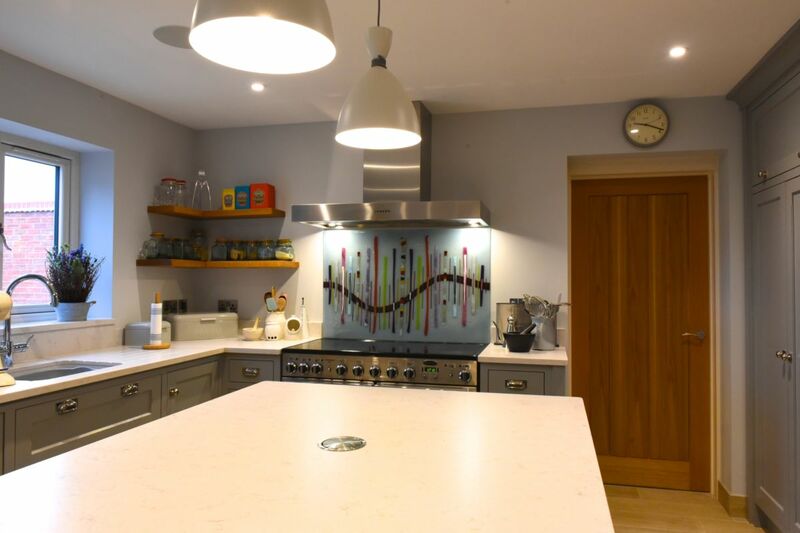 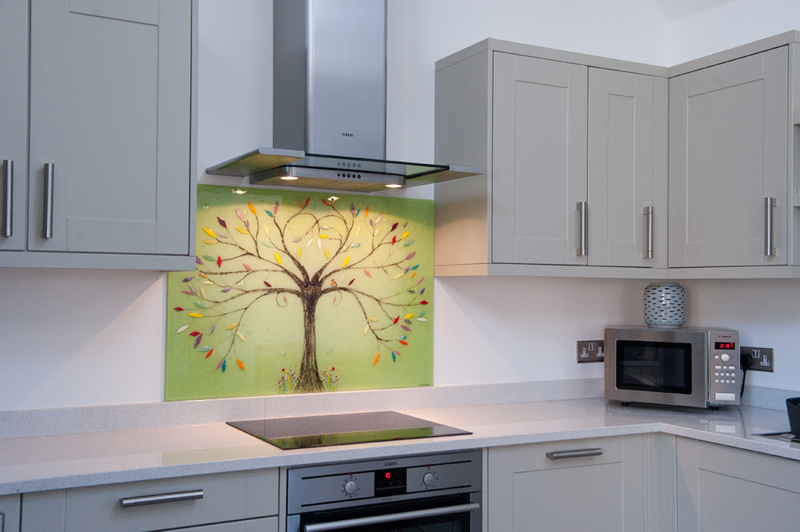 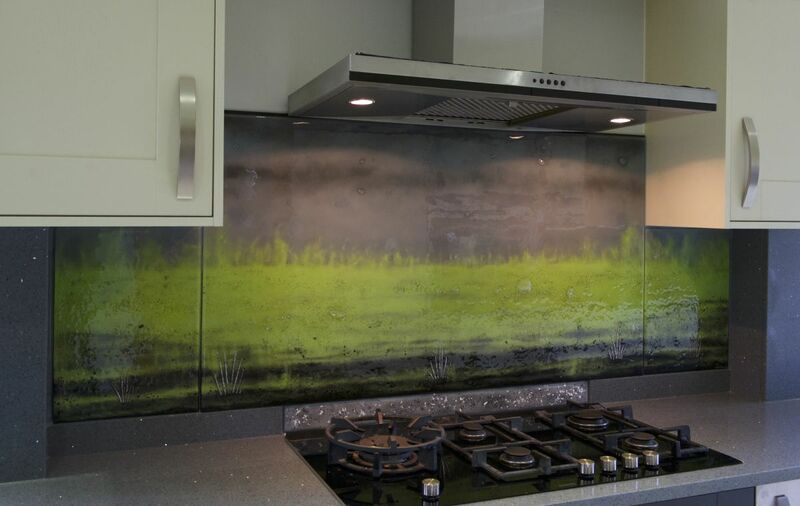 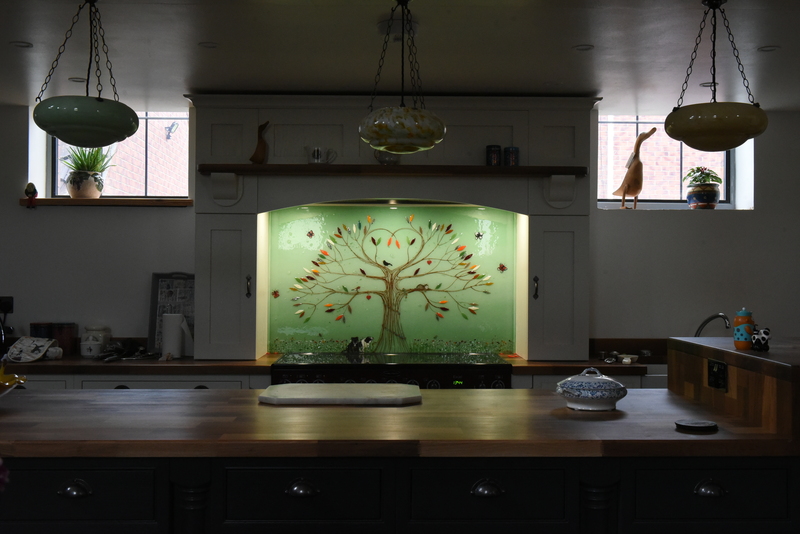 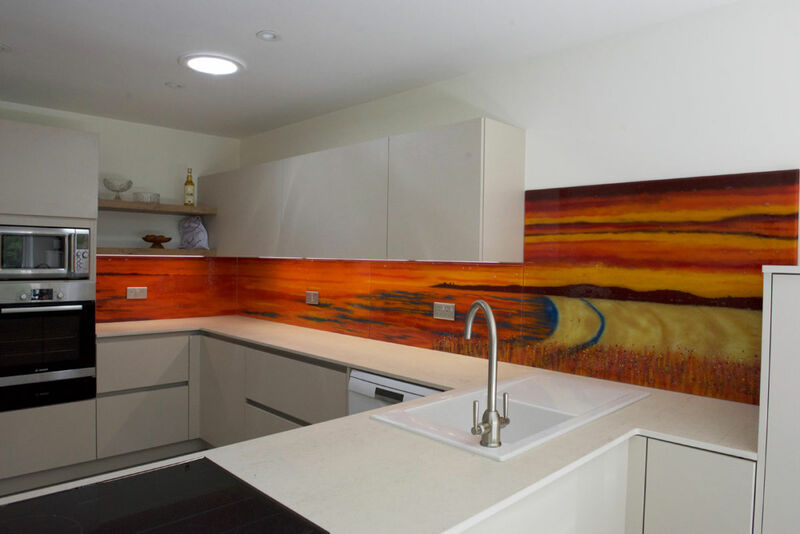 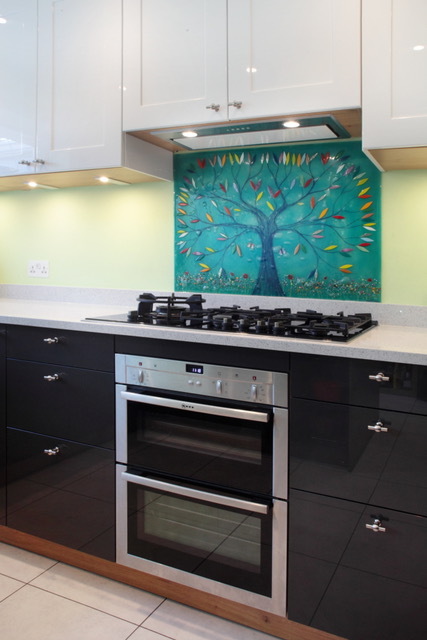 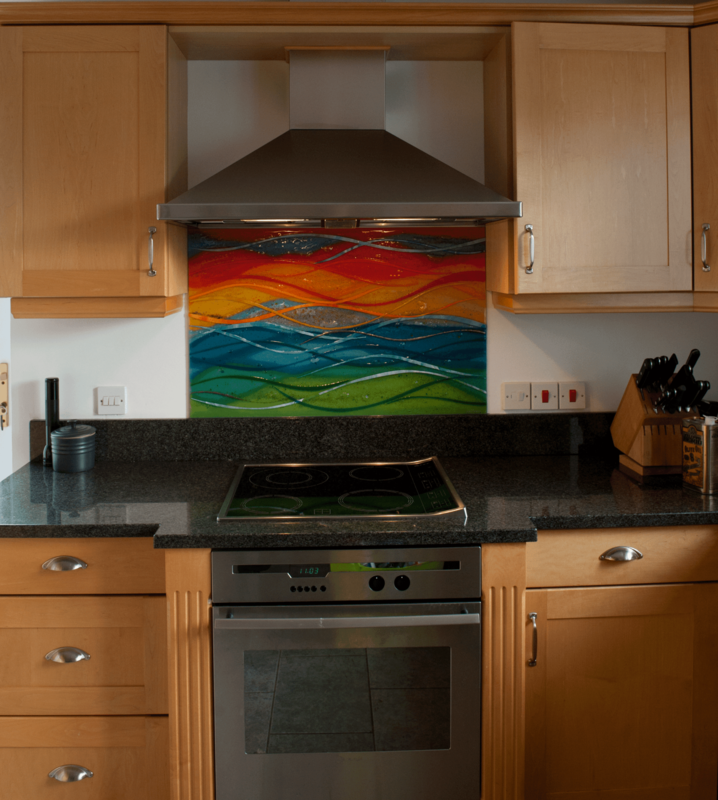 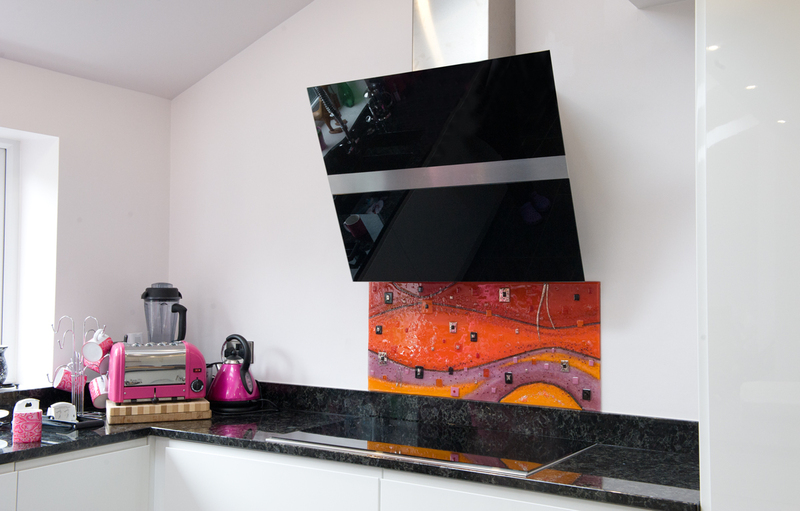 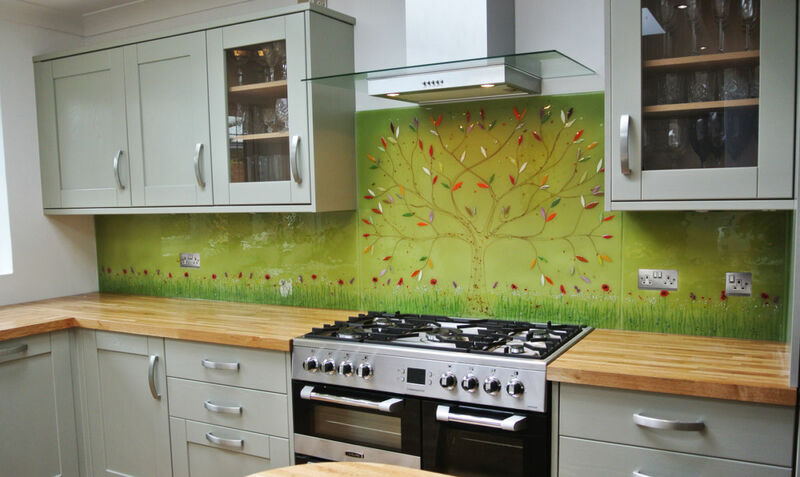 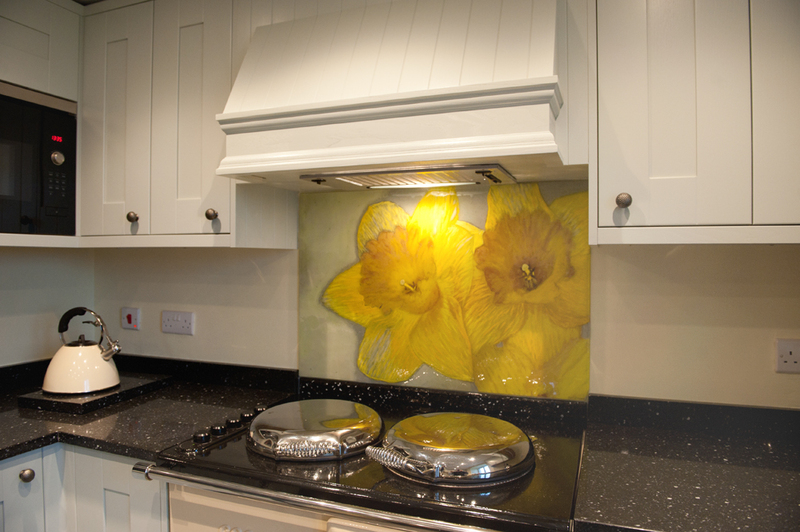 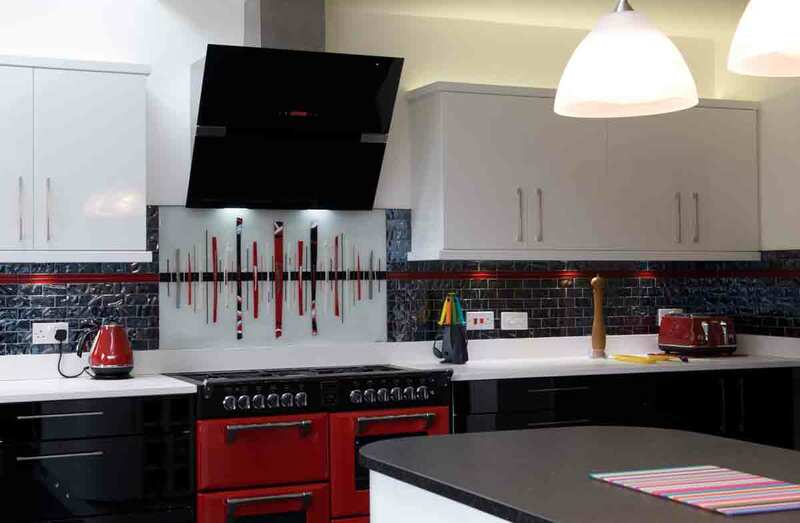 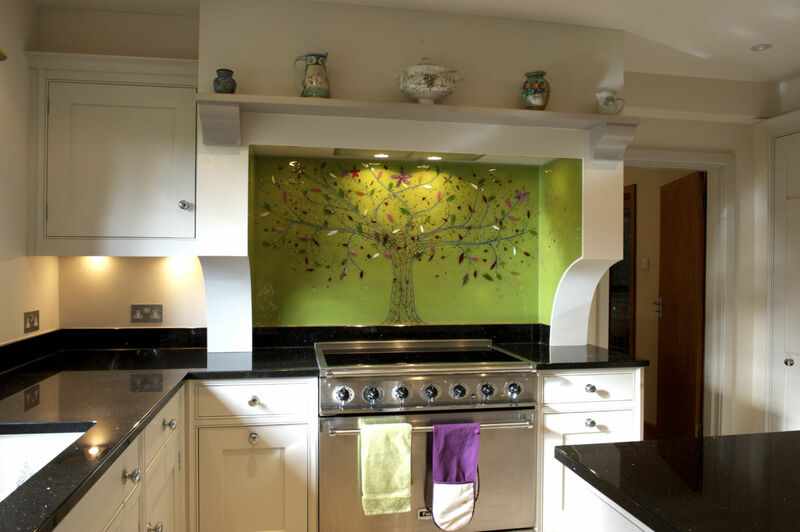 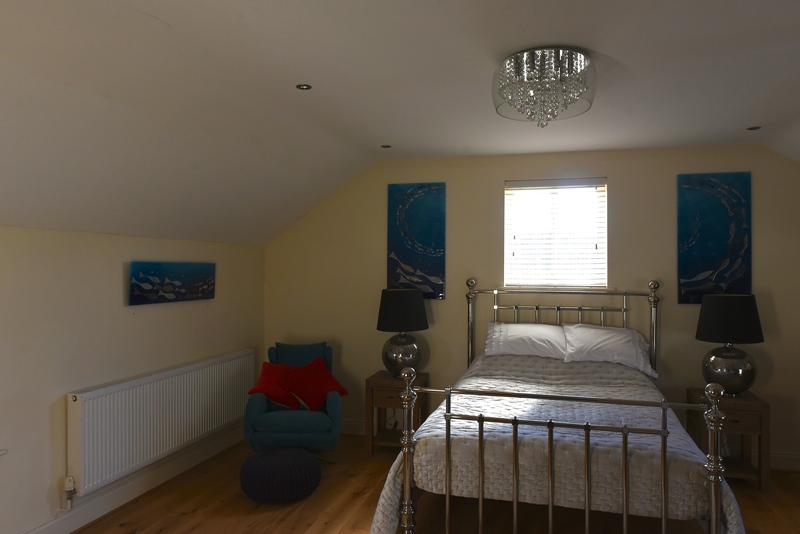 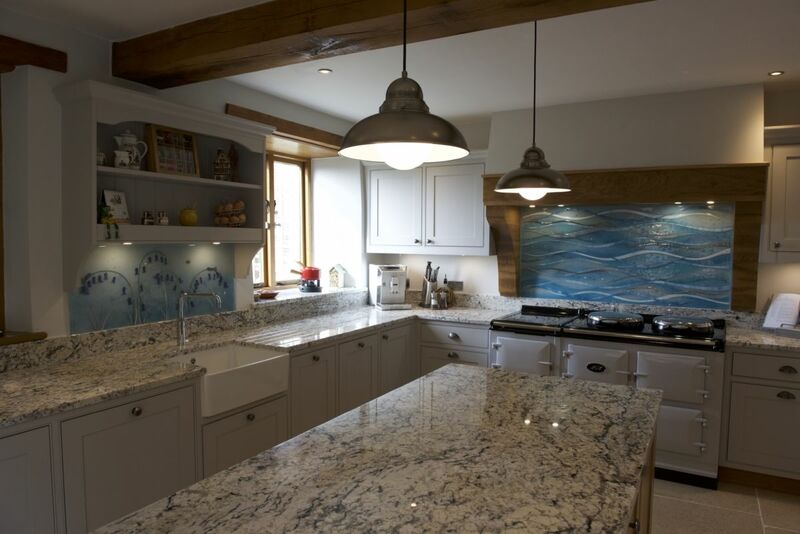 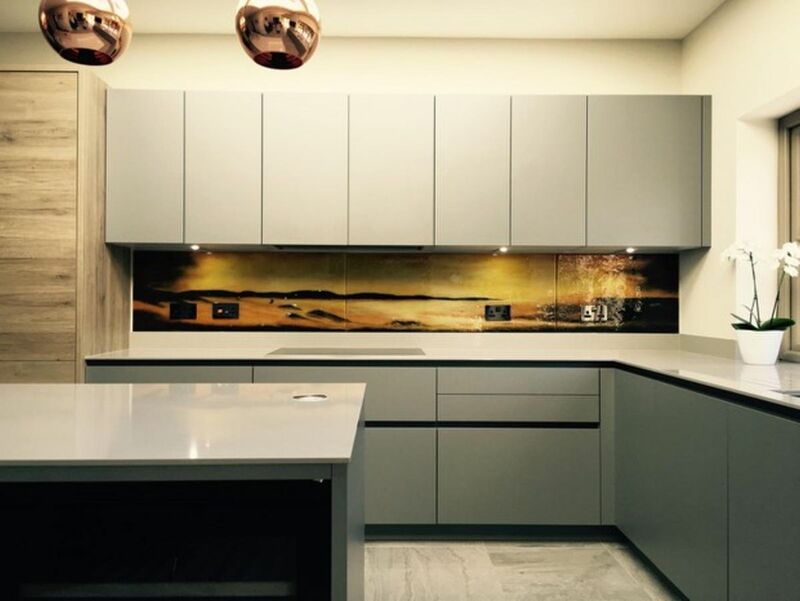 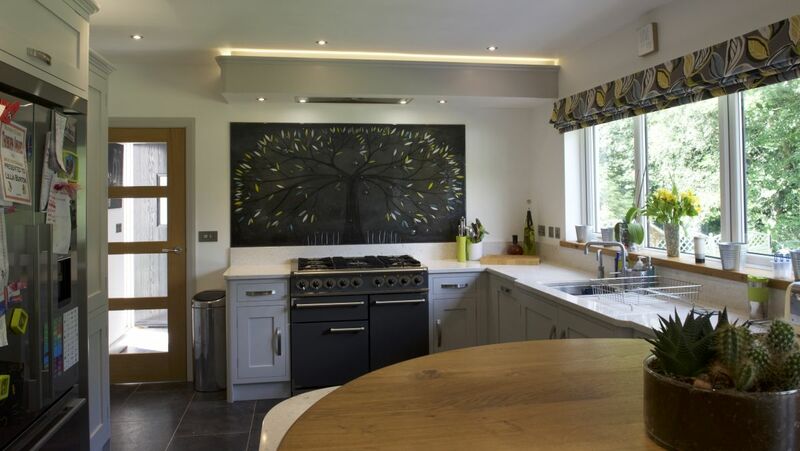 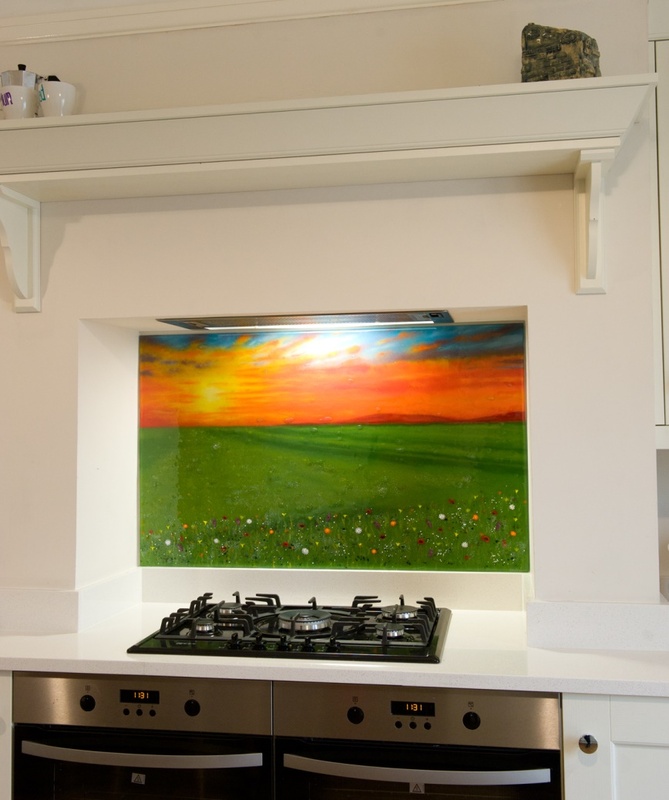 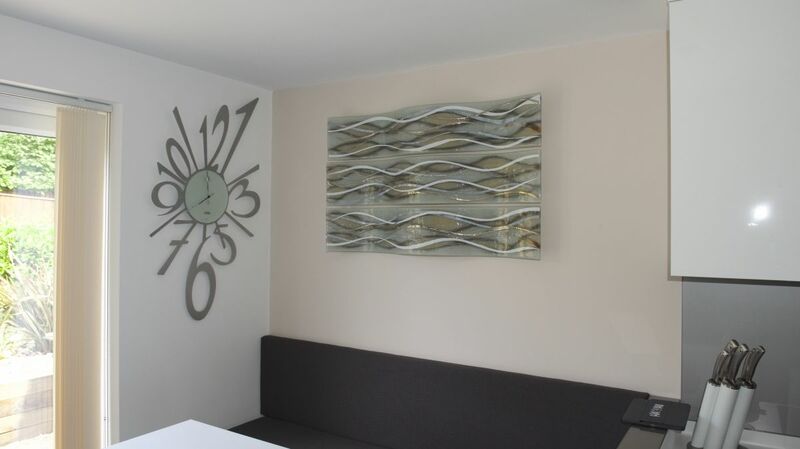 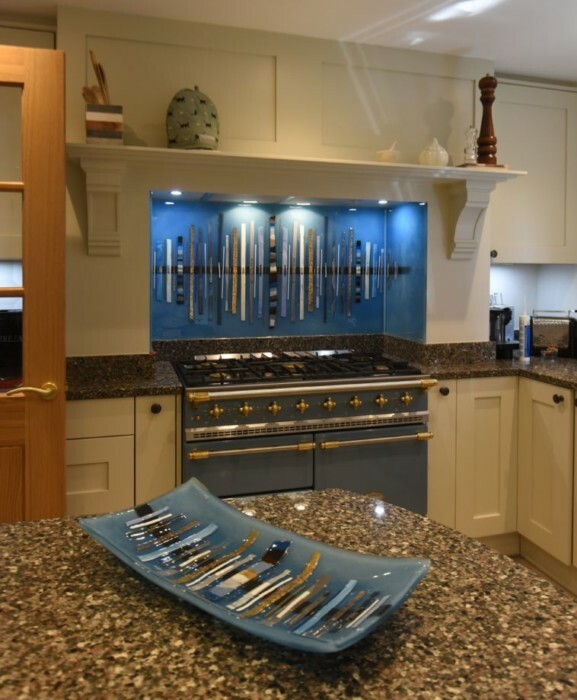 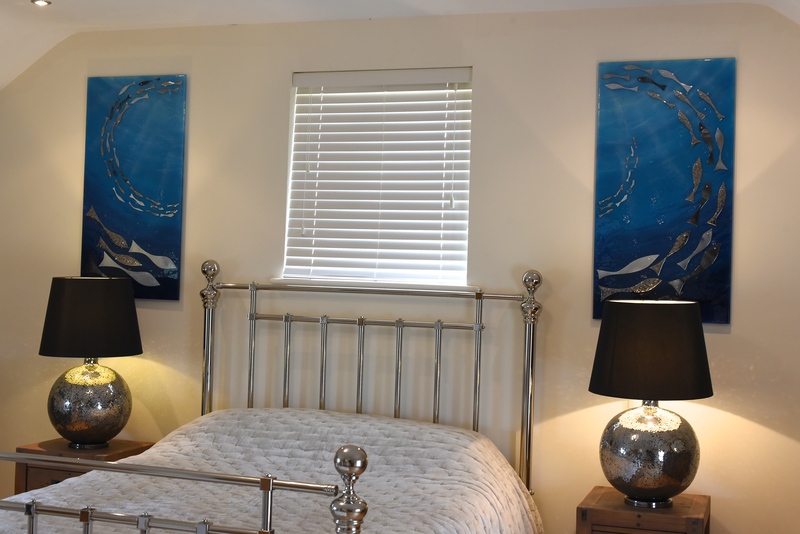 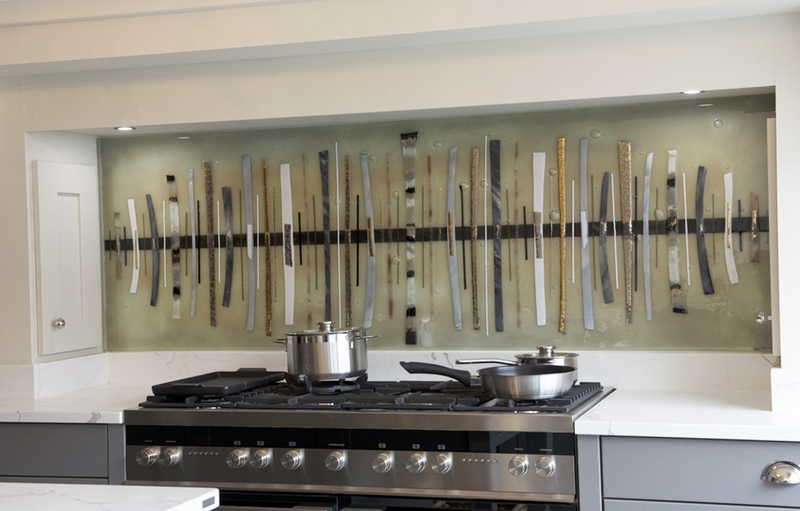 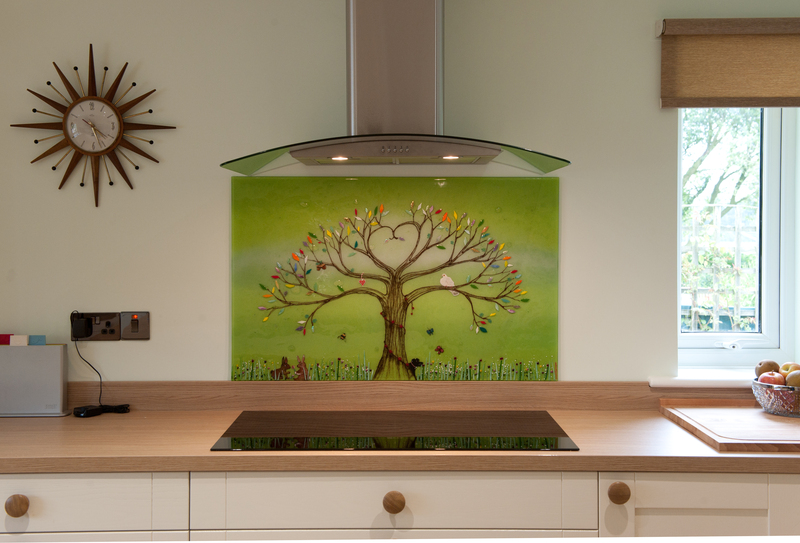 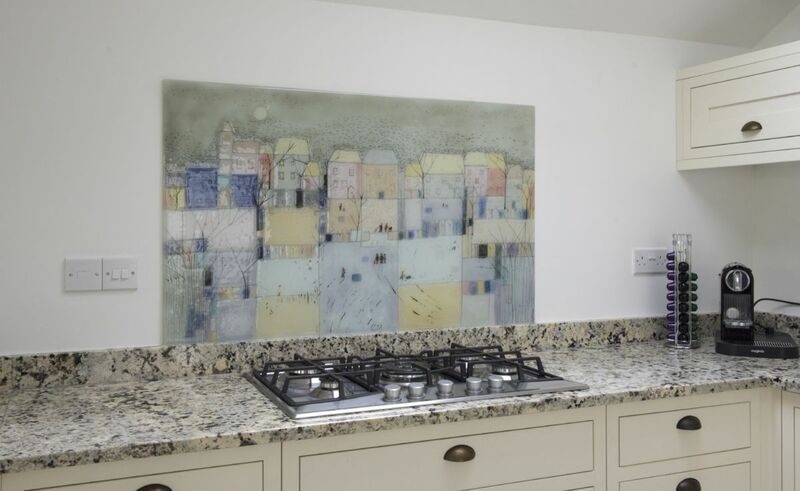 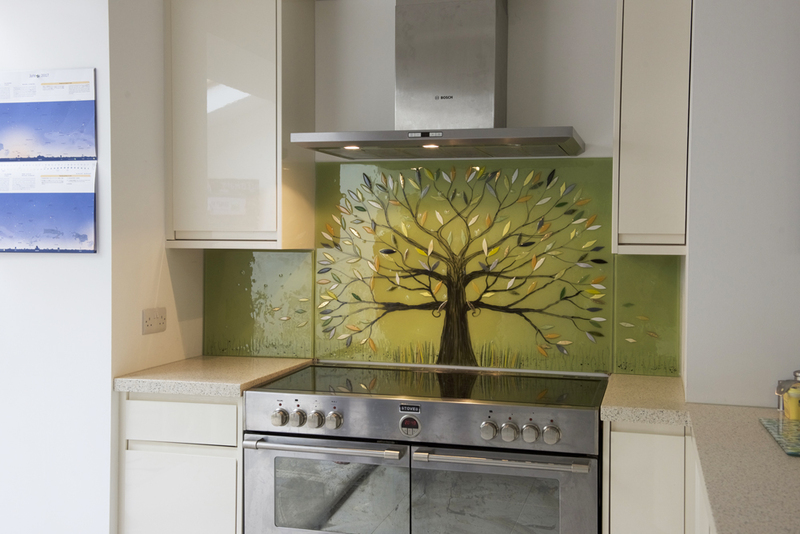 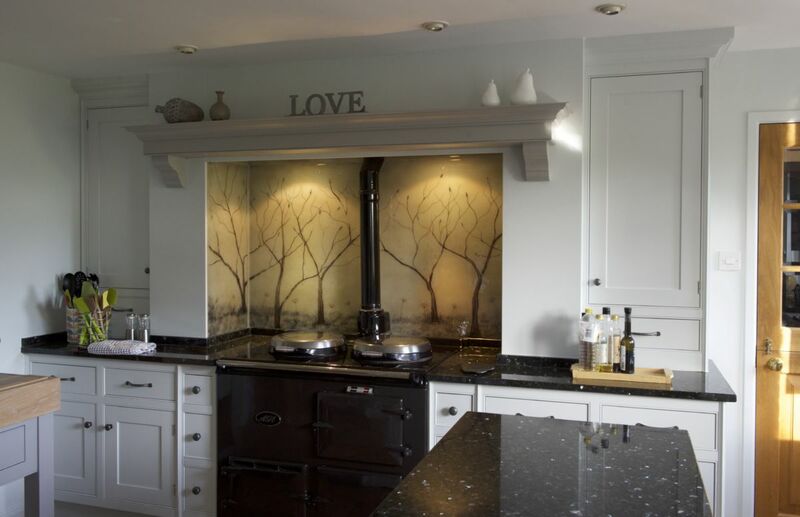 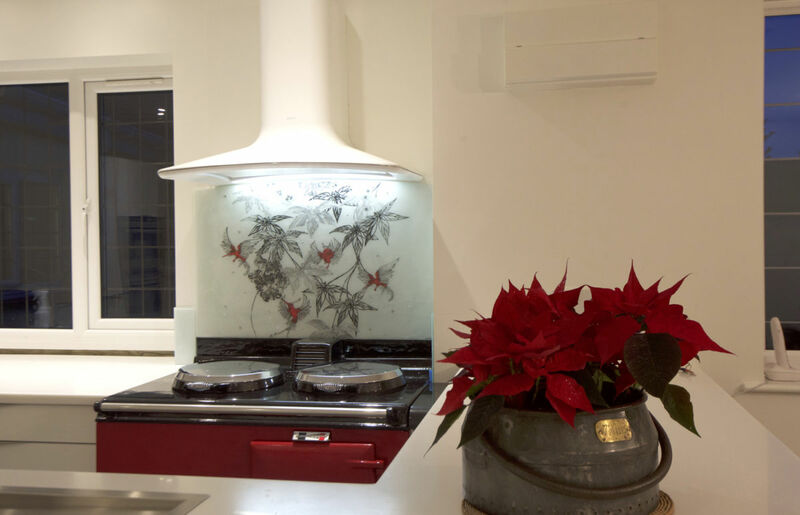 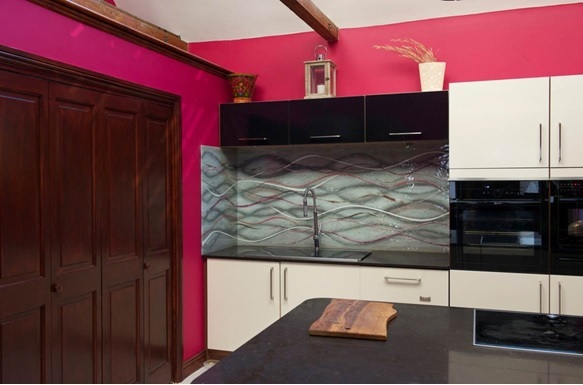 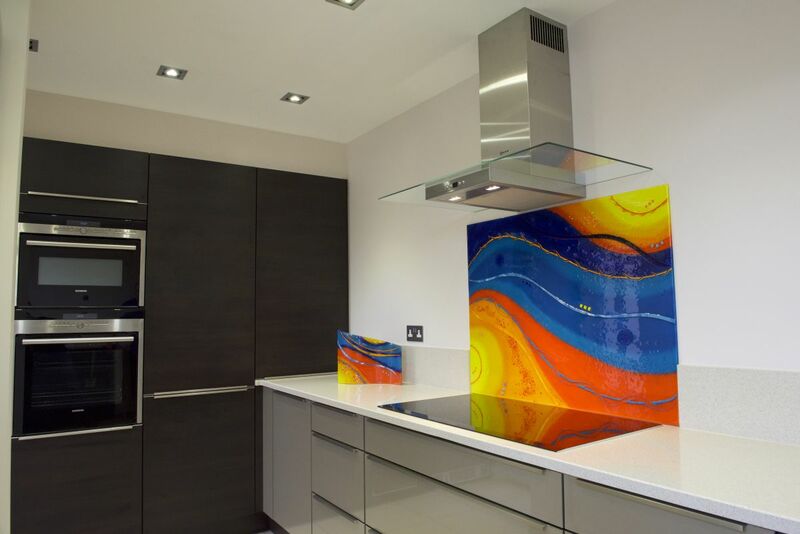 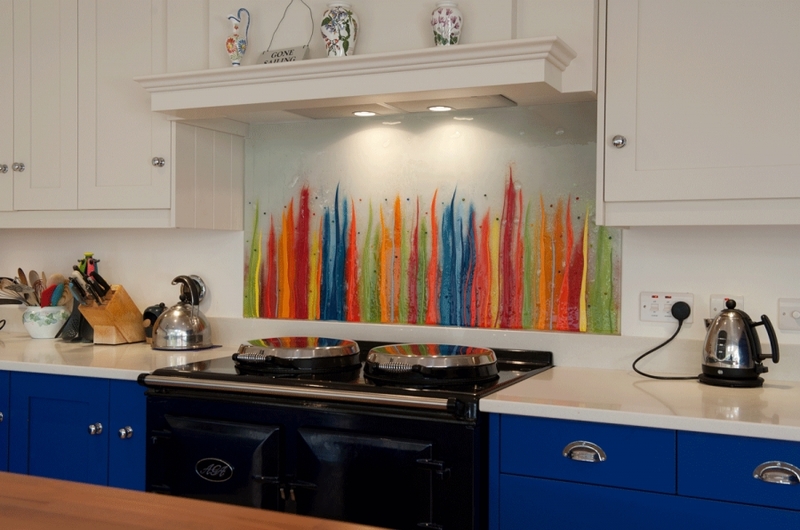 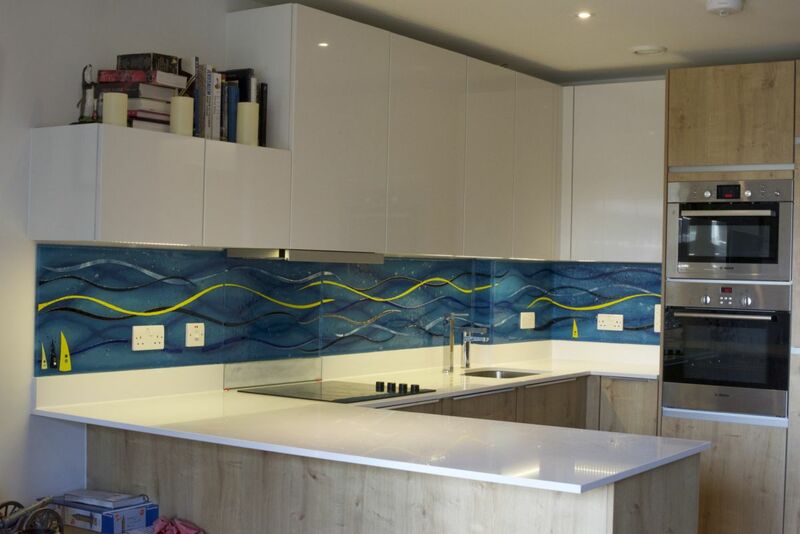 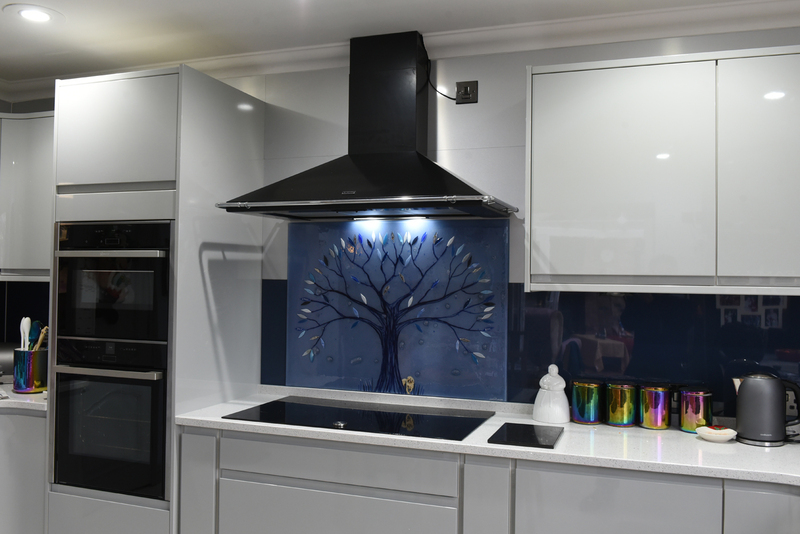 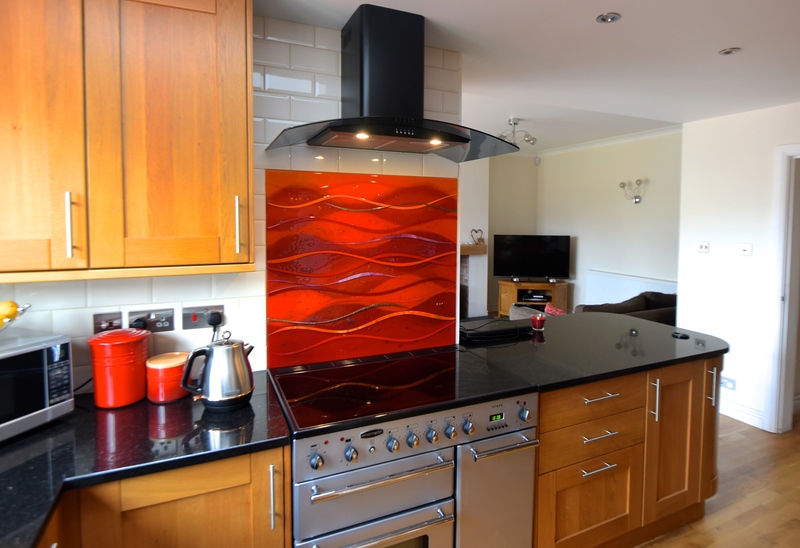 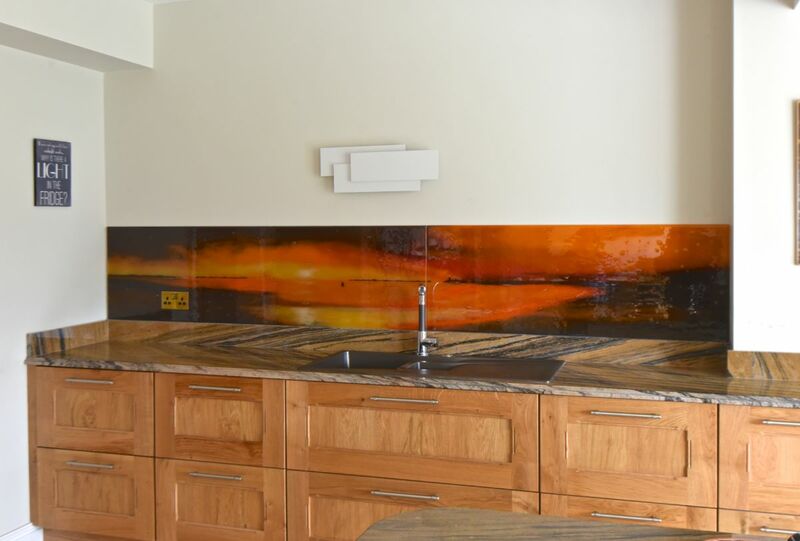 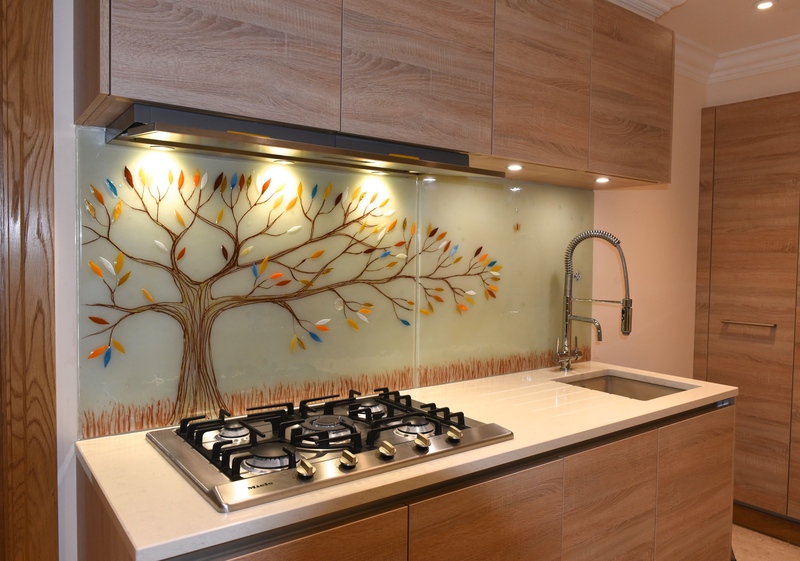 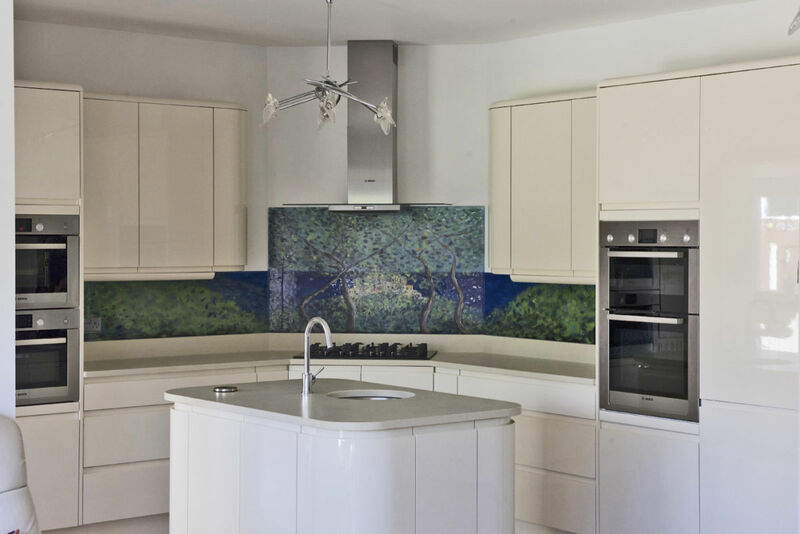 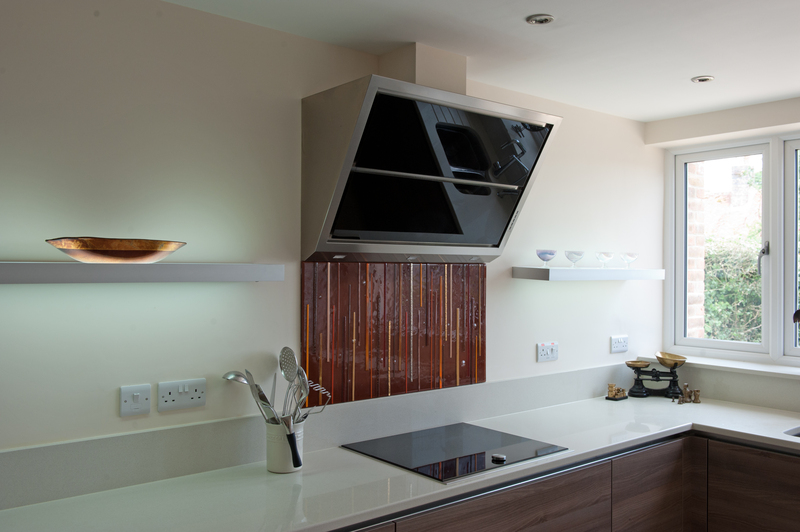 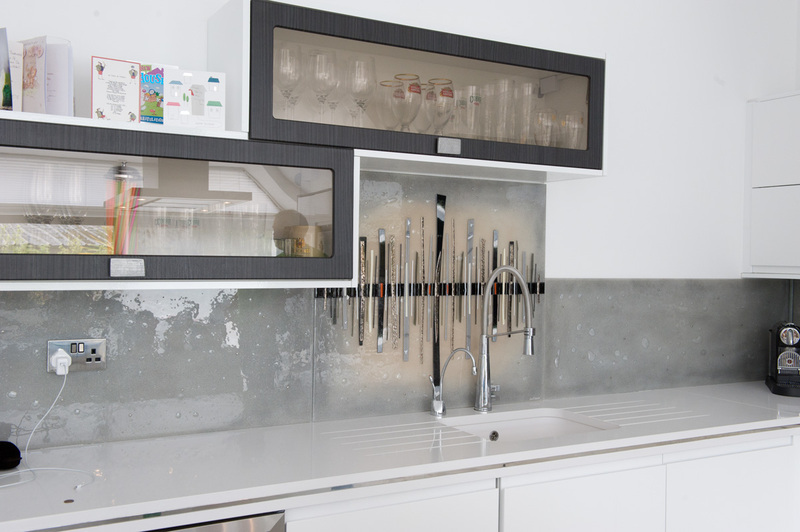 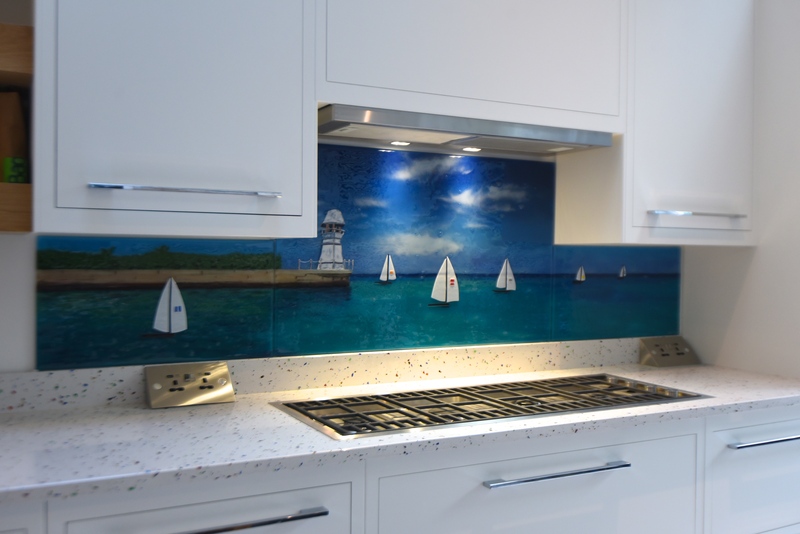 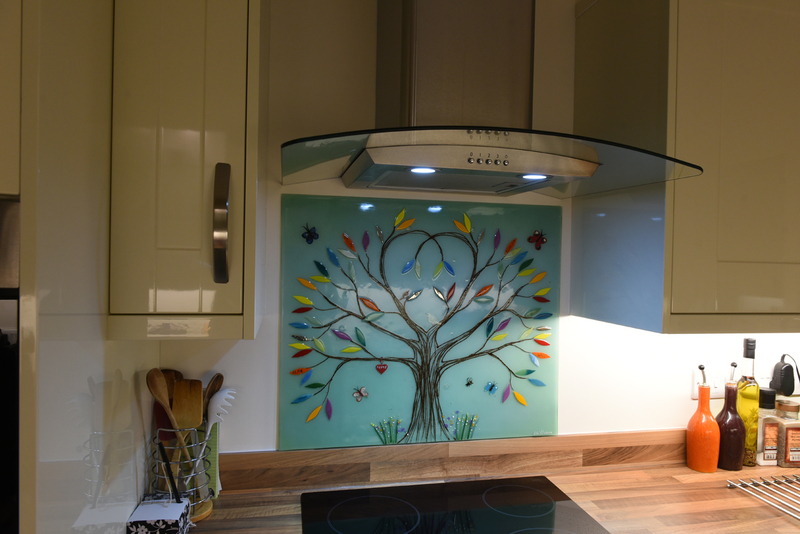 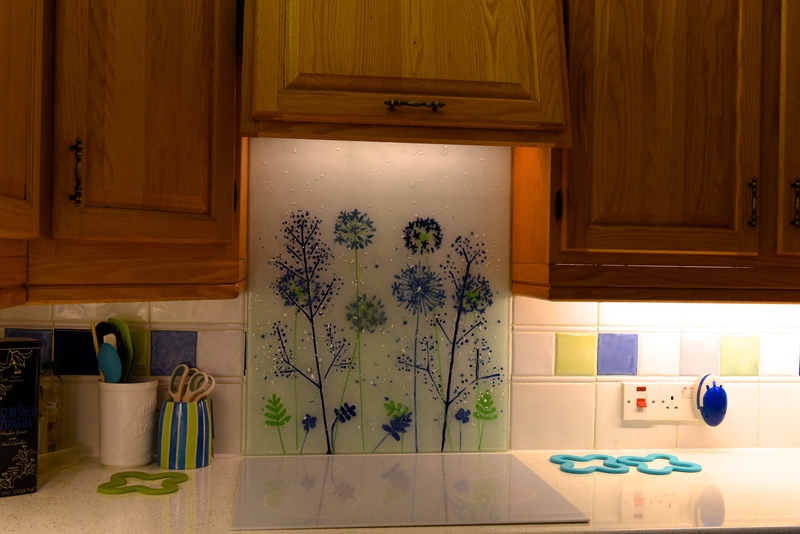 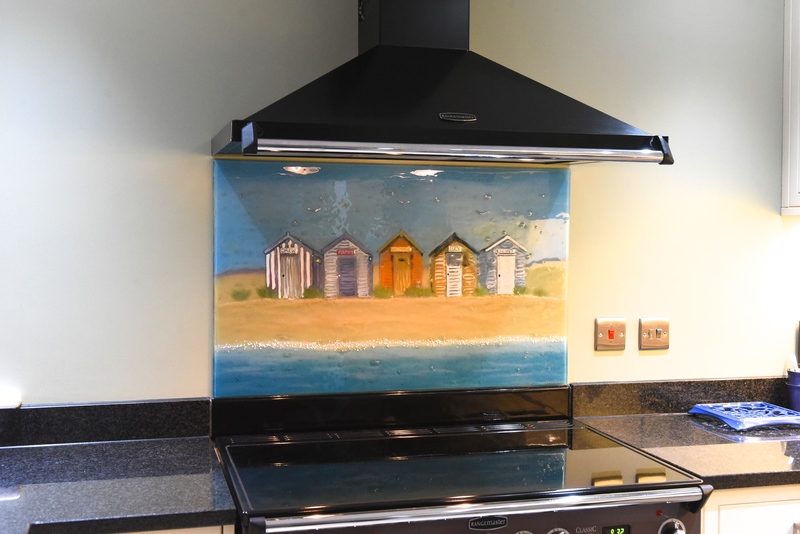 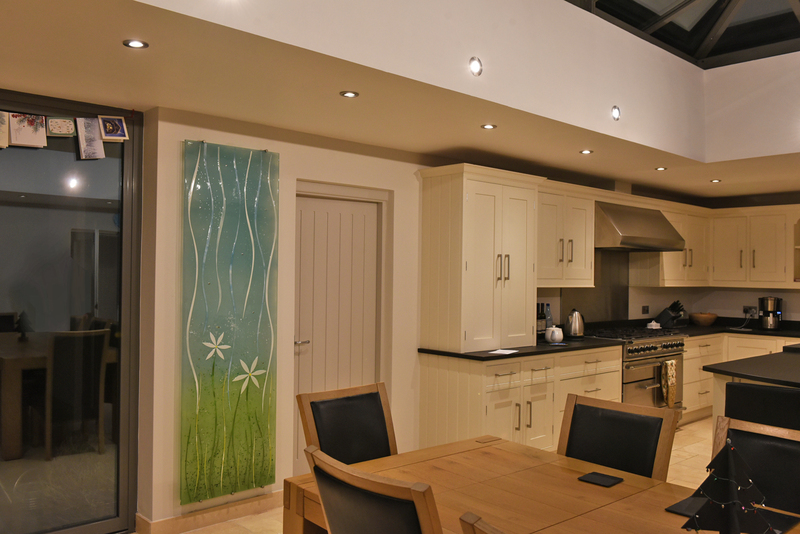 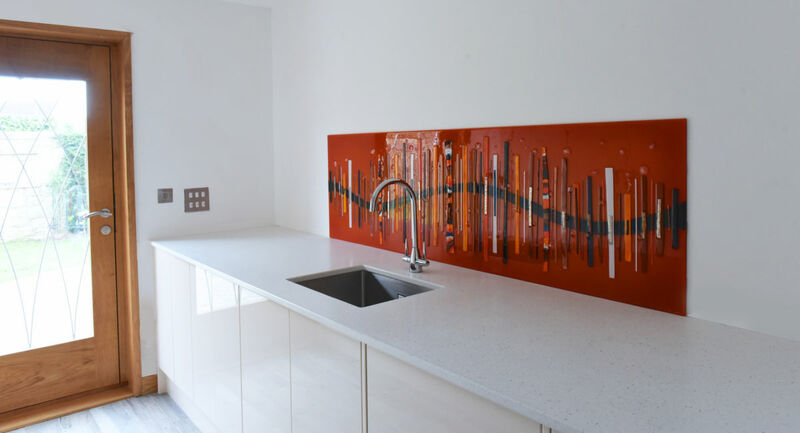 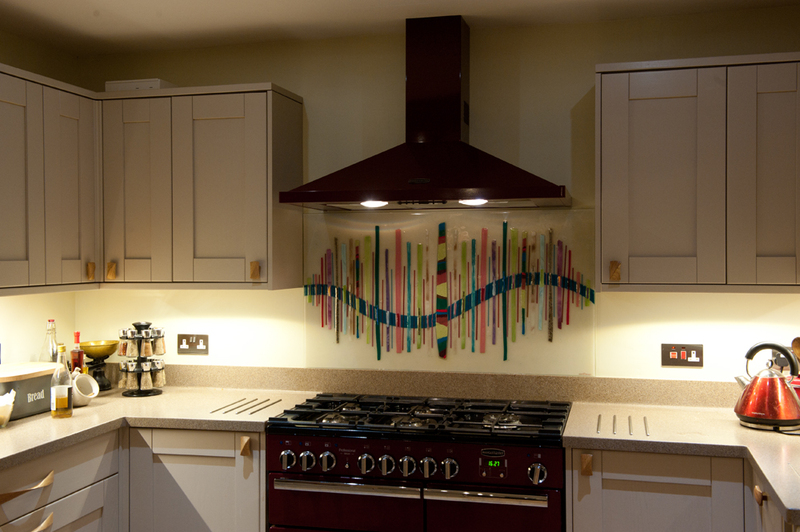 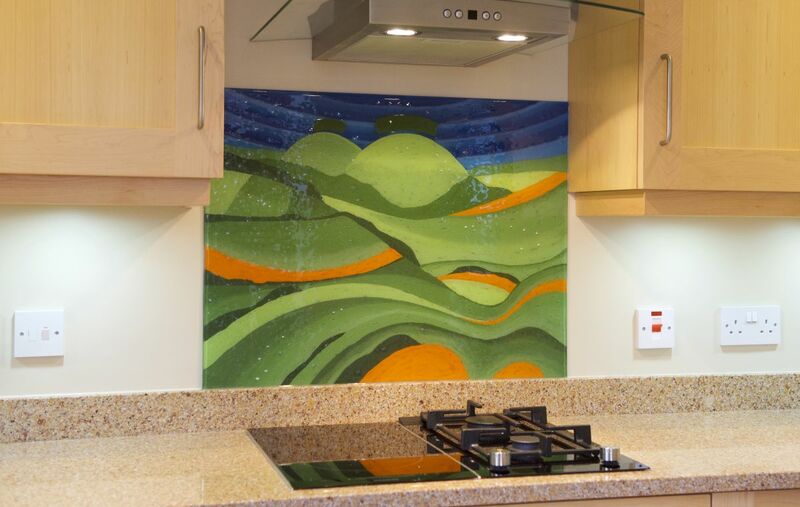 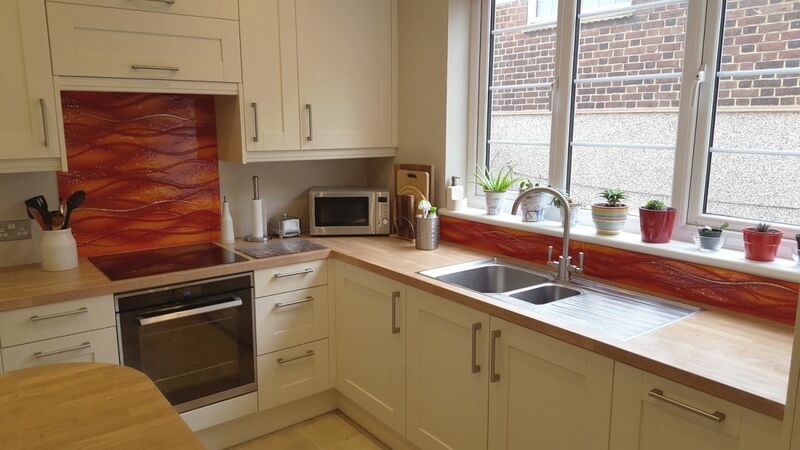 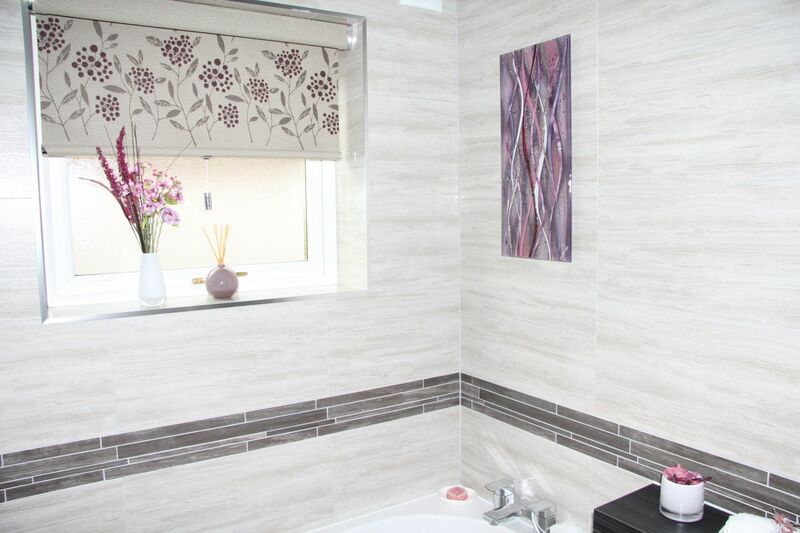 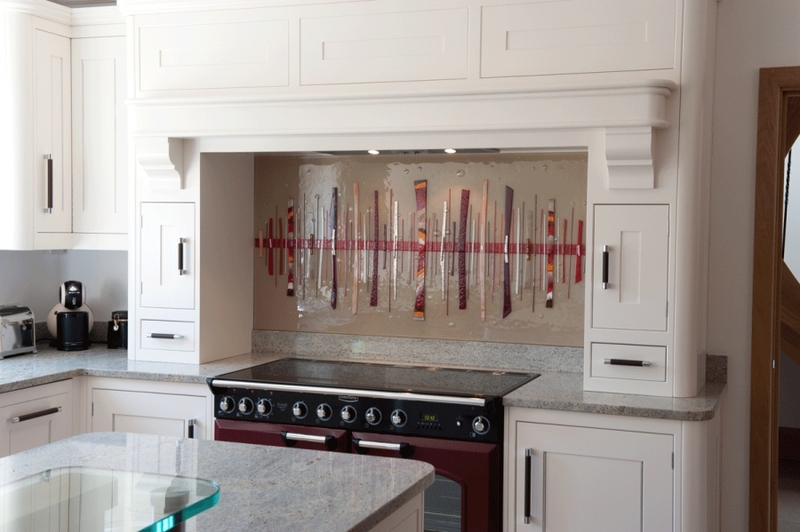 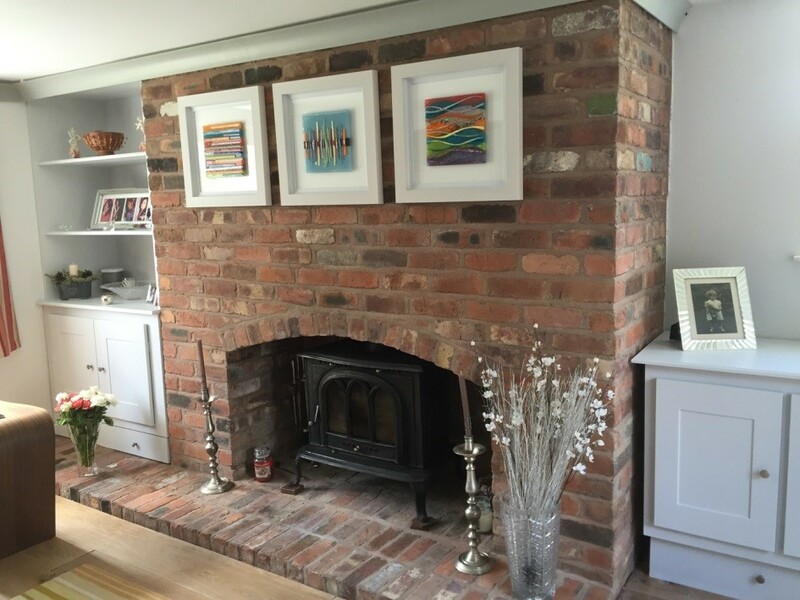 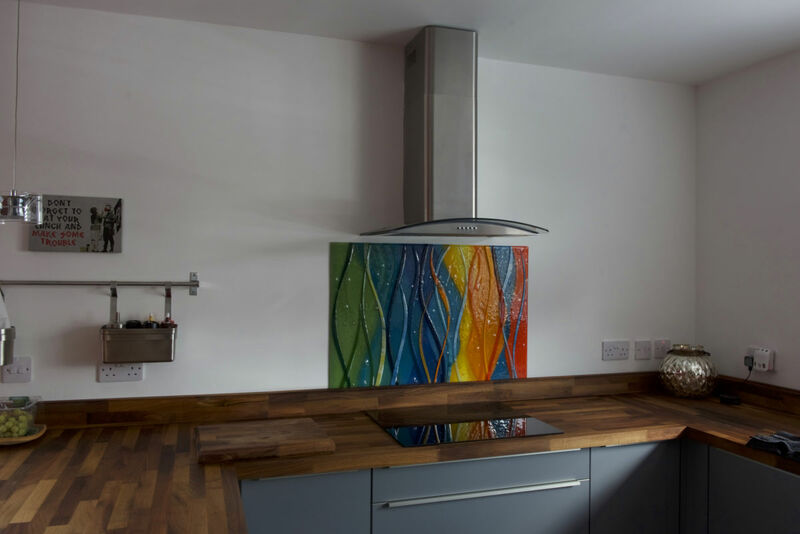 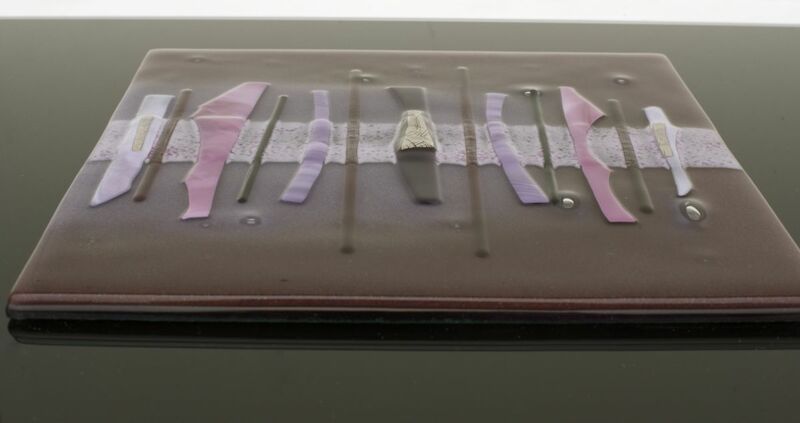 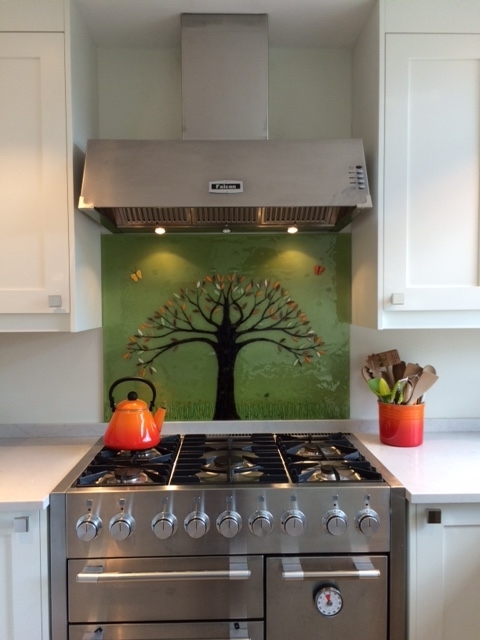 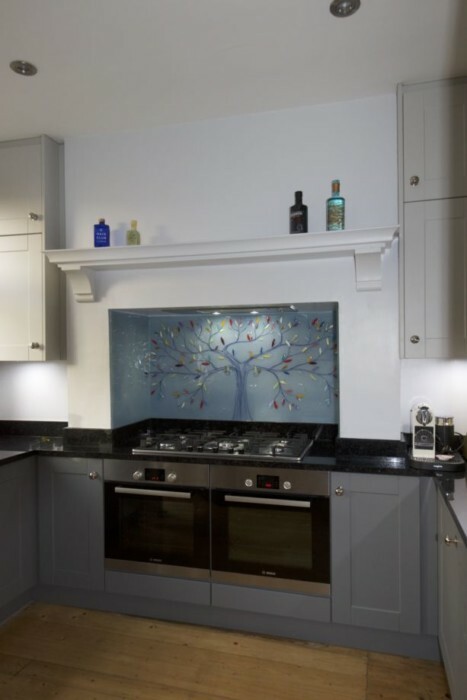 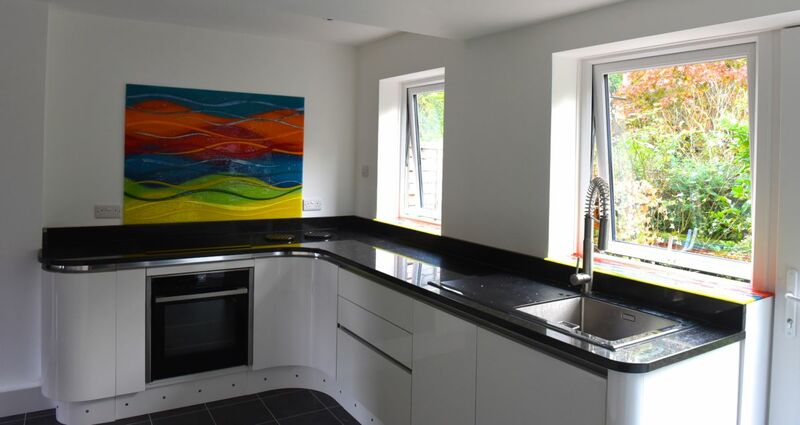 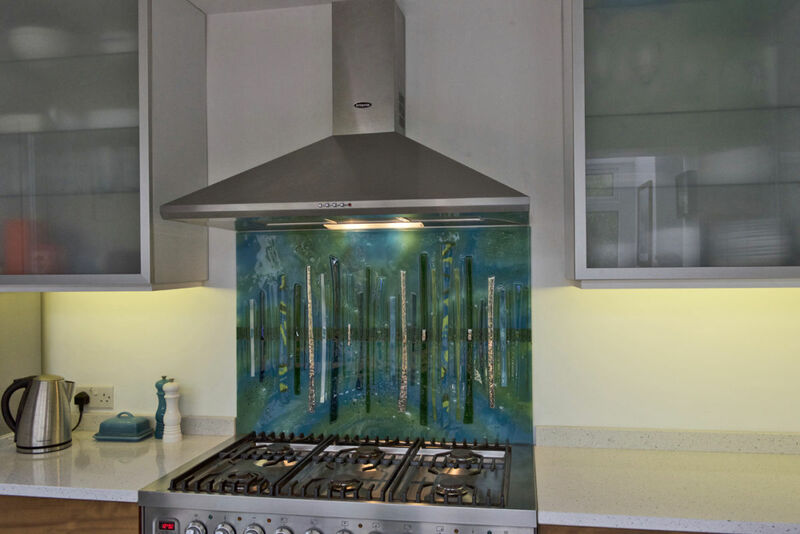 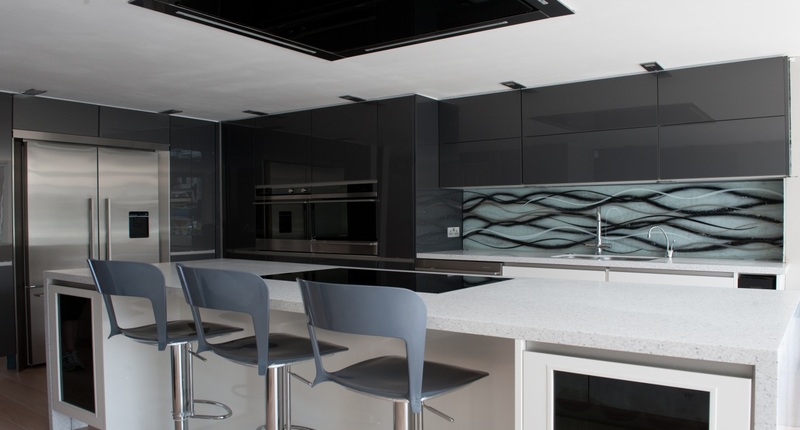 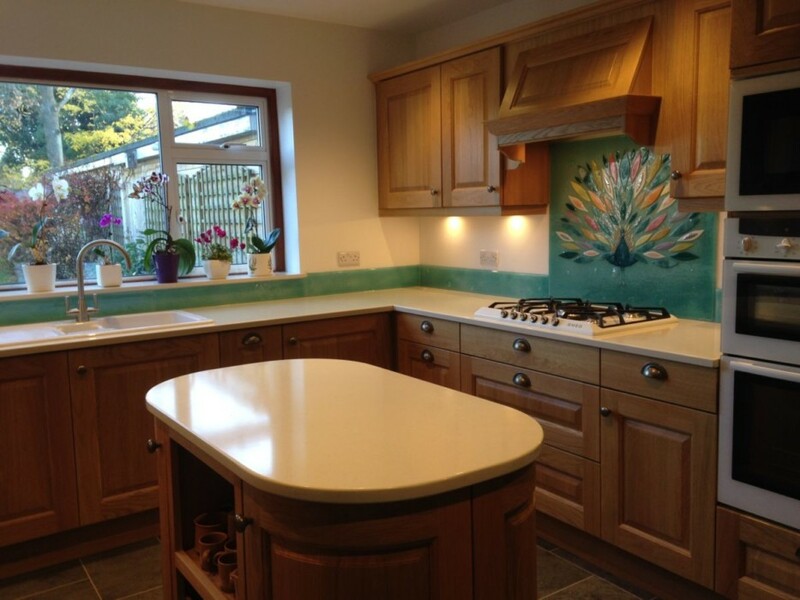 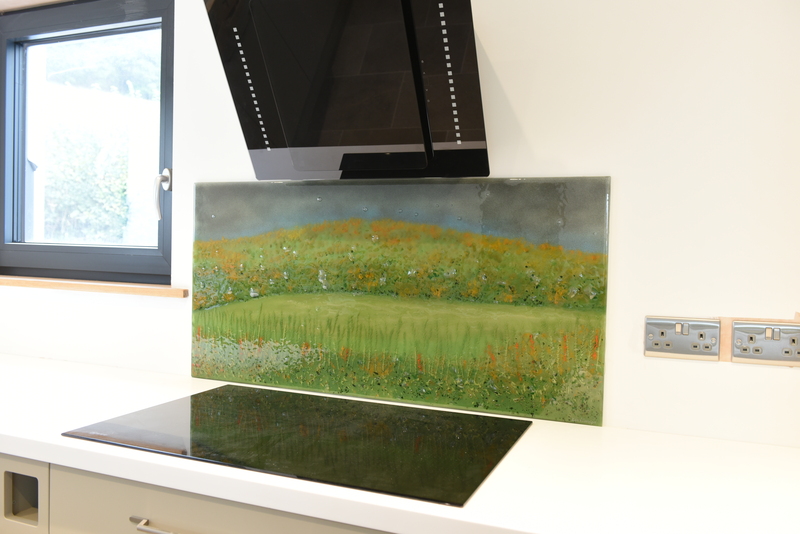 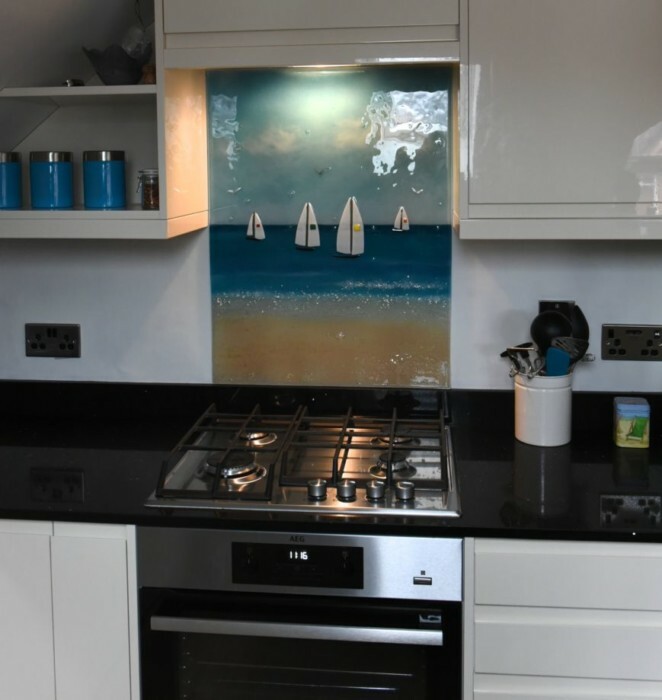 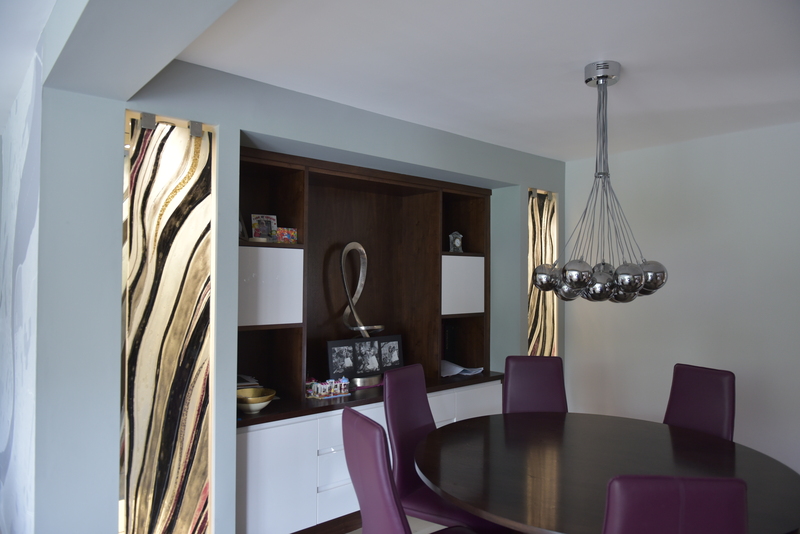 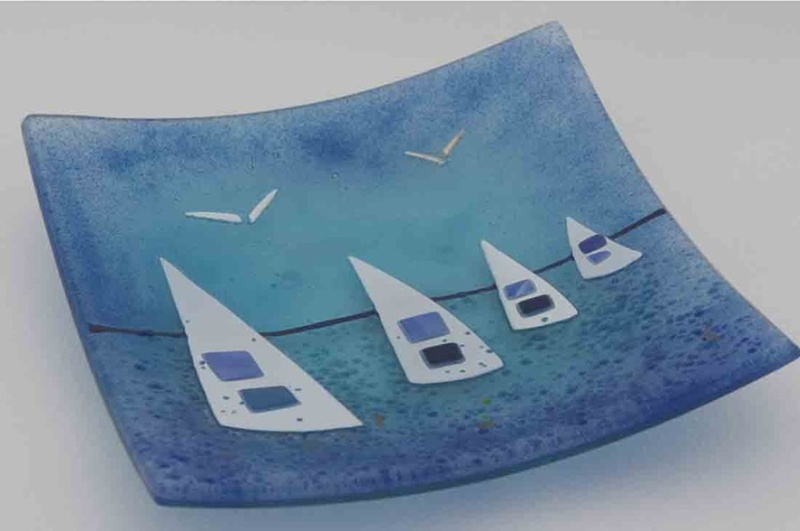 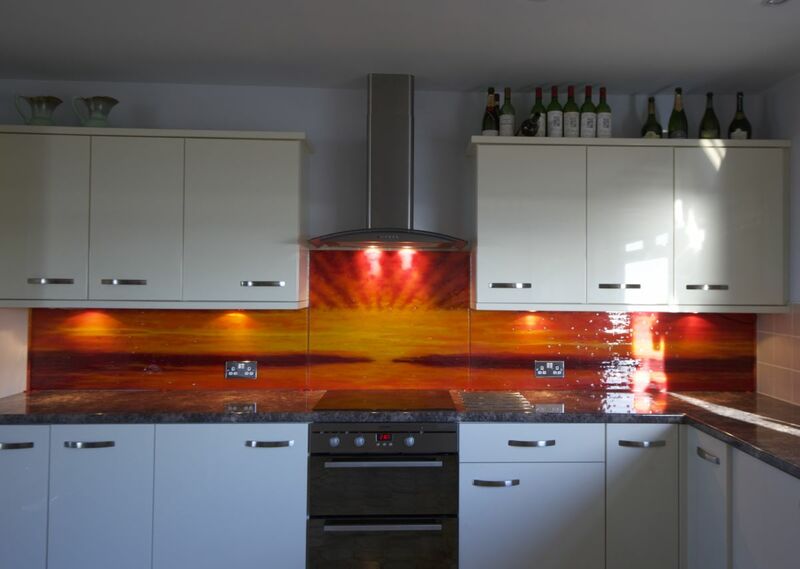 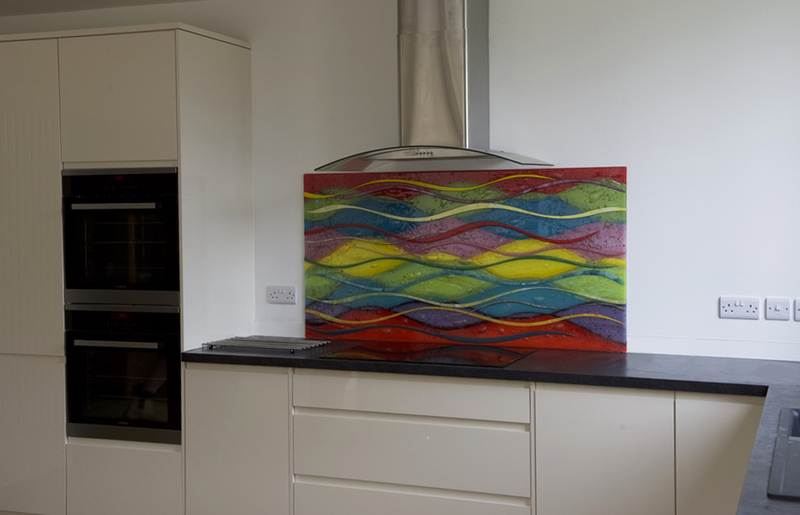 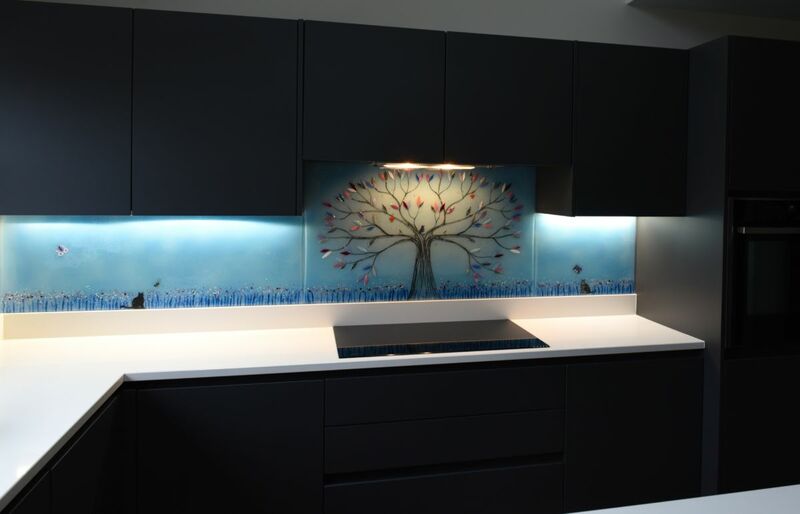 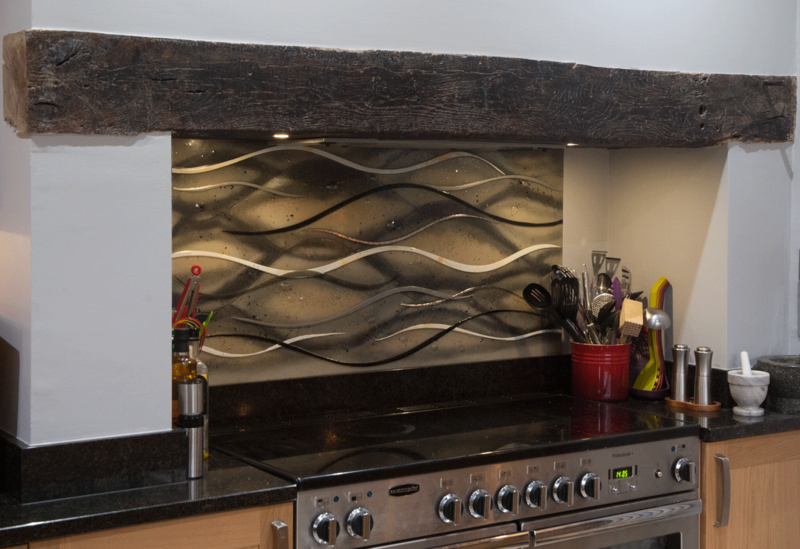 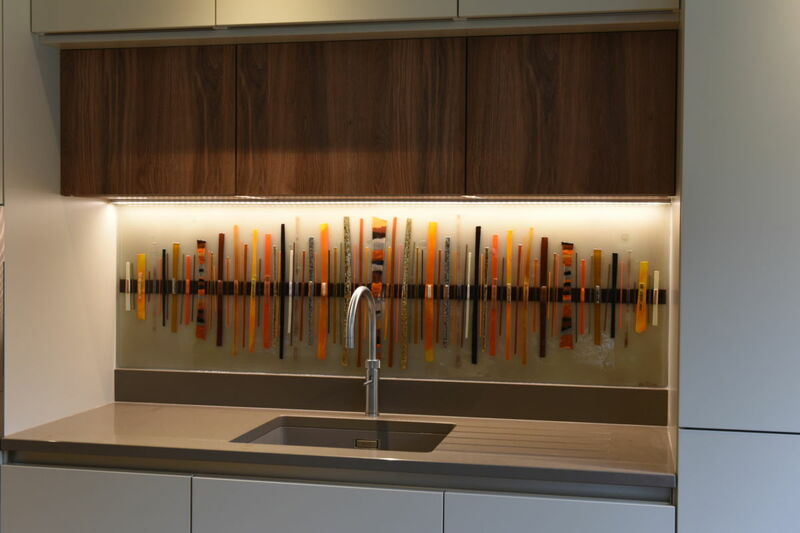 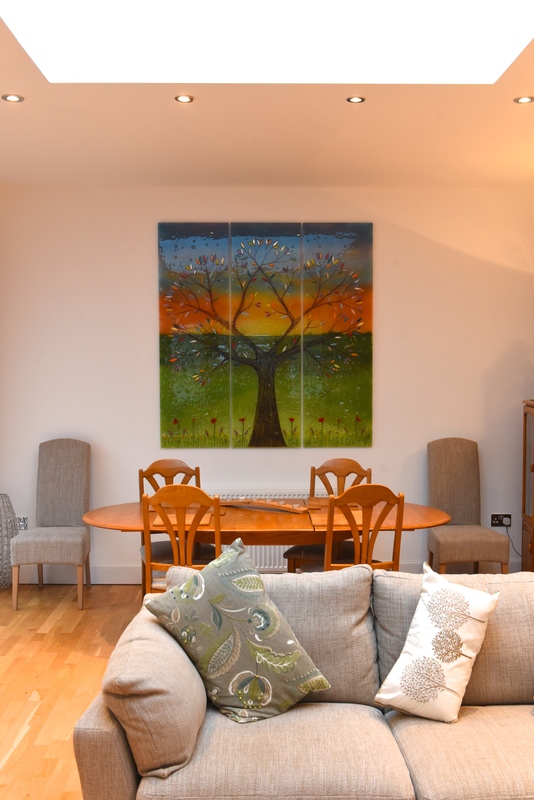 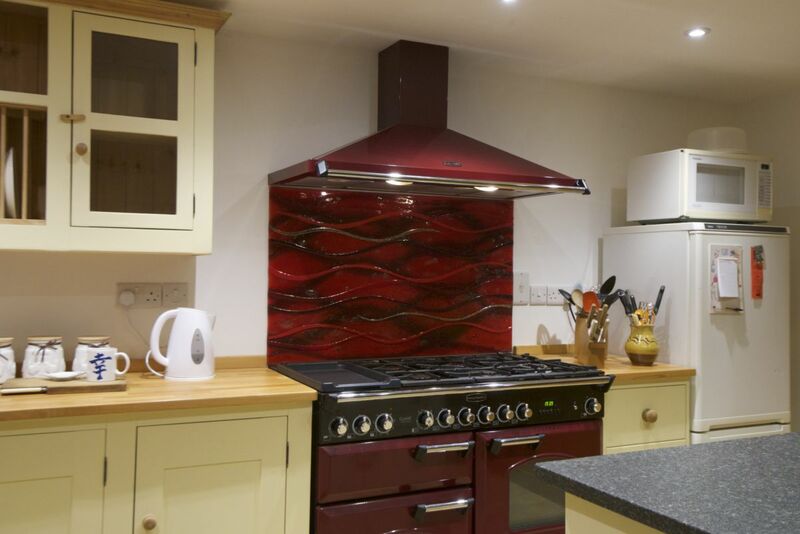 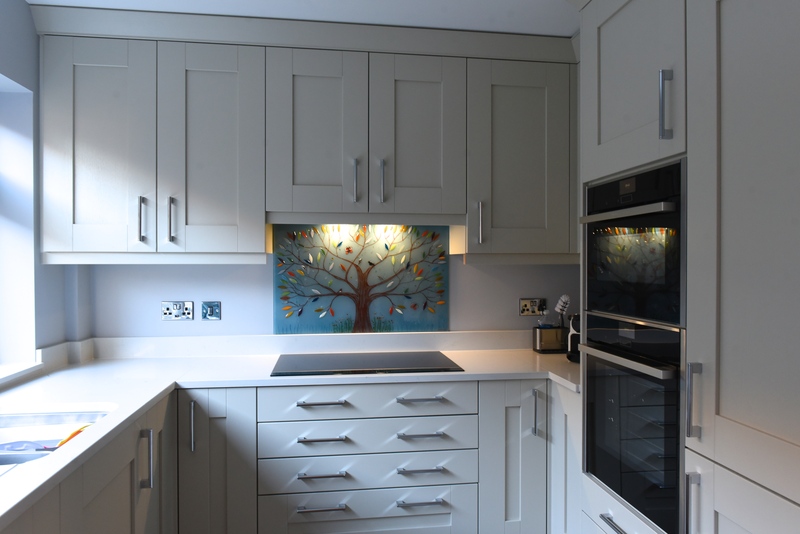 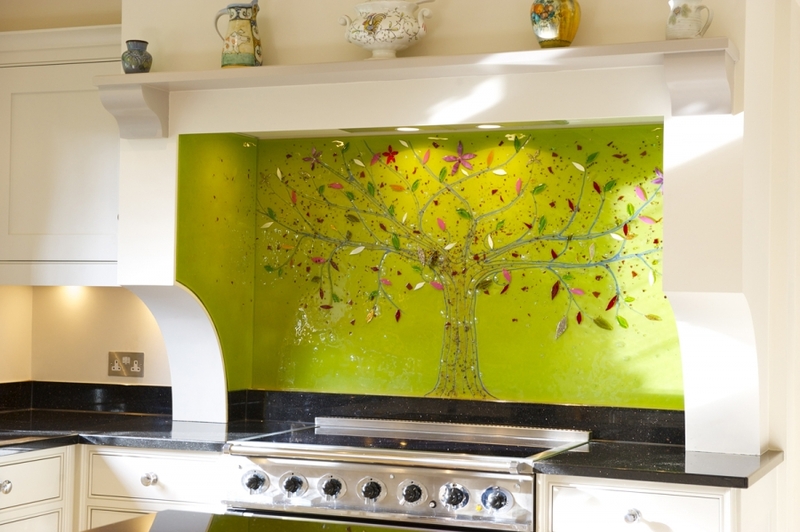 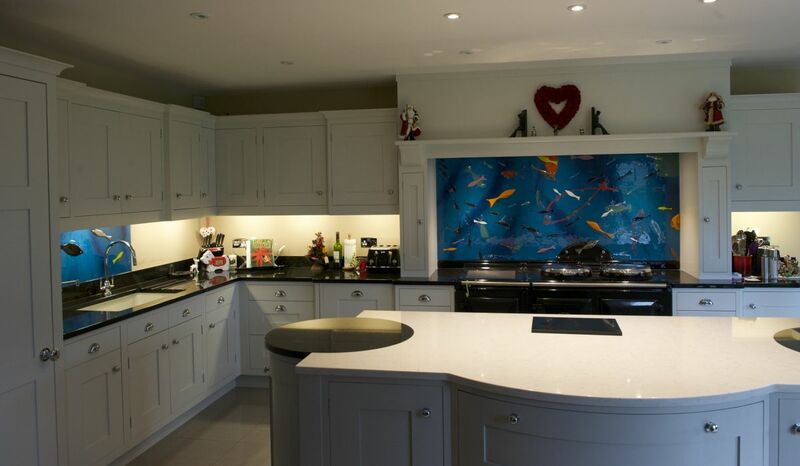 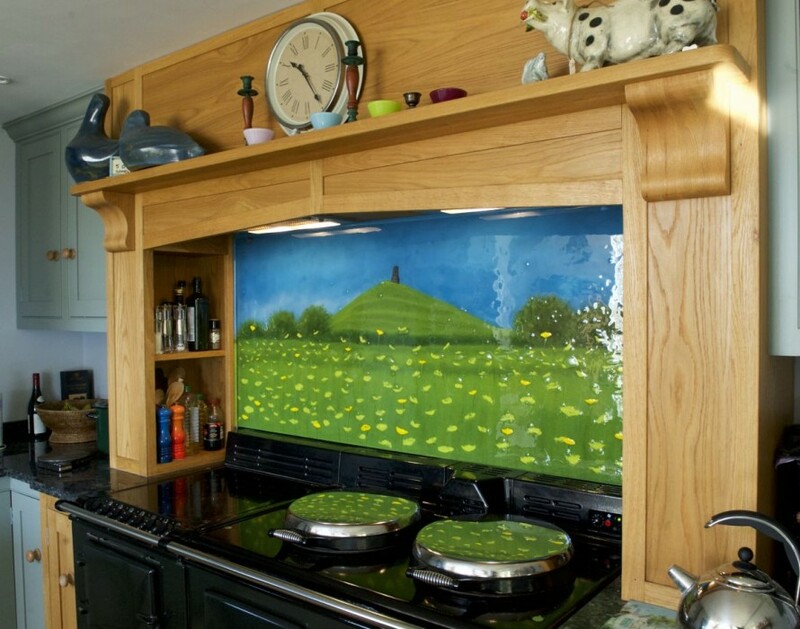 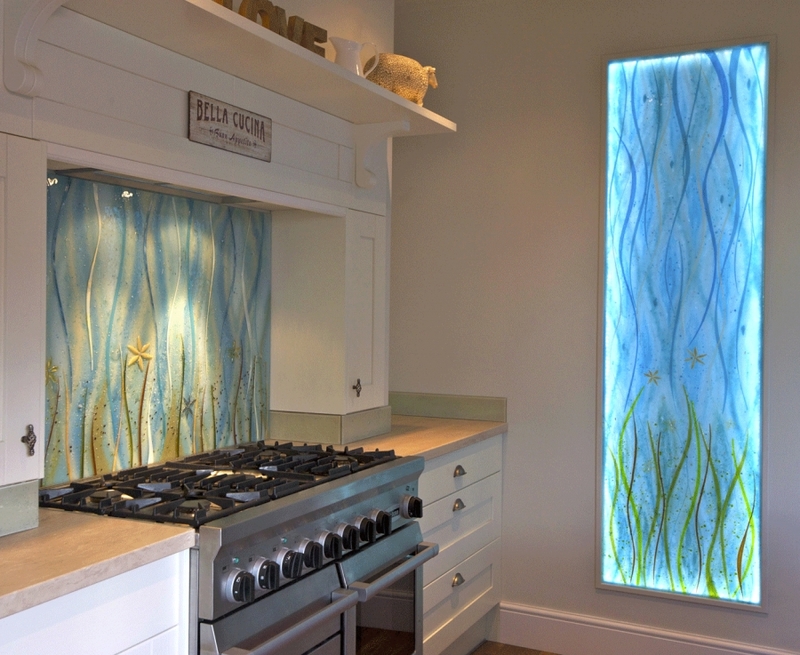 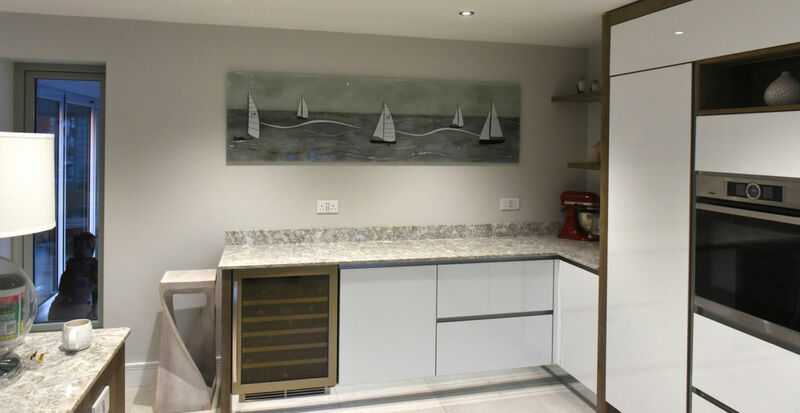 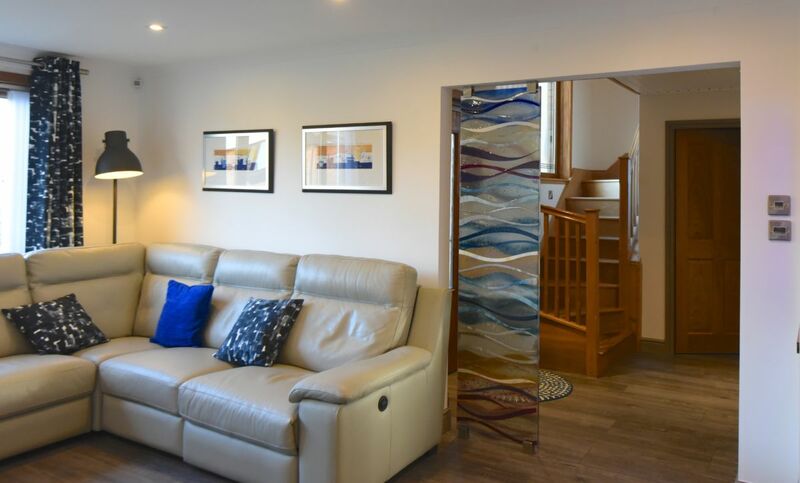 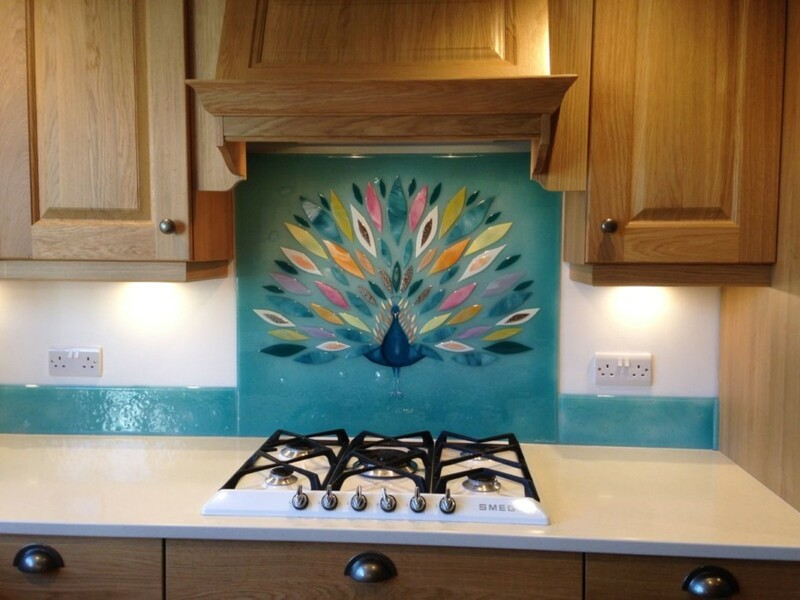 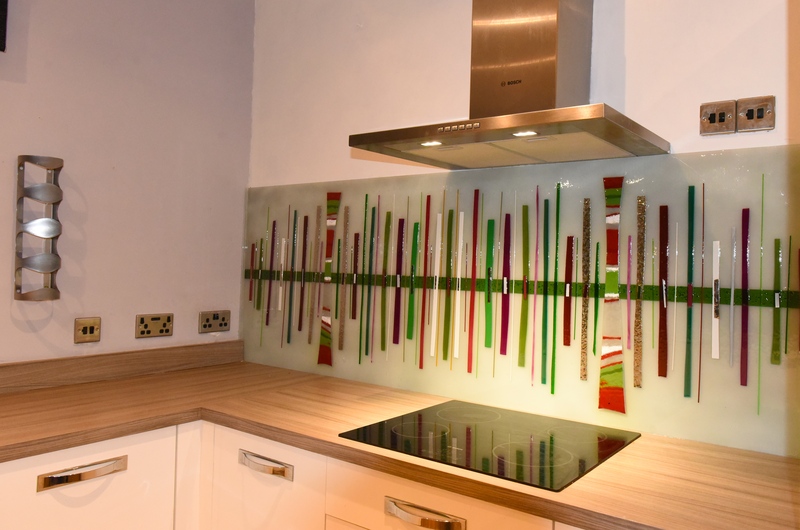 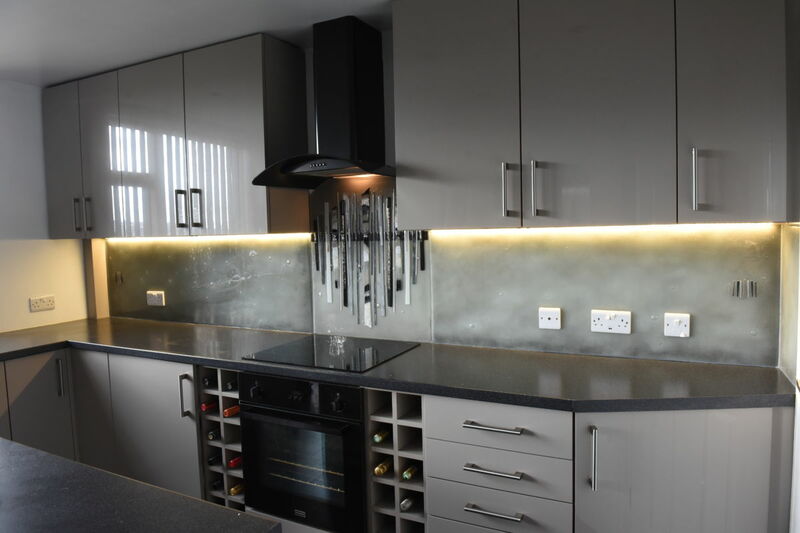 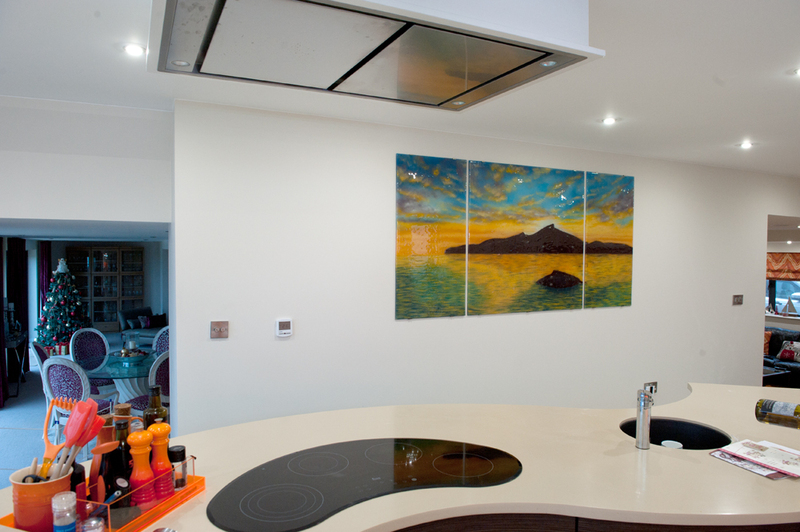 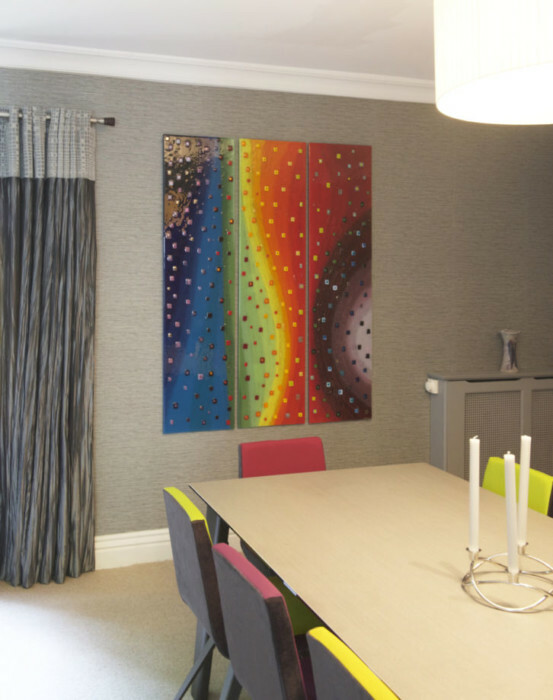 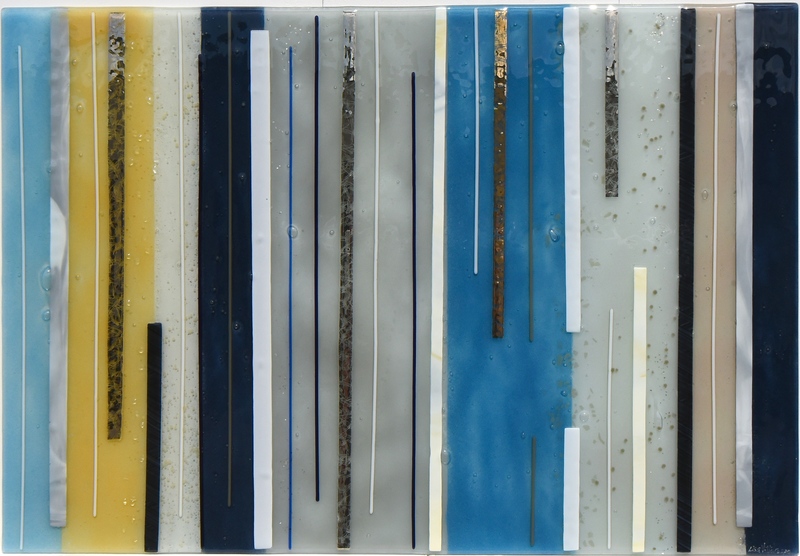 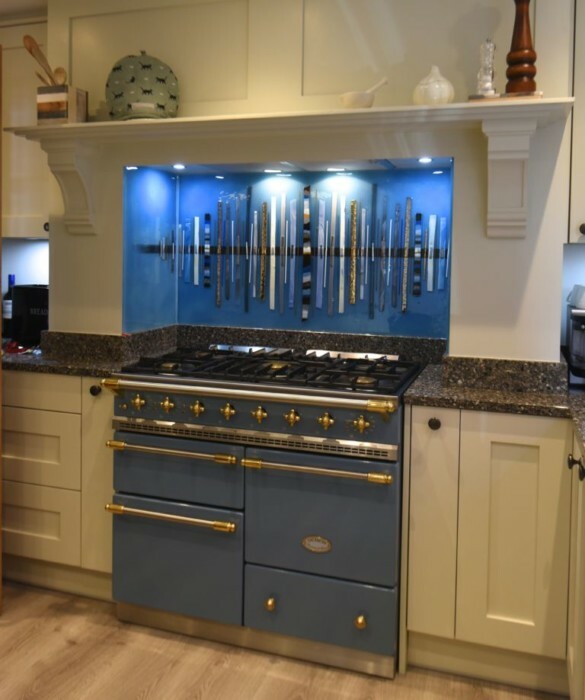 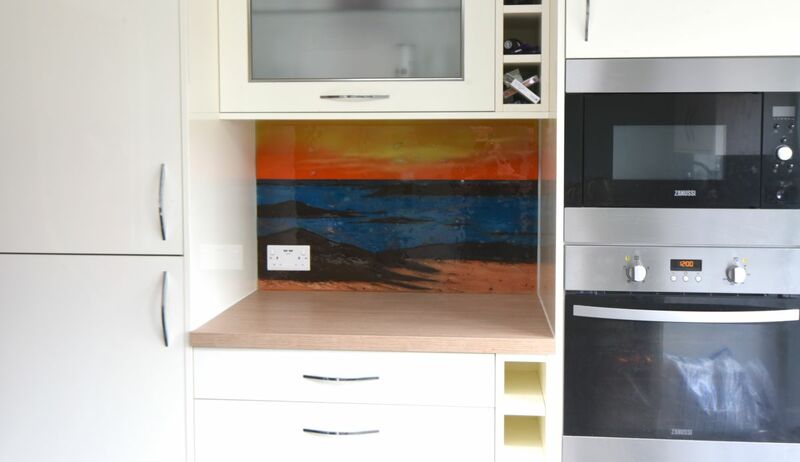 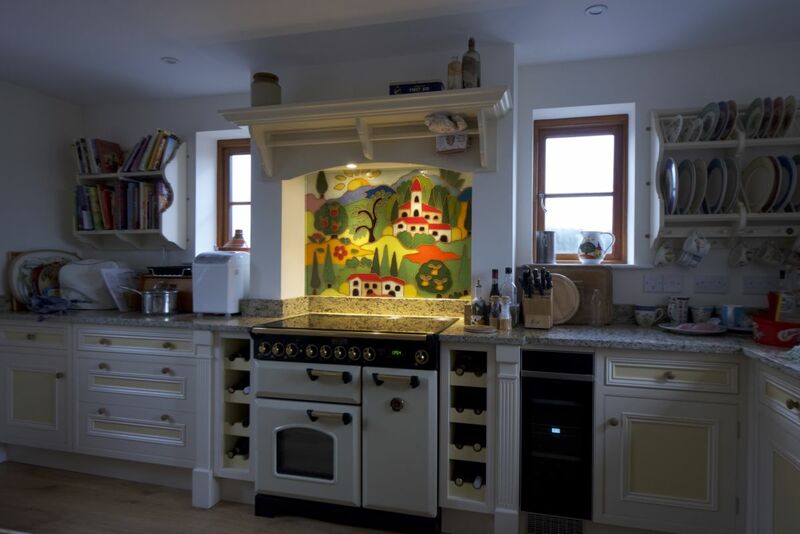 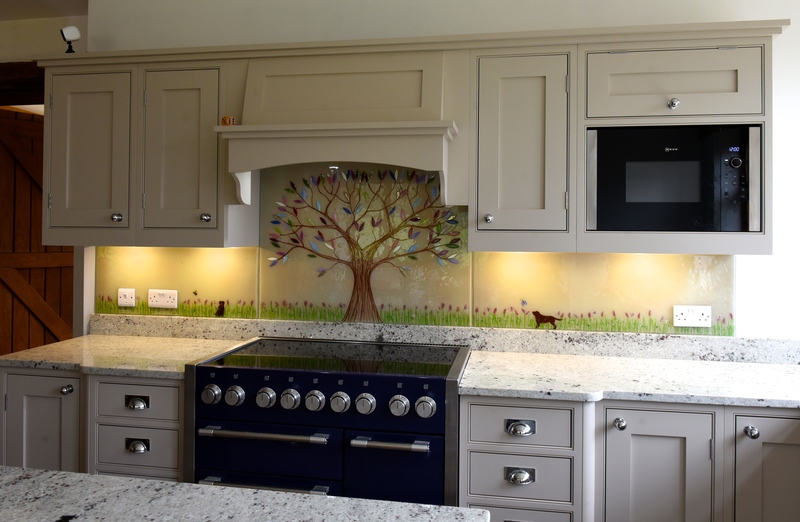 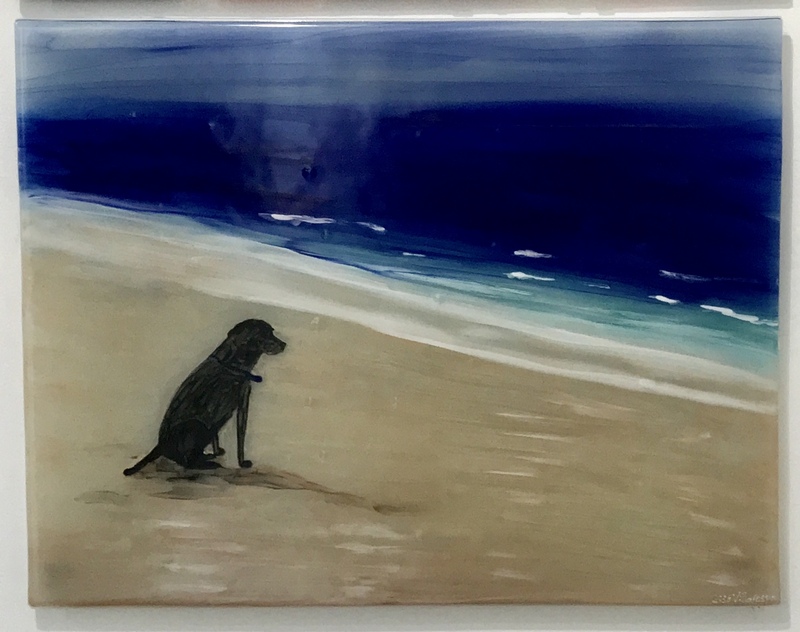 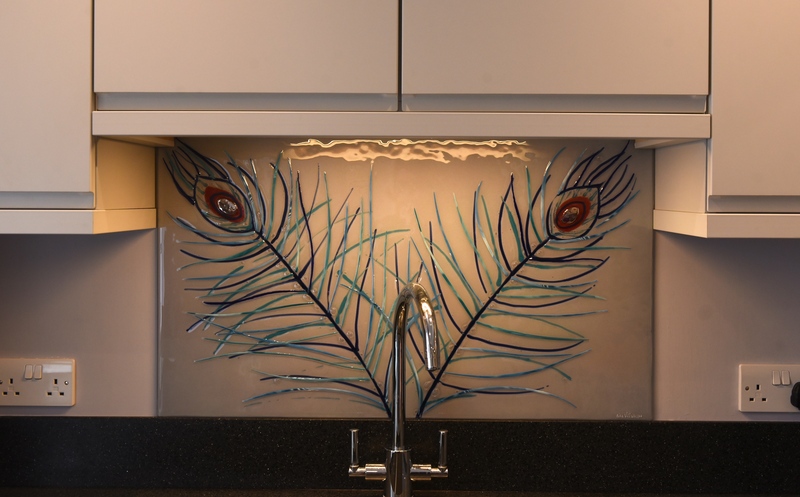 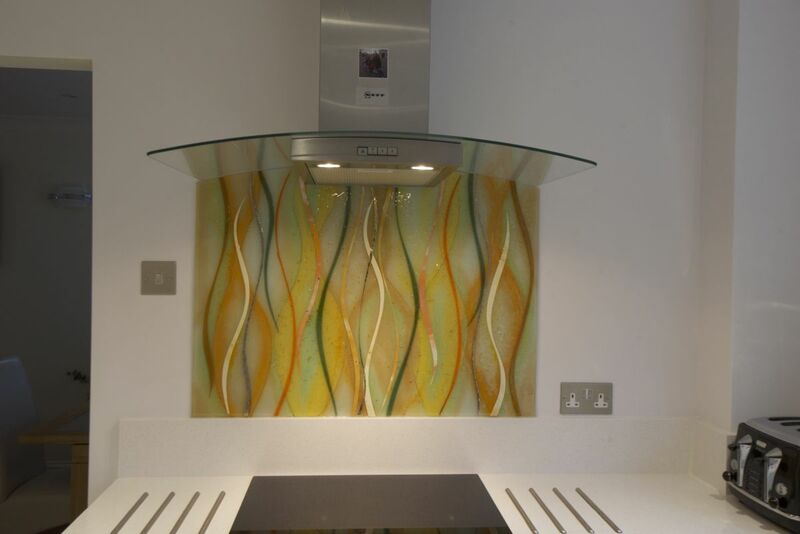 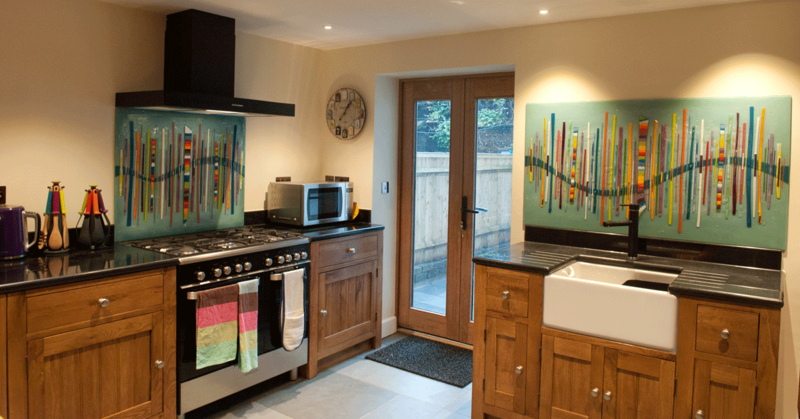 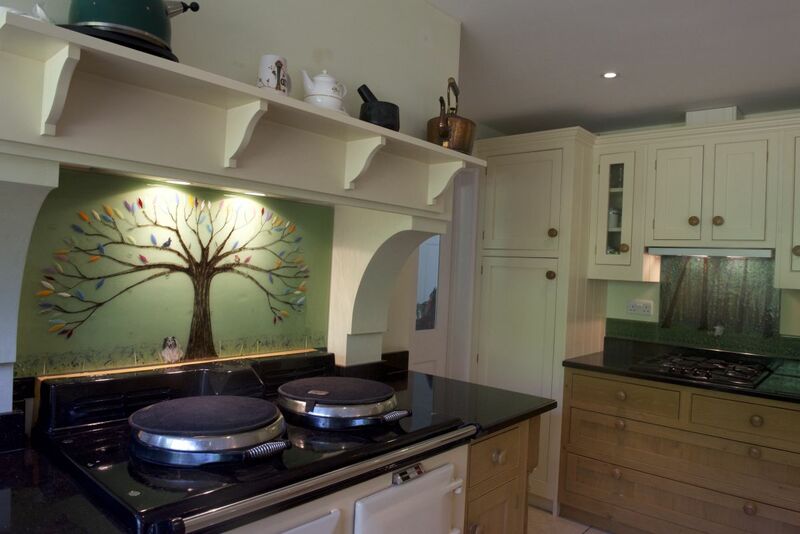 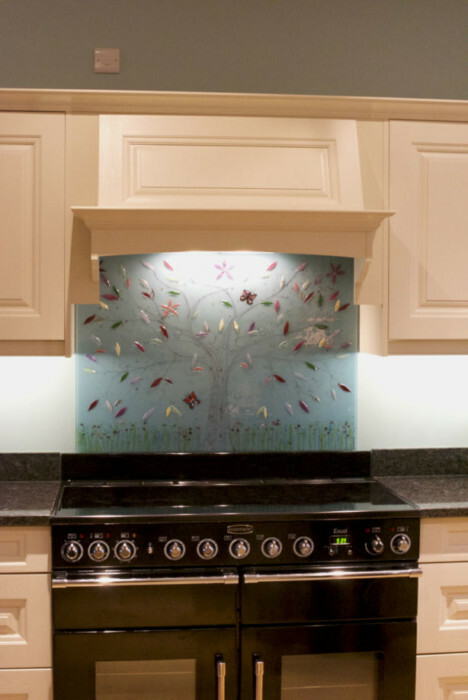 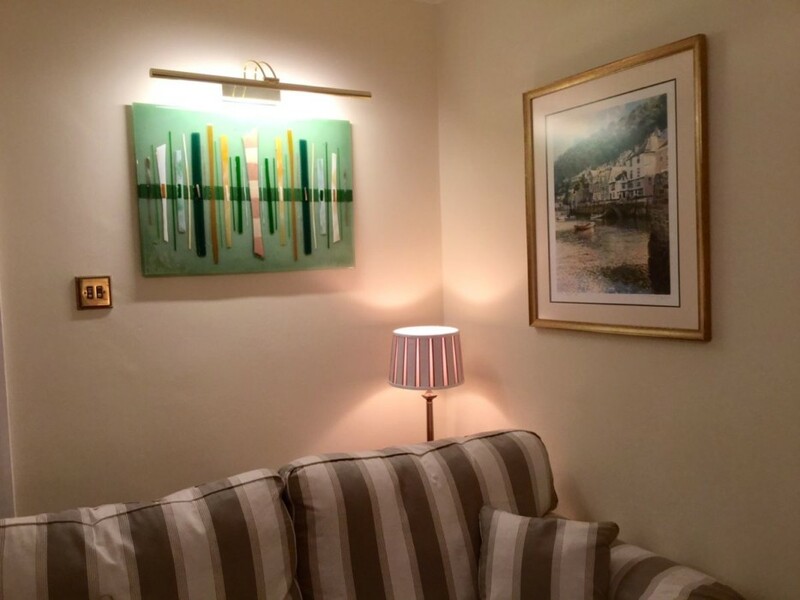 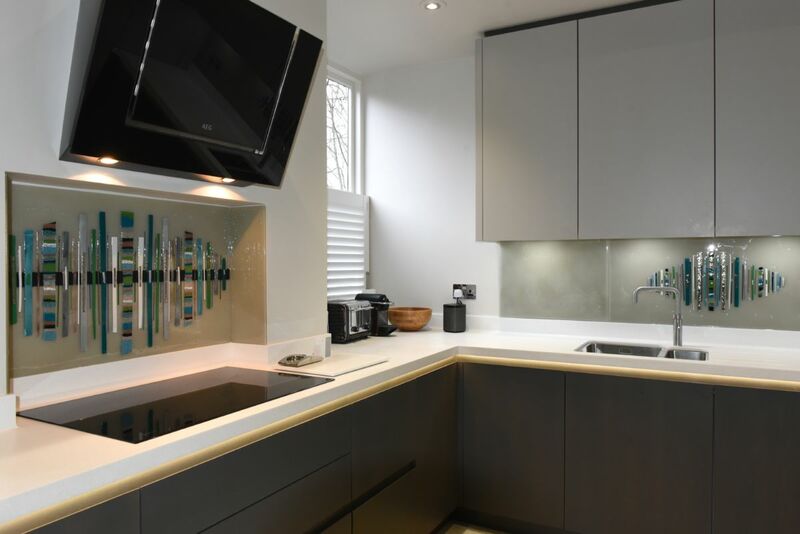 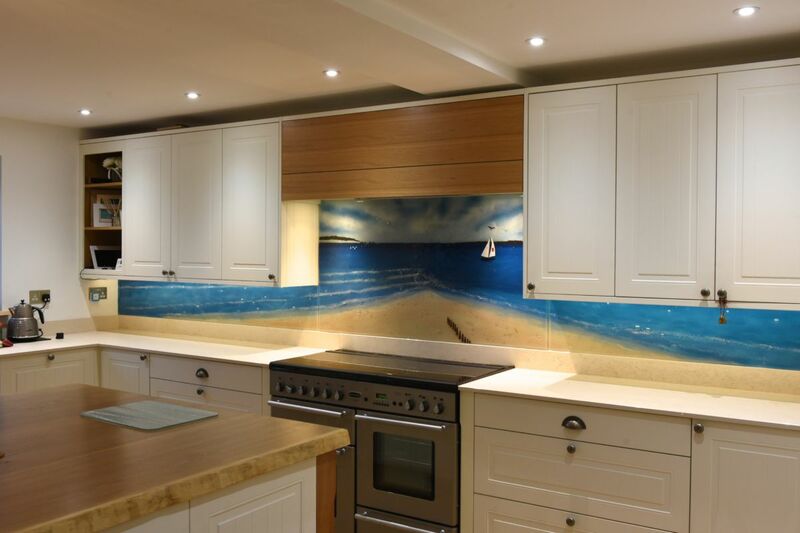 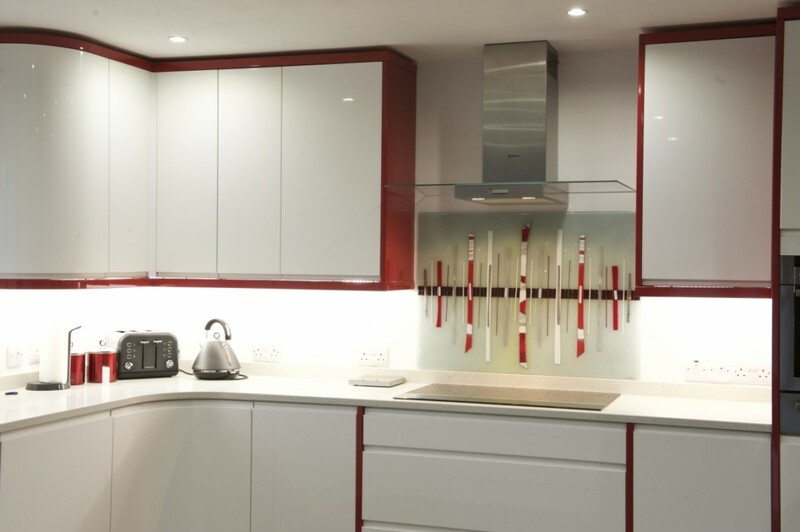 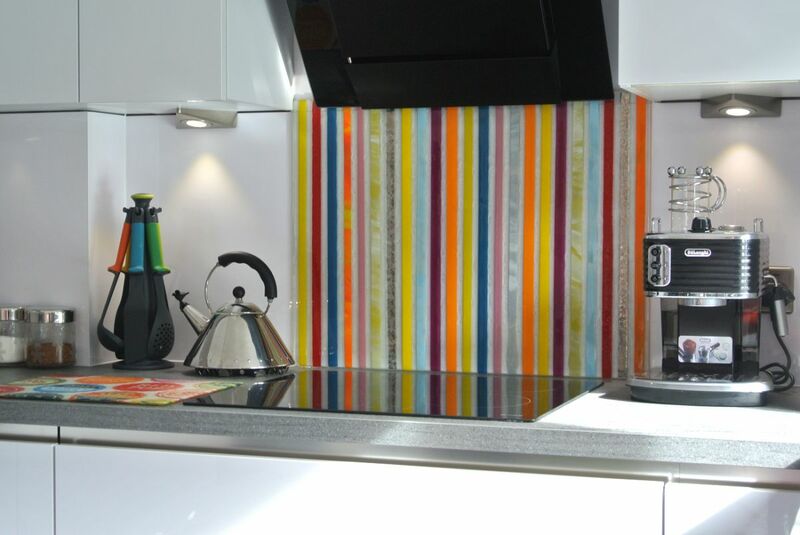 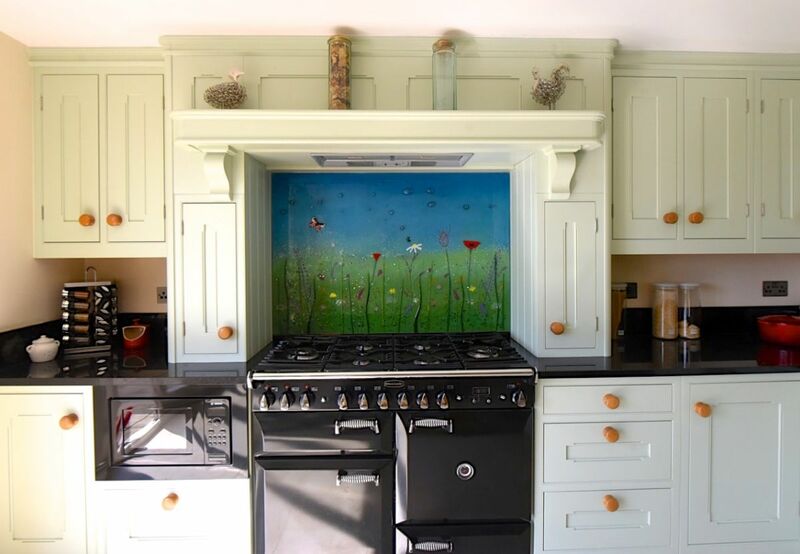 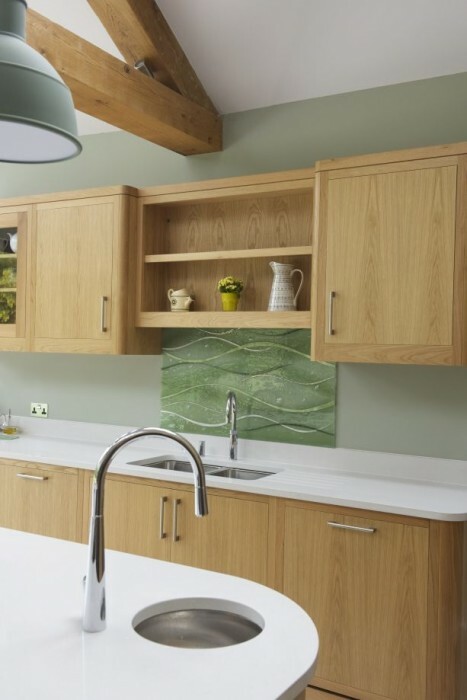 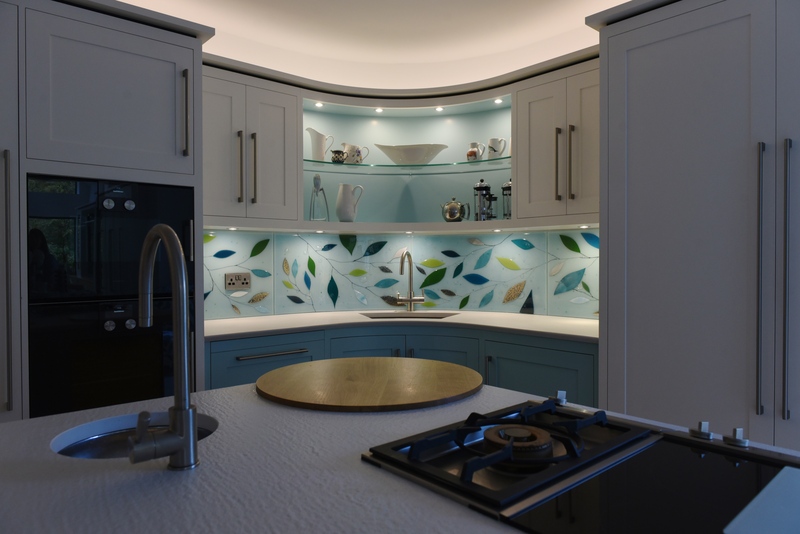 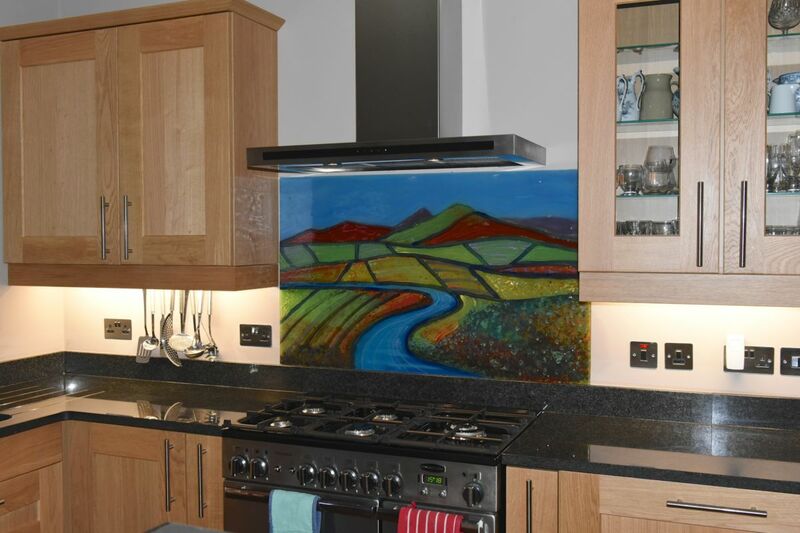 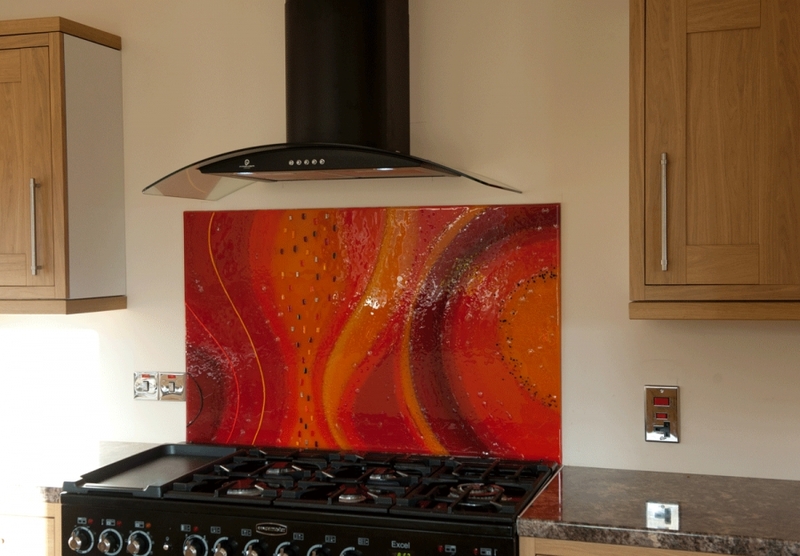 That something might take the form of the décor of a kitchen or maybe even a matching accessory, but there’s definitely something to be said about fused glass art and how well it can complement an existing theme or design. 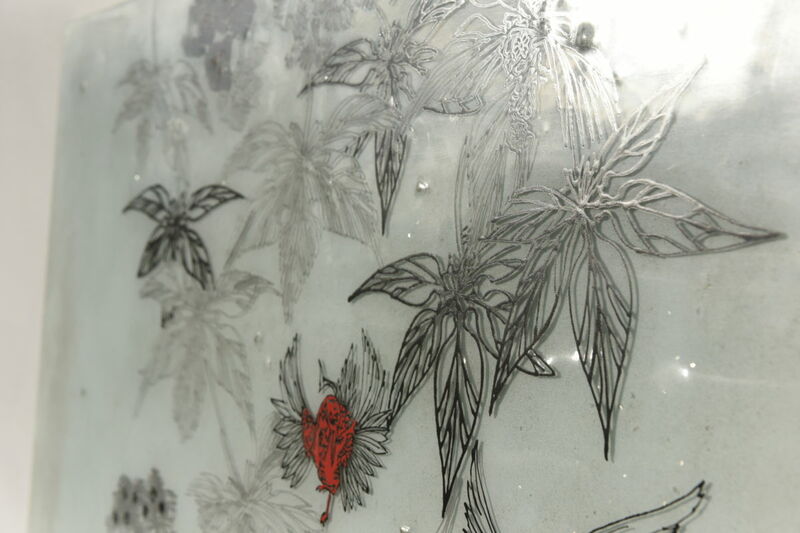 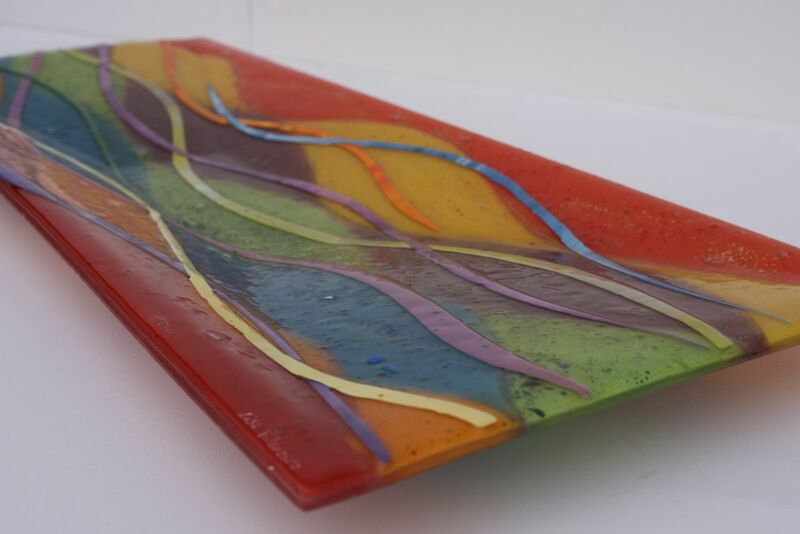 That train of thought is what originally led us to creating fused glass art installations! 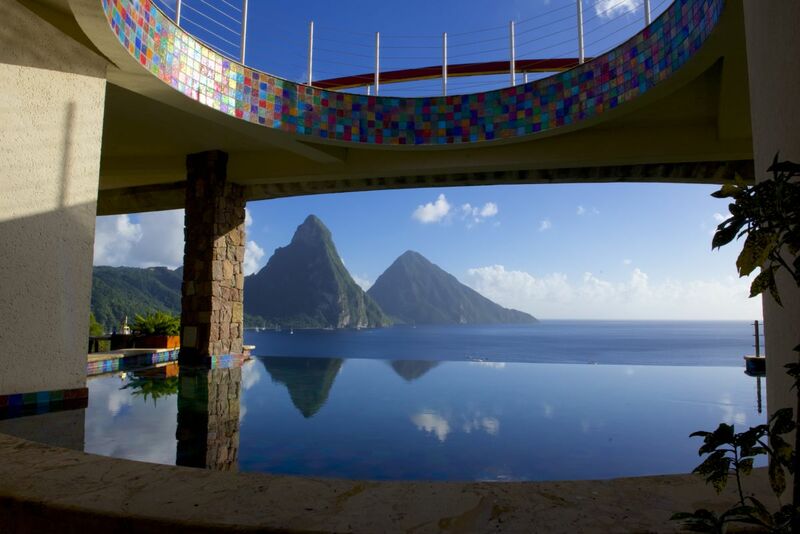 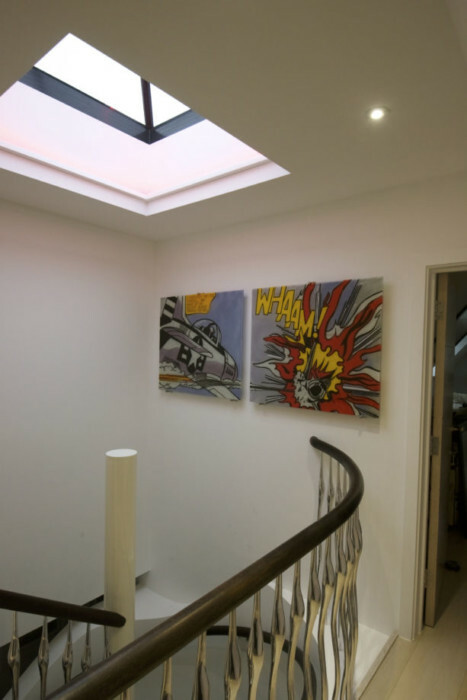 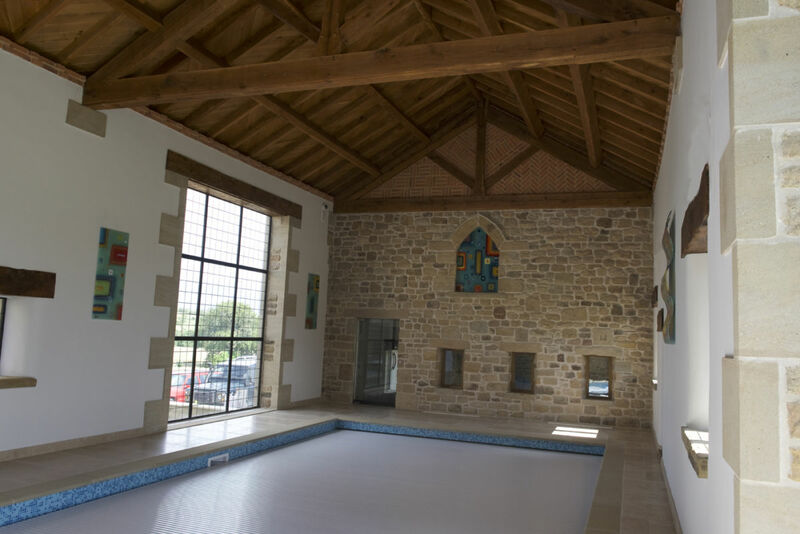 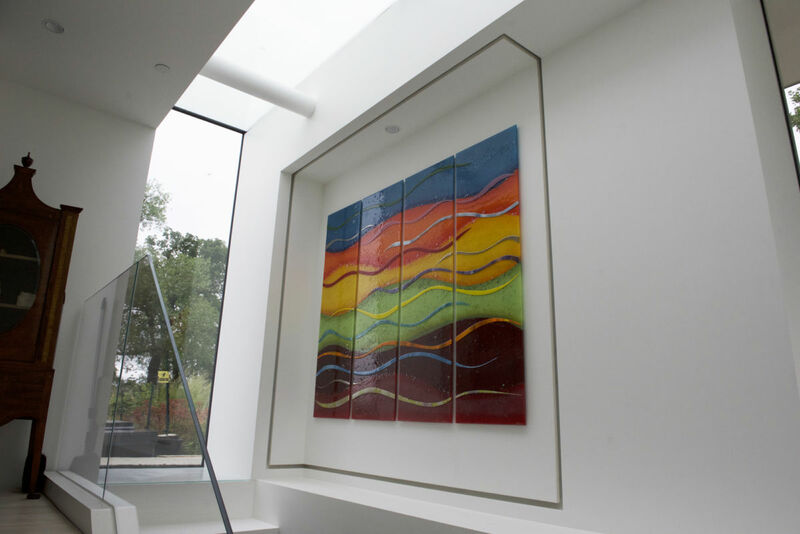 Multiple panels of glass can often have a lot more impact than just one. 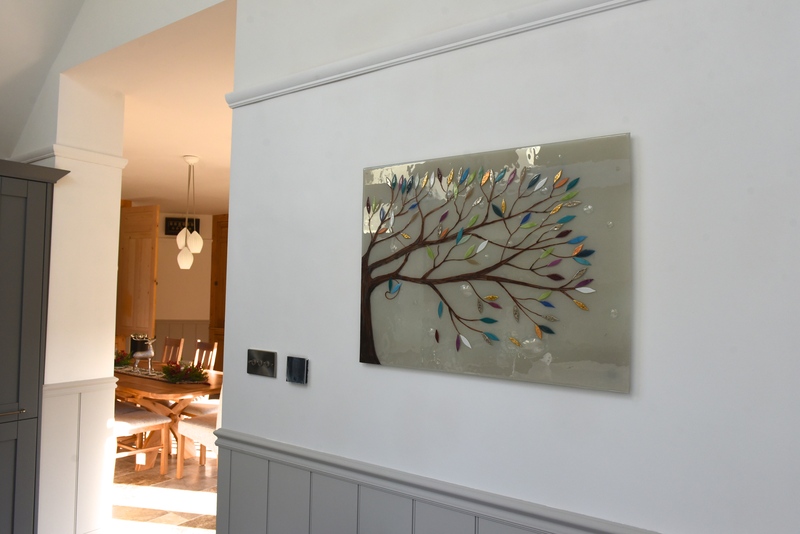 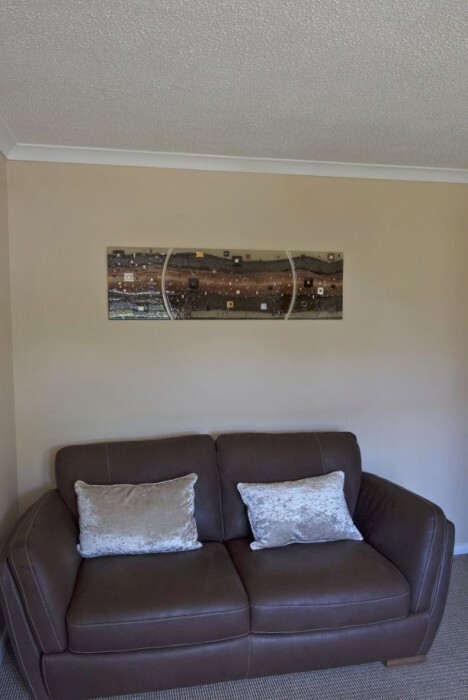 They can be mounted together or all placed on a single backing piece to create a great looking glass wall art installation with a dynamic you might not get with a simpler idea. 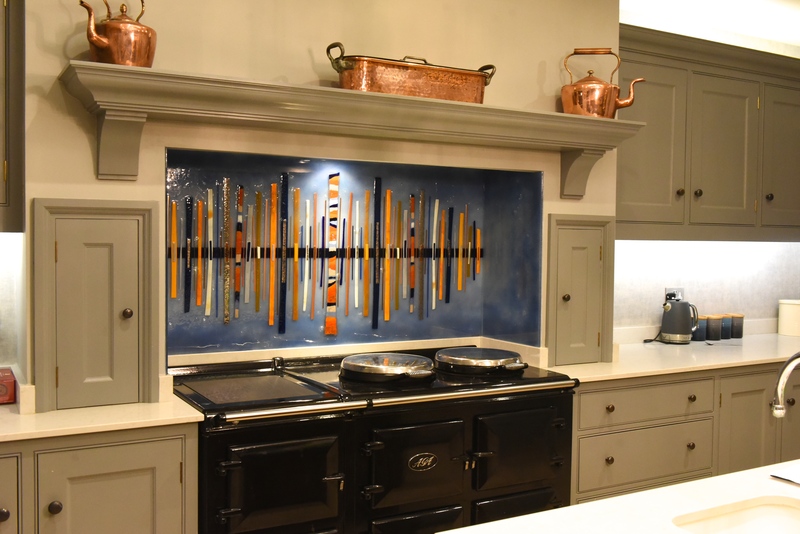 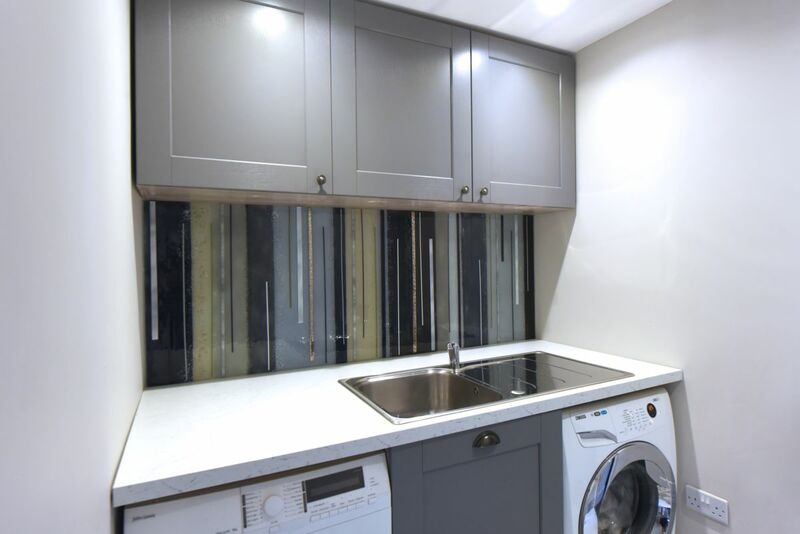 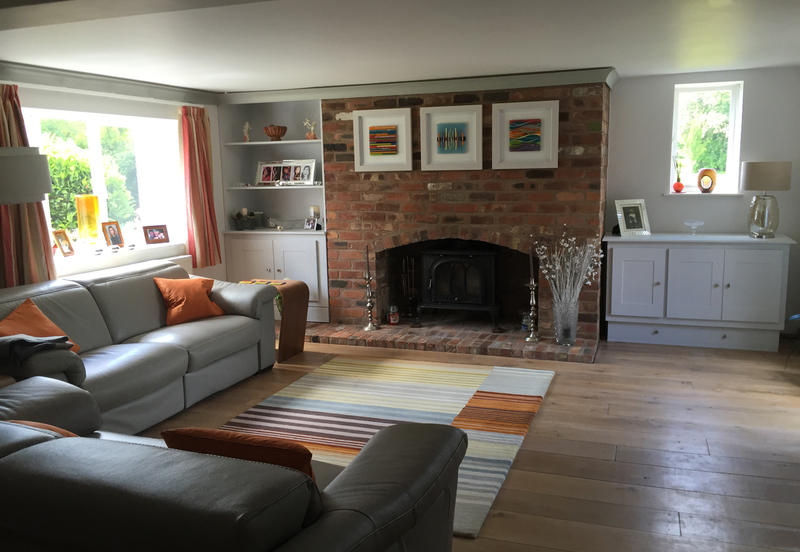 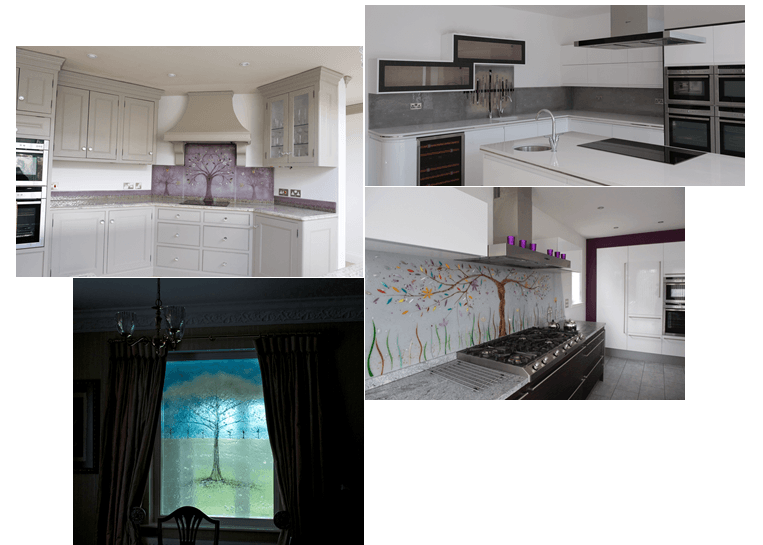 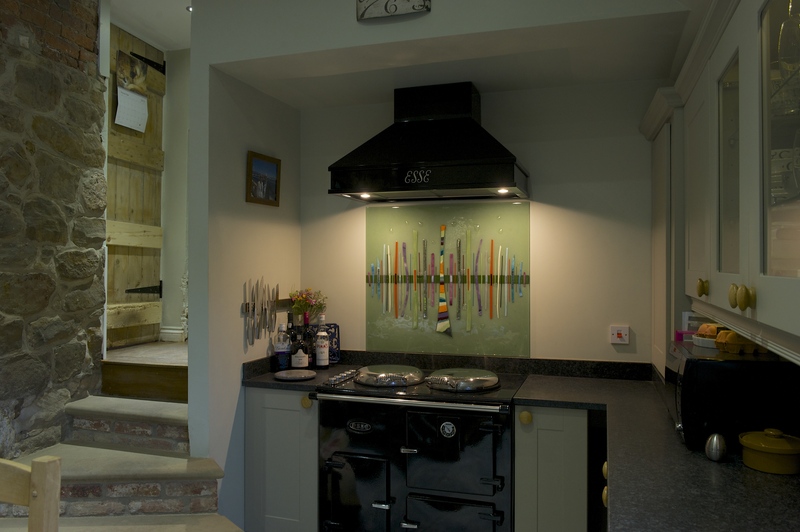 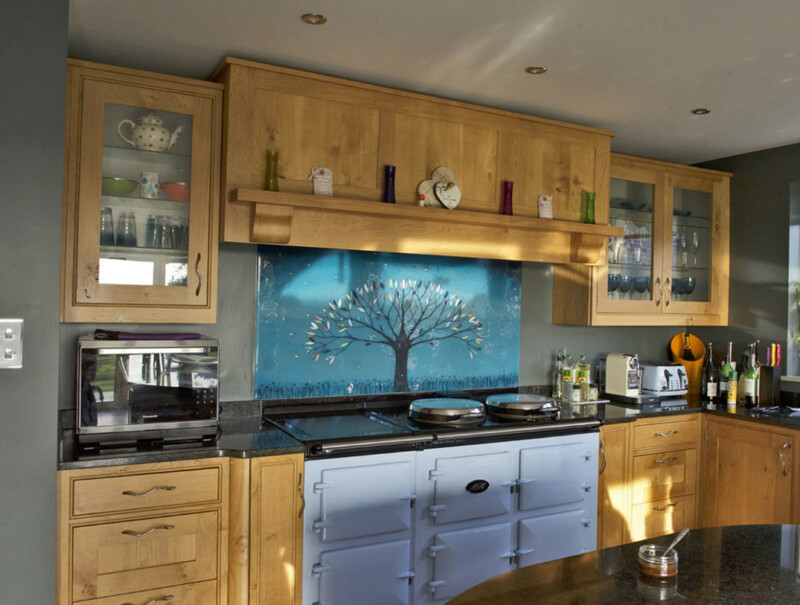 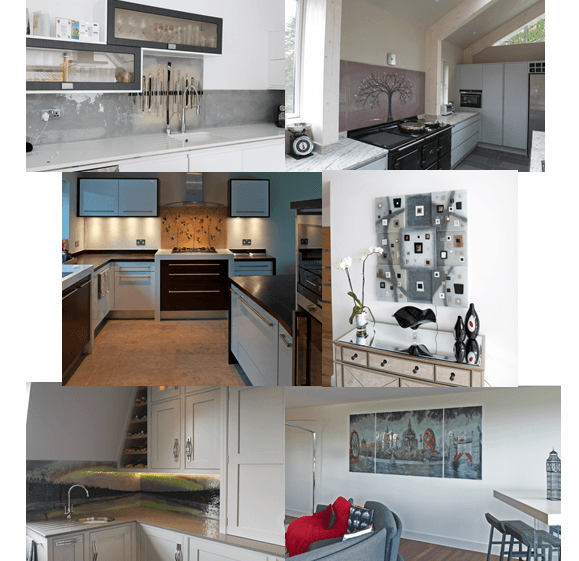 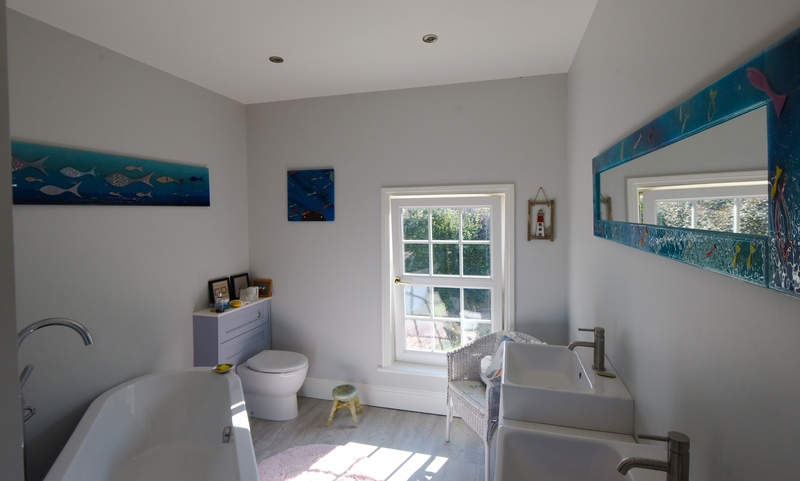 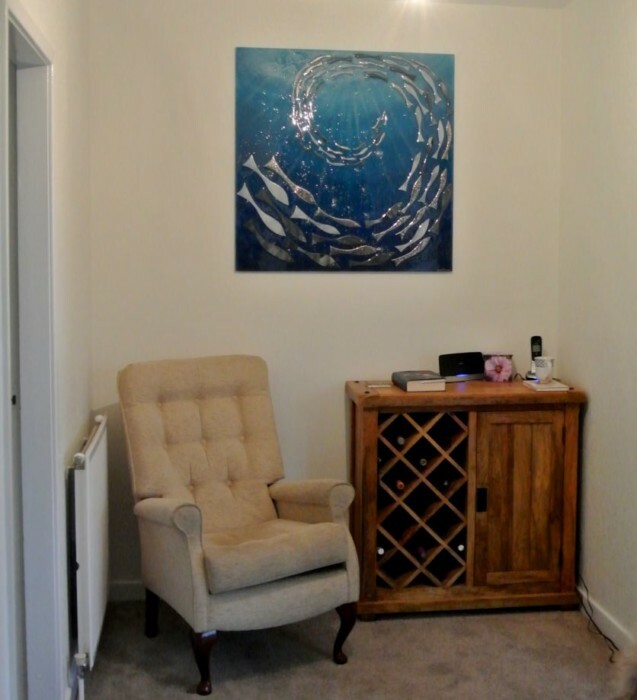 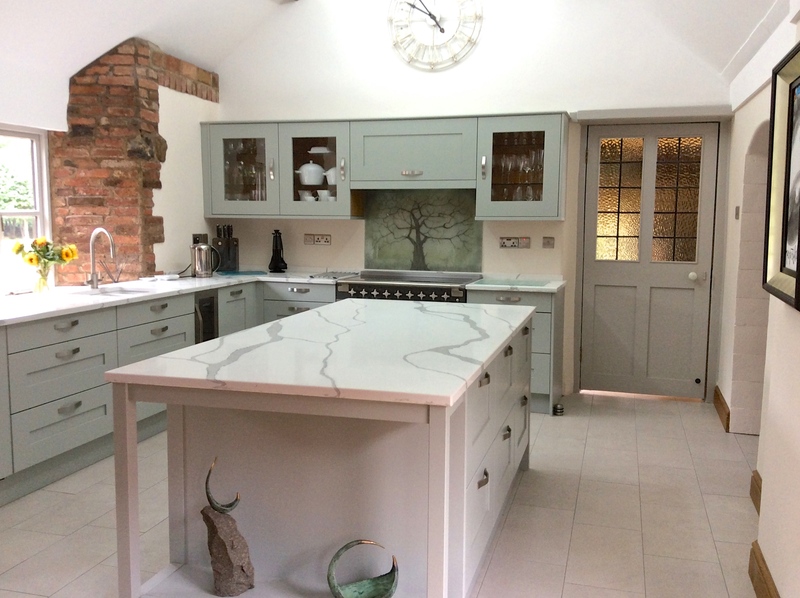 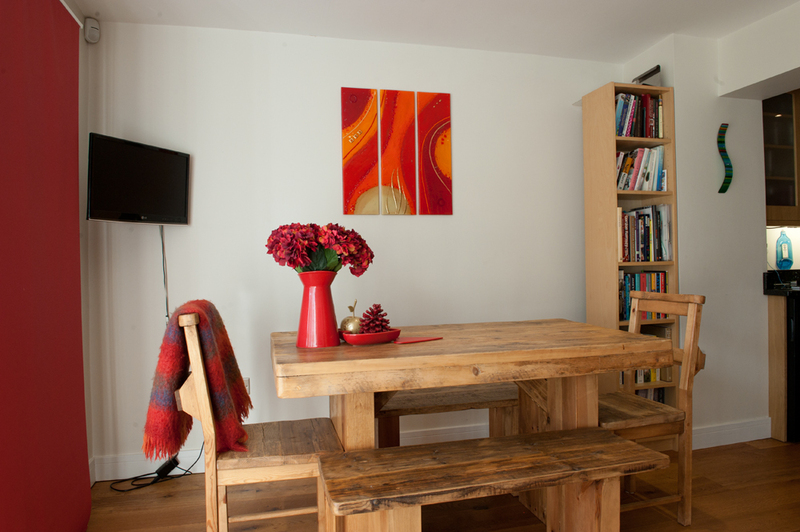 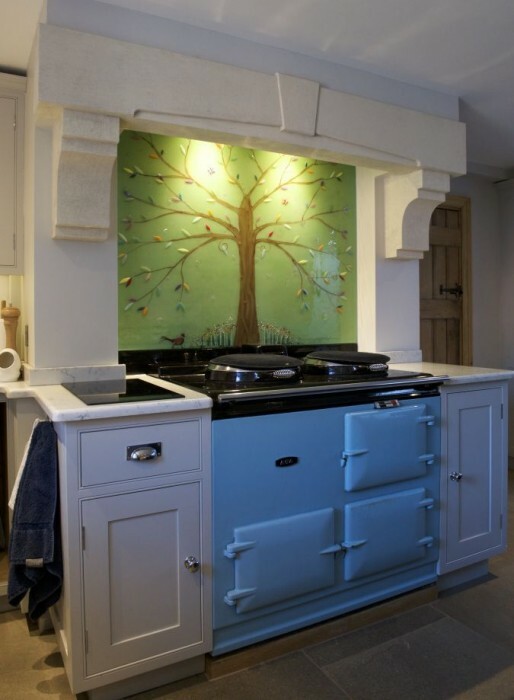 You don’t need to go big with the size either, allowing you to add something to your home that’s bespoke, unique and ready to go in spaces that require something that’s perhaps a little smaller. 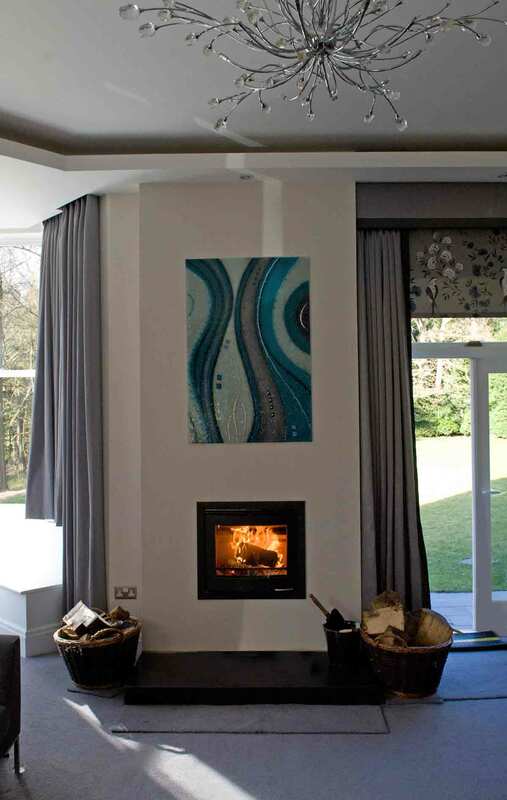 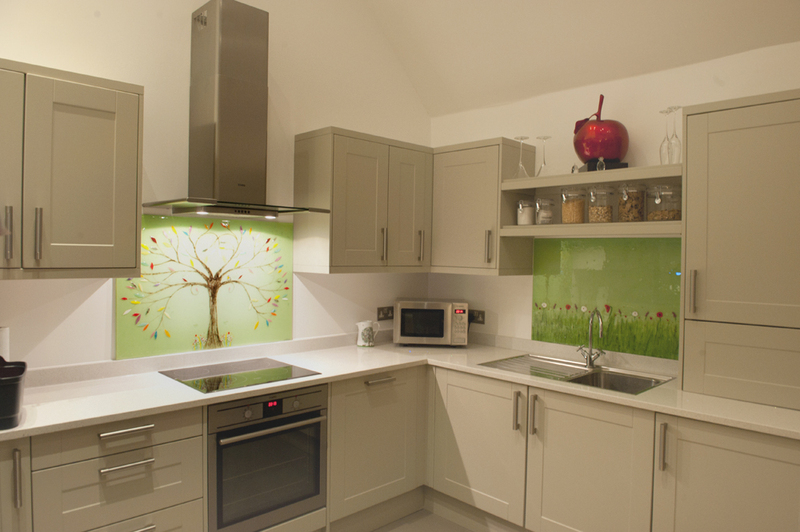 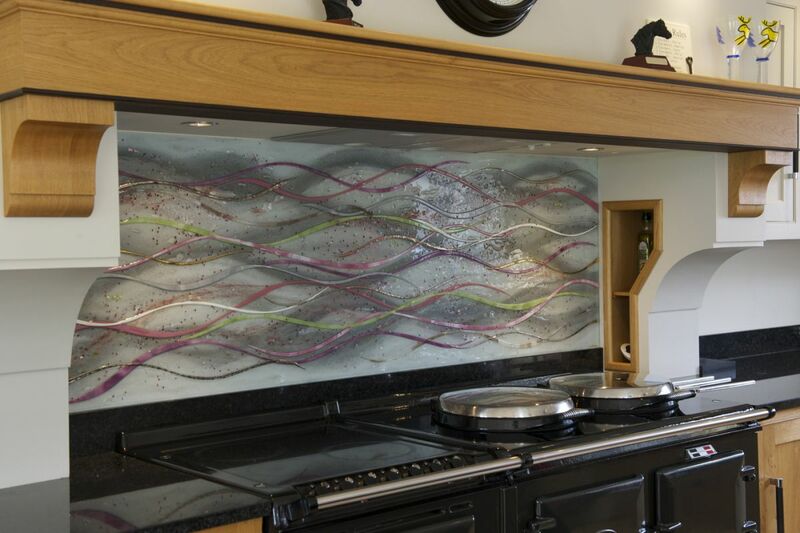 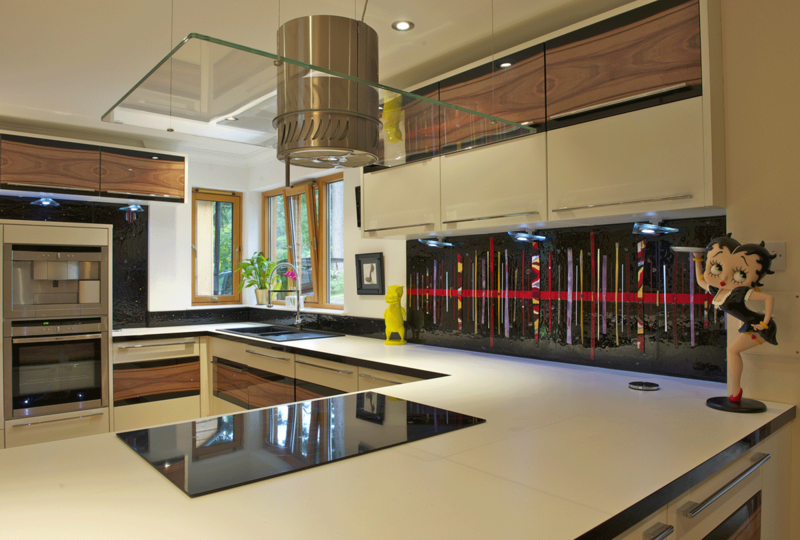 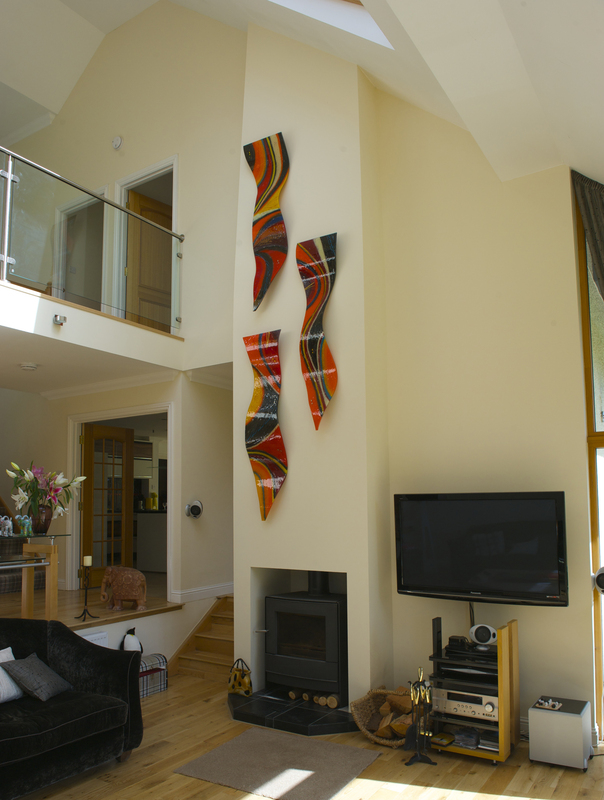 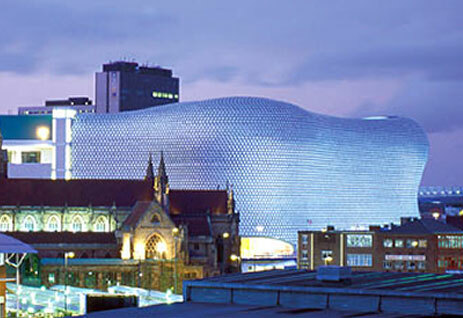 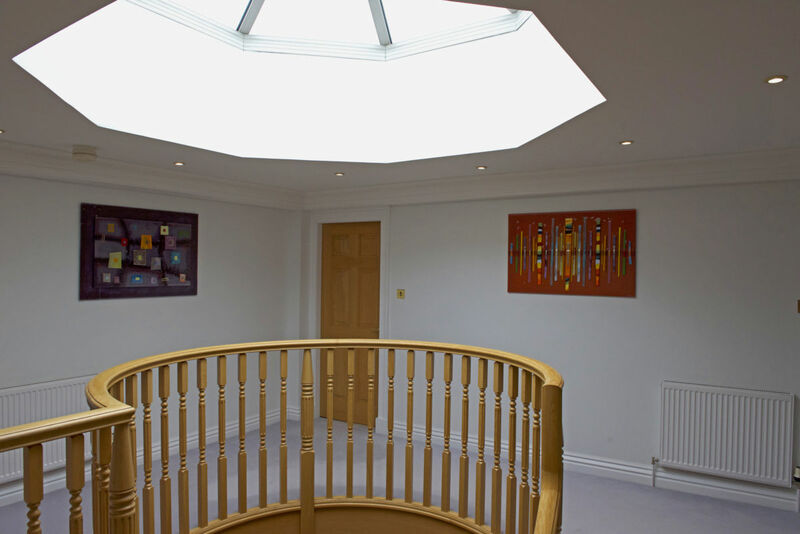 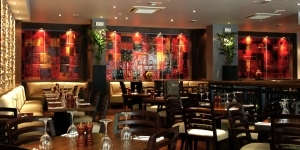 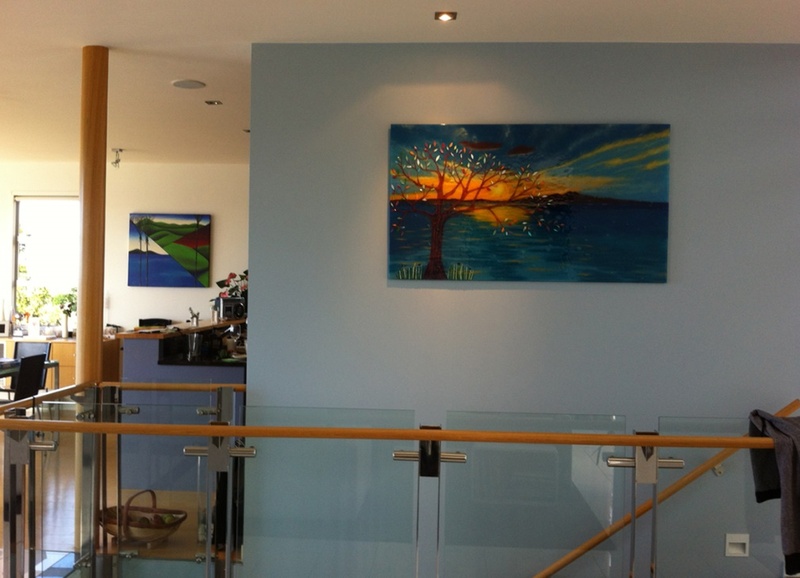 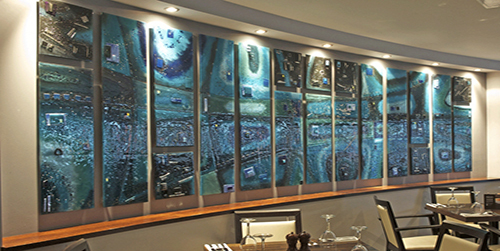 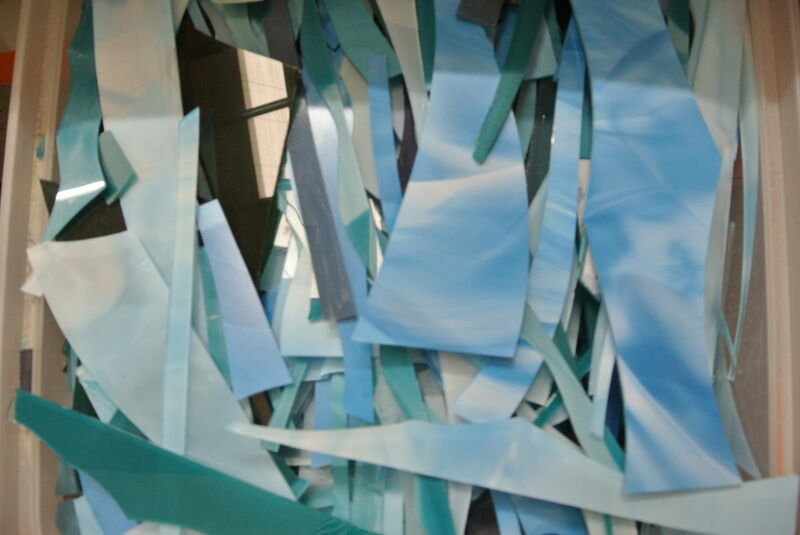 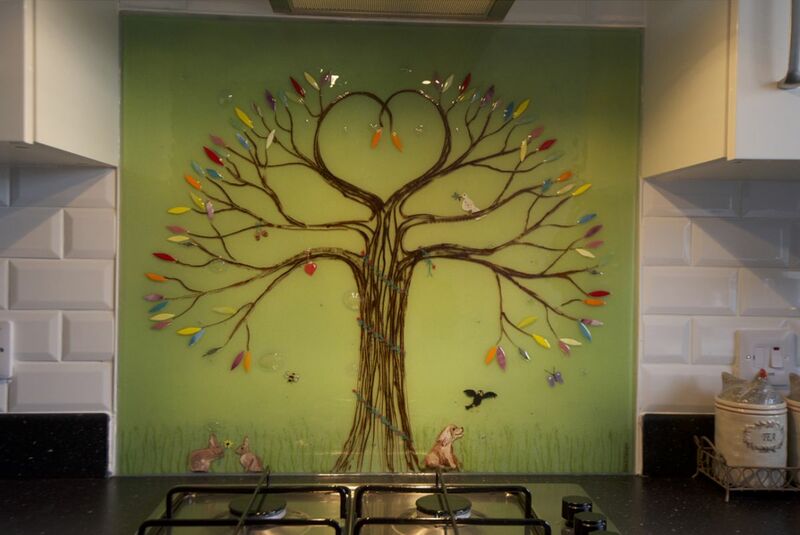 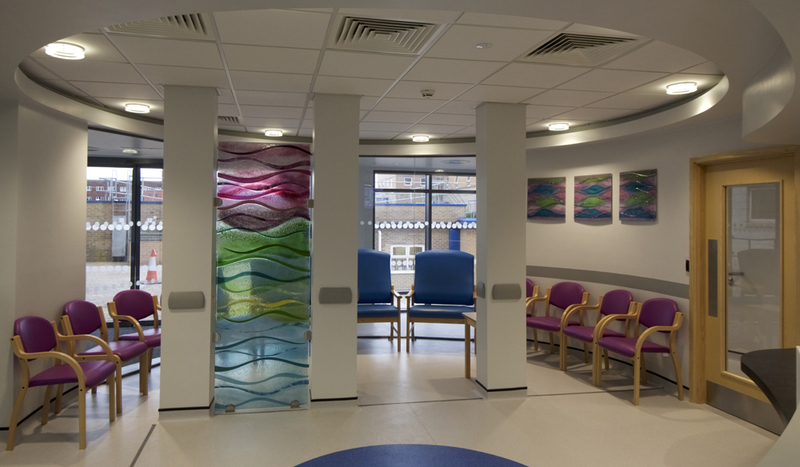 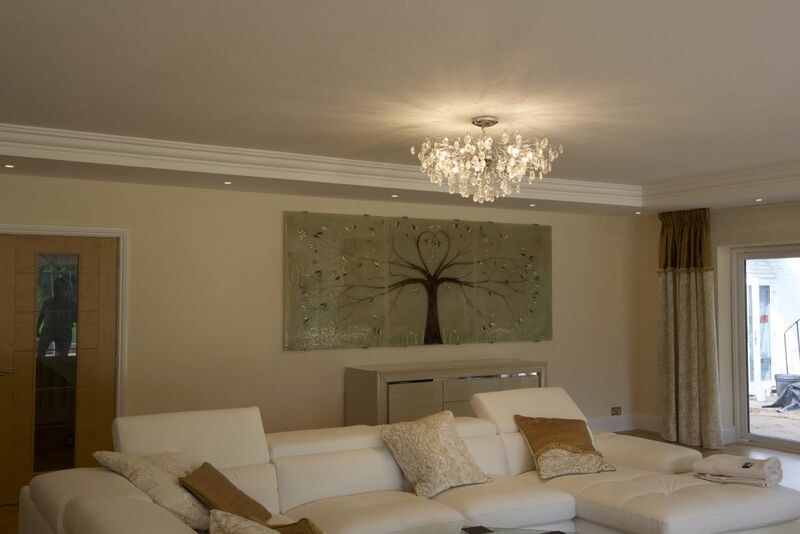 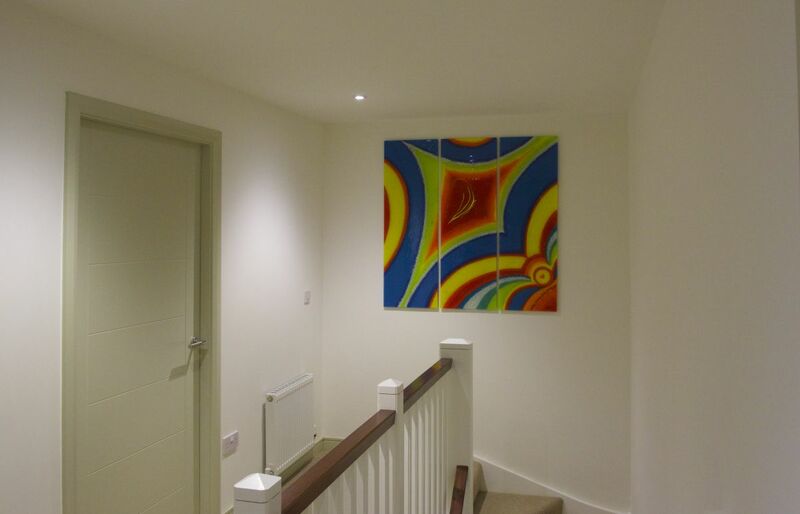 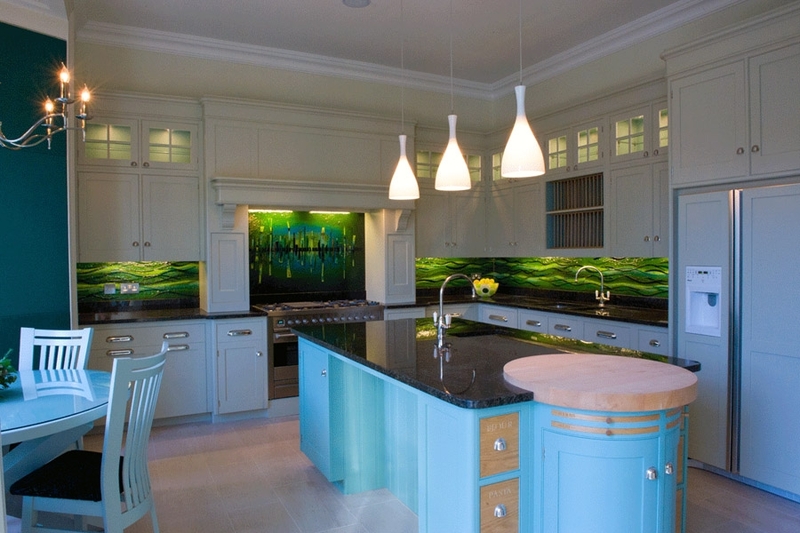 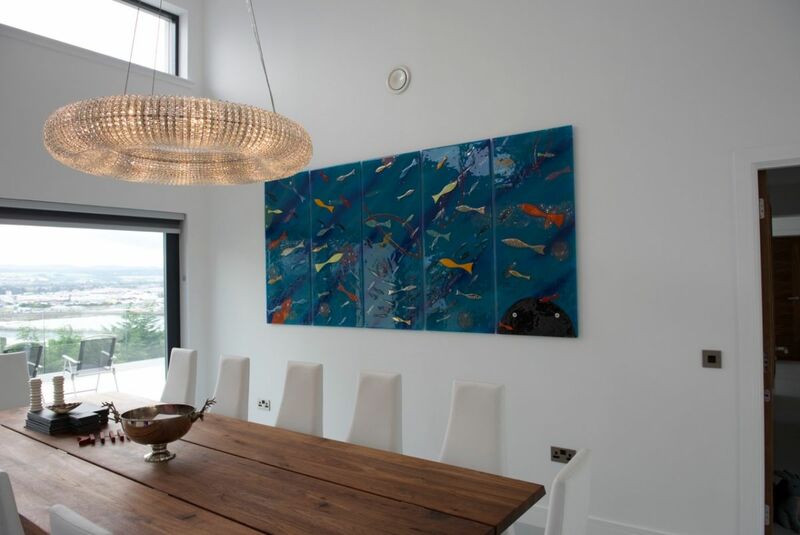 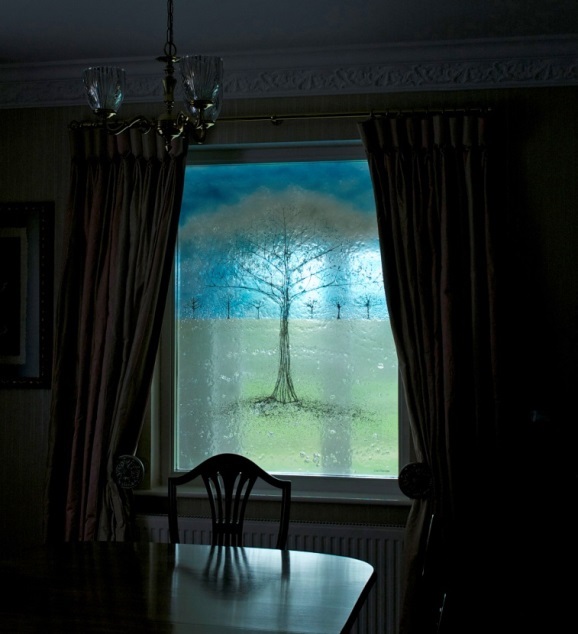 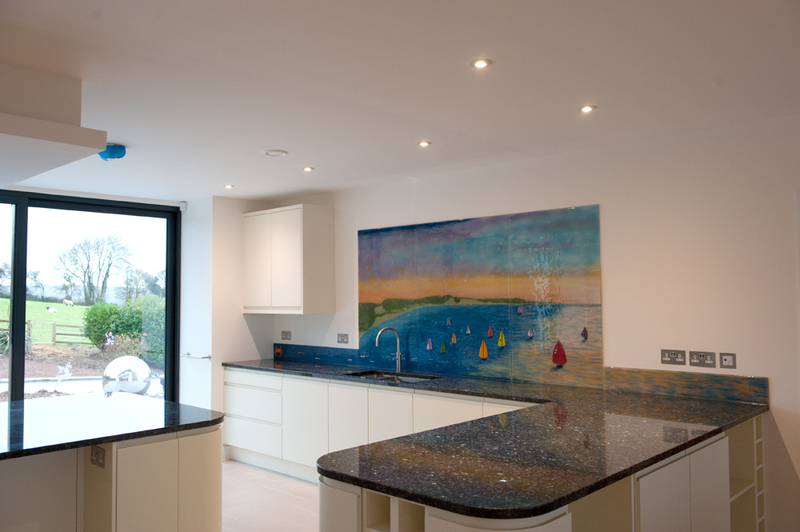 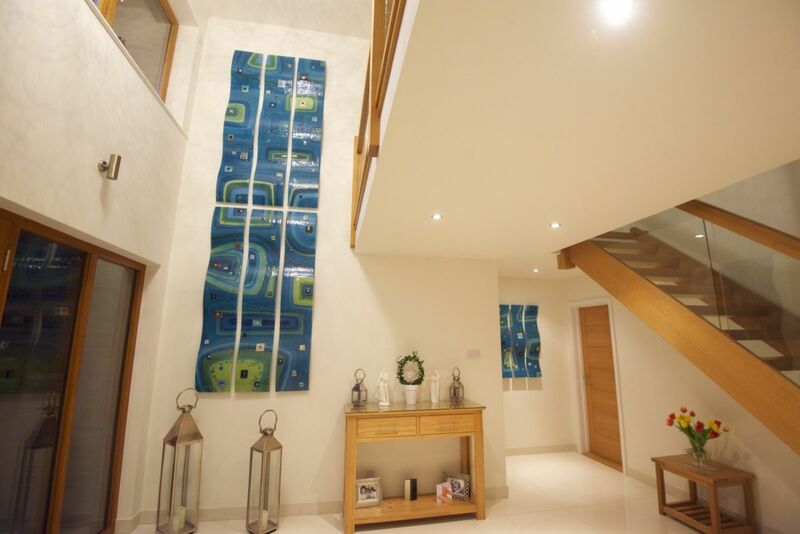 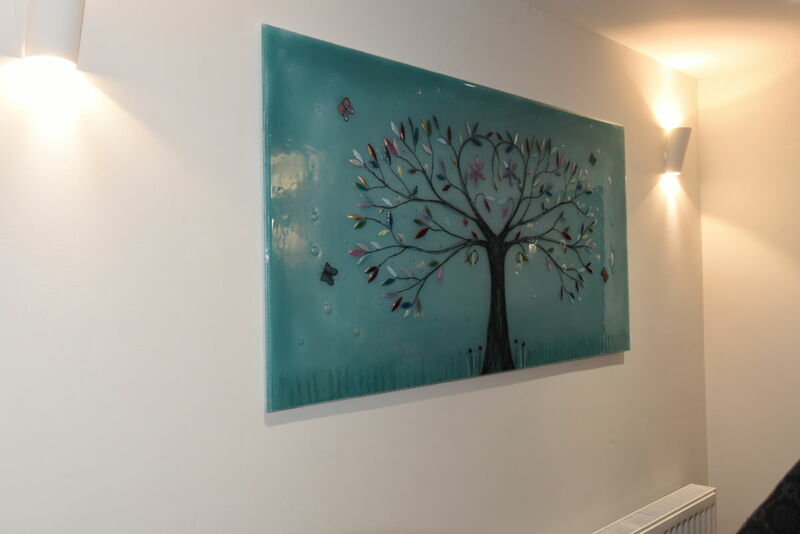 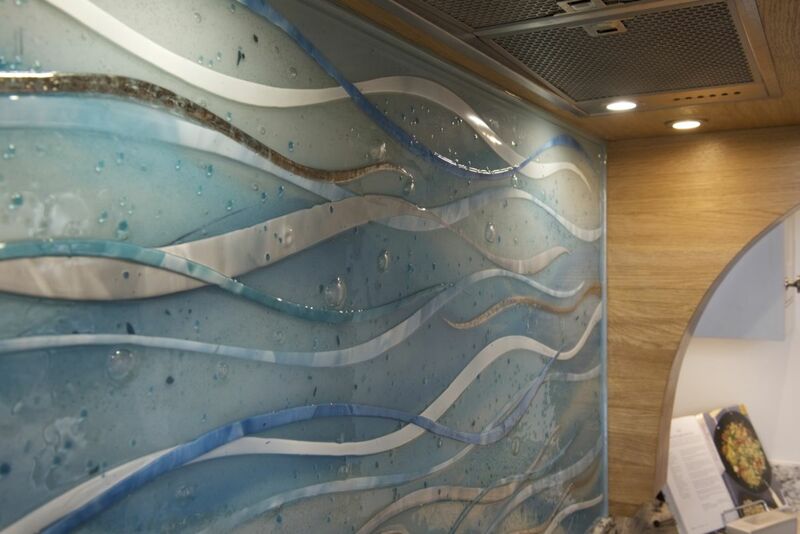 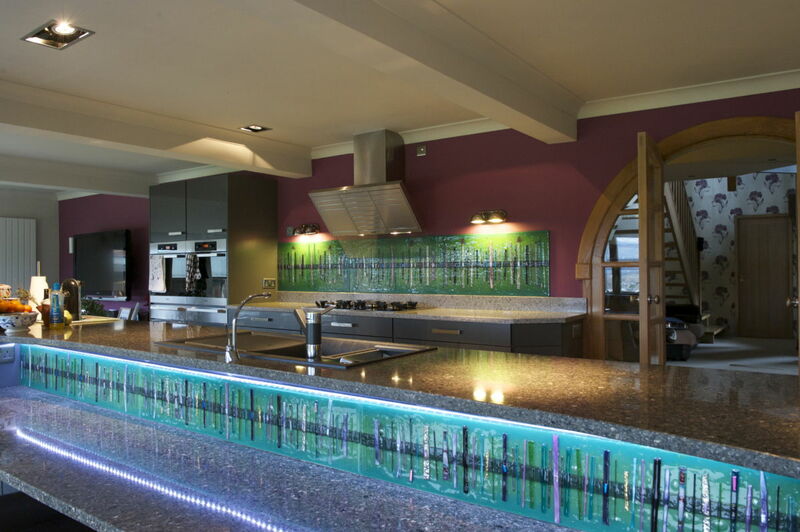 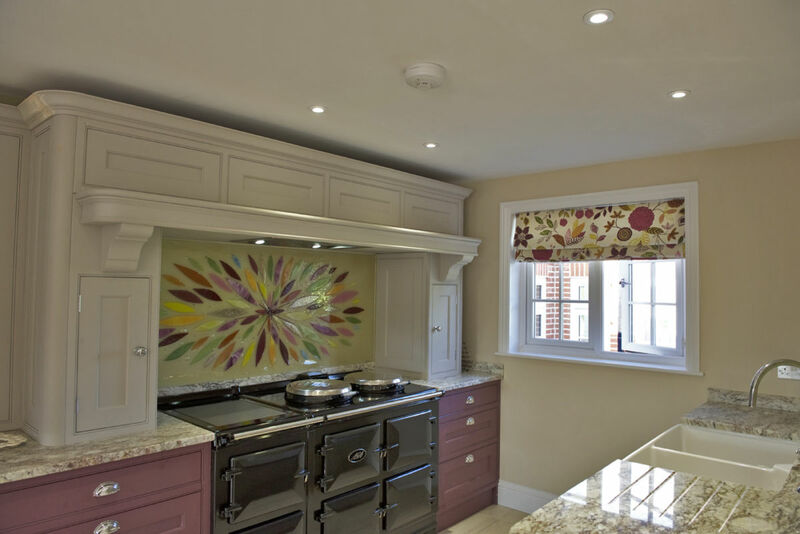 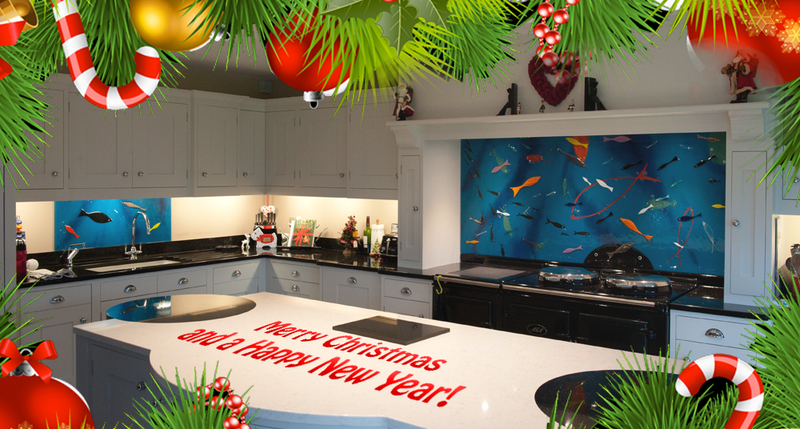 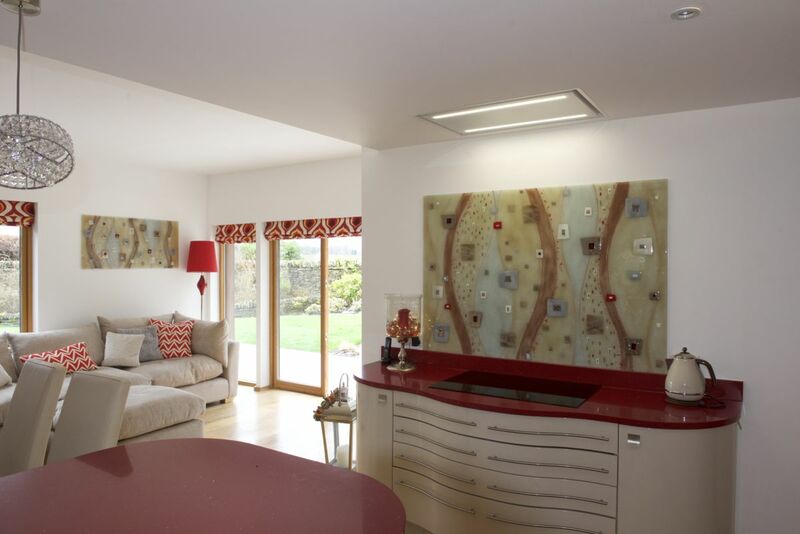 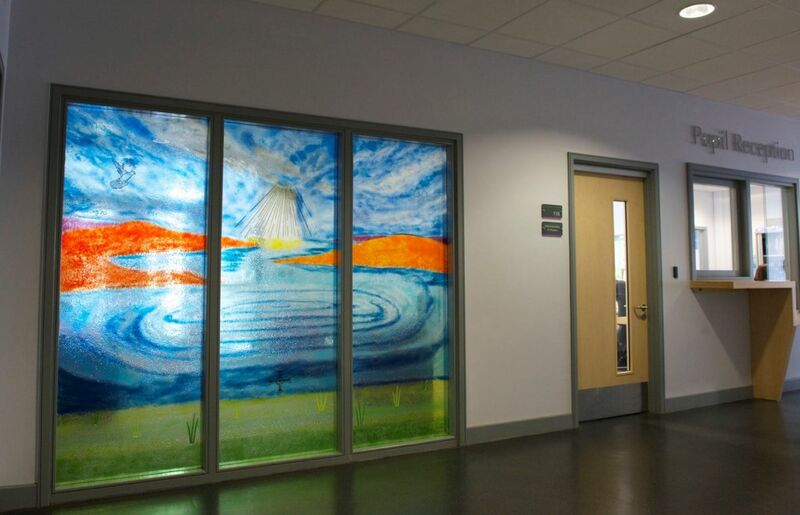 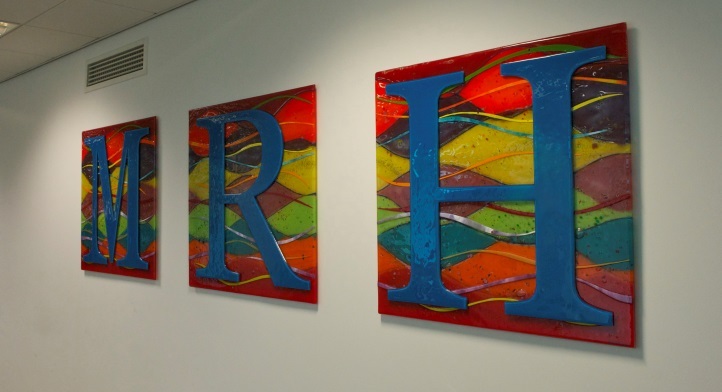 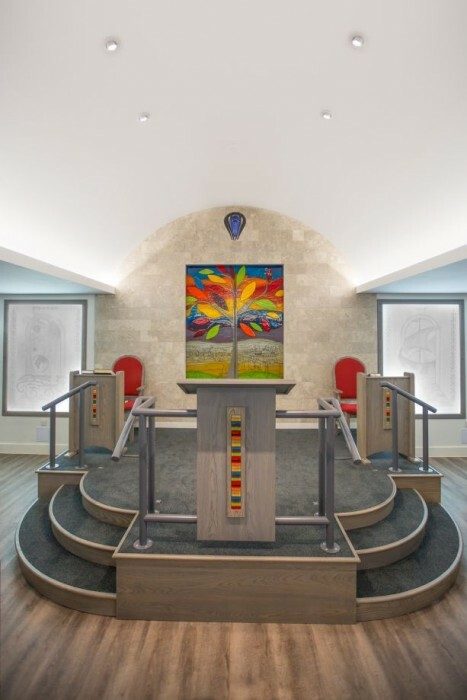 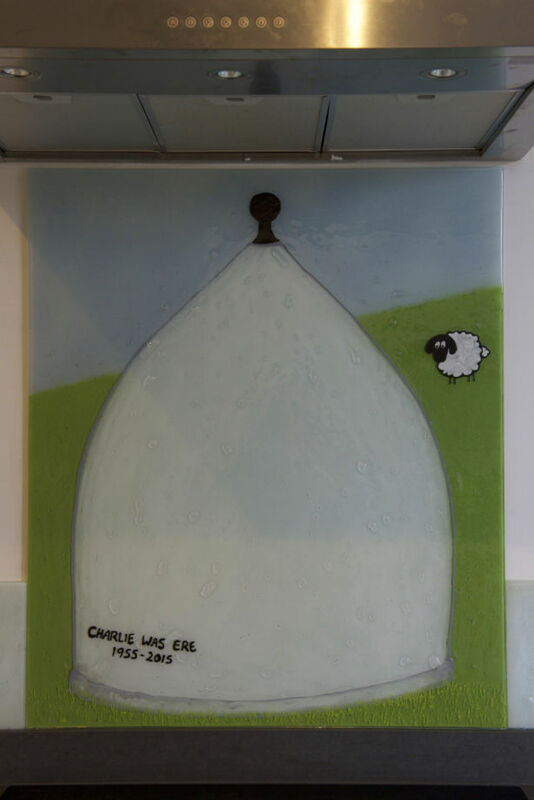 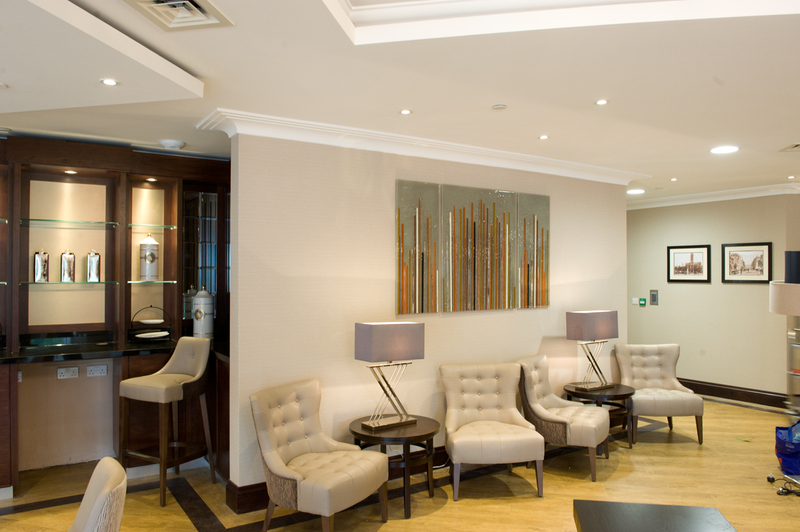 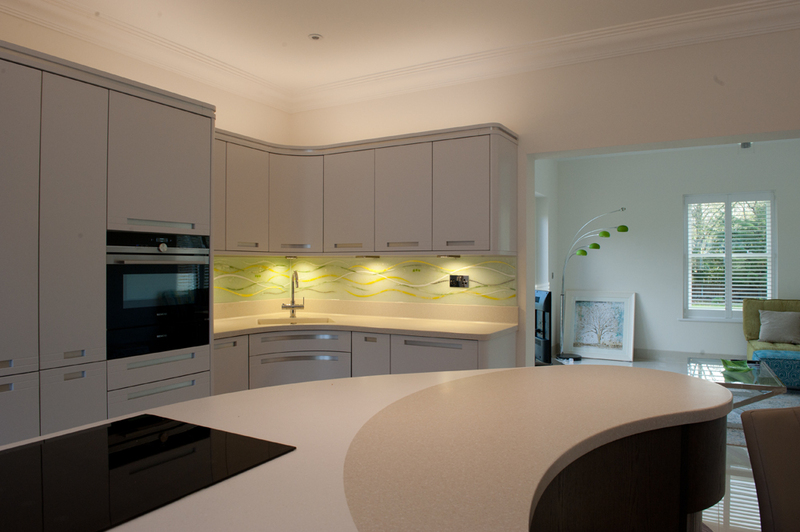 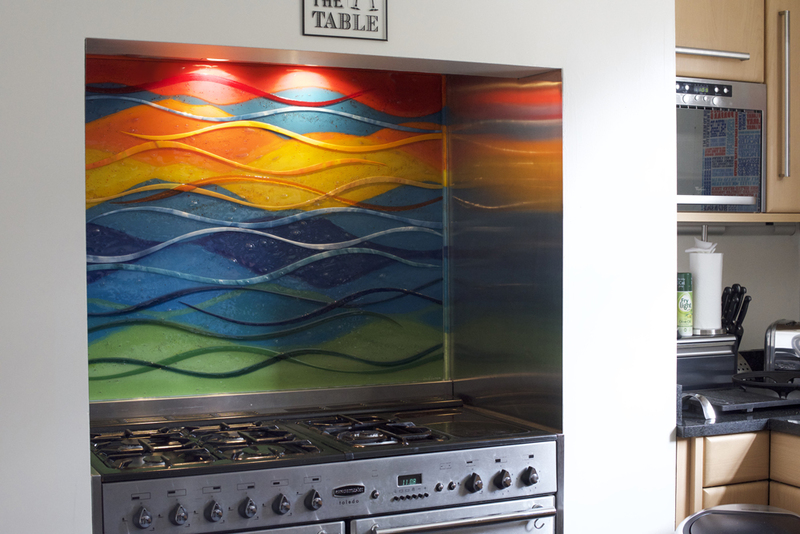 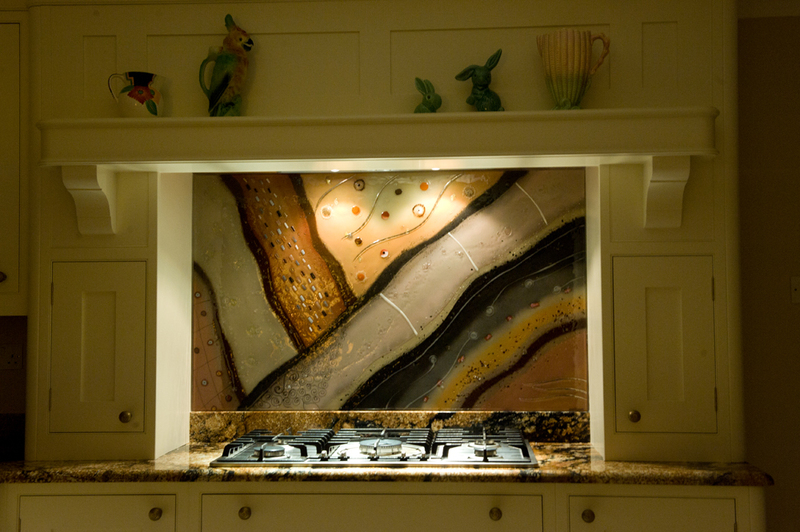 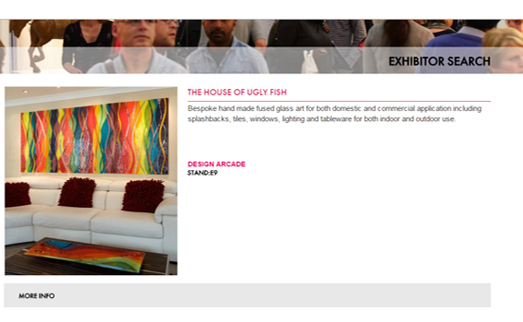 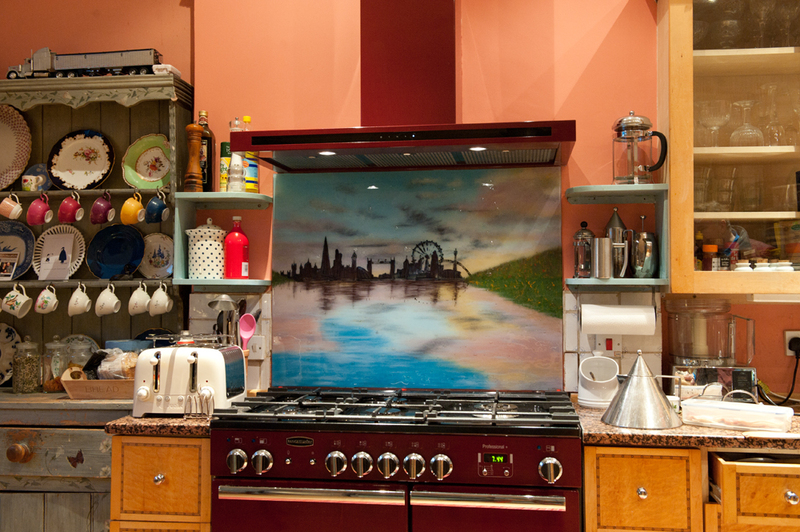 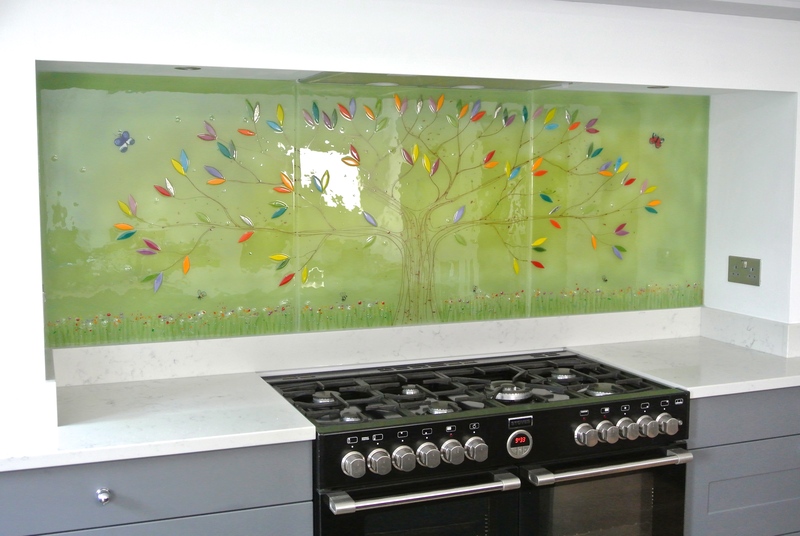 An commercial work of ours from the vaults that nevertheless shows off how great fused glass art installations can look! 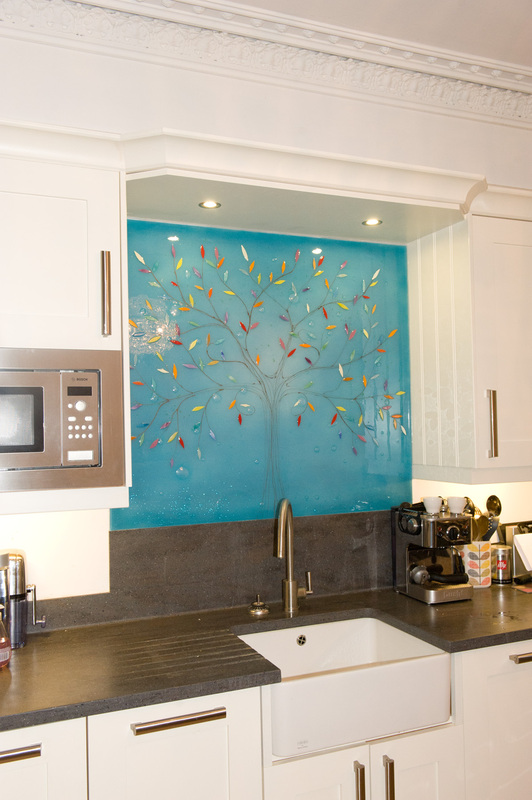 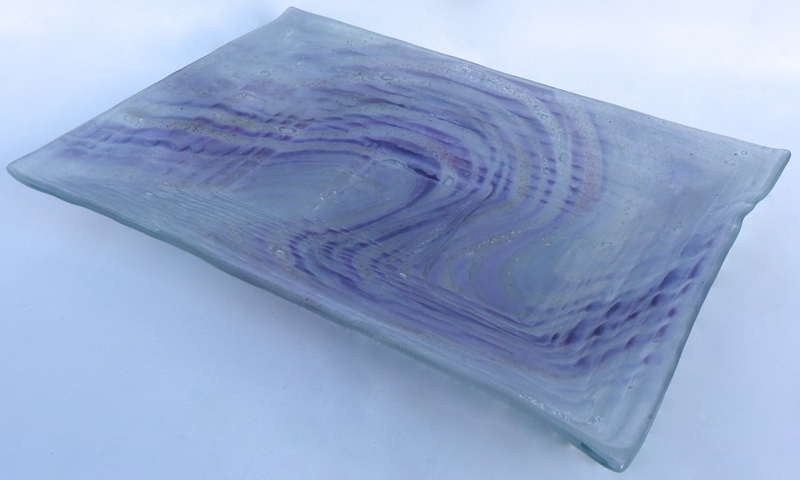 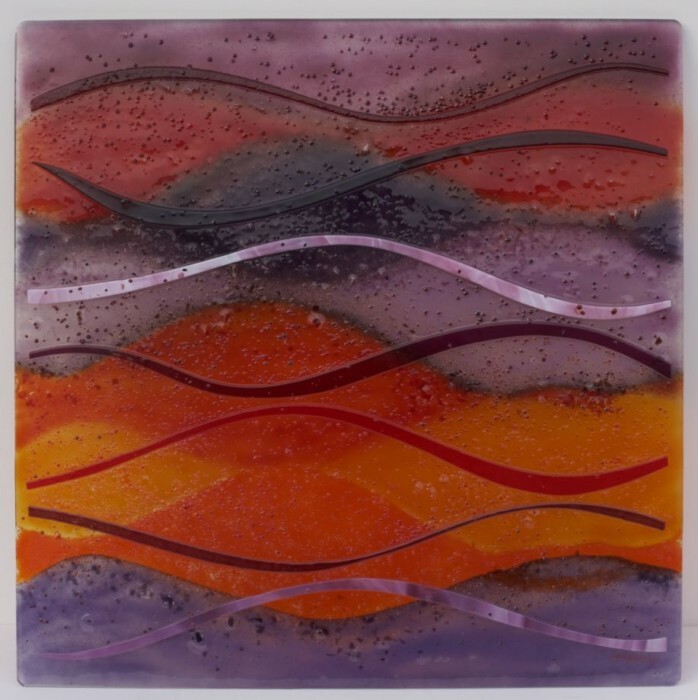 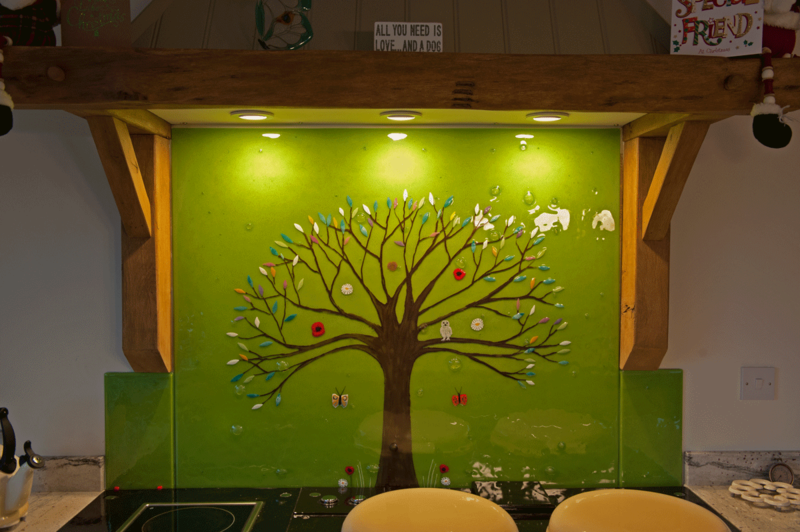 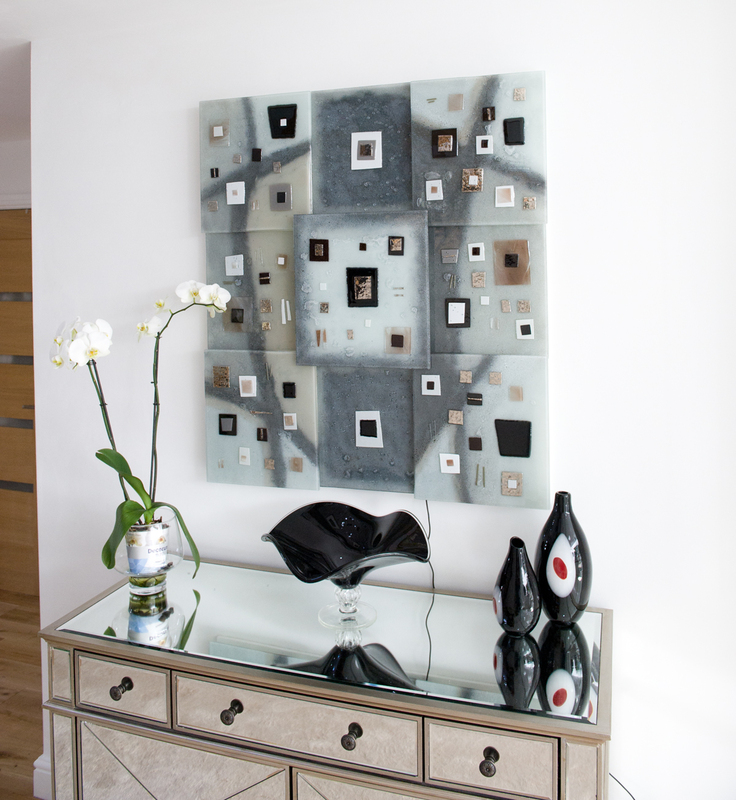 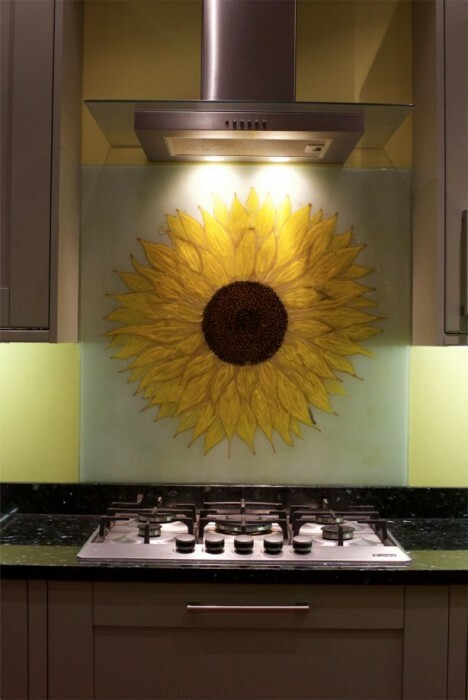 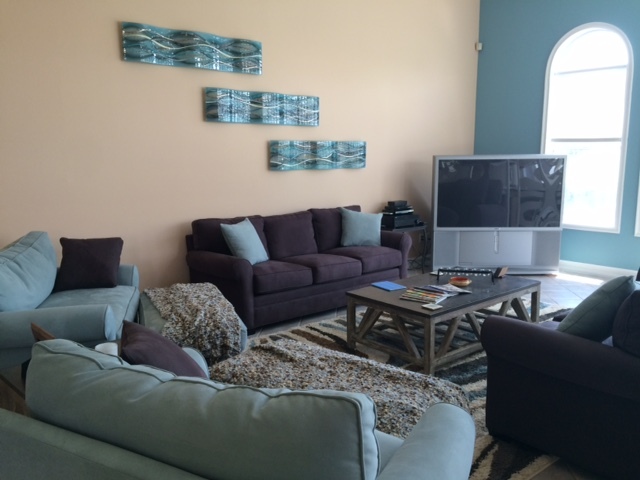 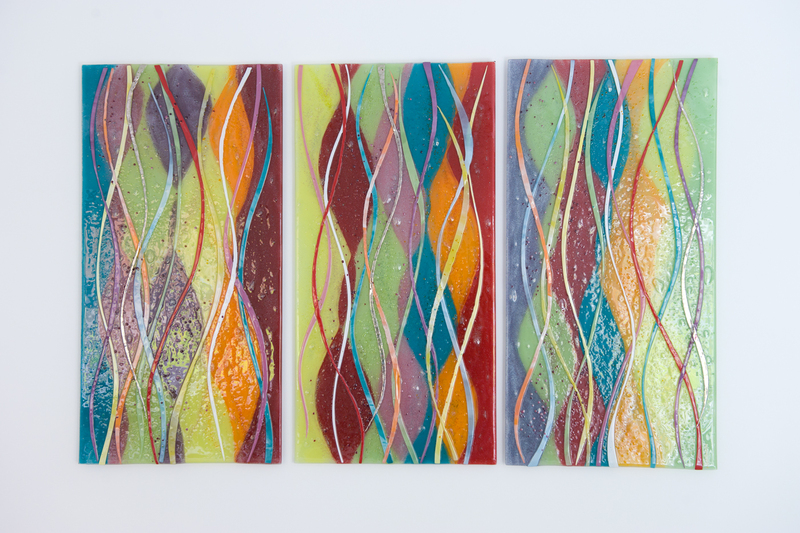 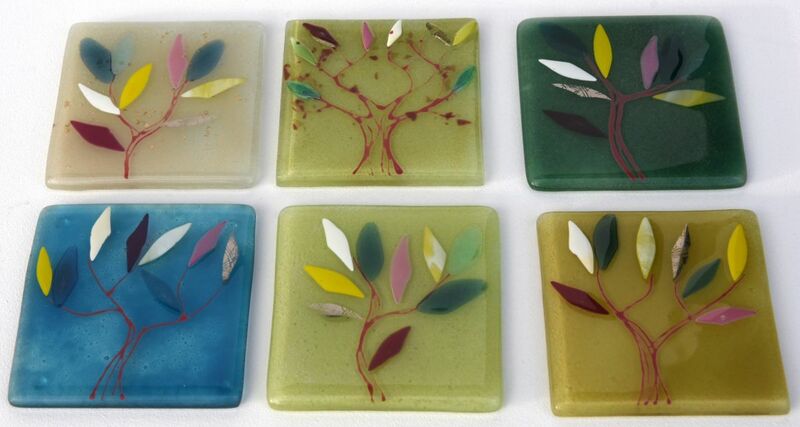 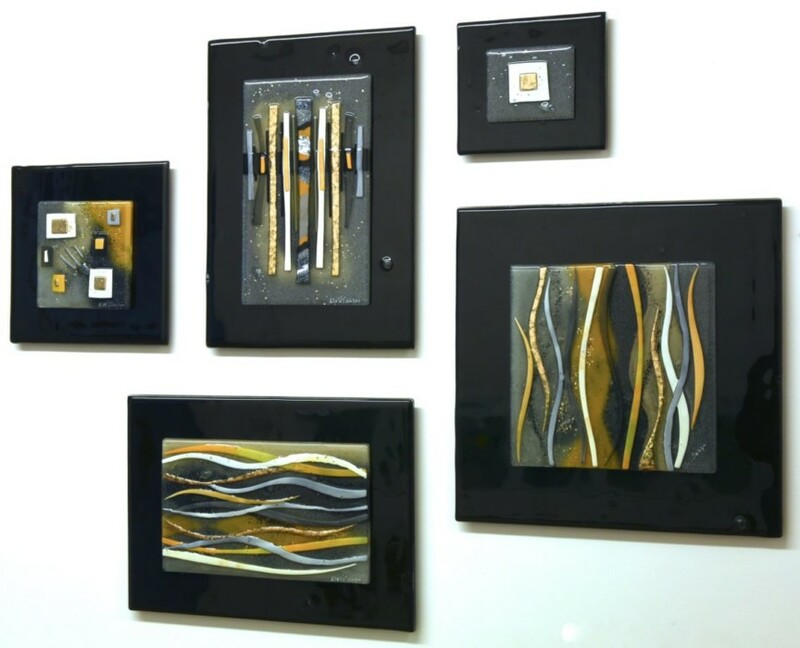 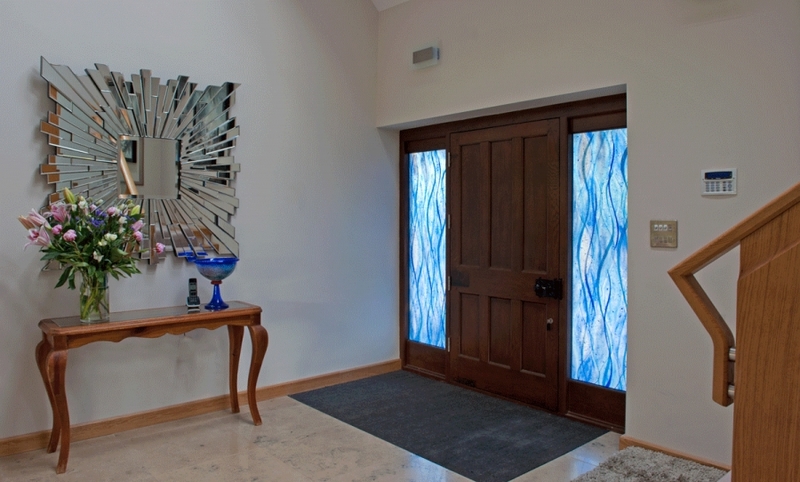 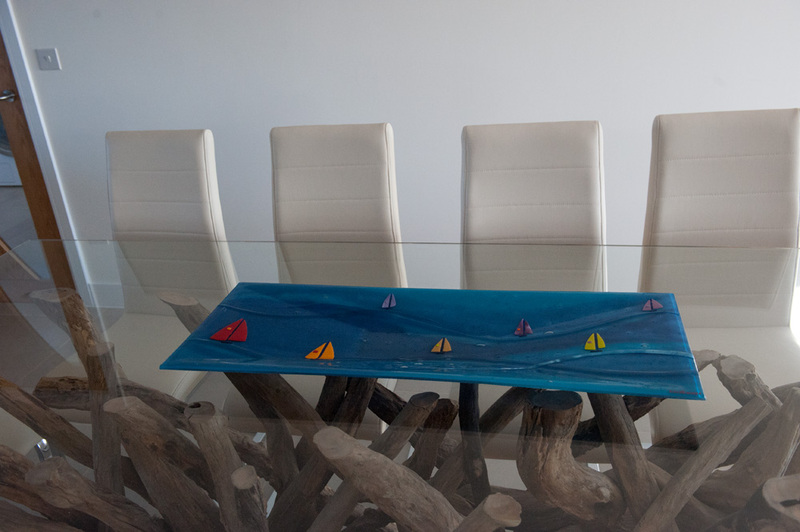 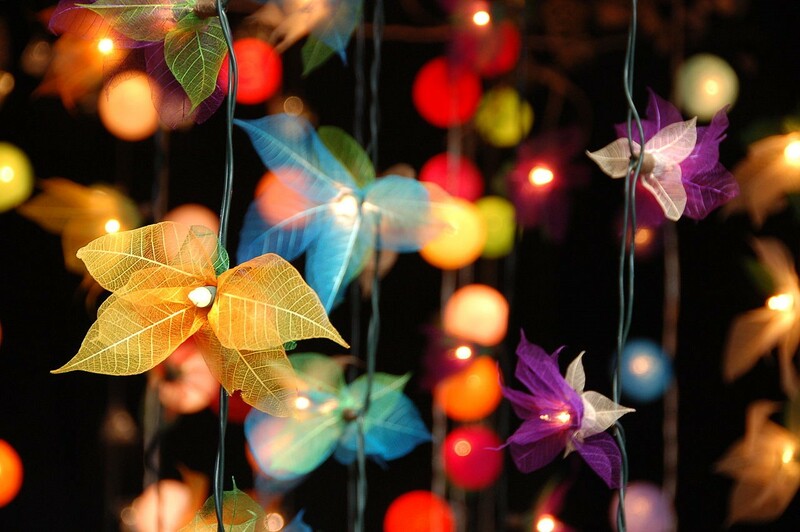 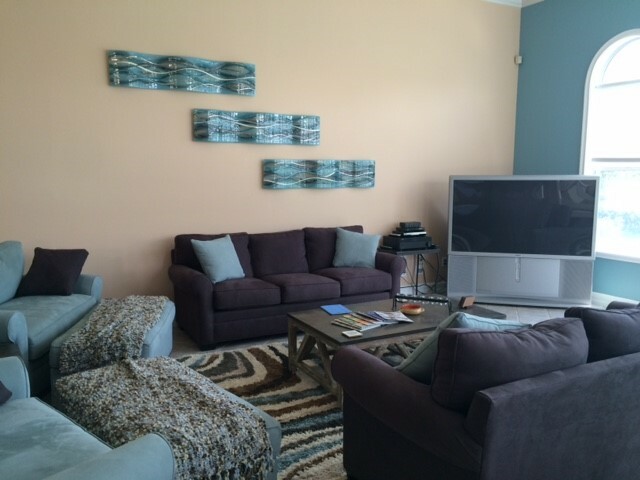 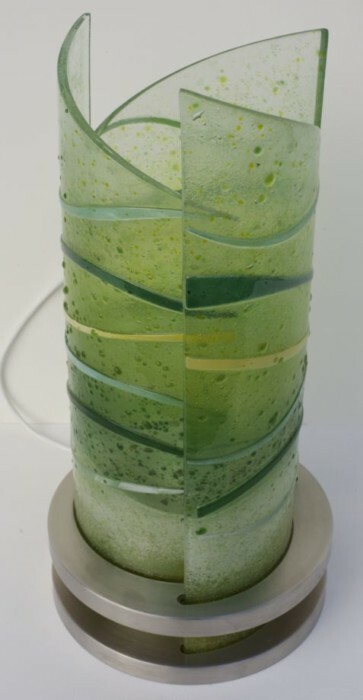 If you are looking to decorate a larger space with fused glass, however, we’ve got you covered! 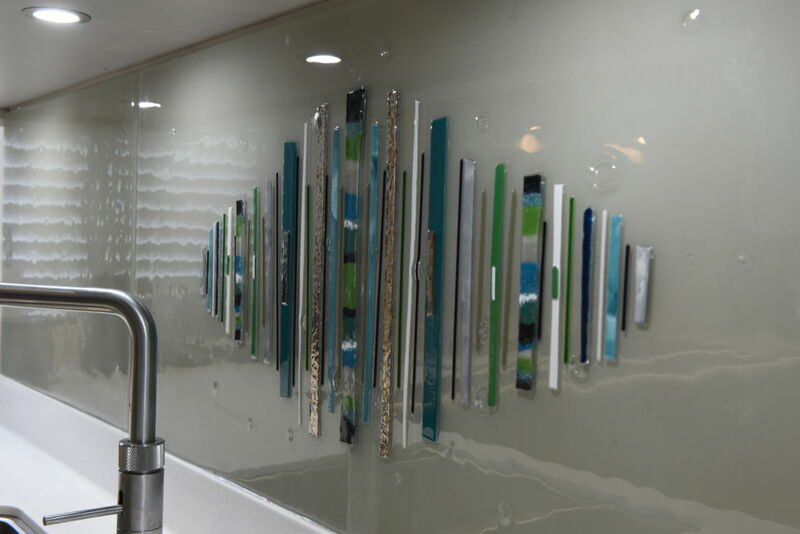 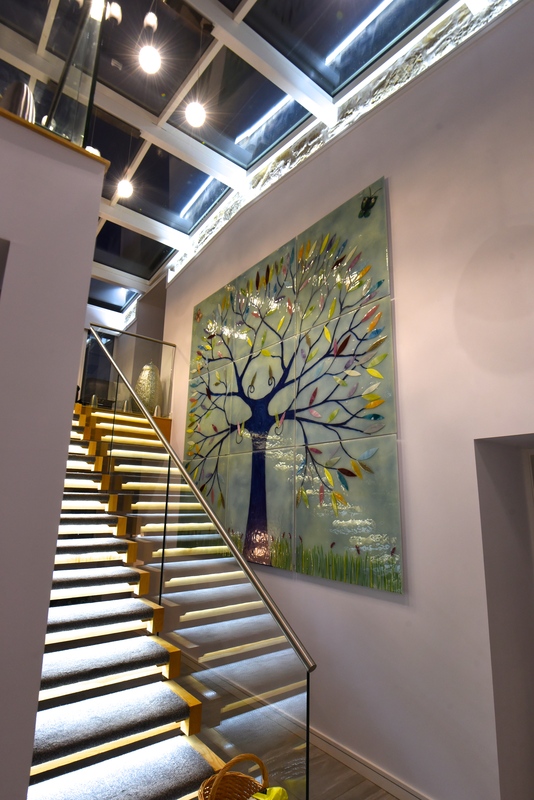 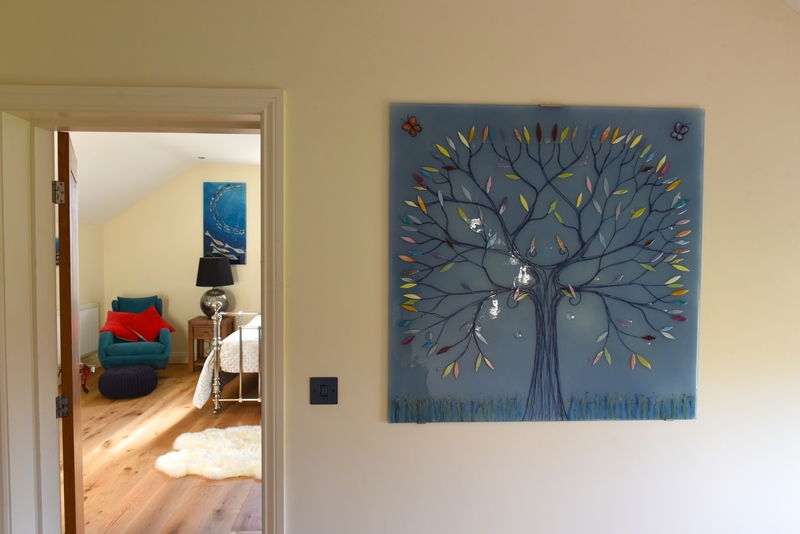 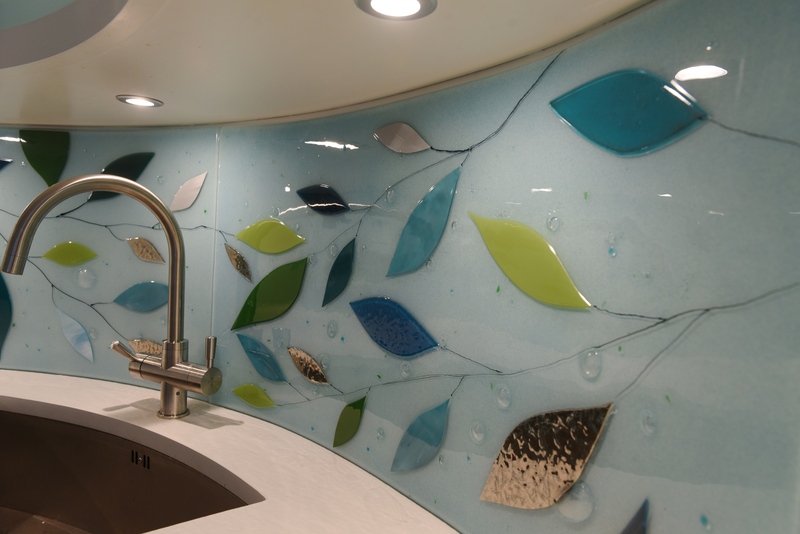 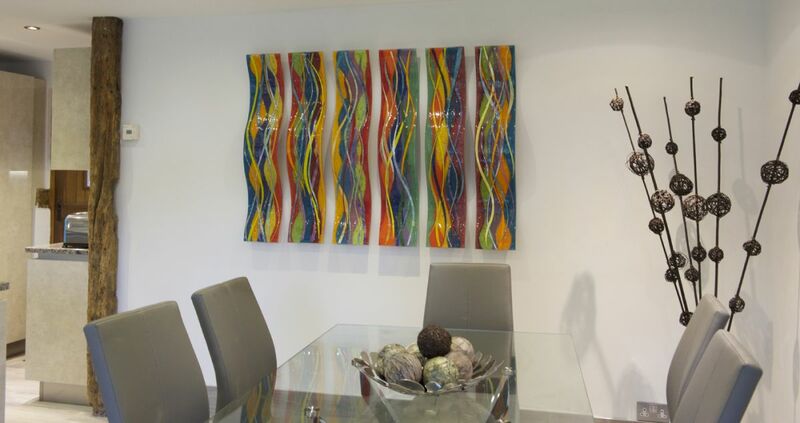 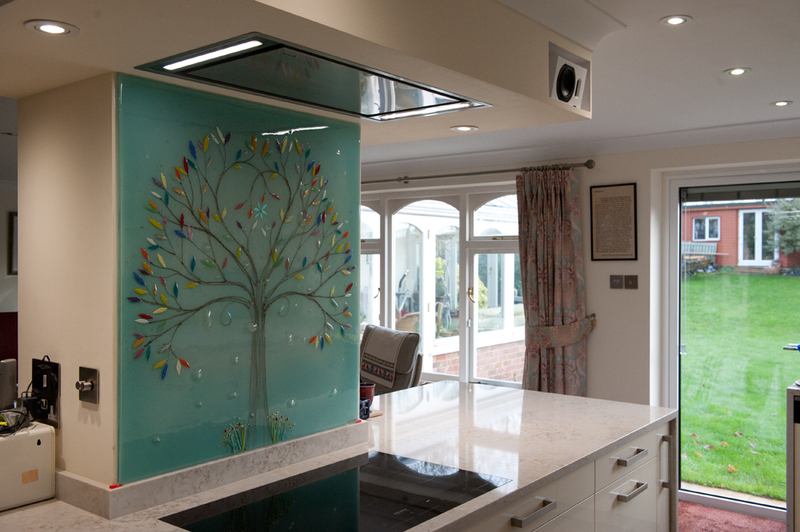 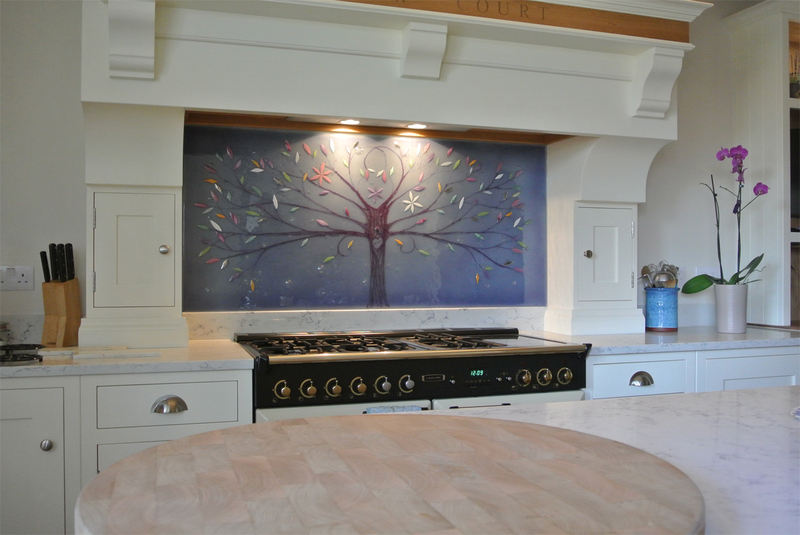 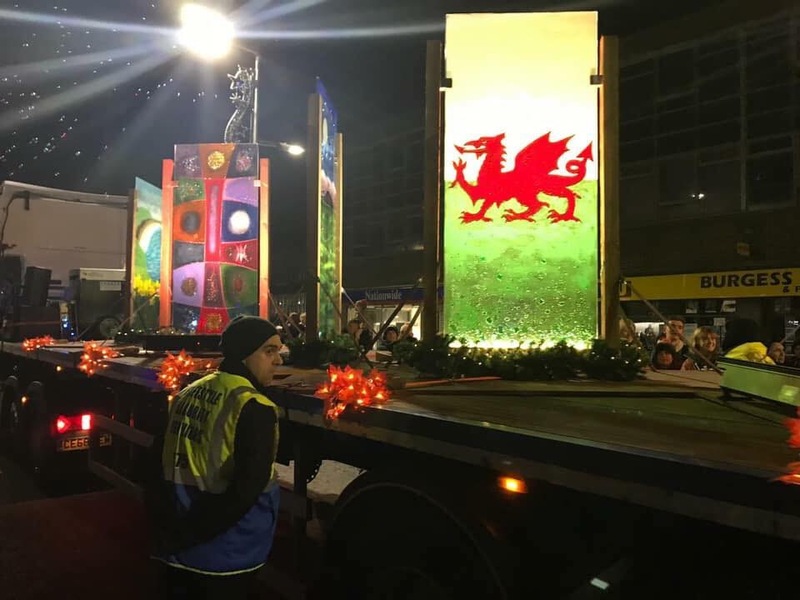 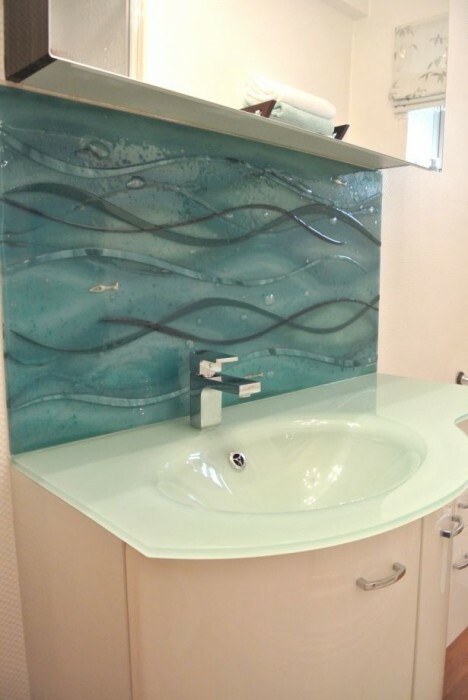 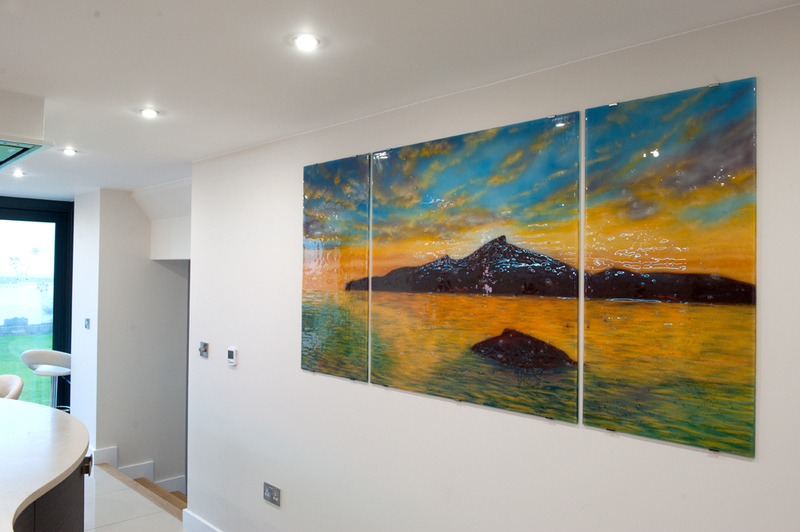 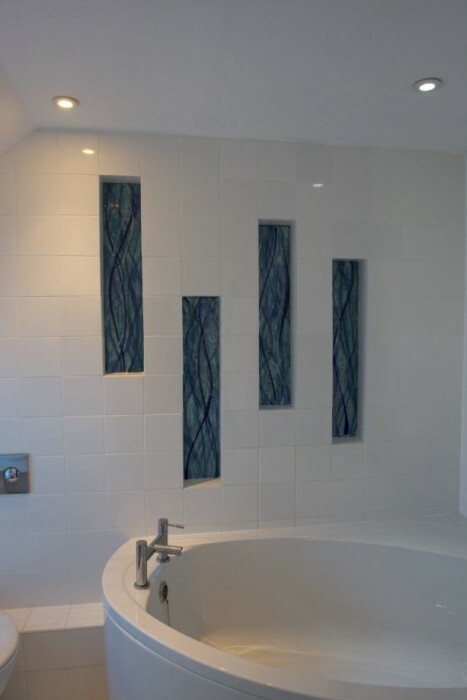 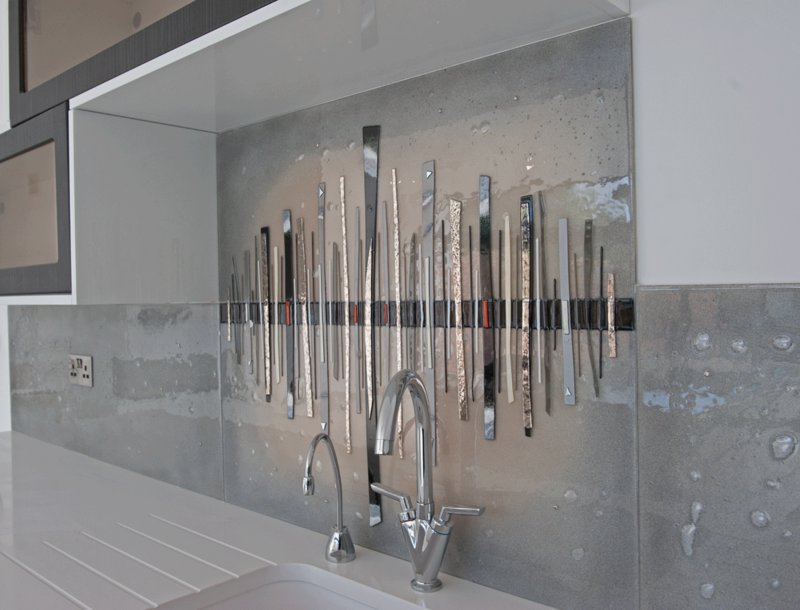 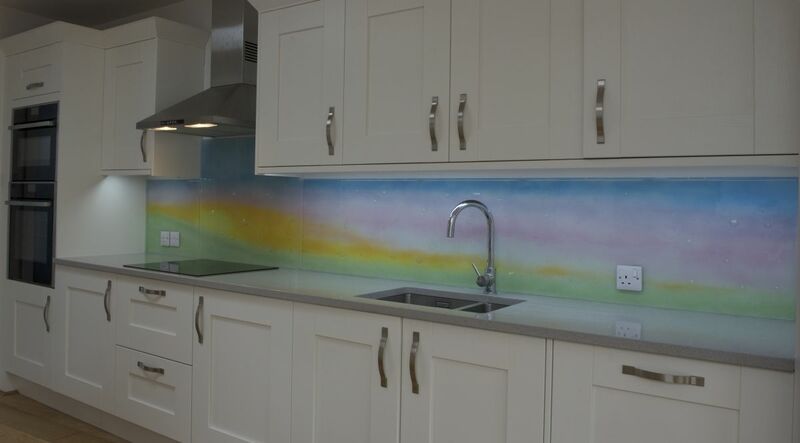 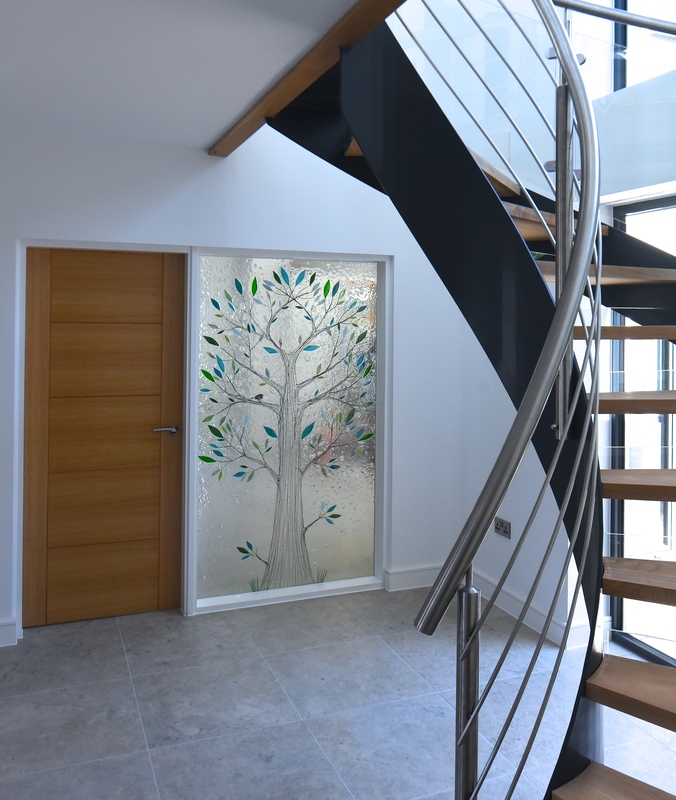 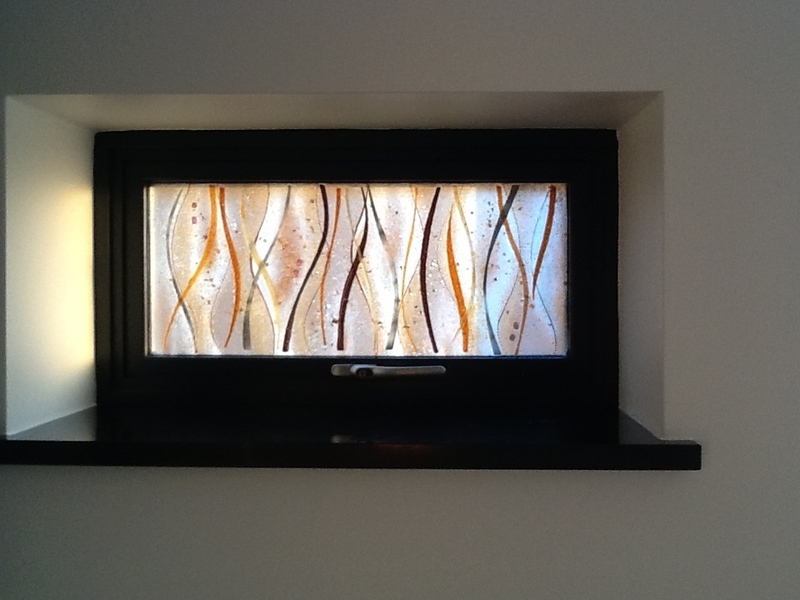 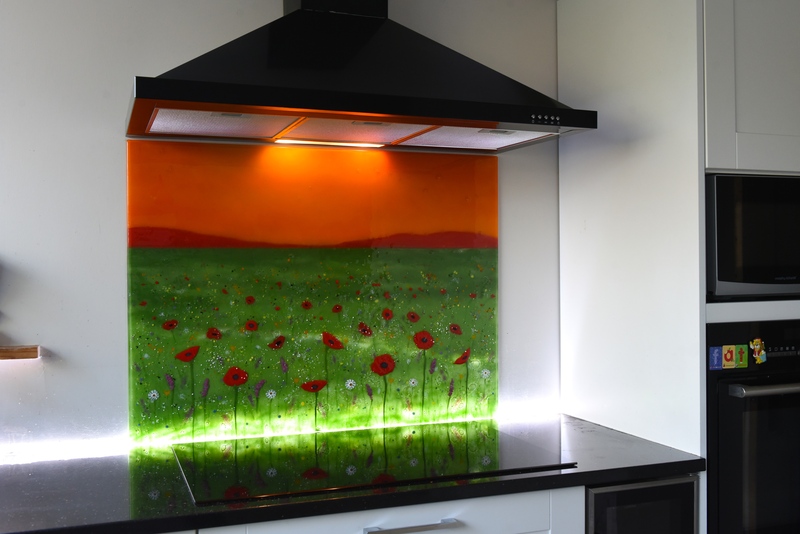 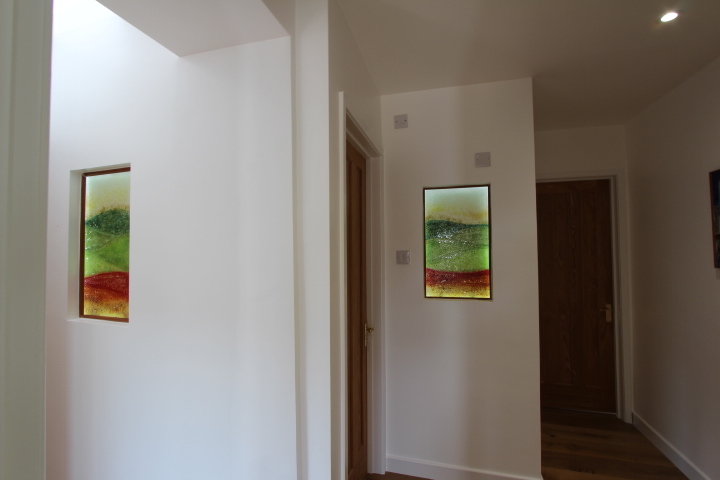 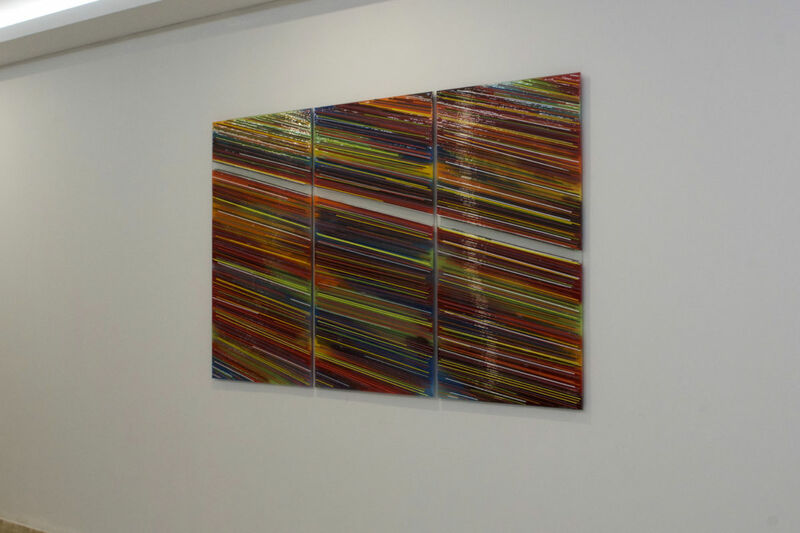 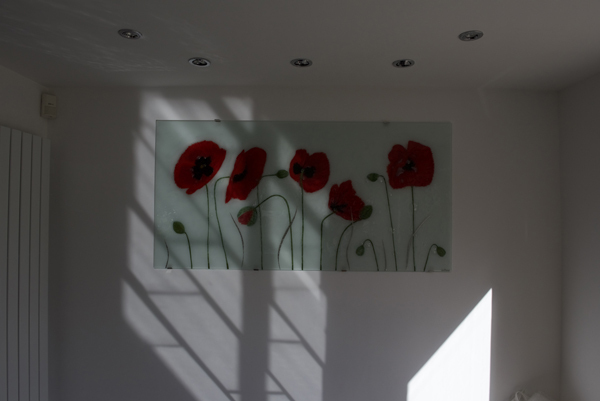 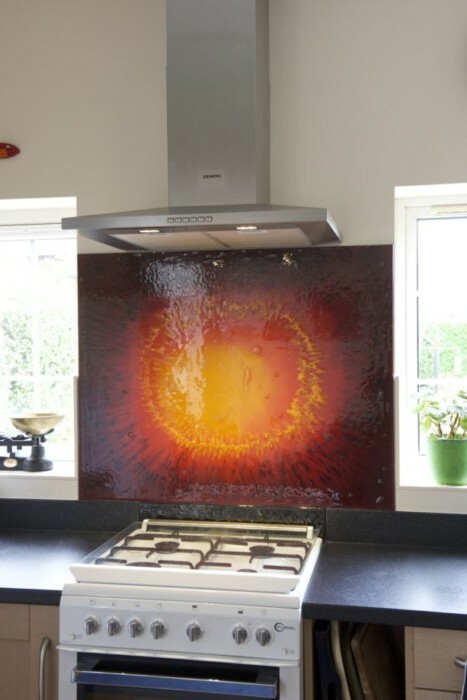 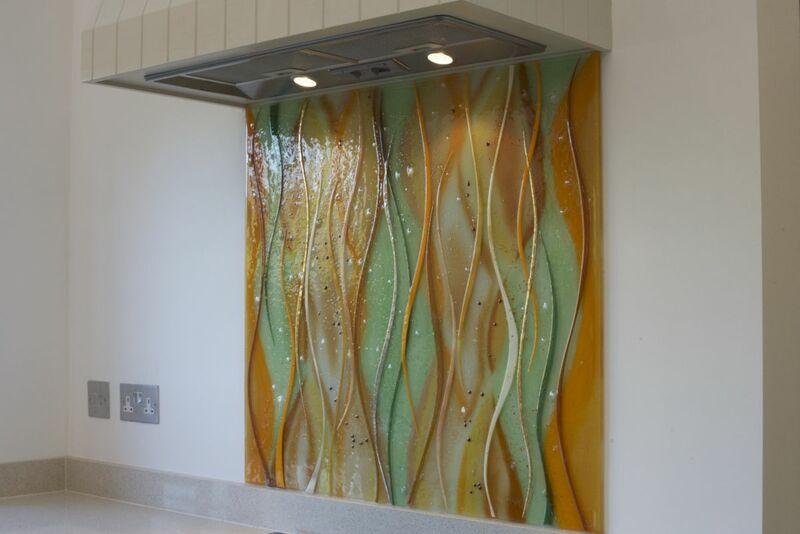 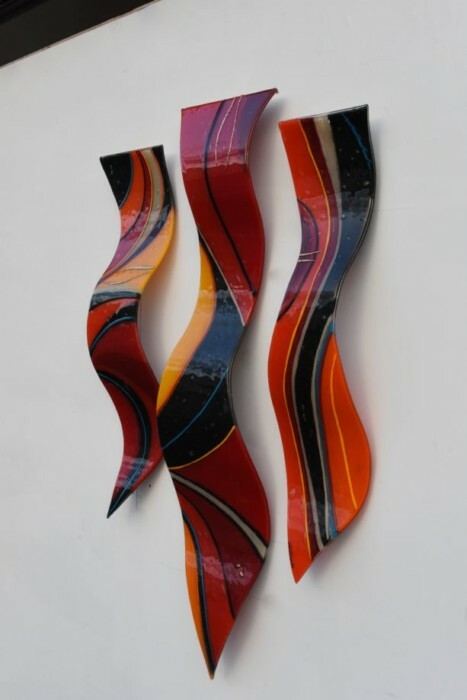 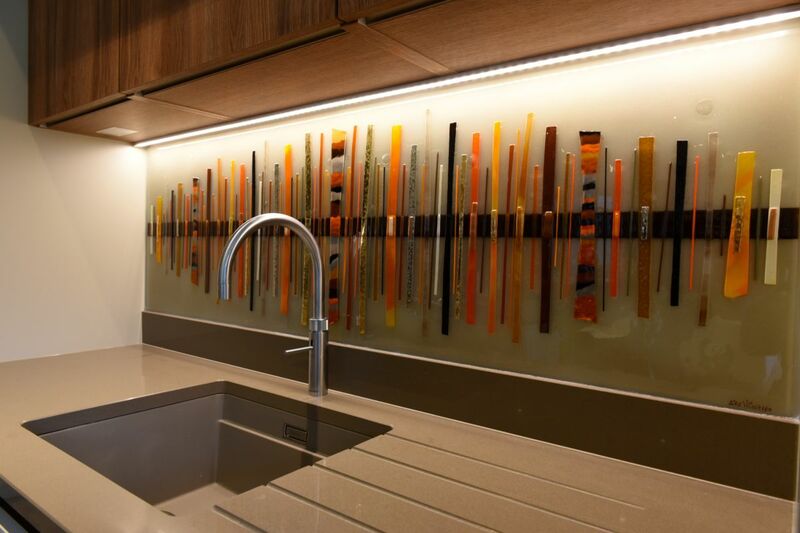 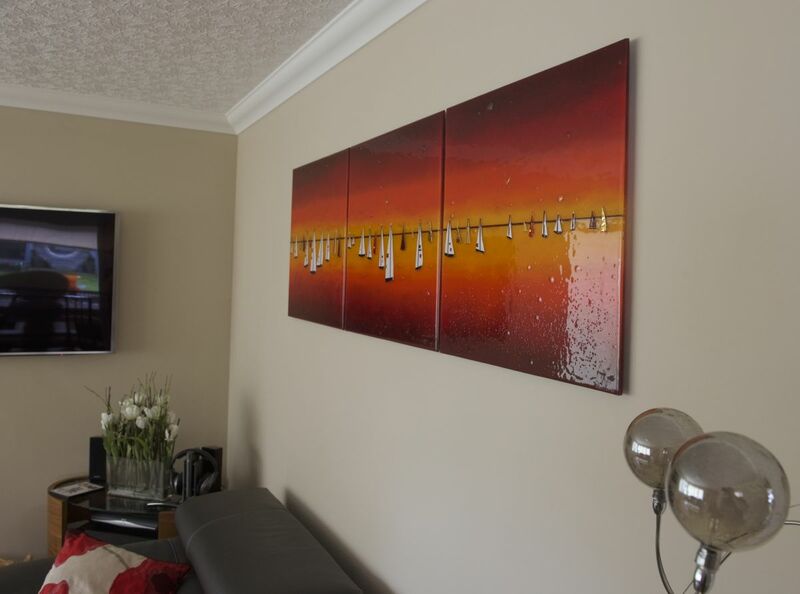 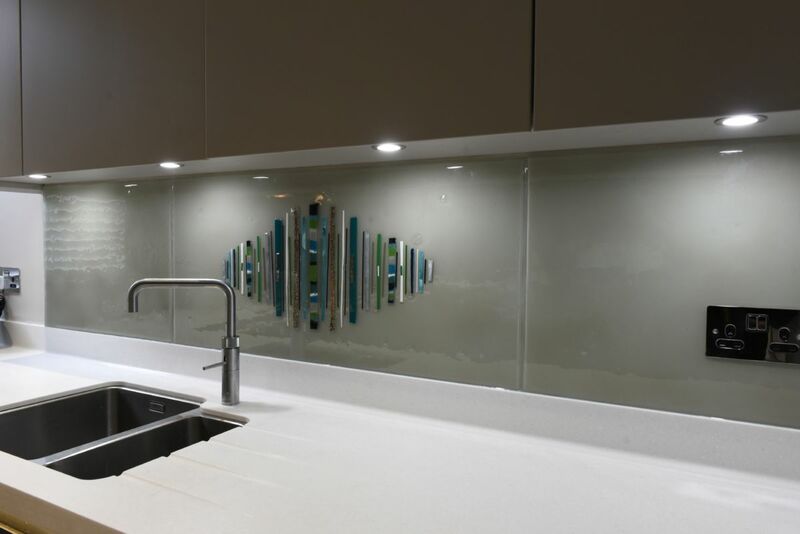 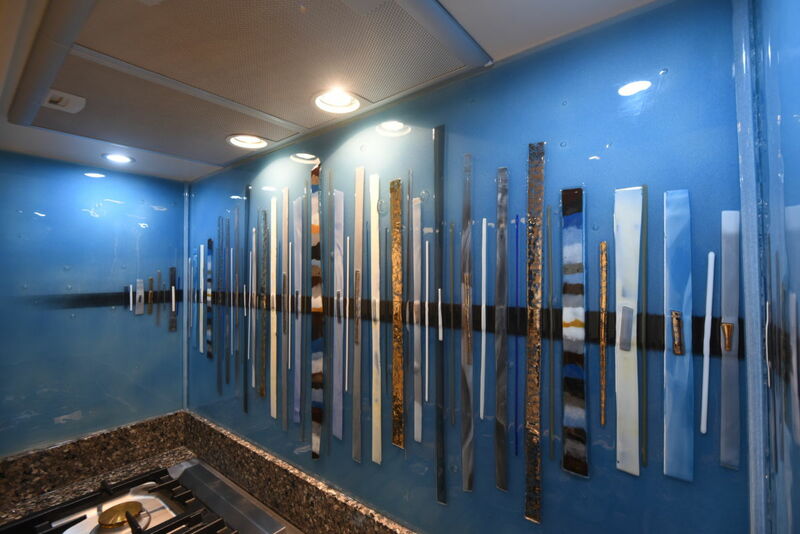 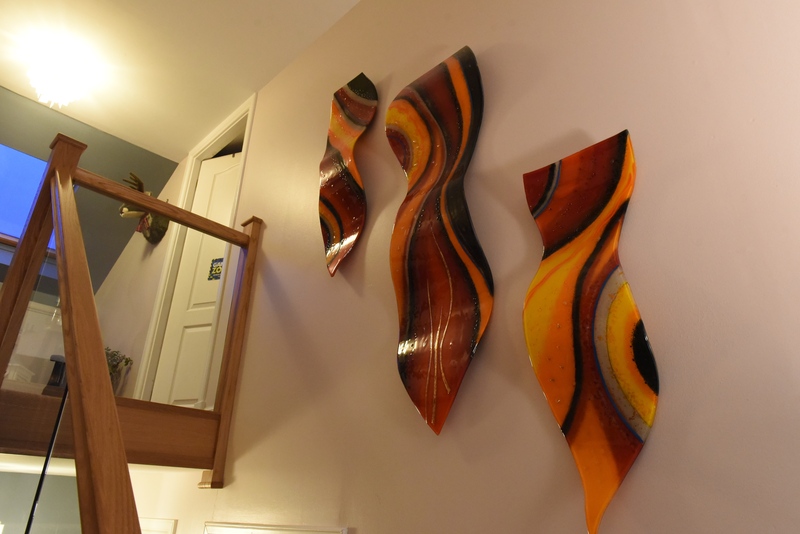 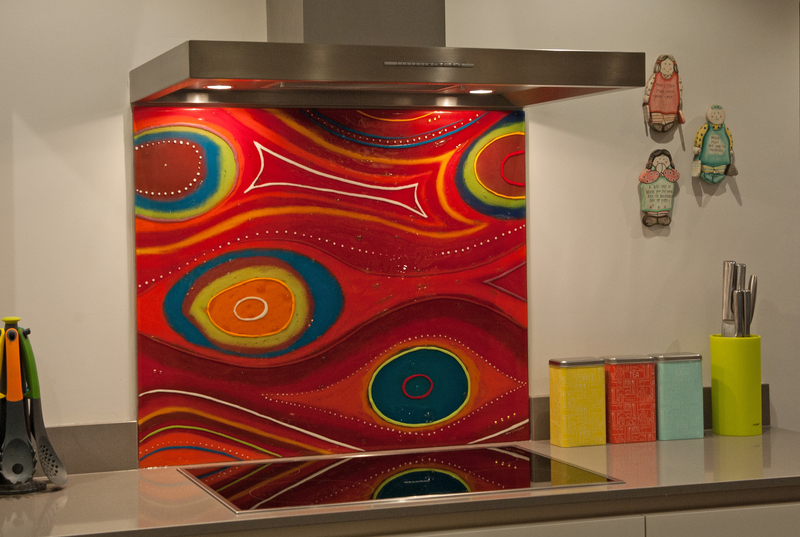 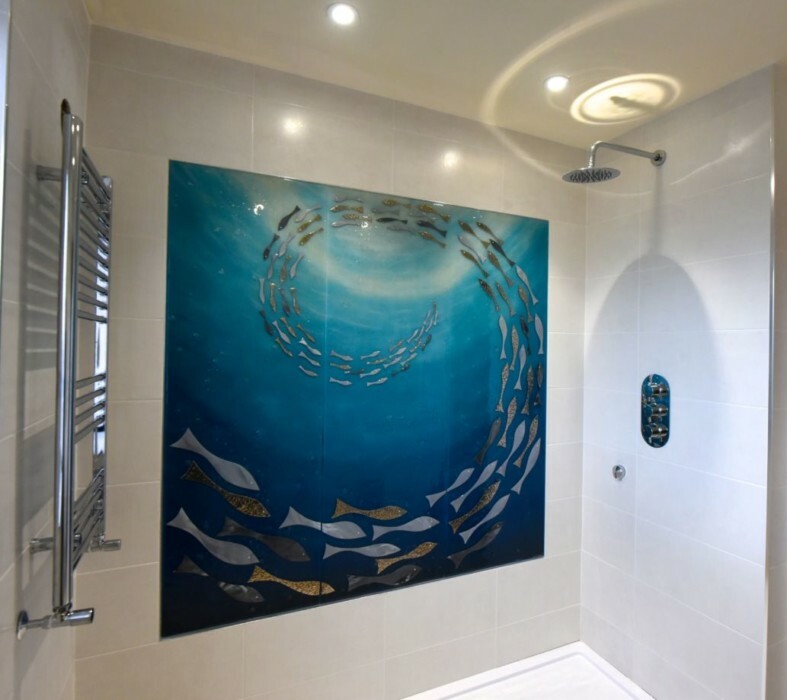 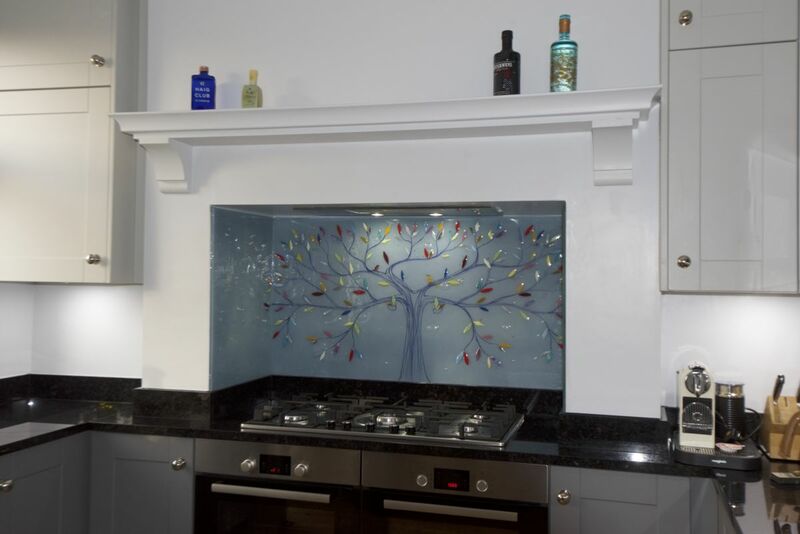 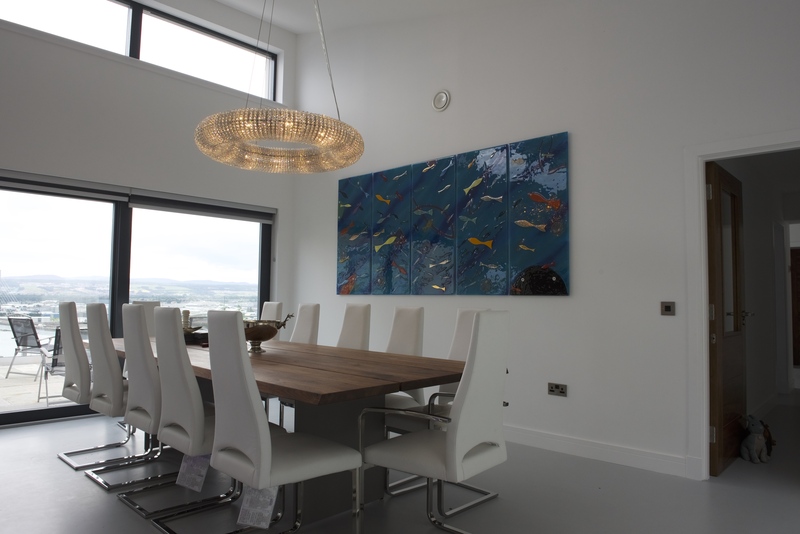 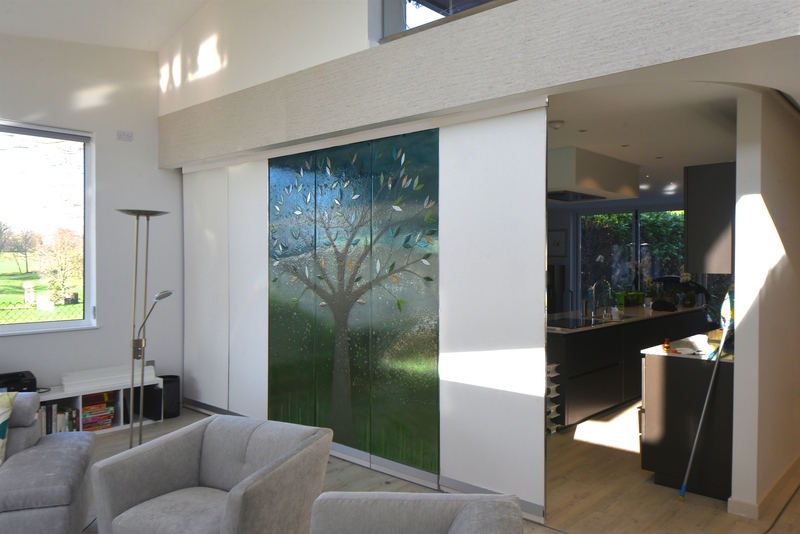 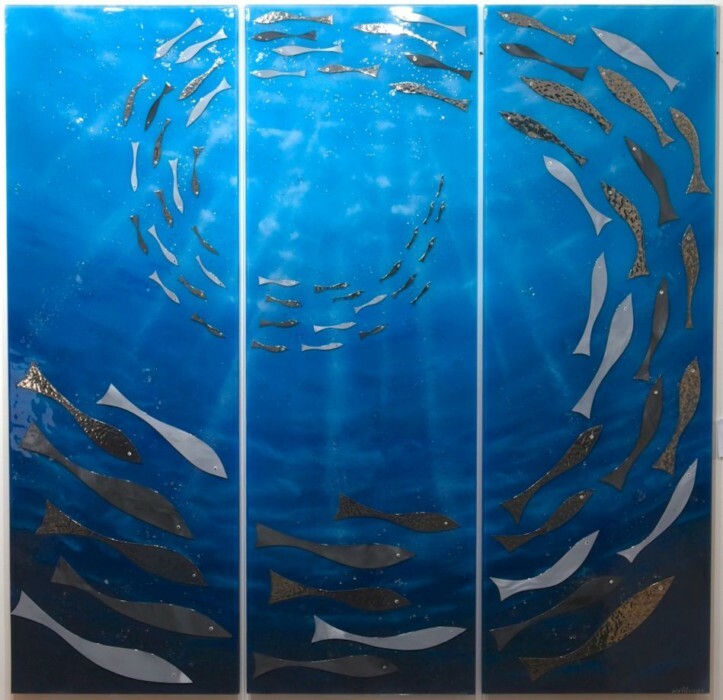 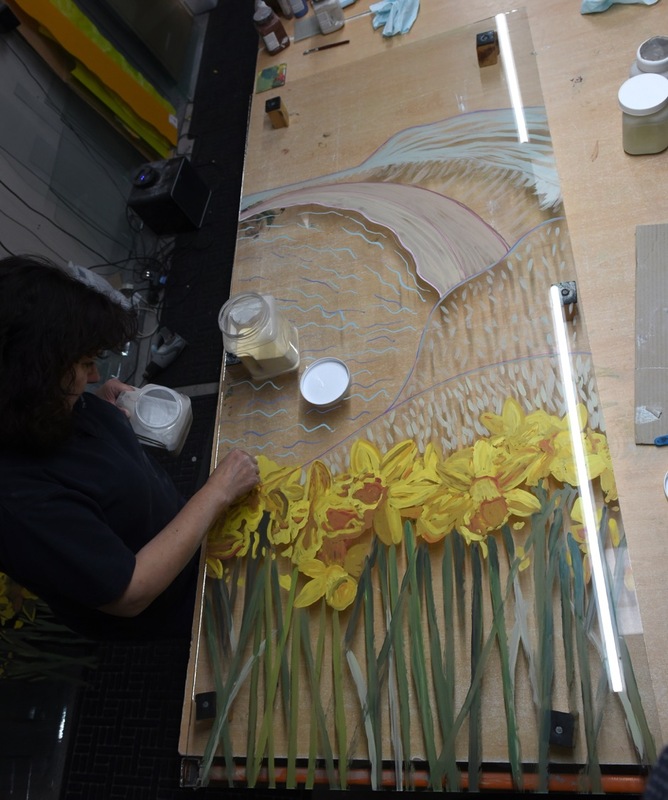 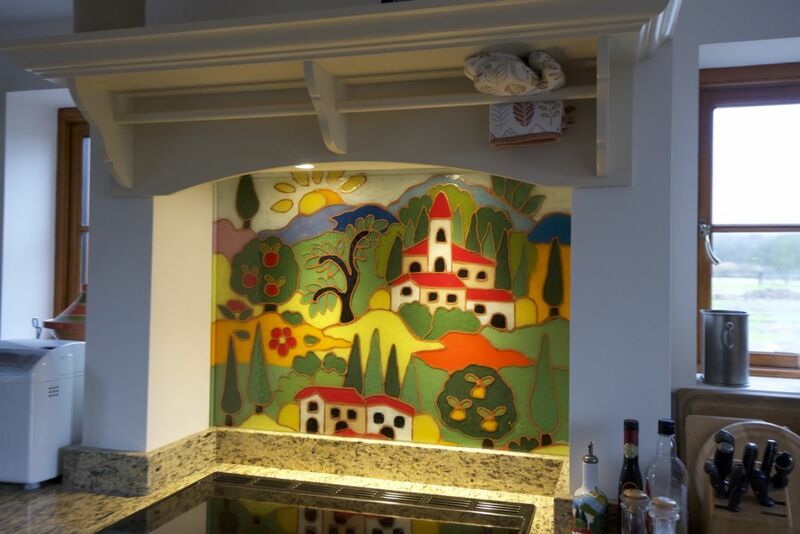 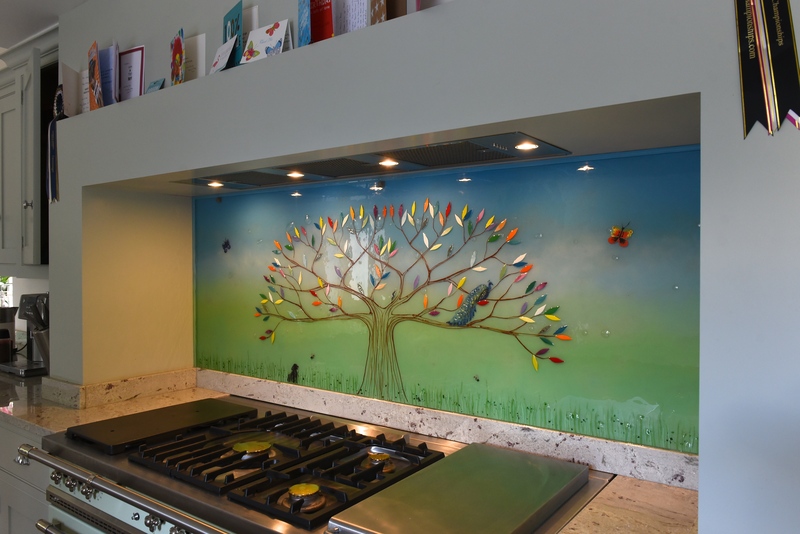 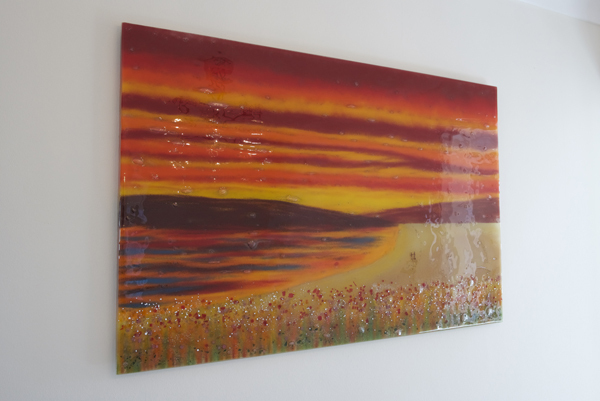 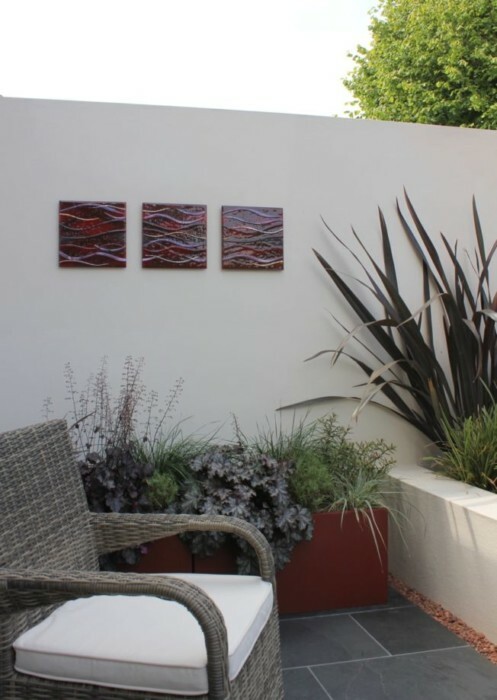 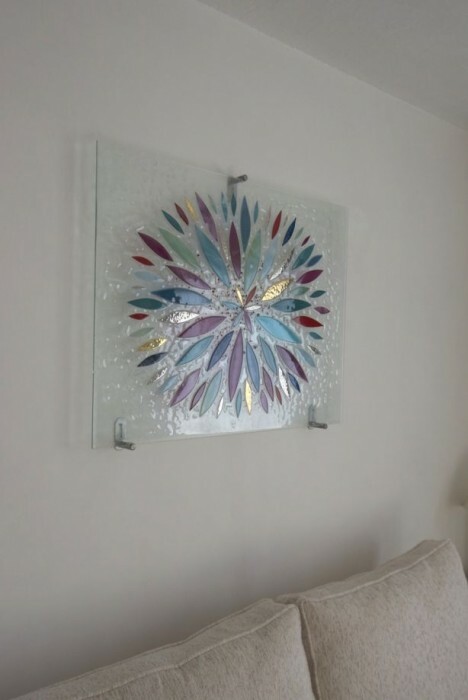 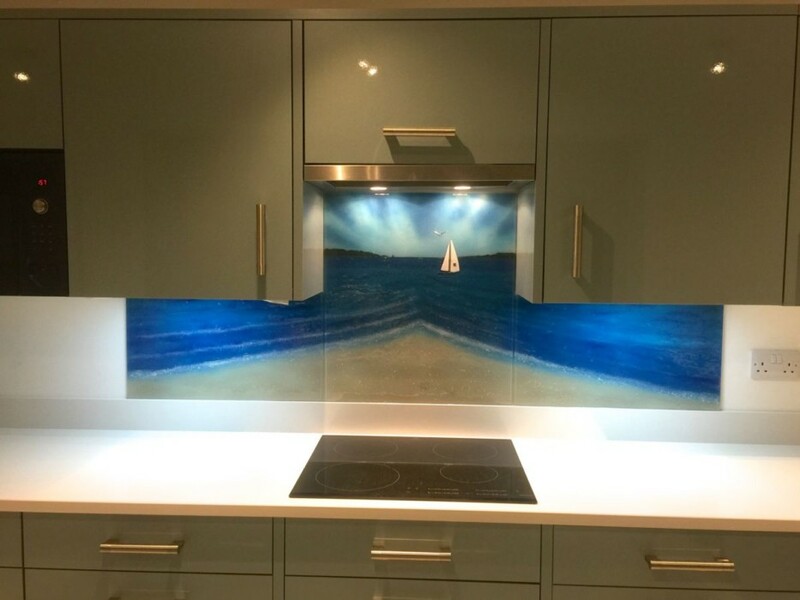 Fused glass art installations can be used to create whole walls of glass if necessary, with seamless cuts able to make the size of the glass effectively limitless. 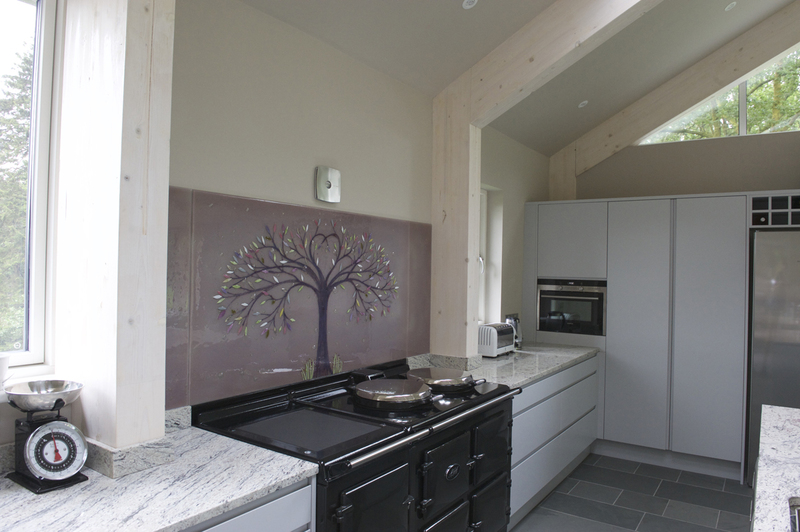 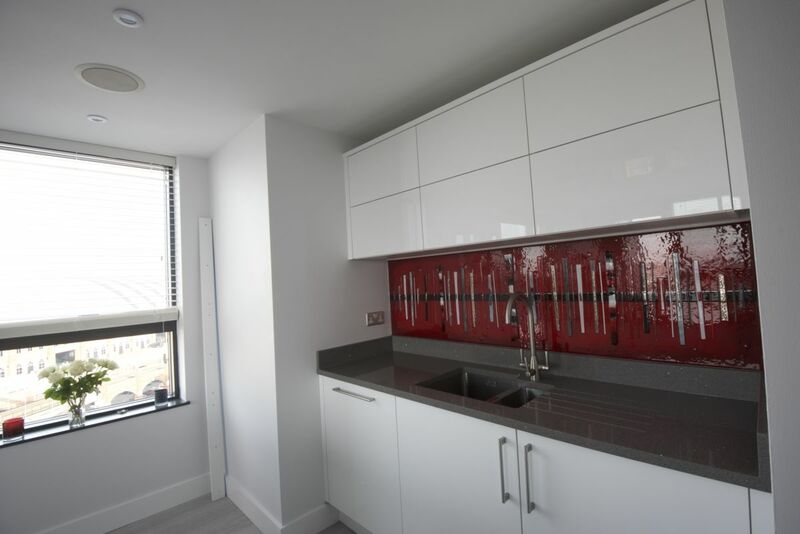 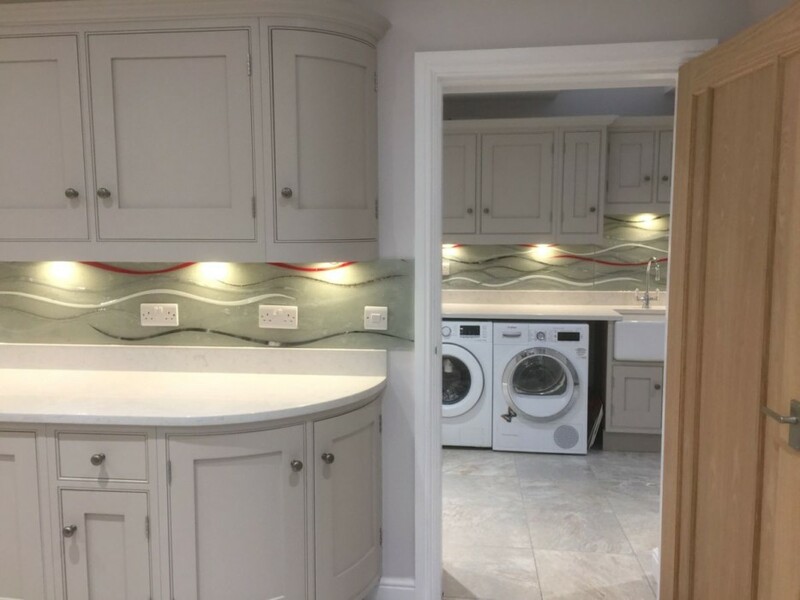 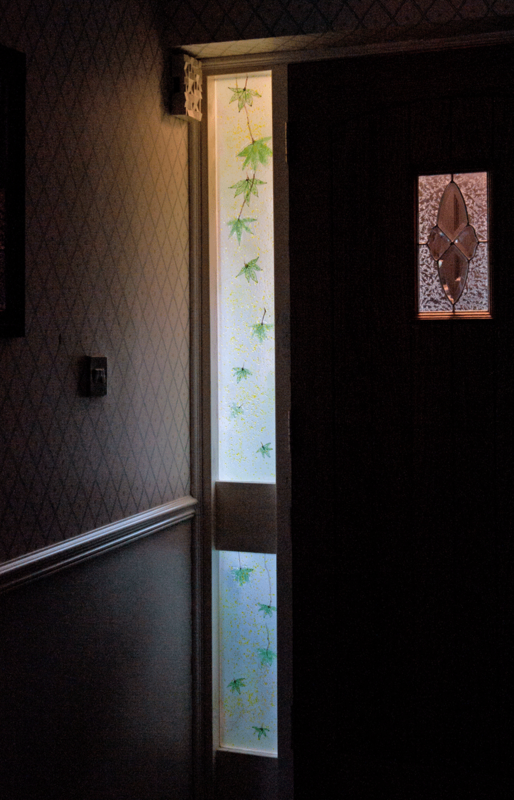 One effect we particularly love is when a design continues across all the panels of an installation, creating a flow that you can follow all the way through. 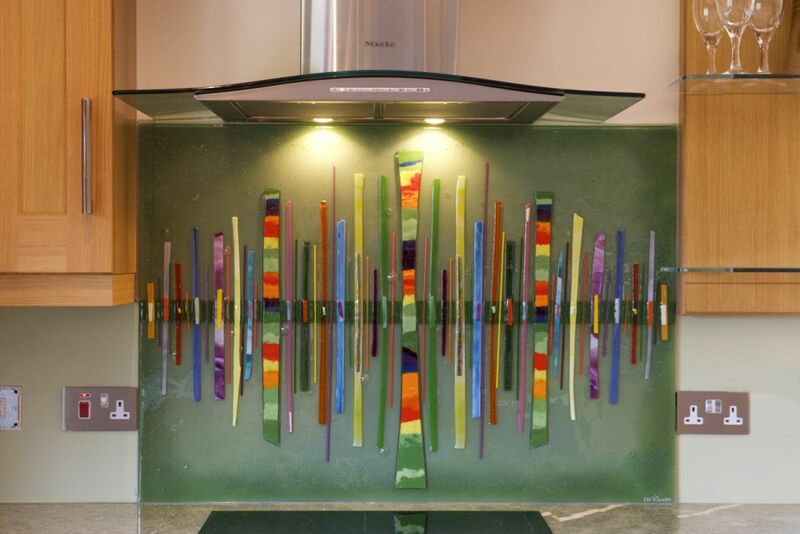 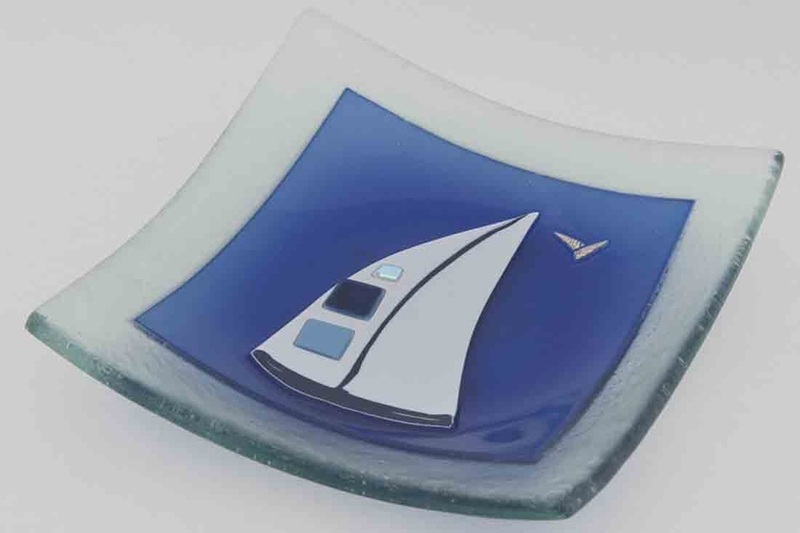 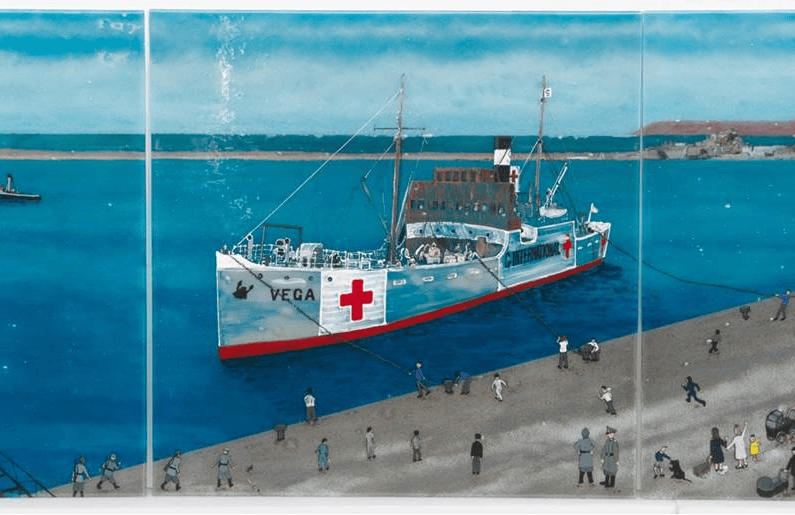 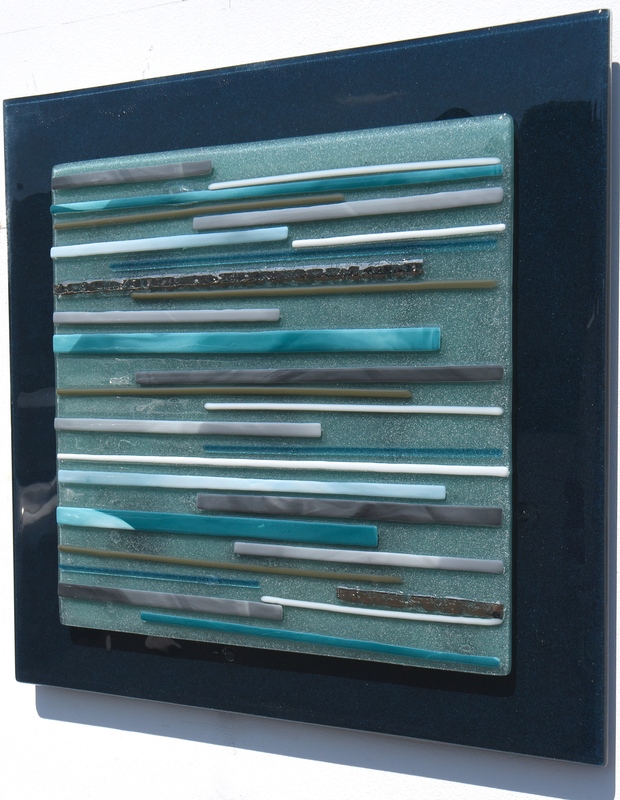 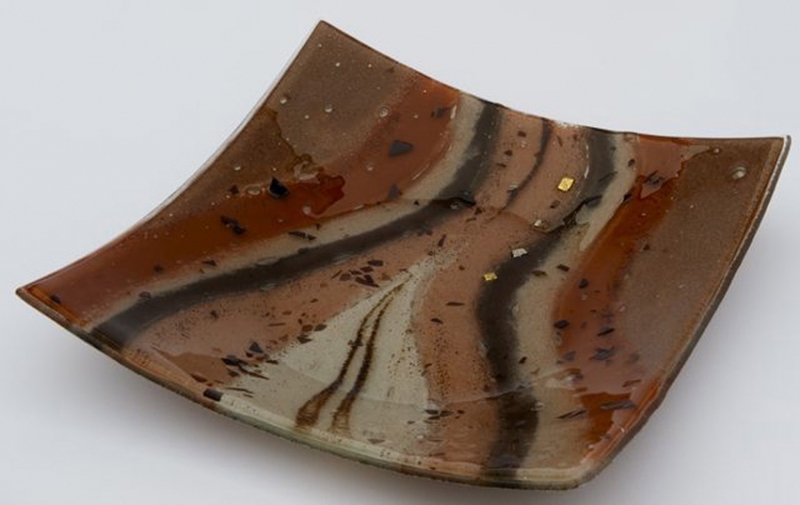 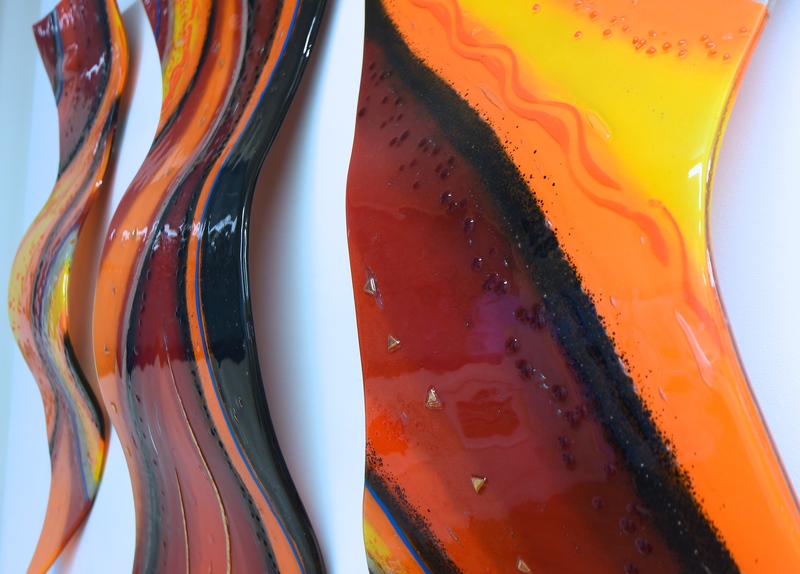 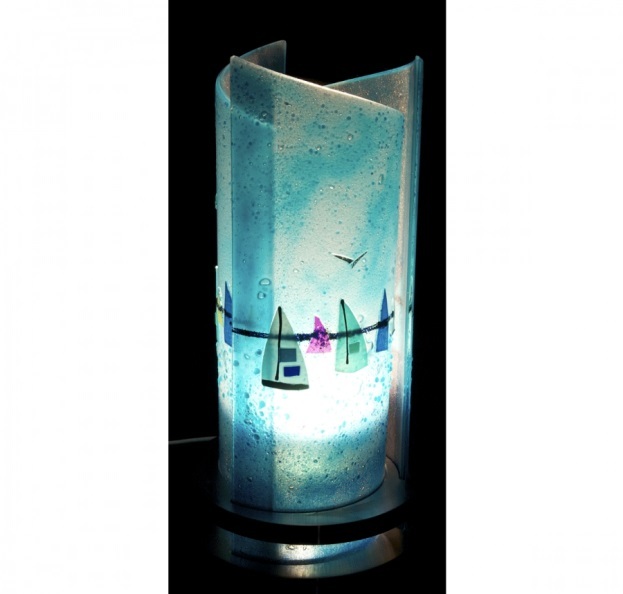 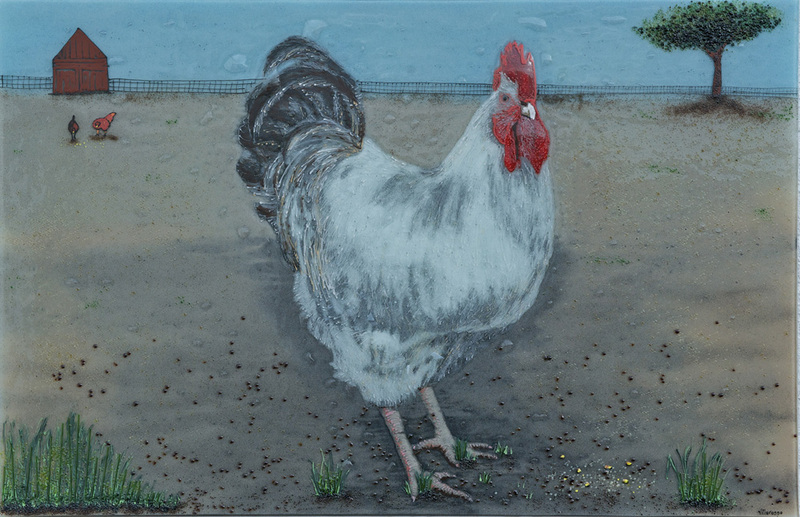 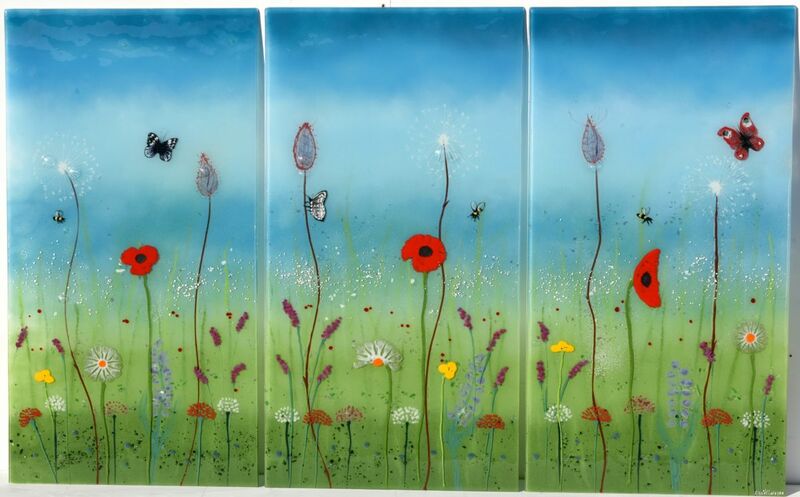 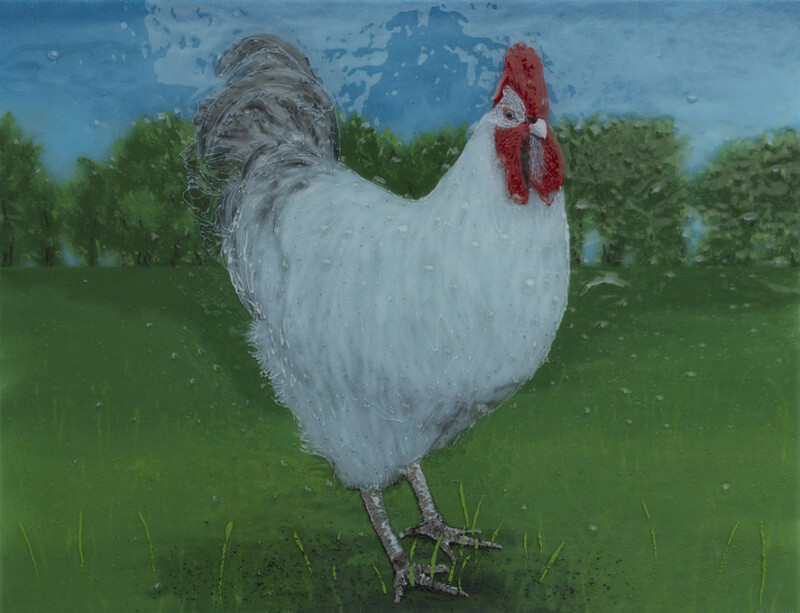 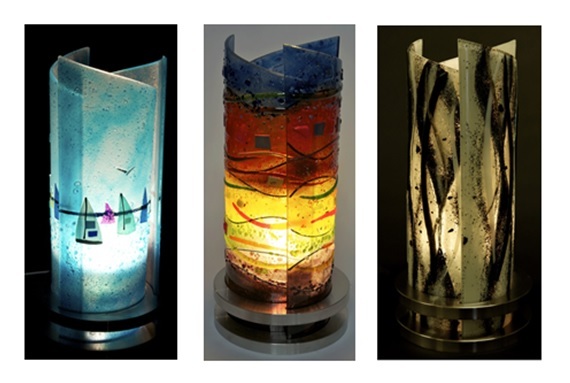 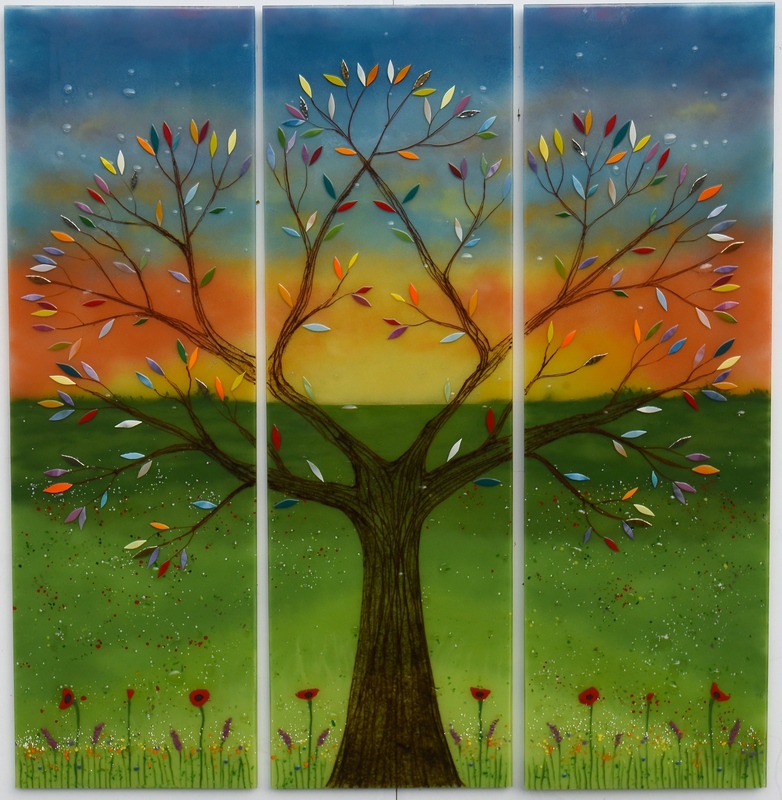 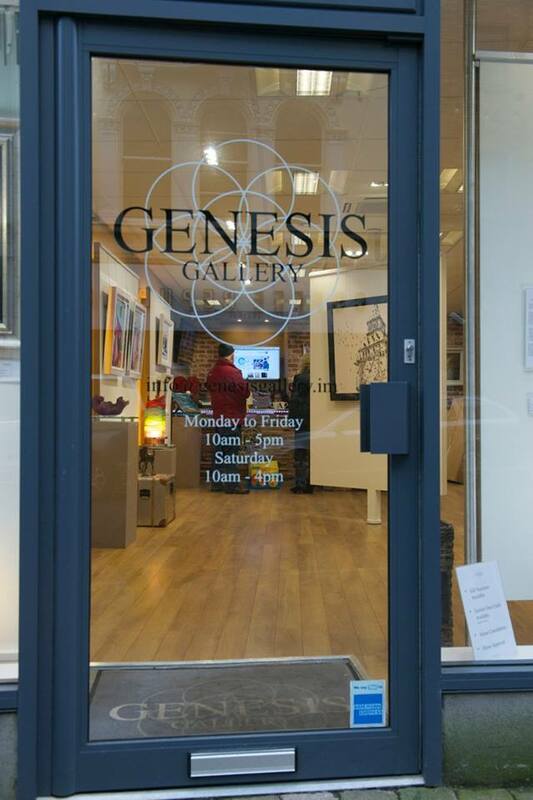 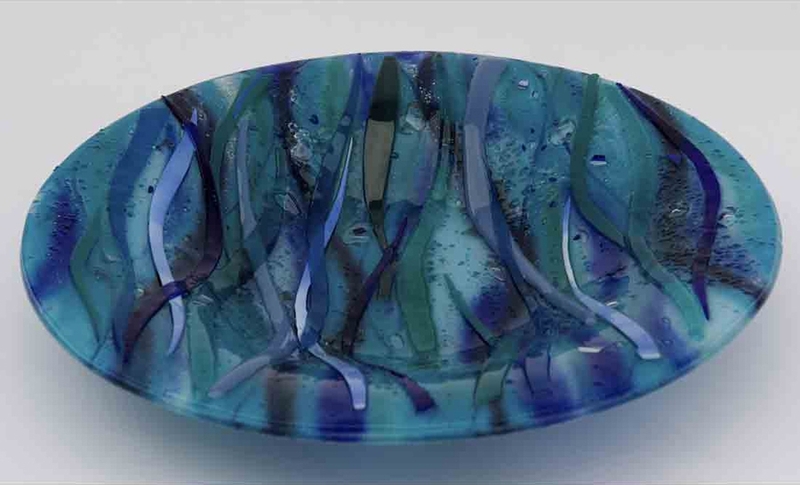 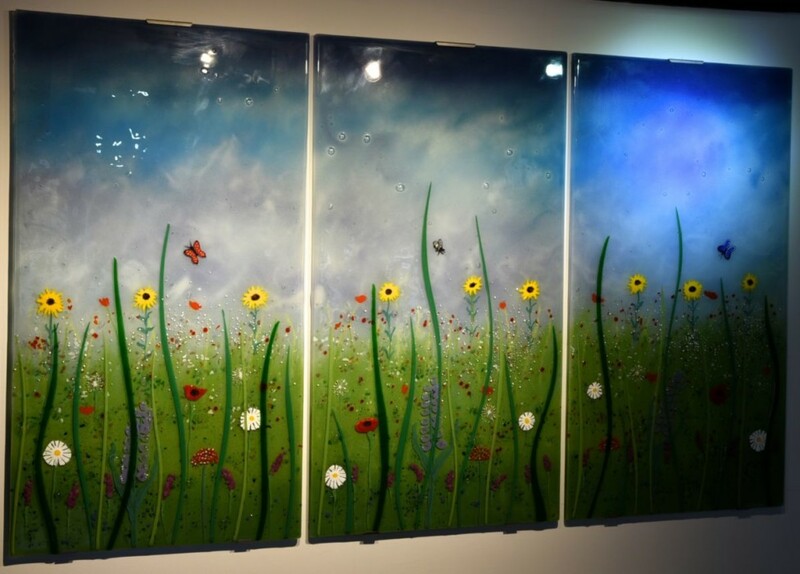 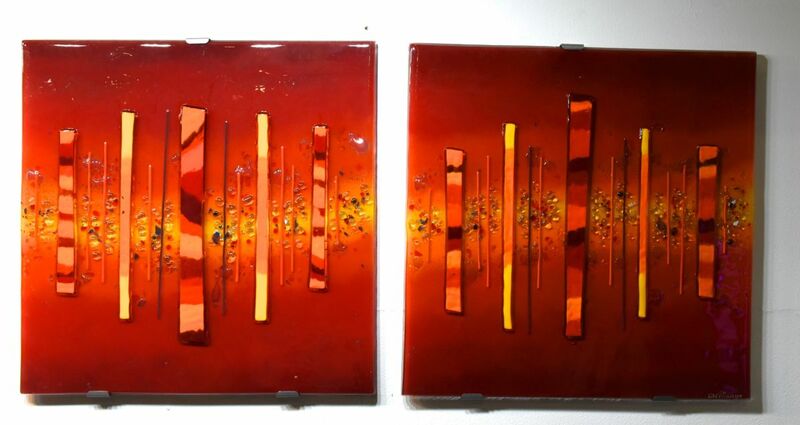 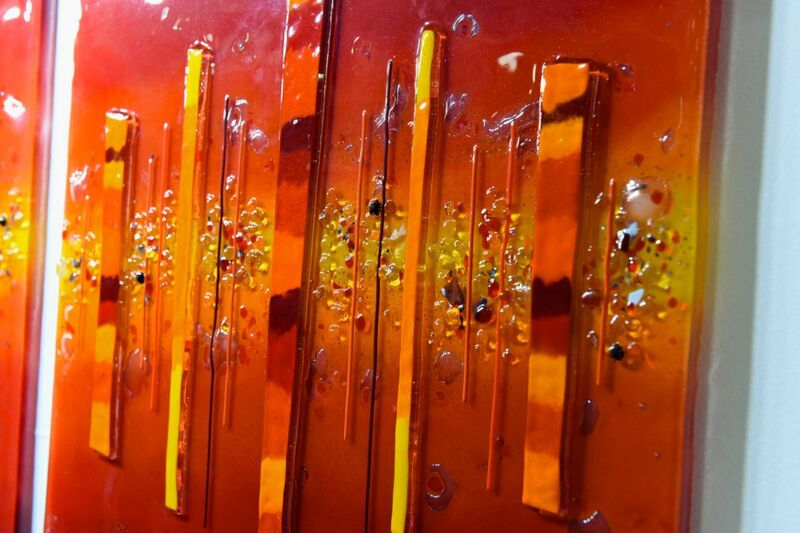 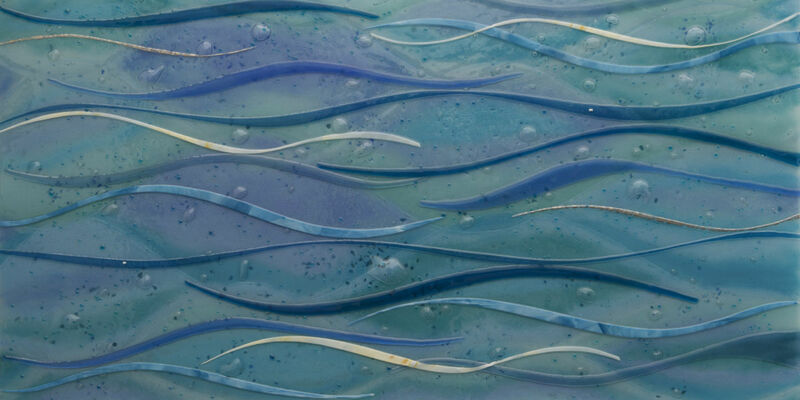 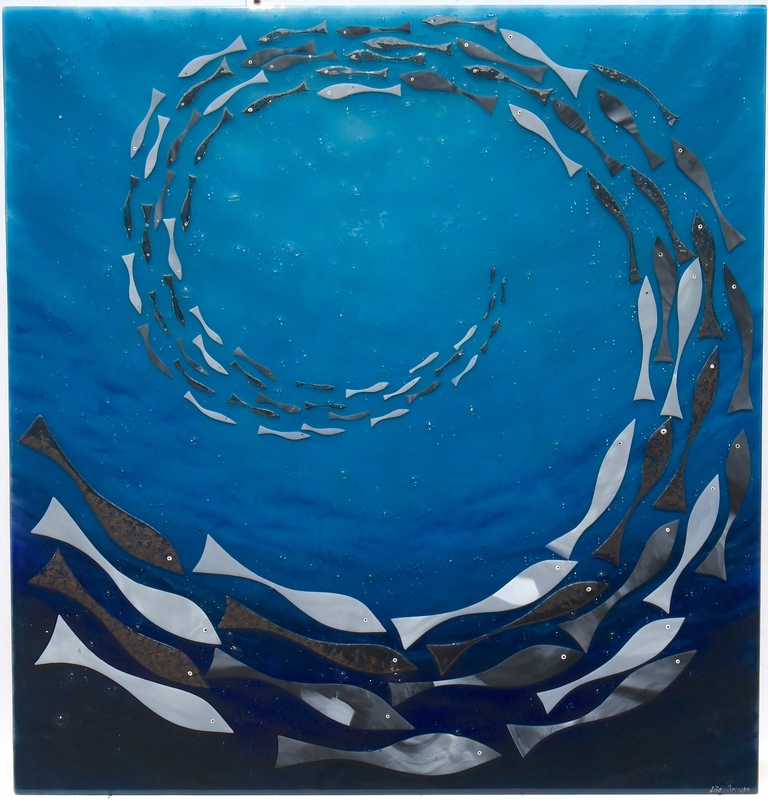 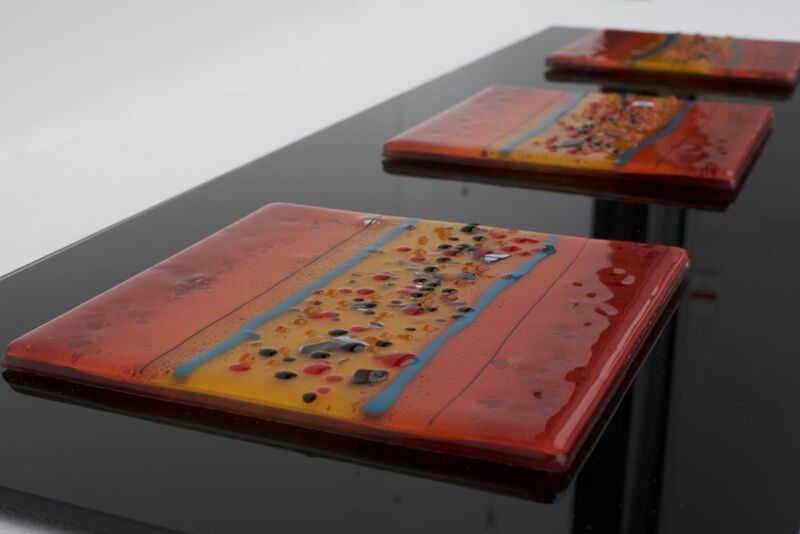 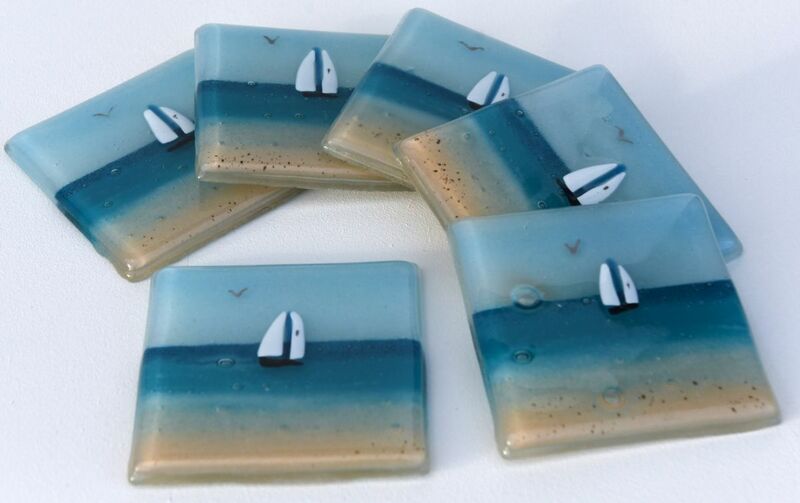 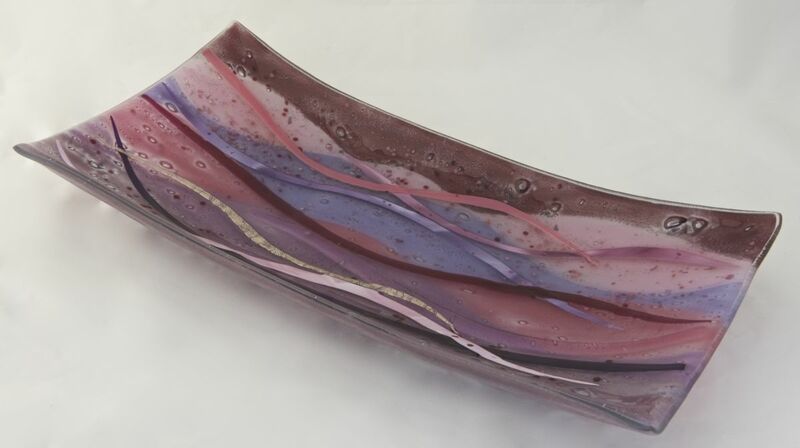 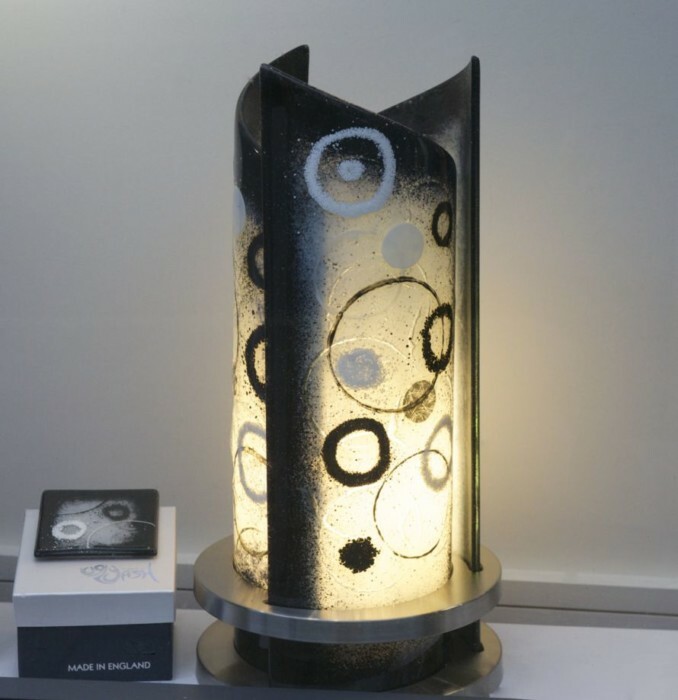 Why not take your first step into the world of fused glass art installations today? 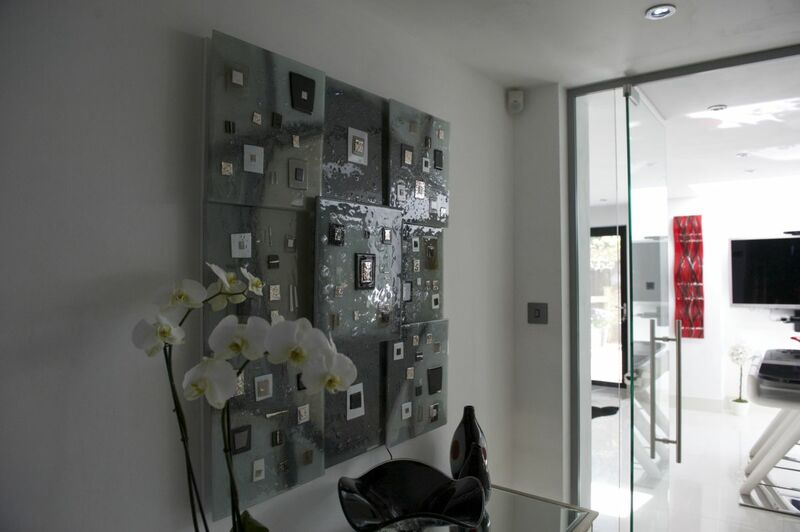 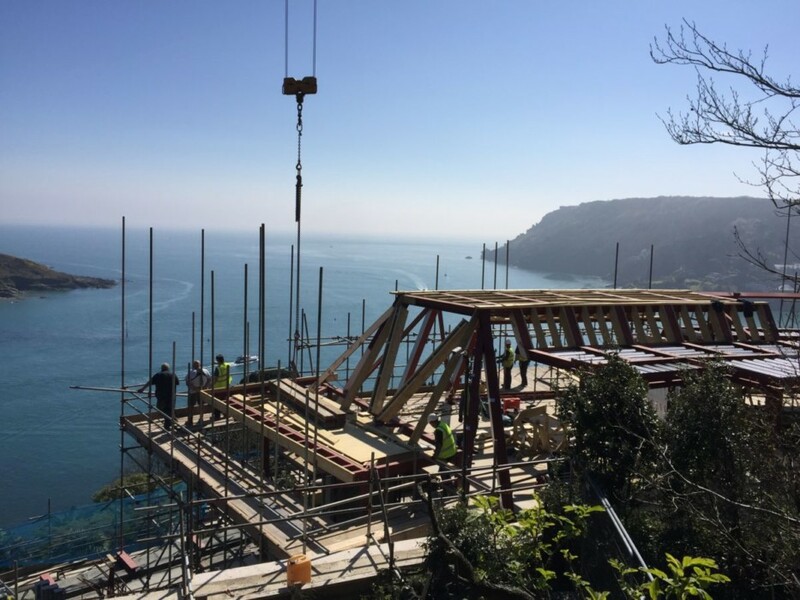 Even if you’re interested in just the one piece, make sure you don’t wait to pick up the phone and get in touch! 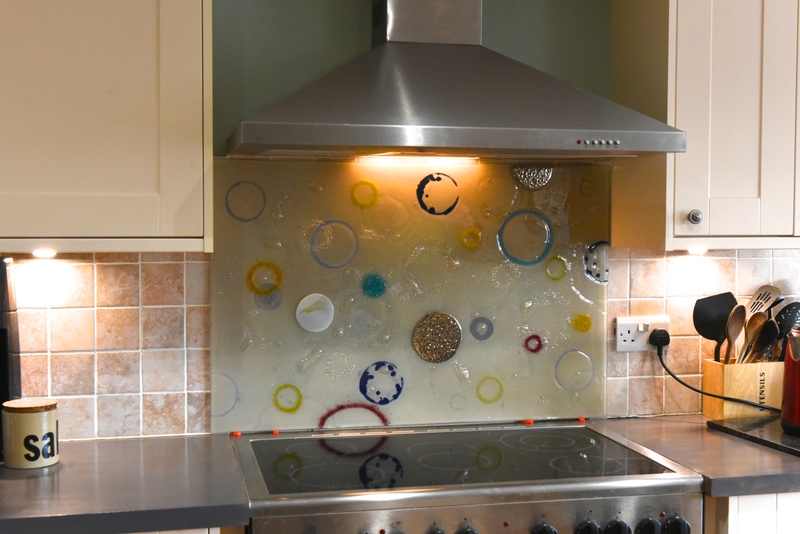 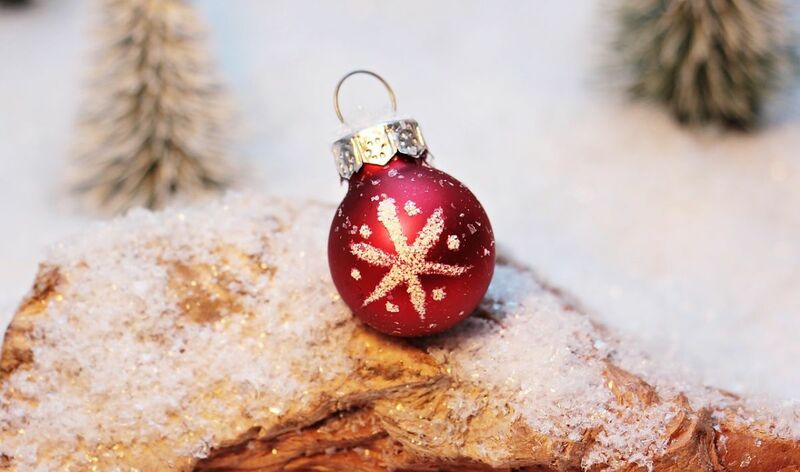 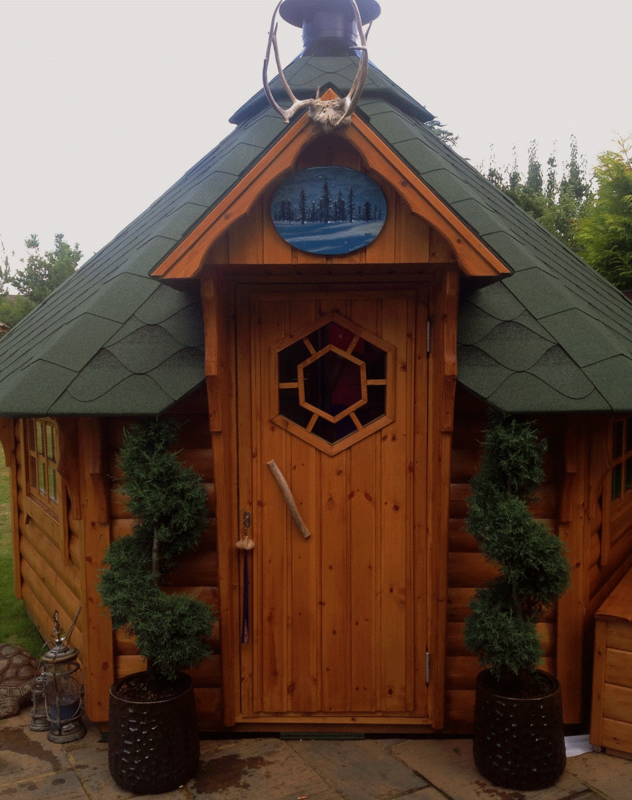 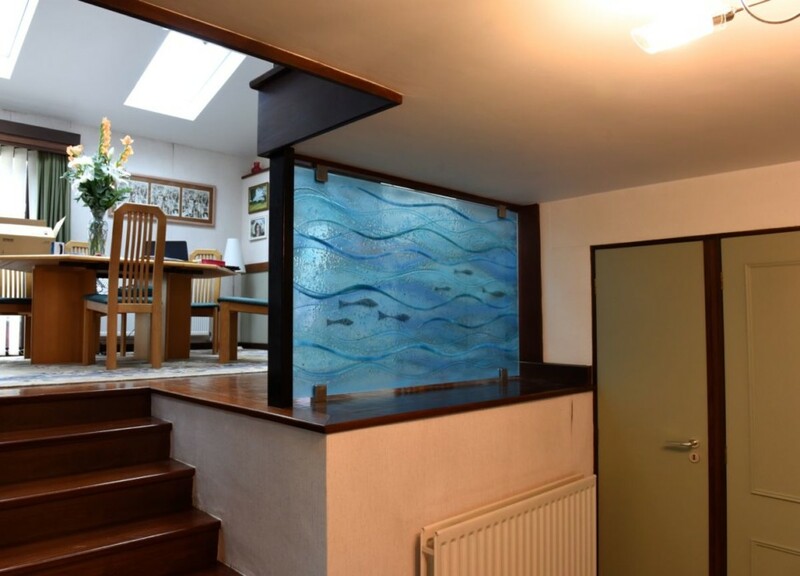 We here at The House of Ugly Fish would love nothing more than to create something special for you, so we’re eager to hear all about your ideas for the perfect piece of glass. 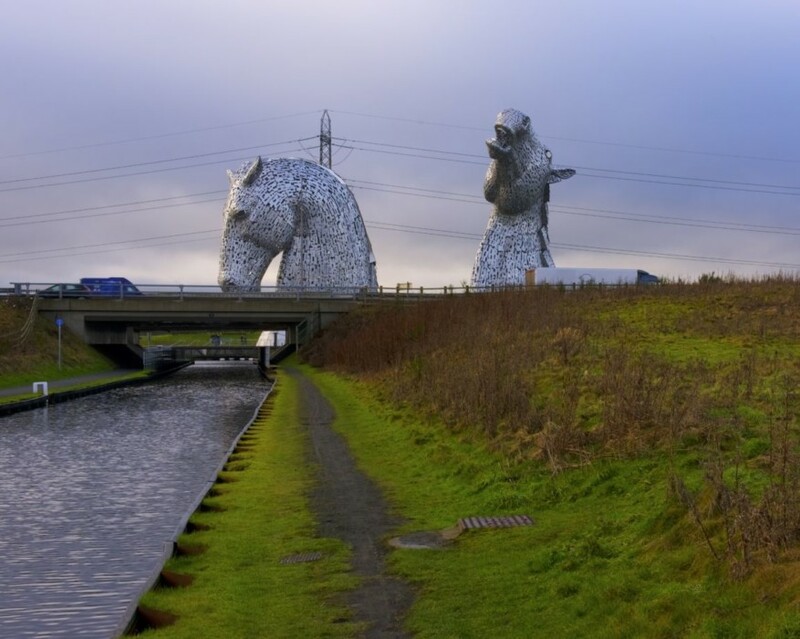 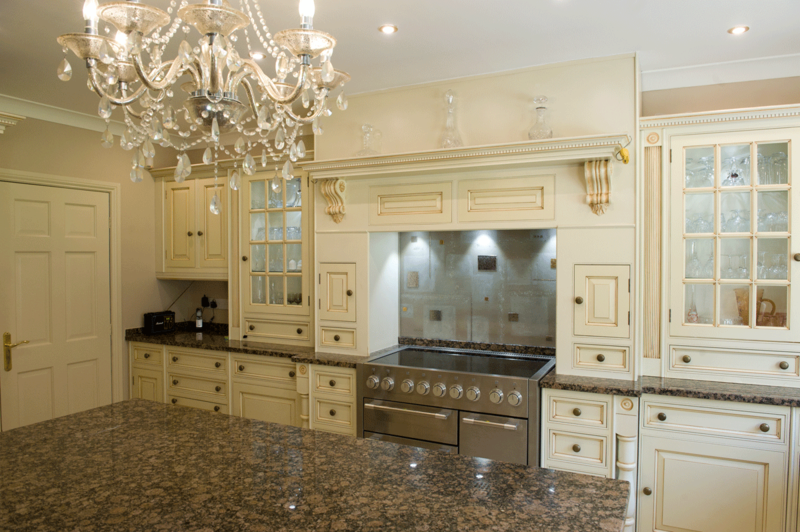 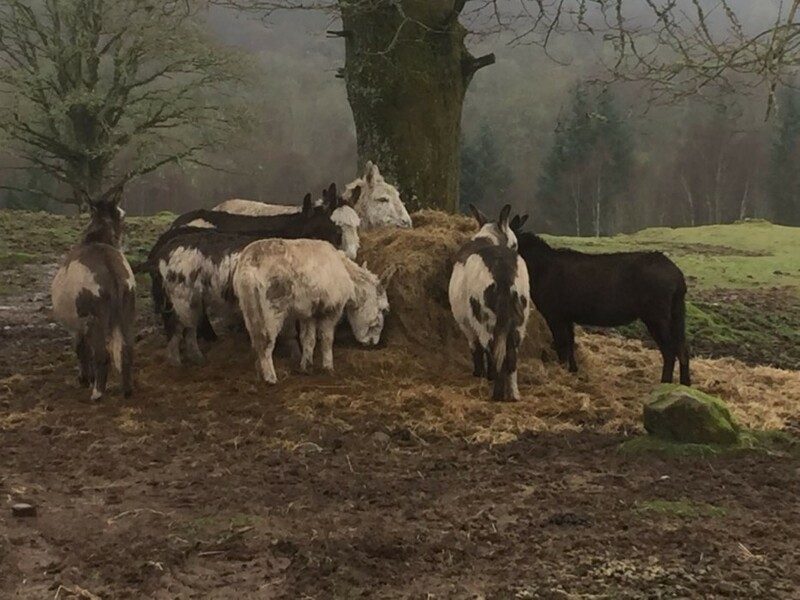 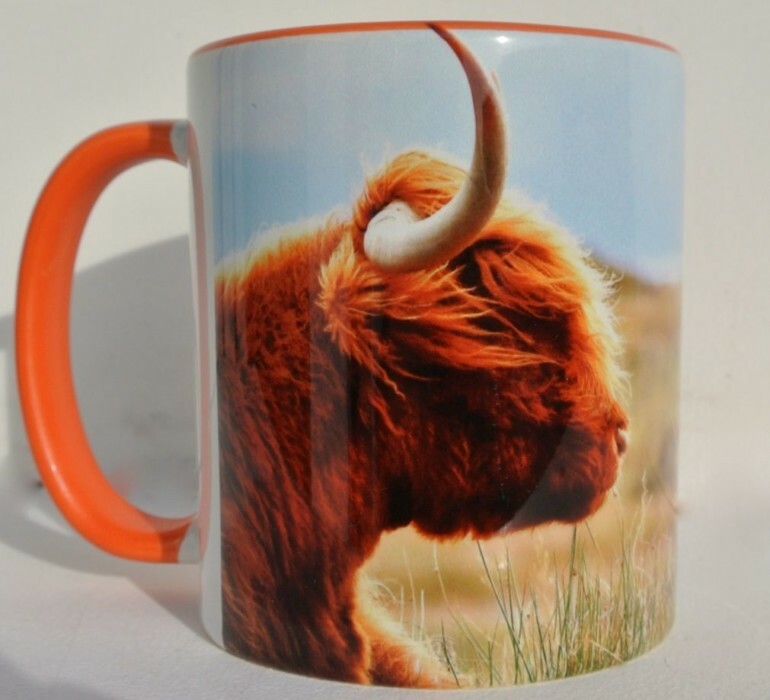 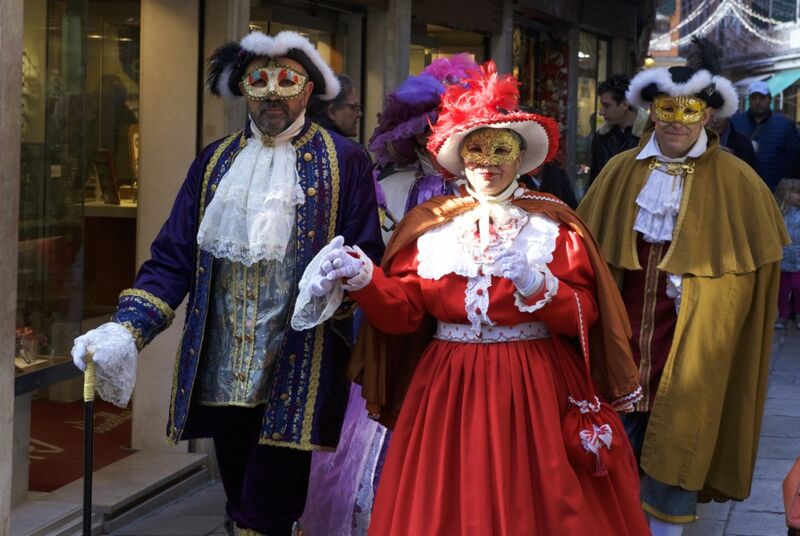 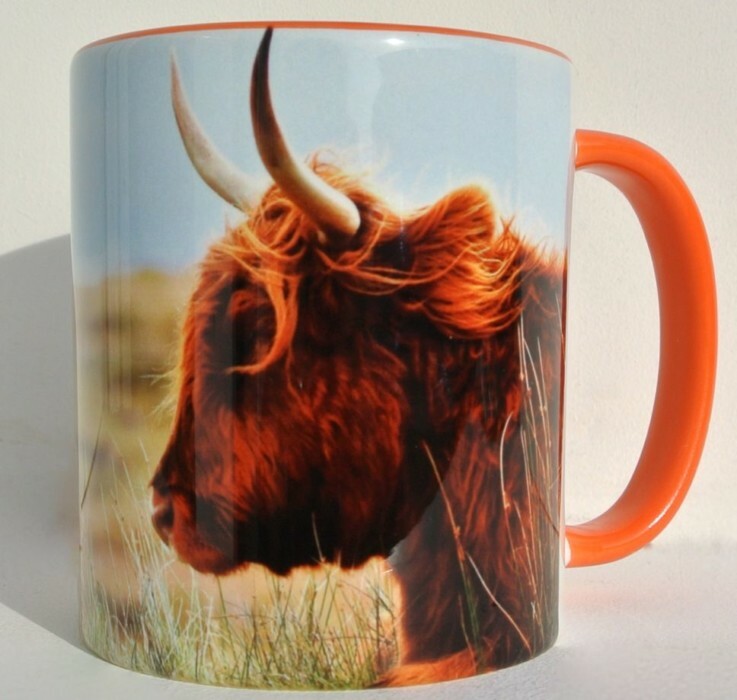 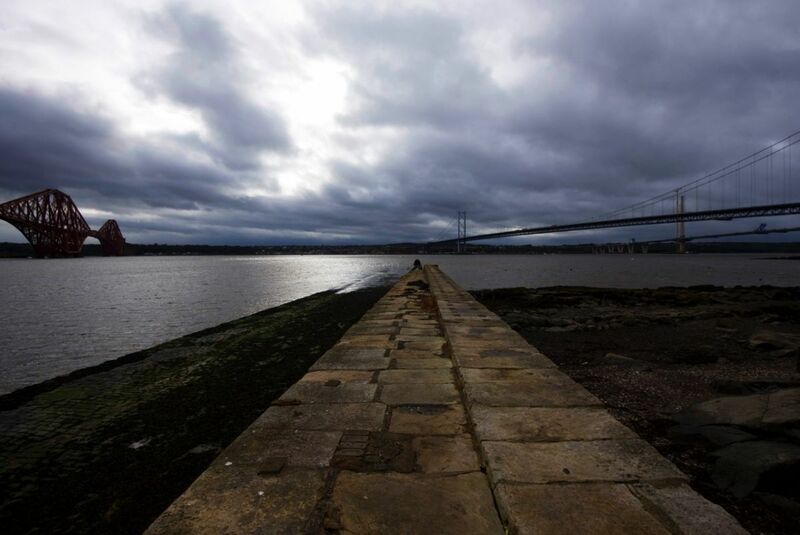 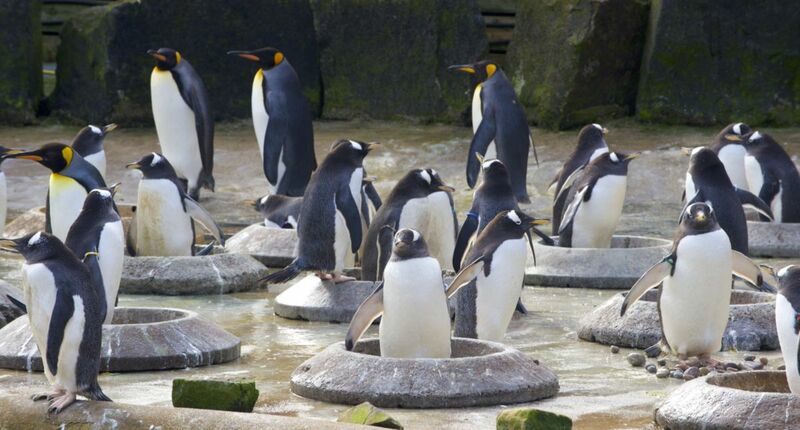 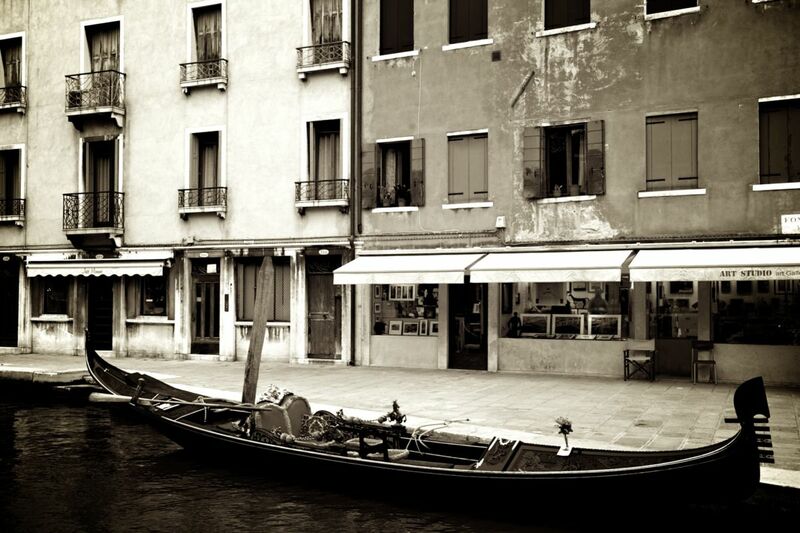 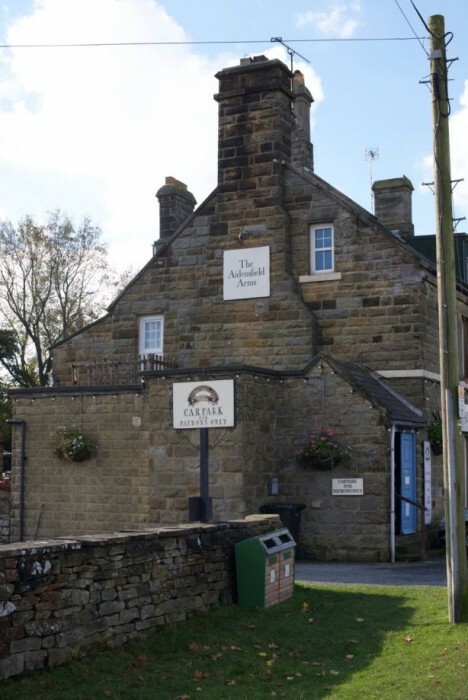 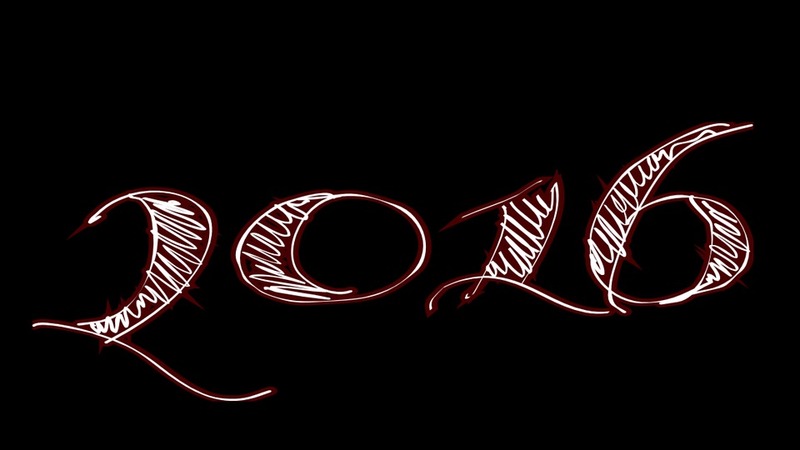 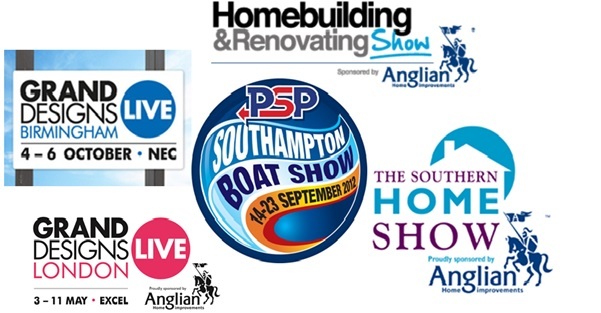 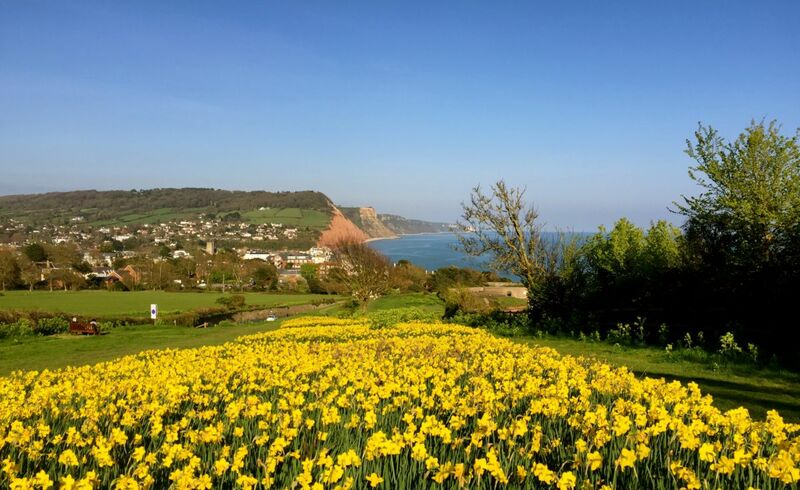 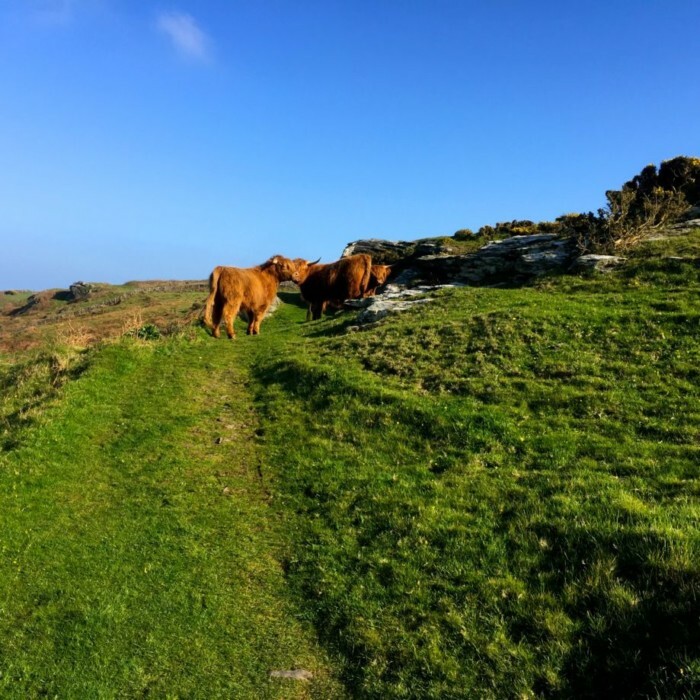 Our contact details can be found in full on our website, so don’t be shy!